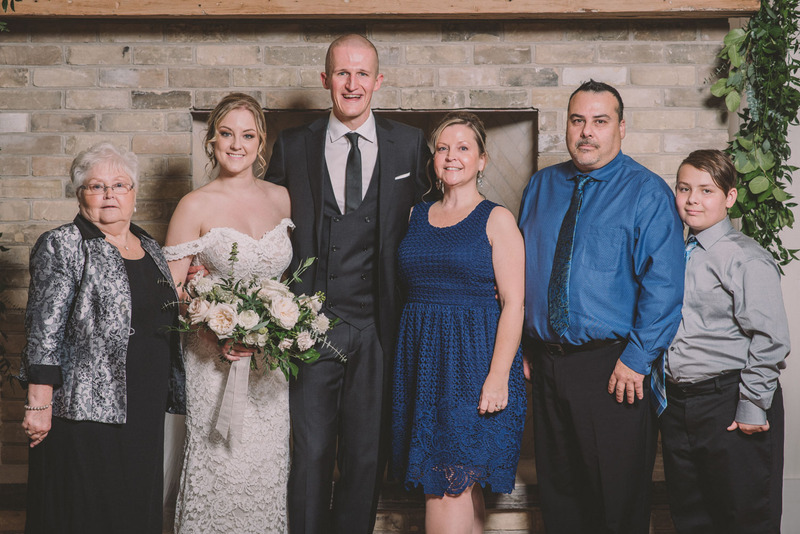 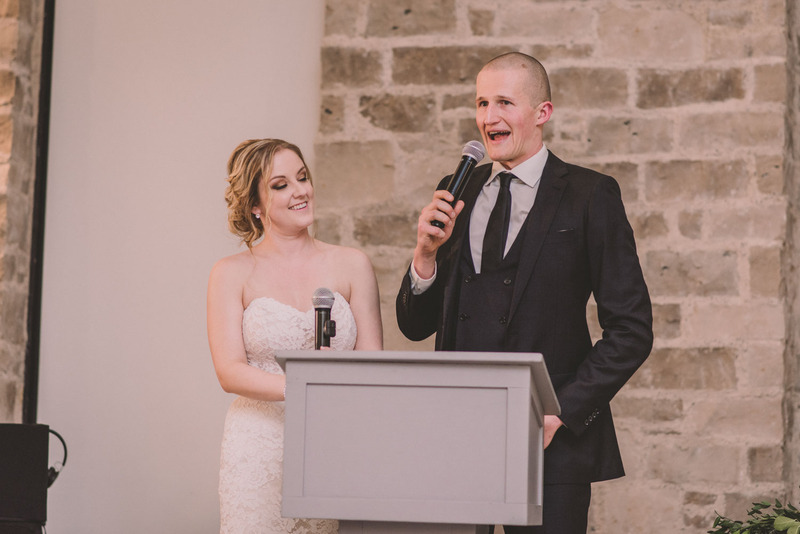 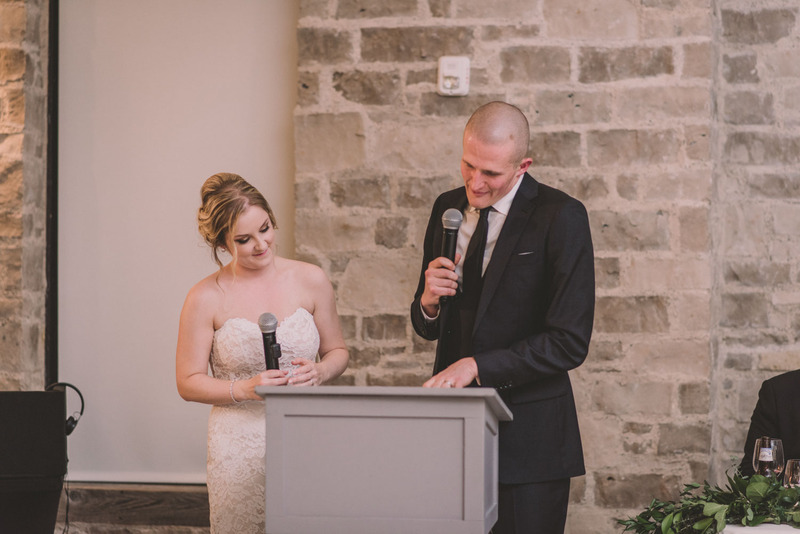 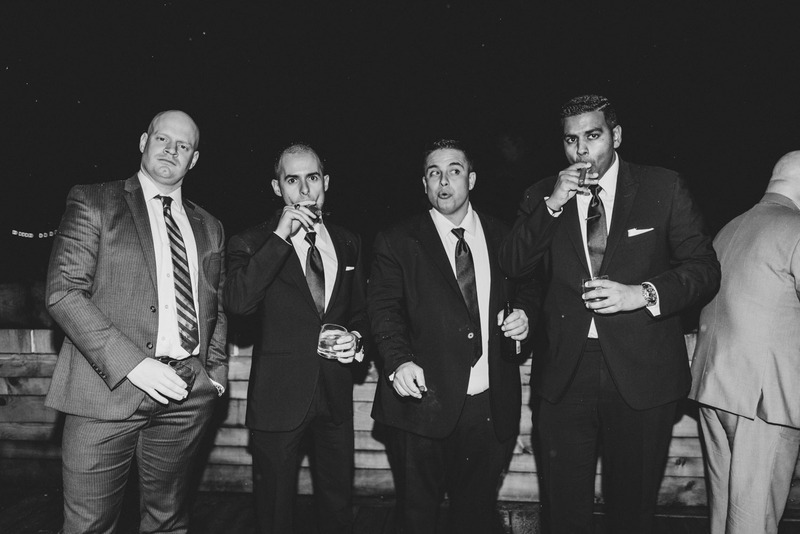 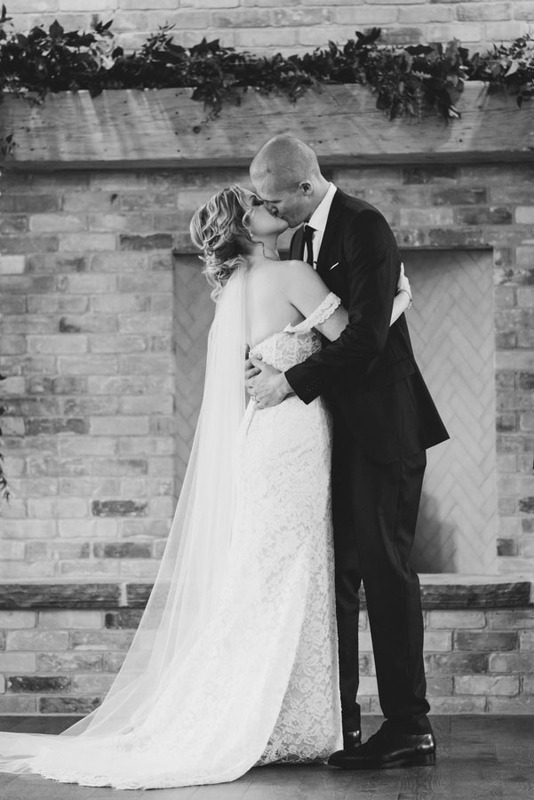 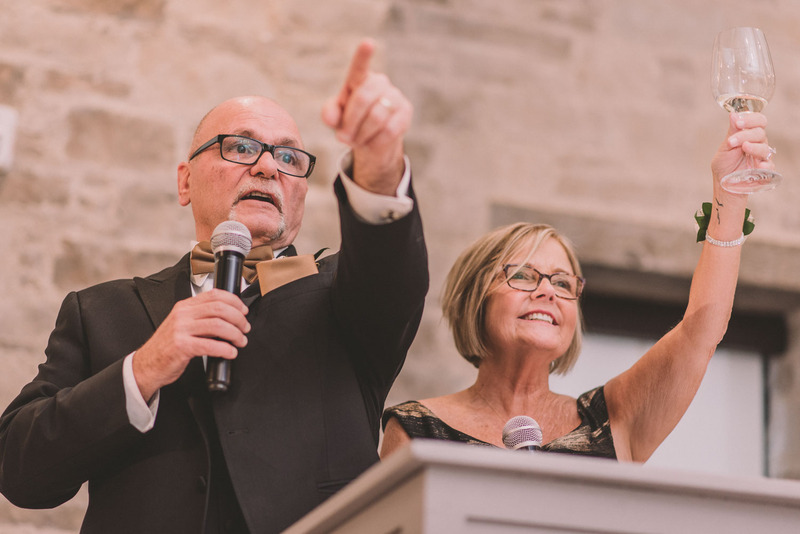 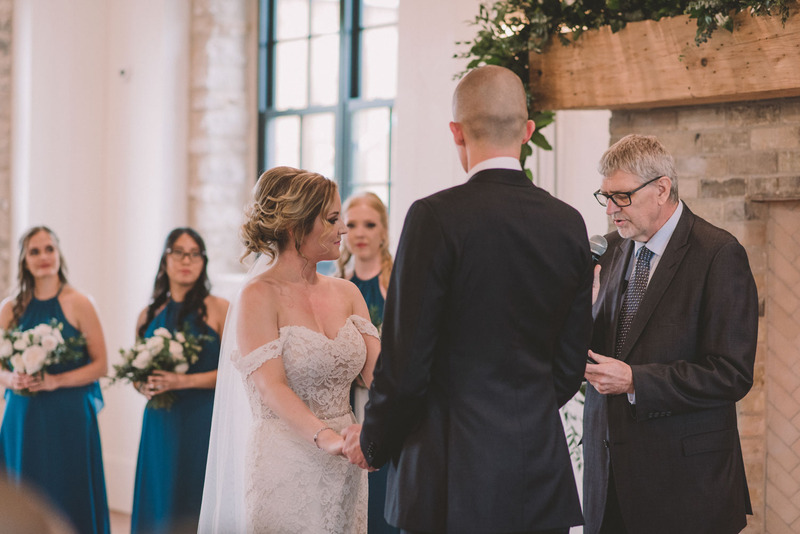 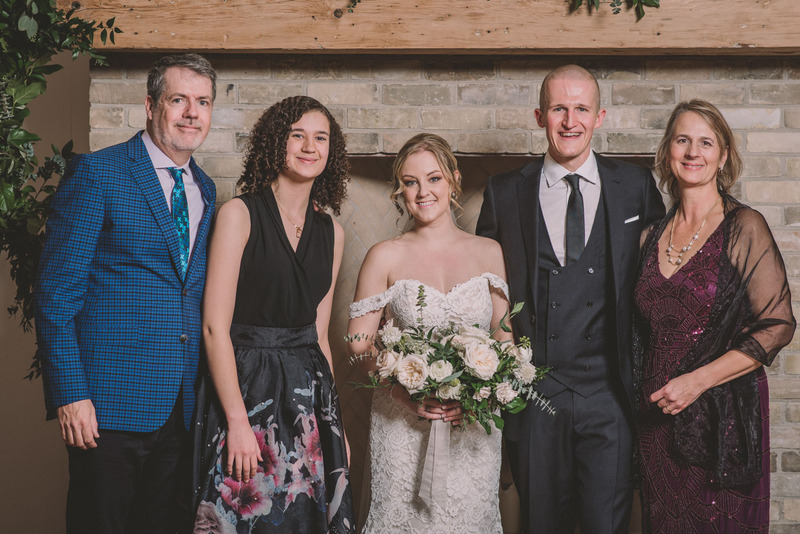 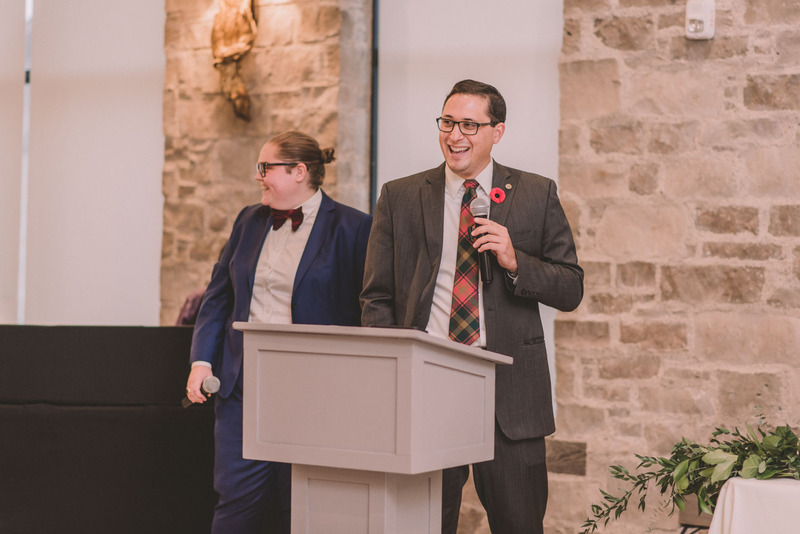 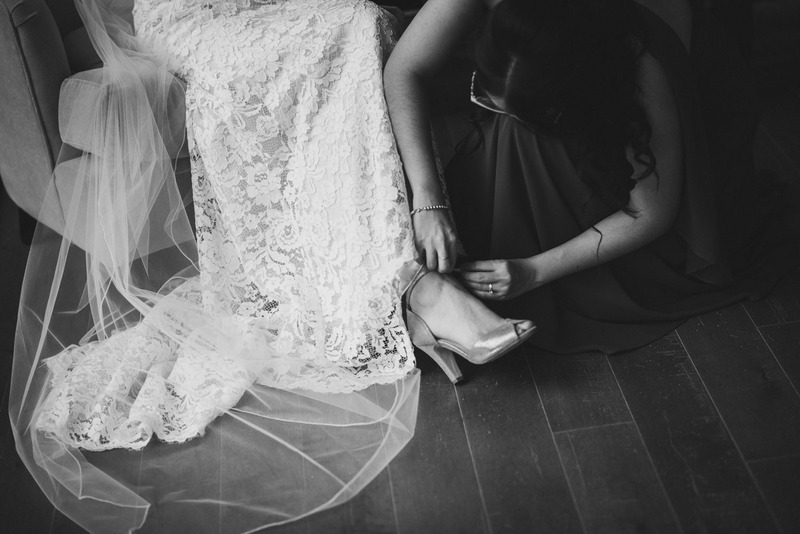 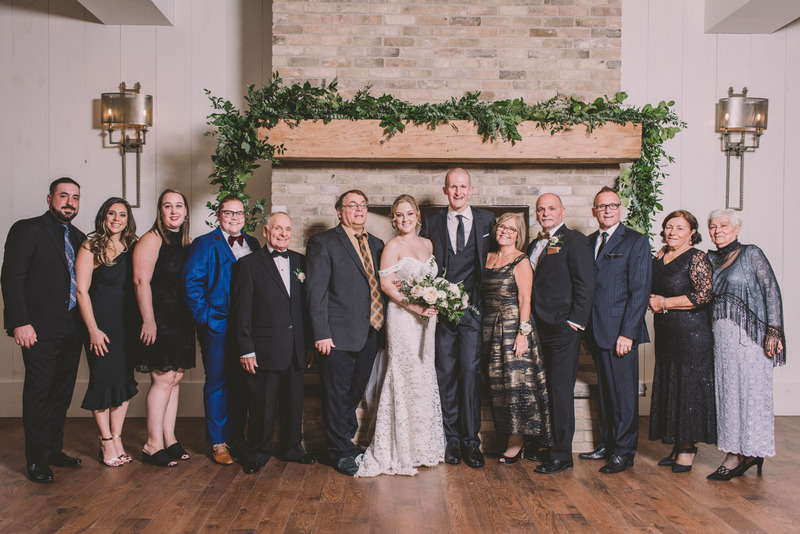 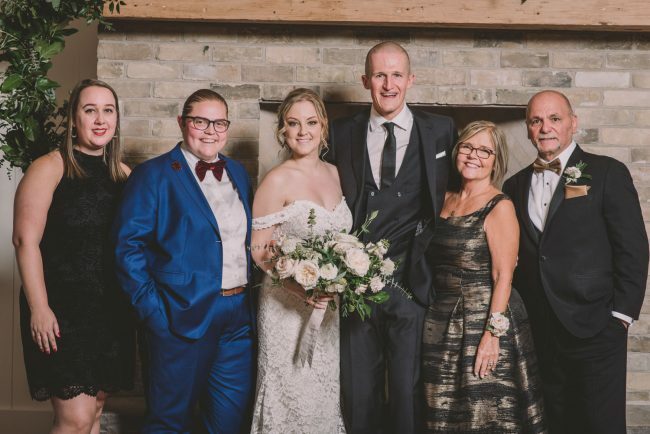 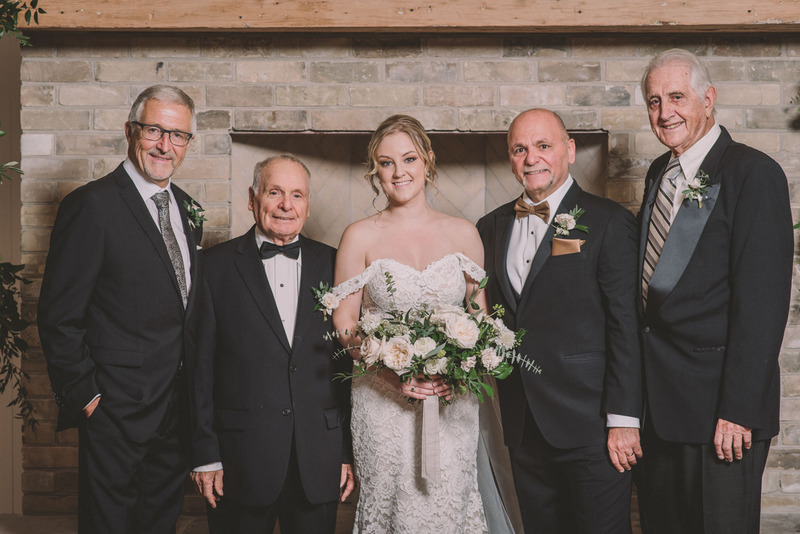 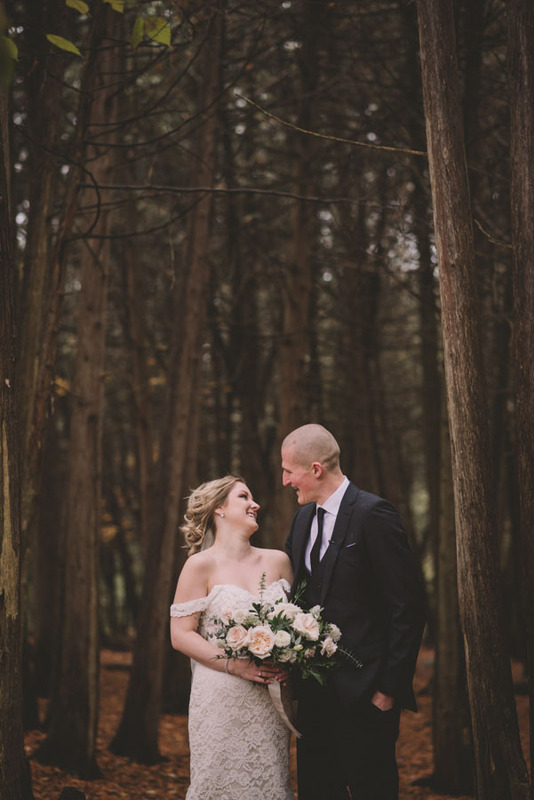 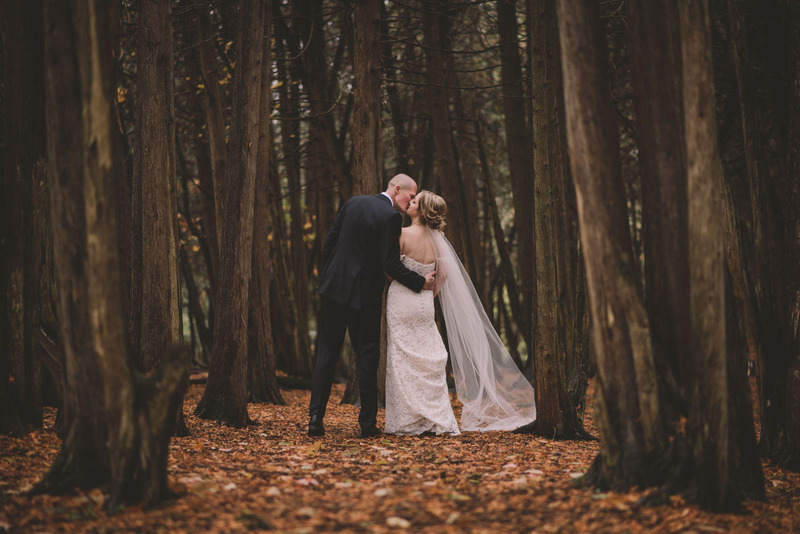 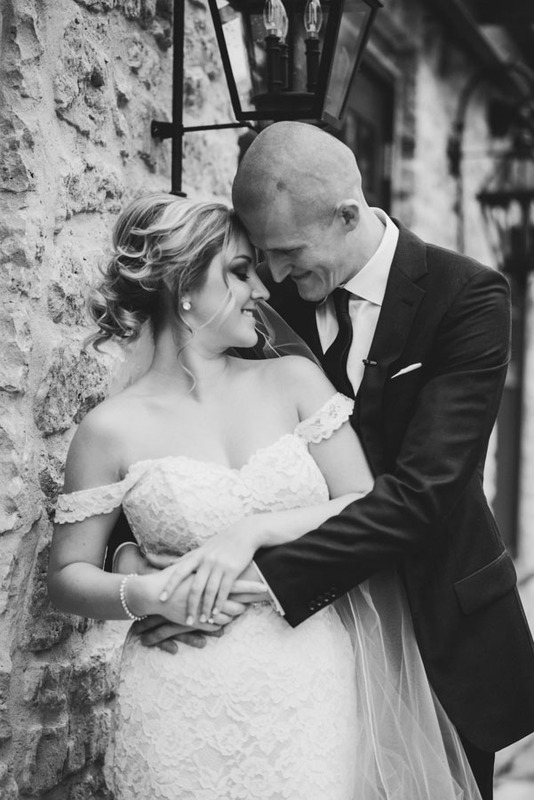 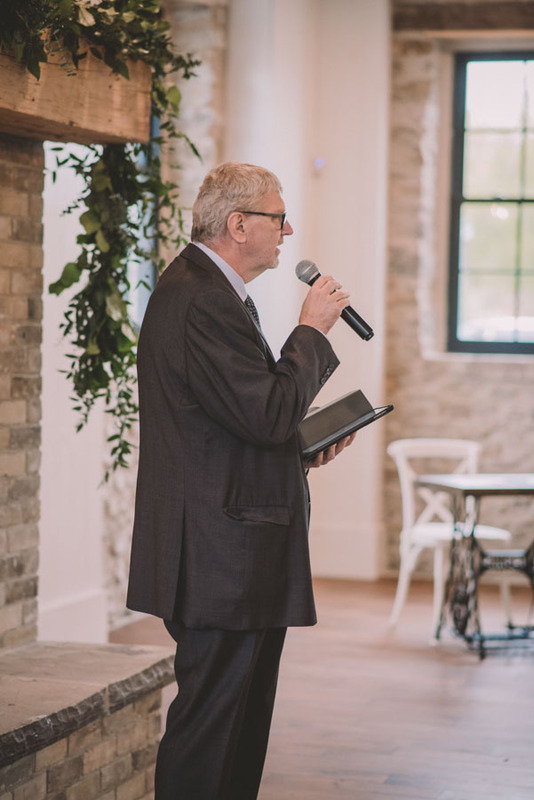 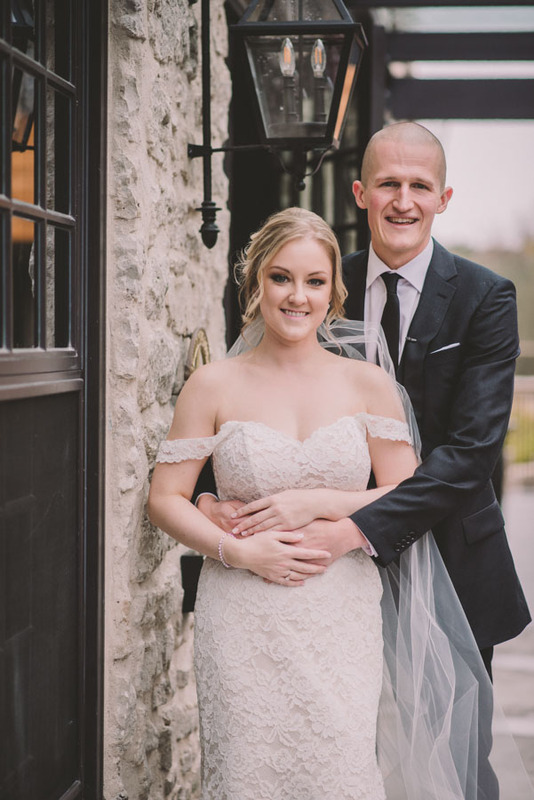 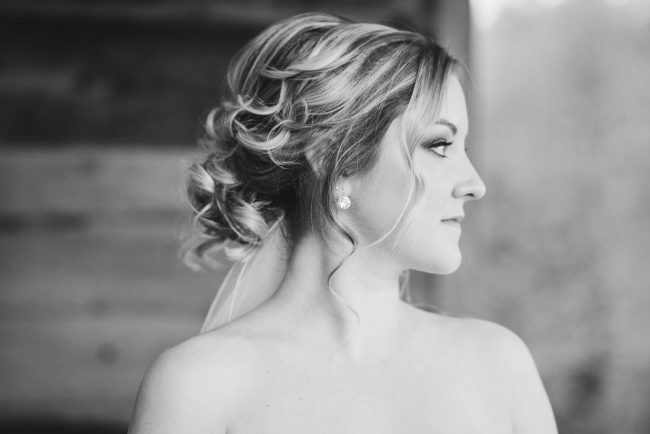 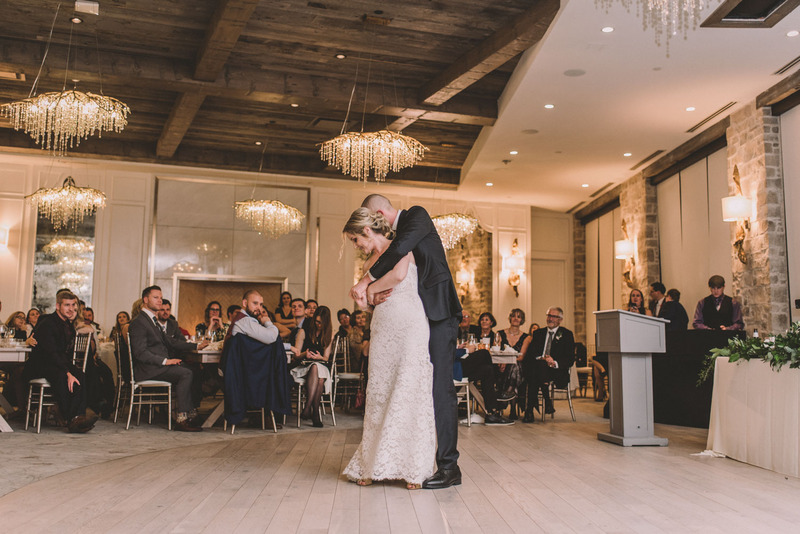 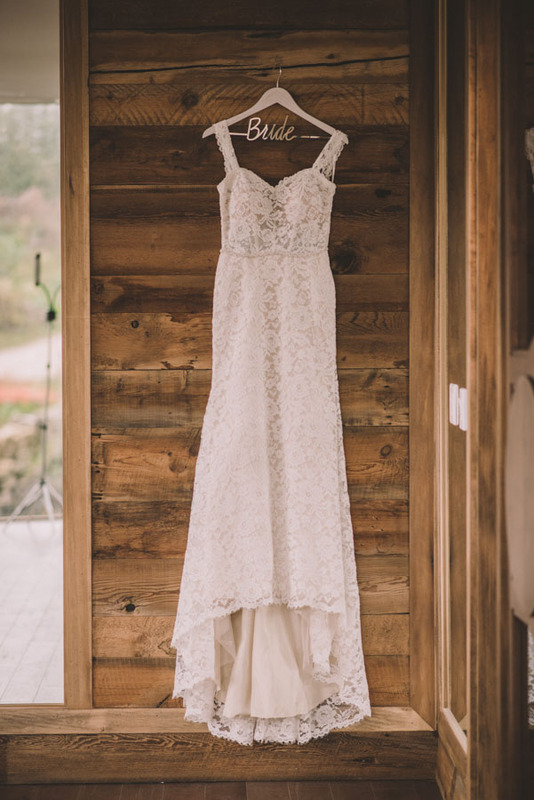 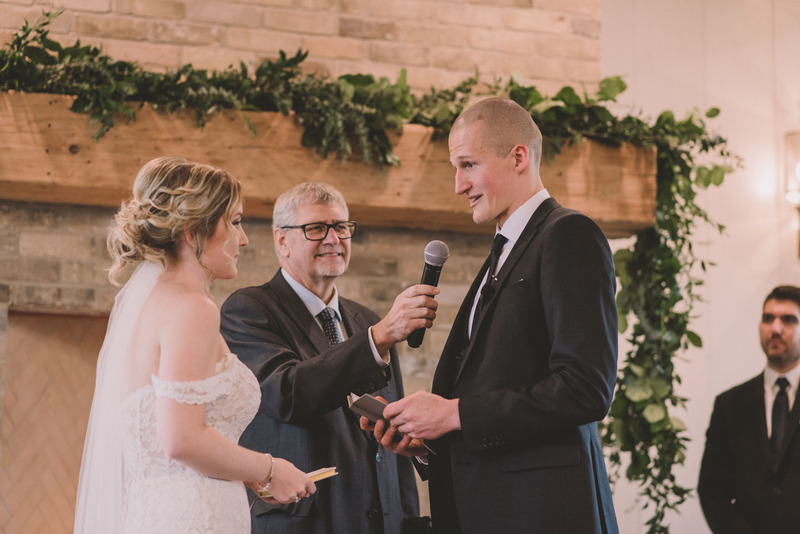 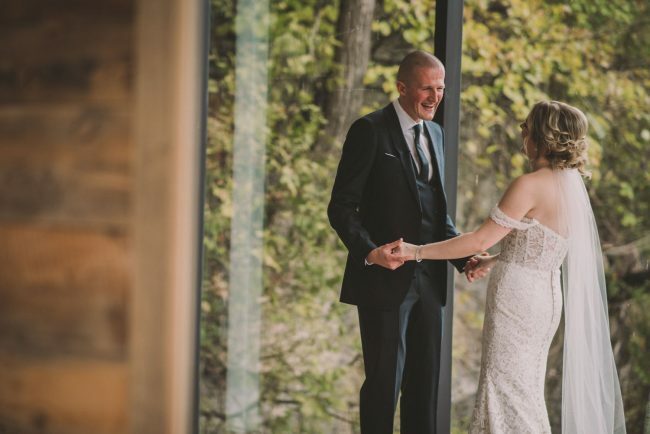 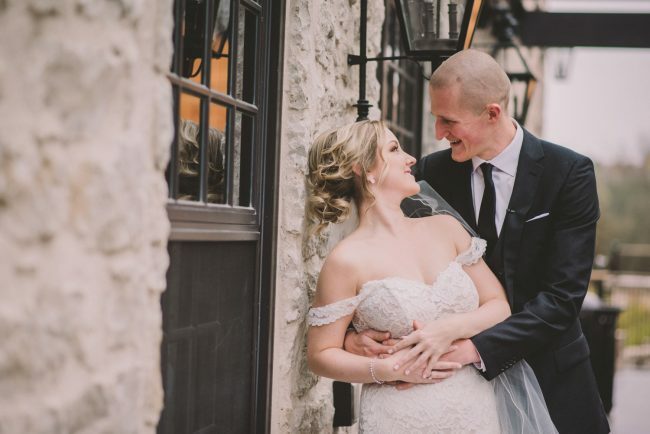 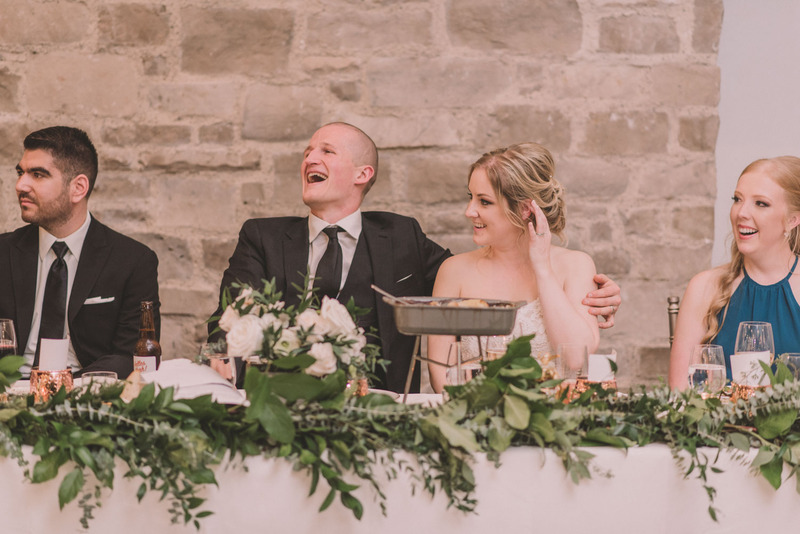 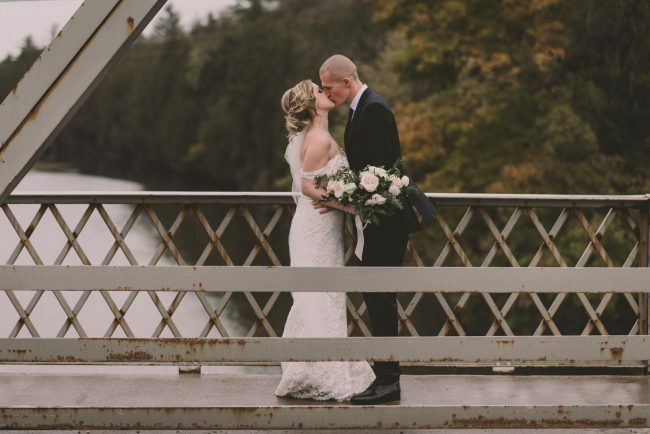 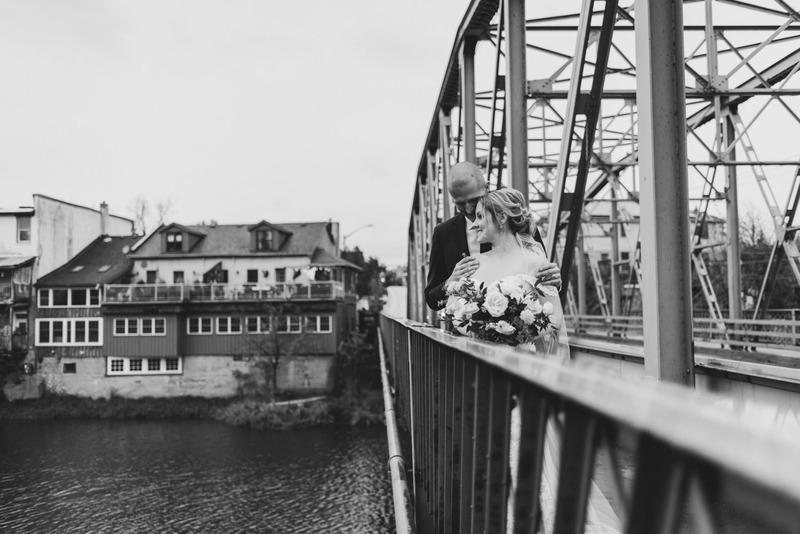 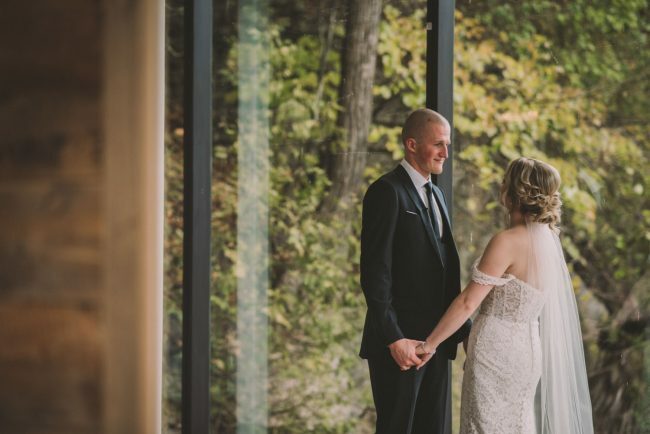 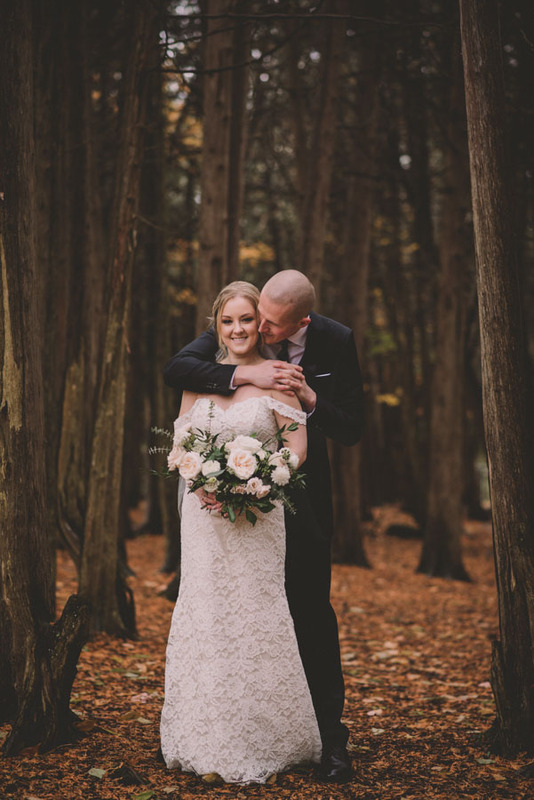 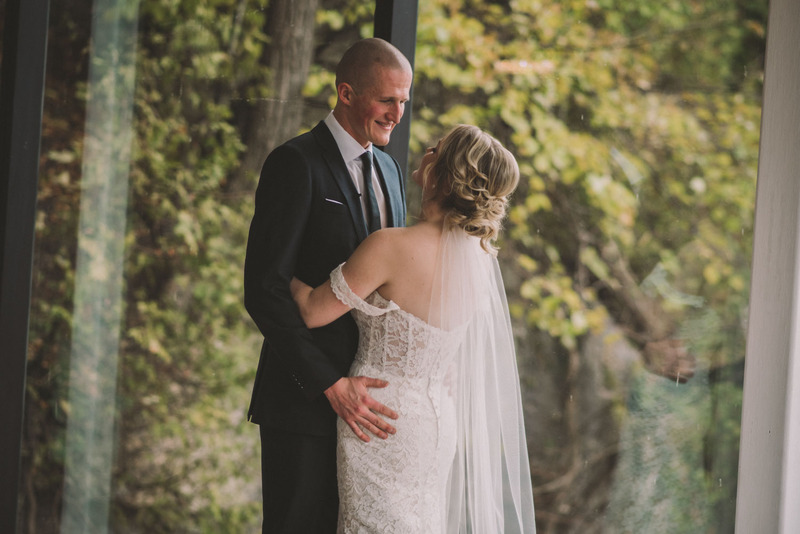 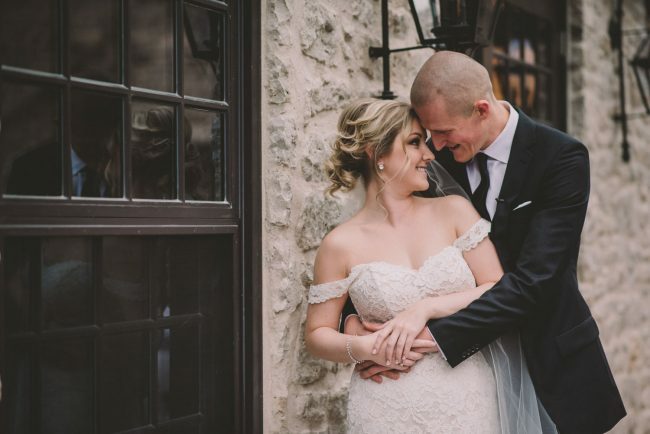 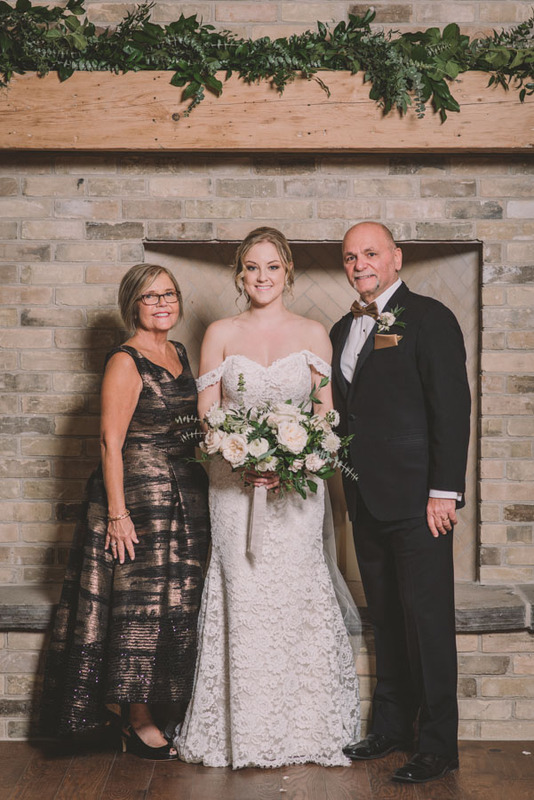 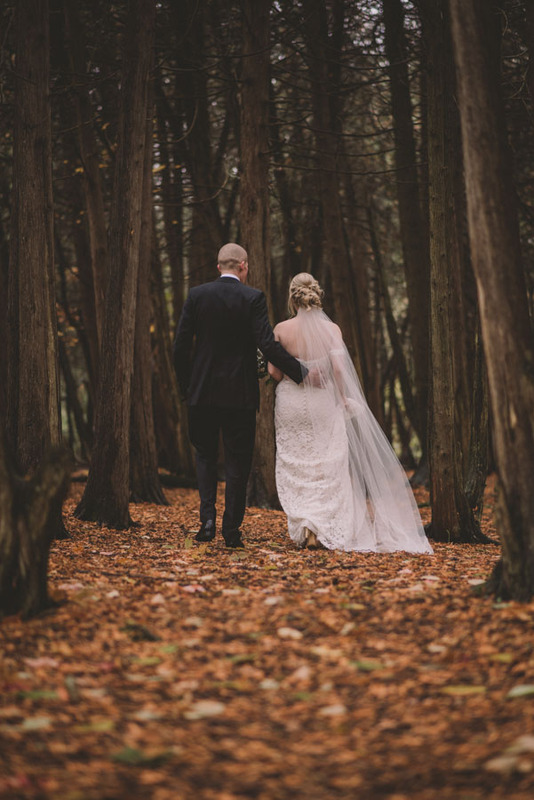 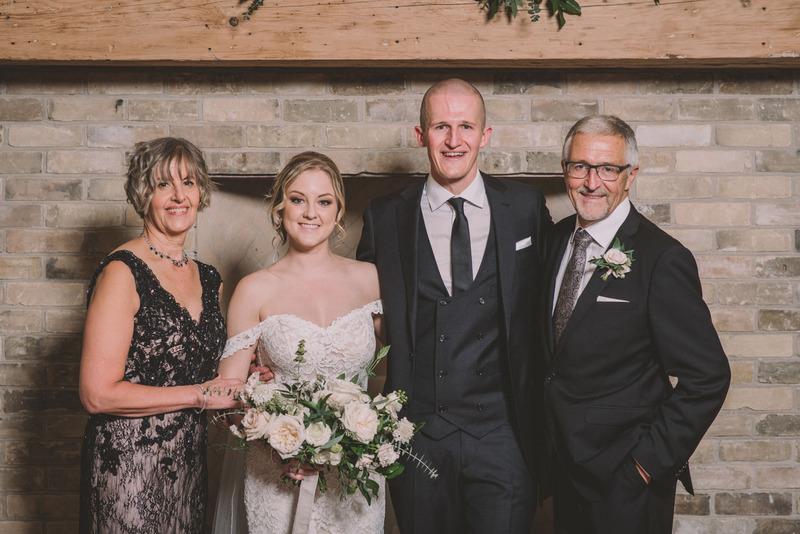 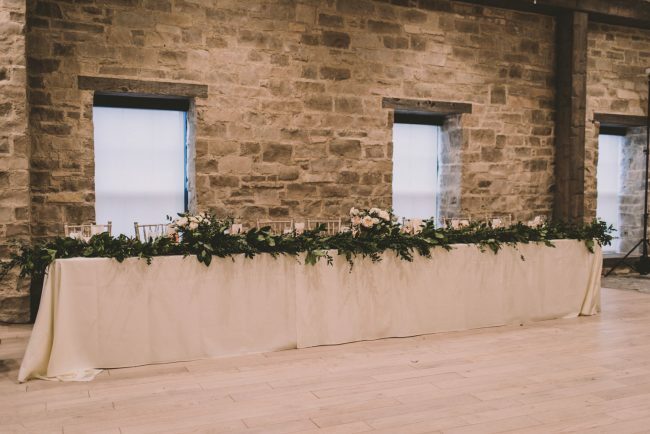 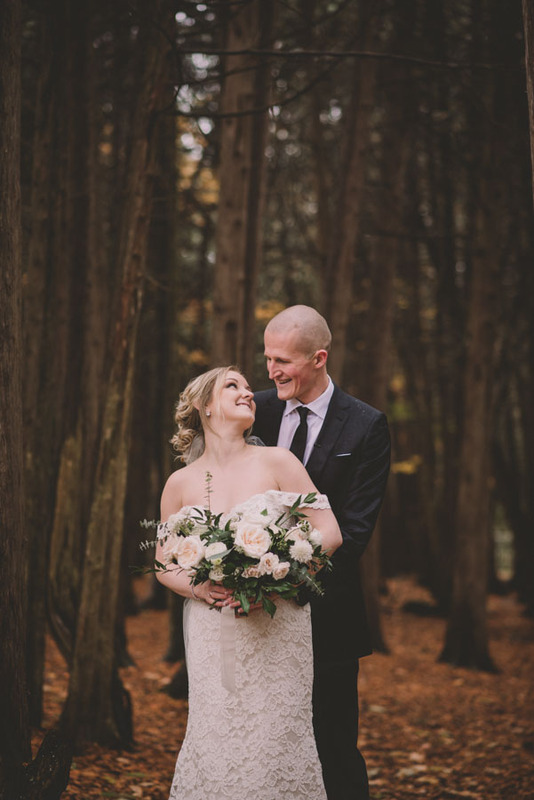 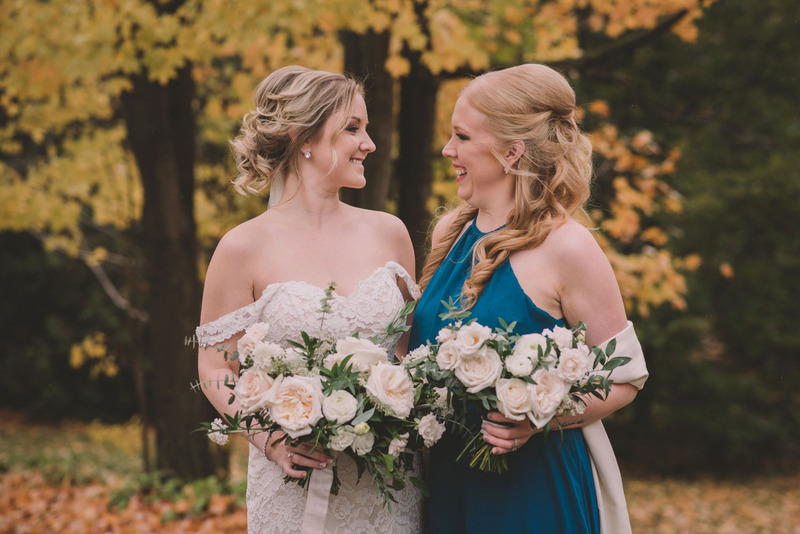 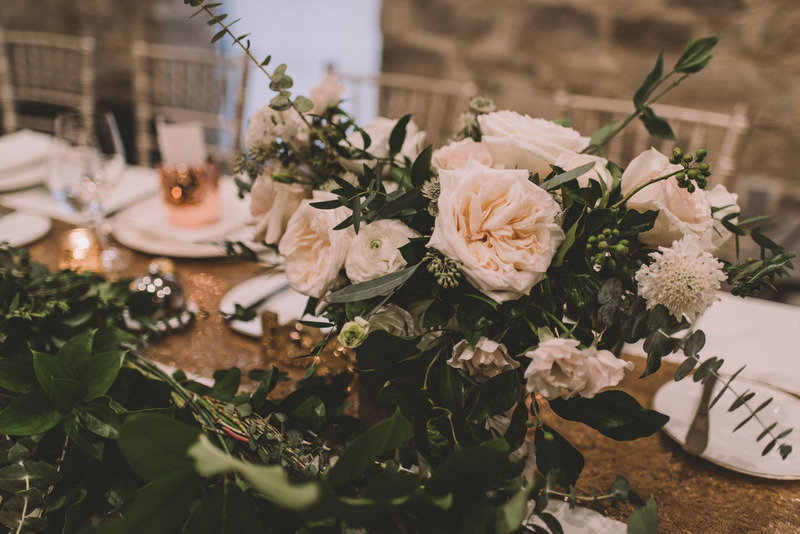 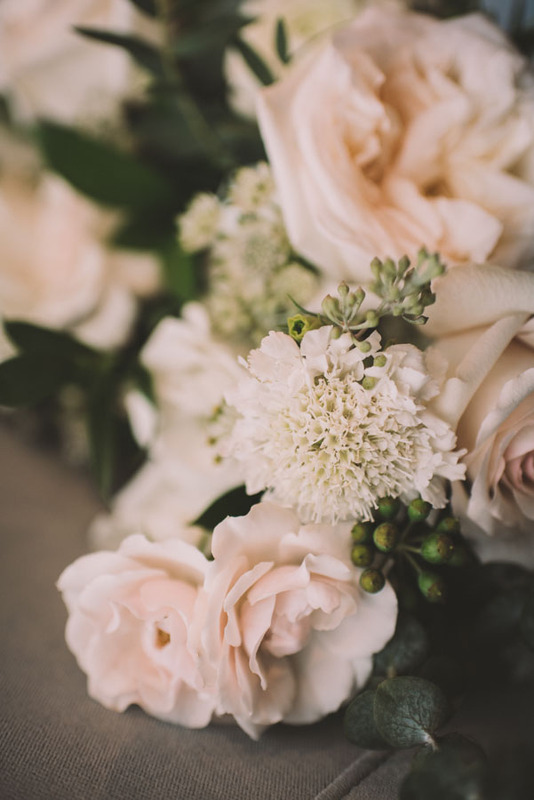 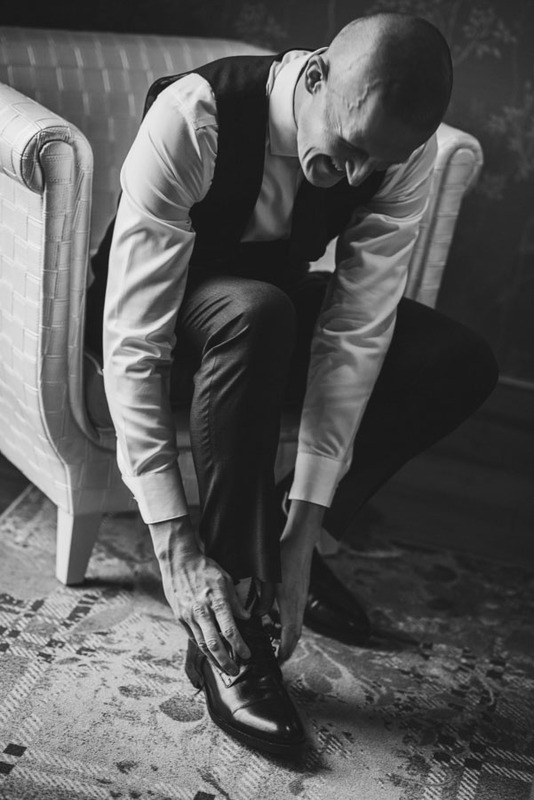 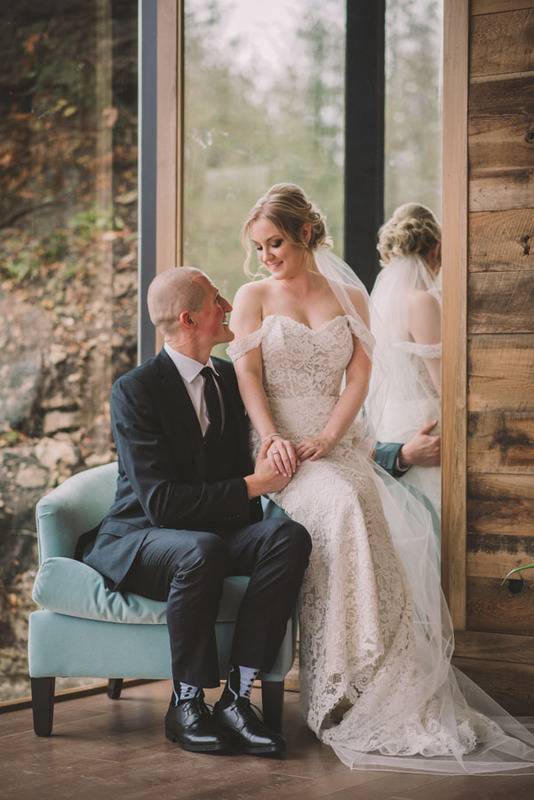 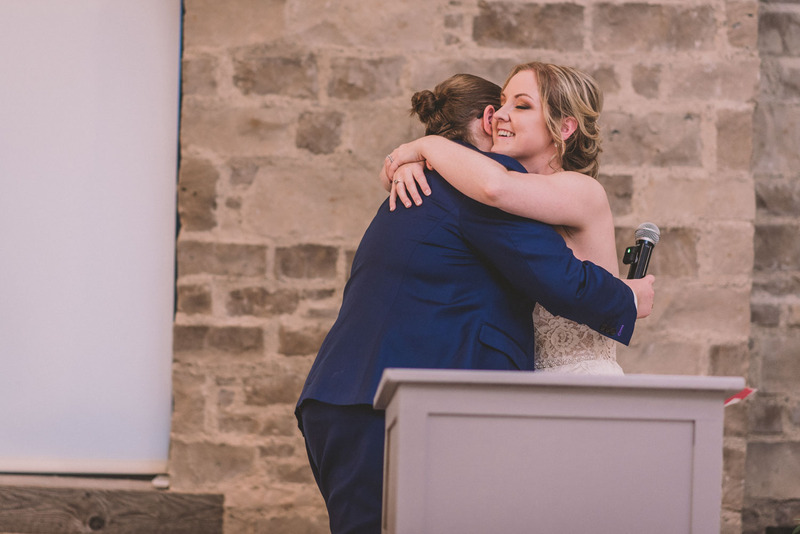 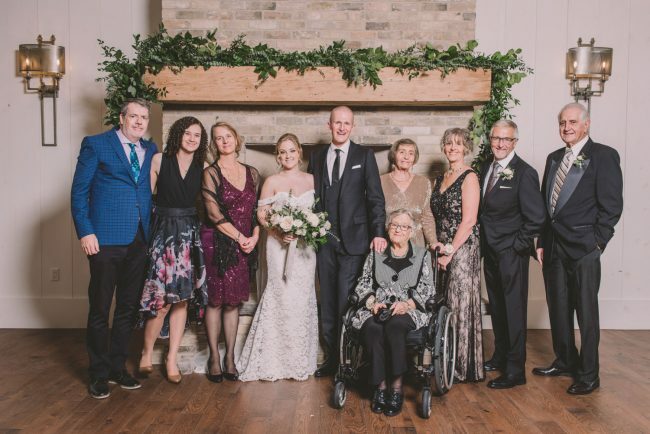 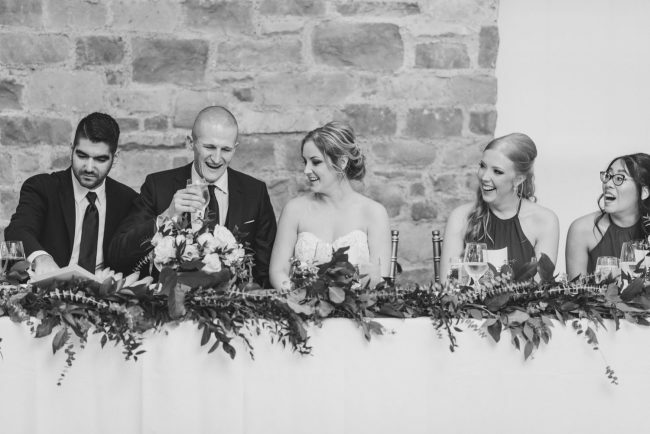 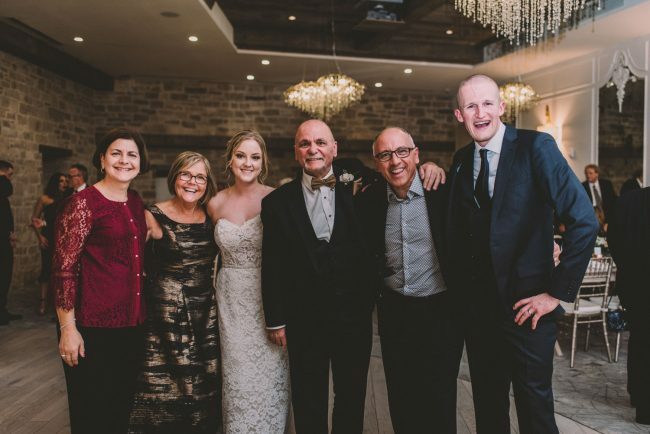 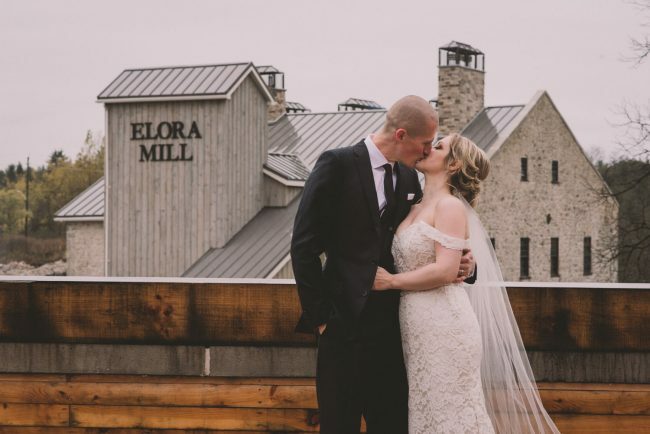 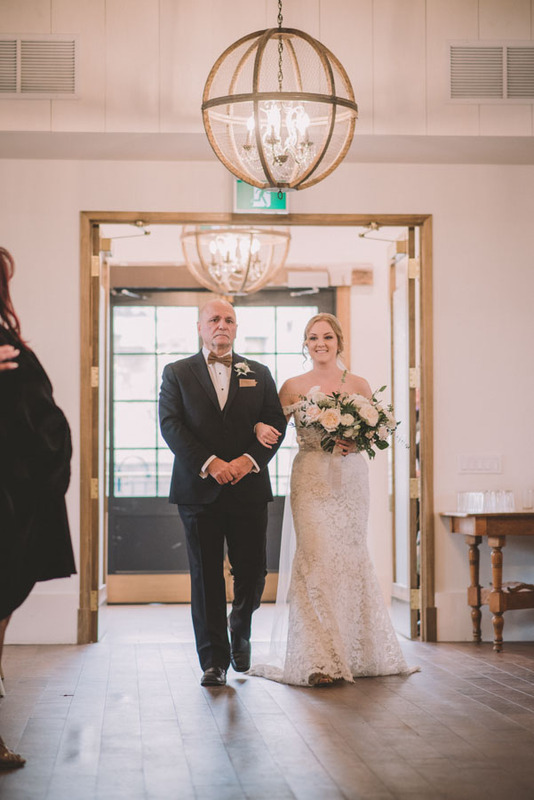 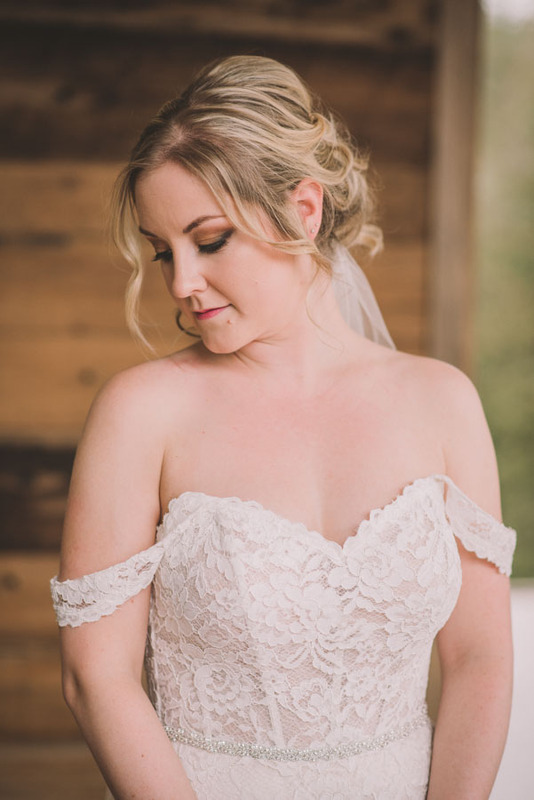 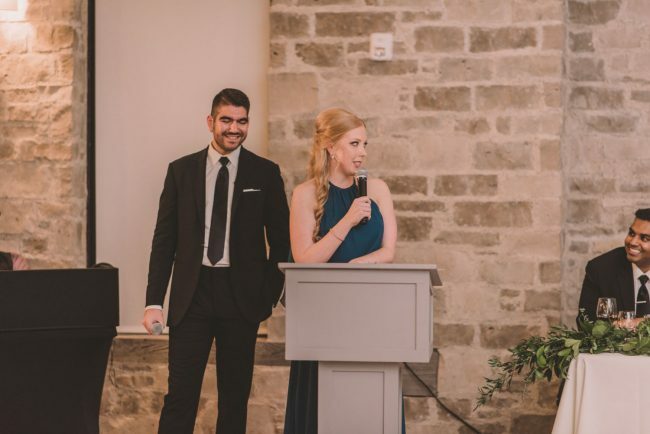 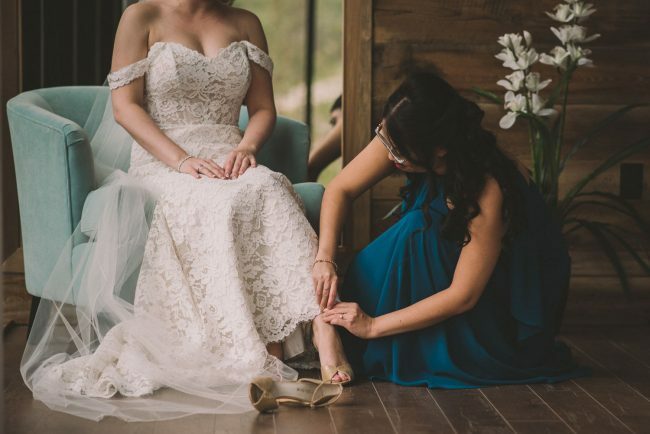 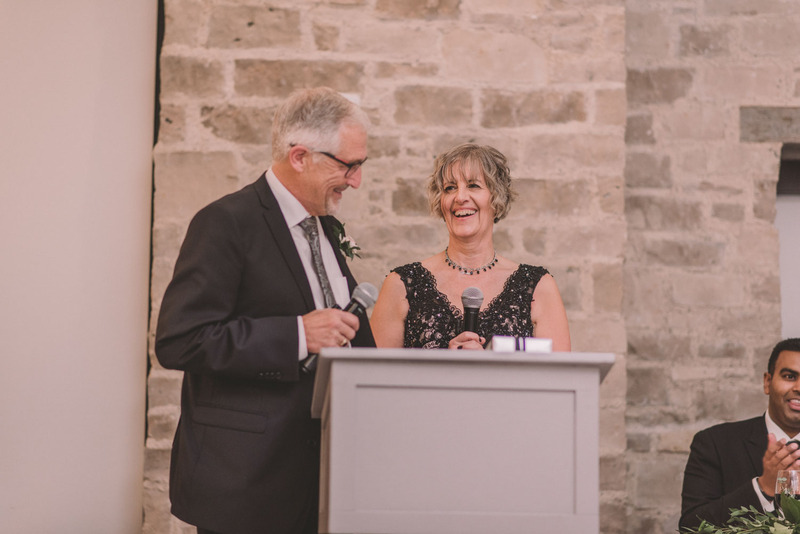 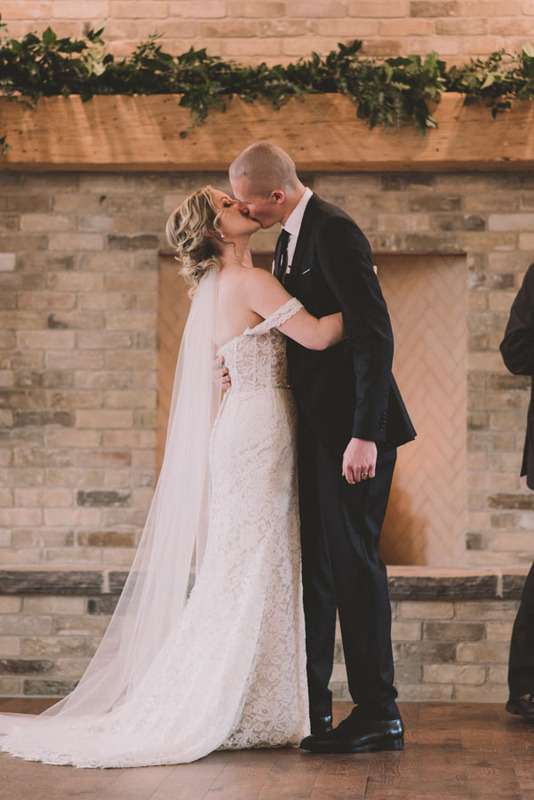 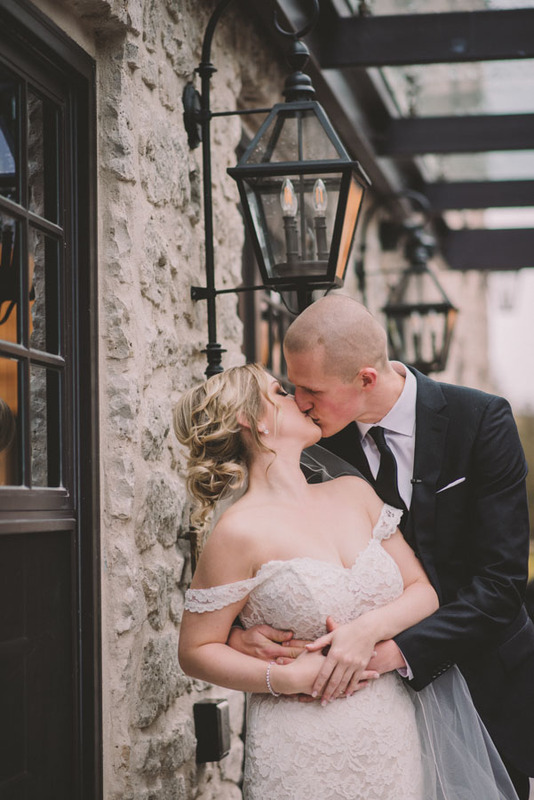 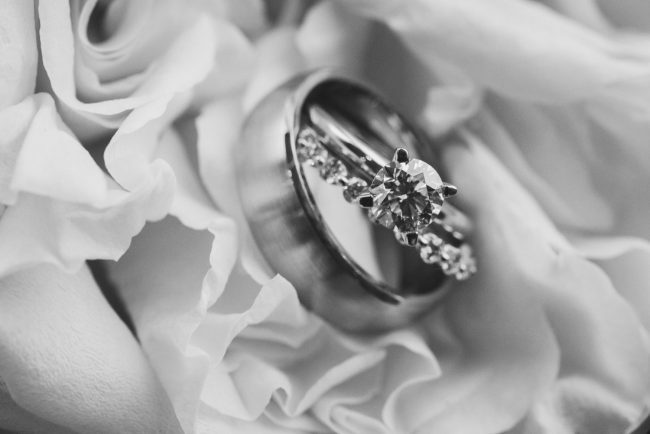 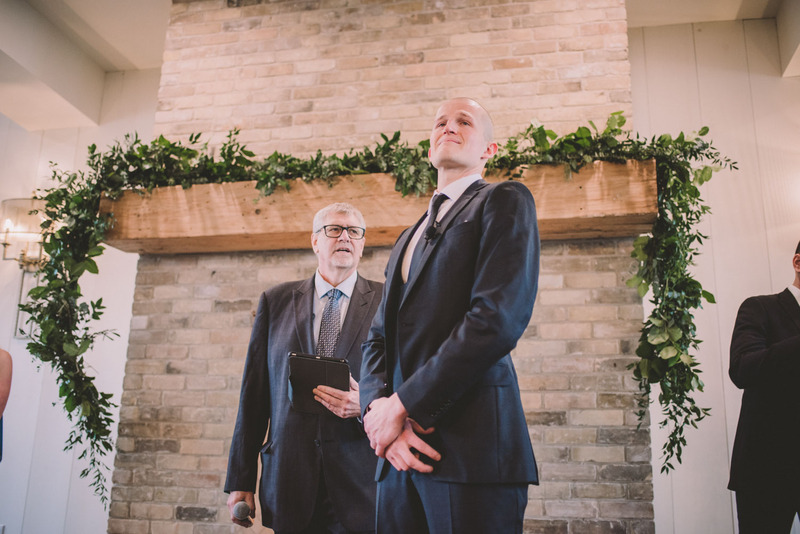 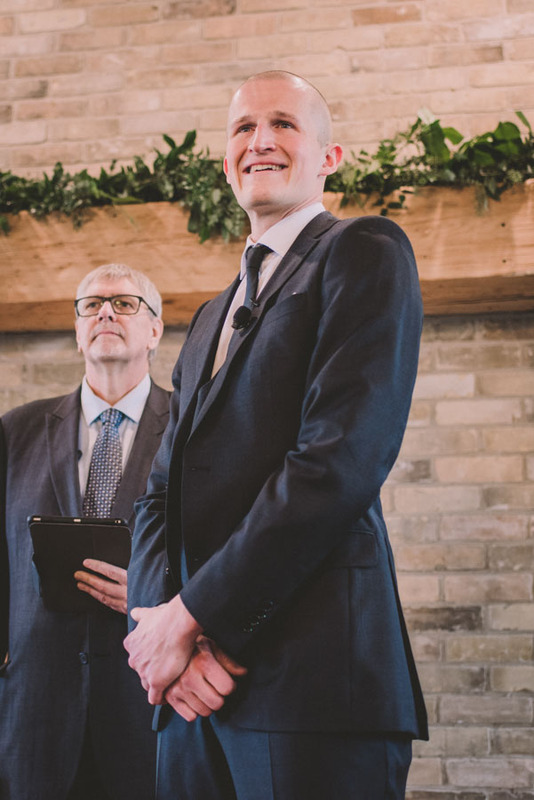 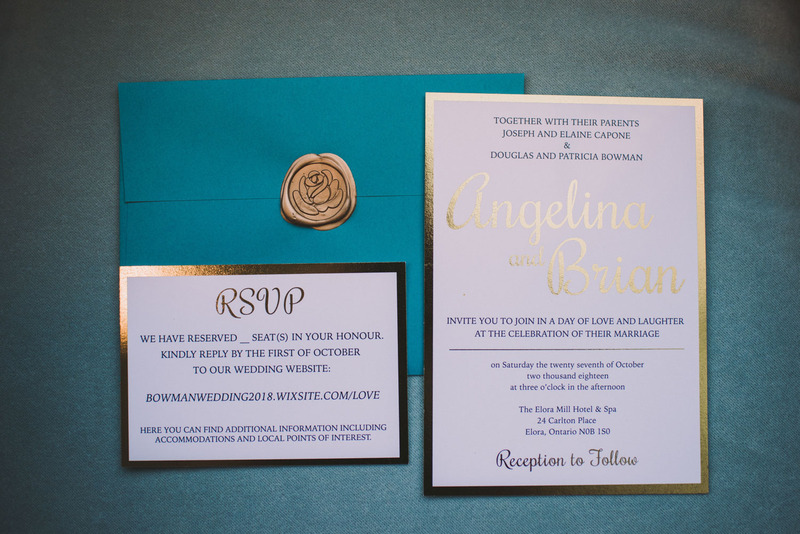 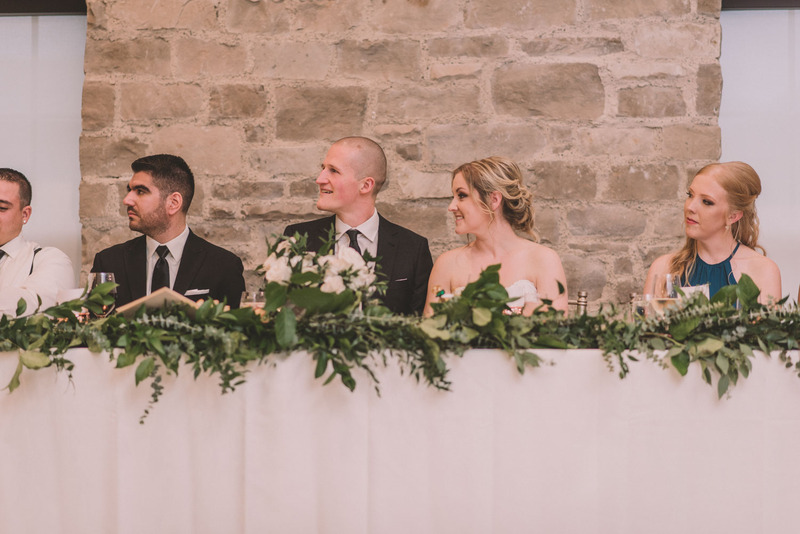 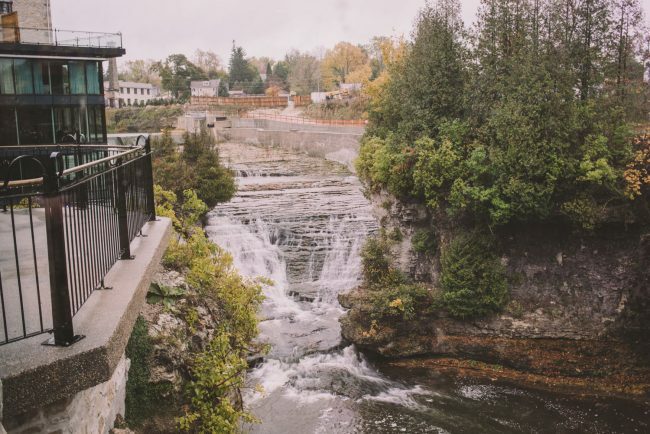 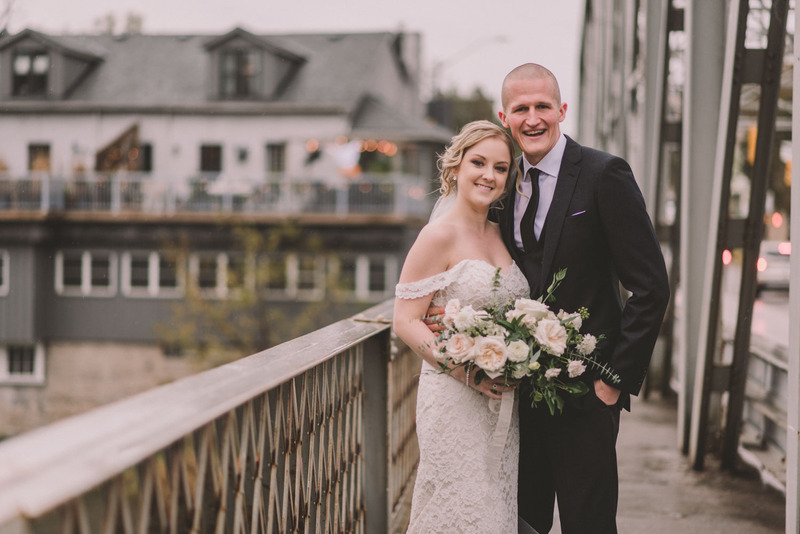 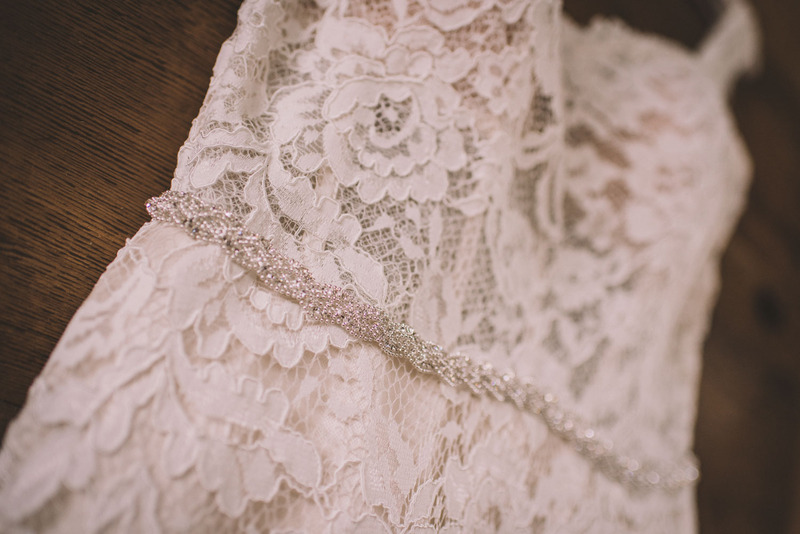 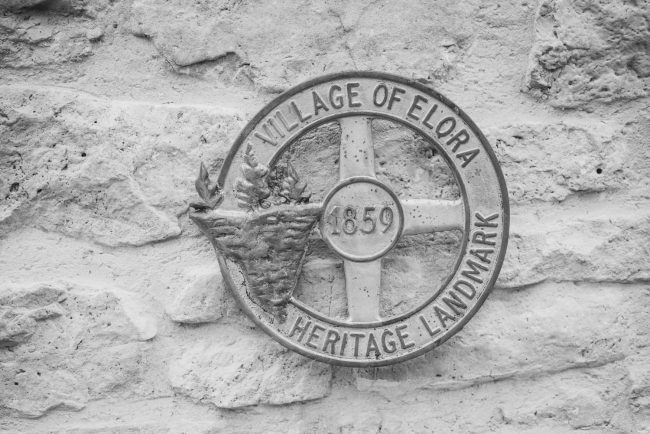 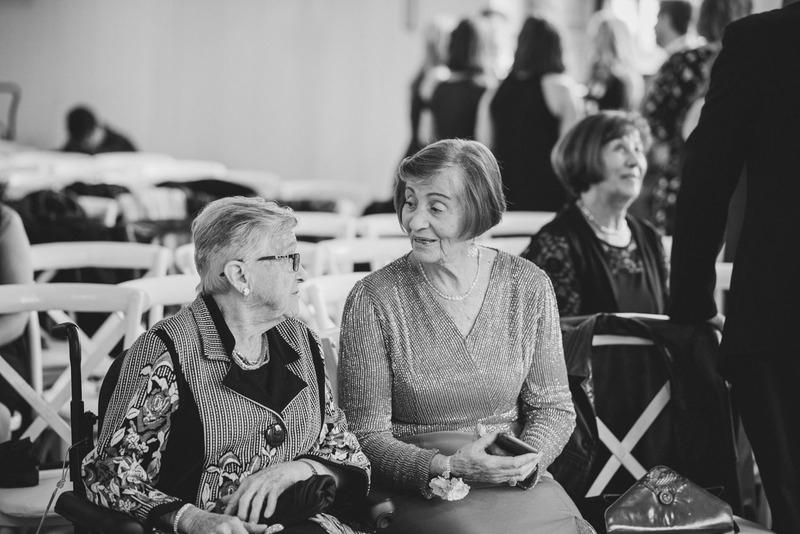 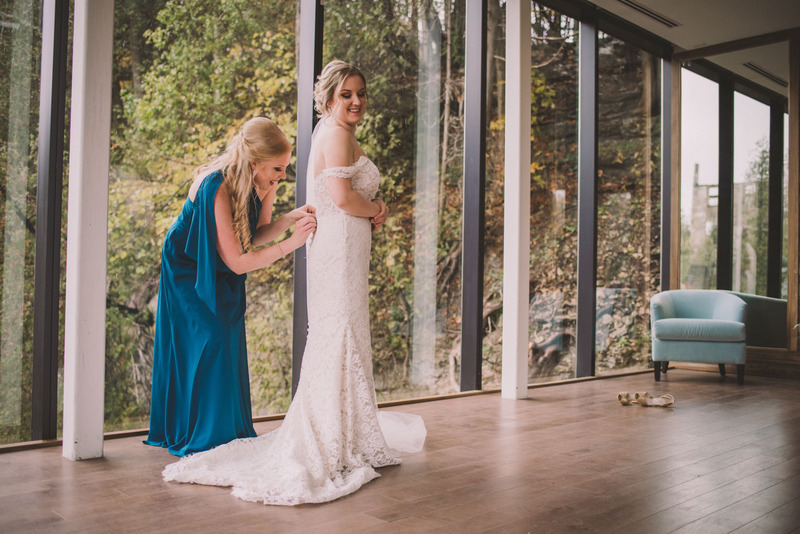 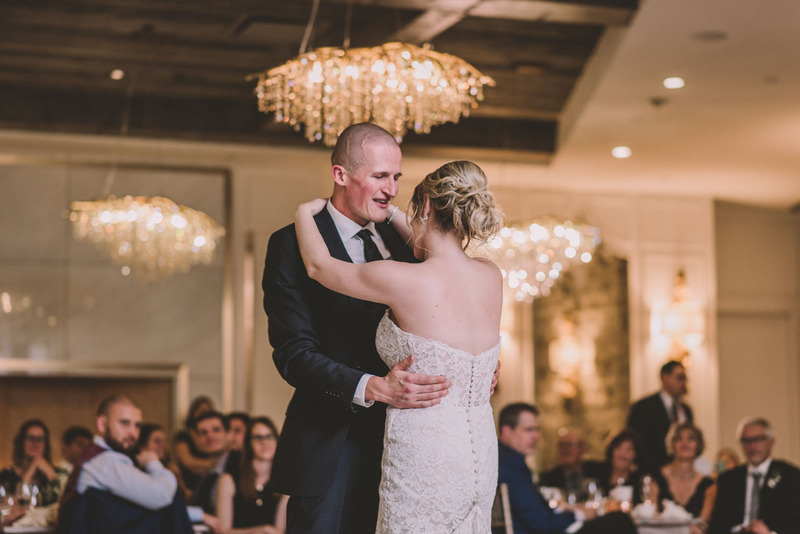 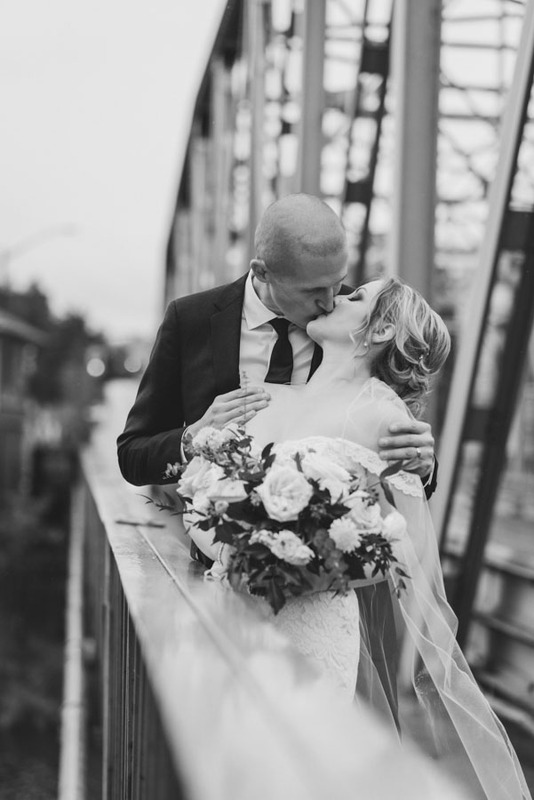 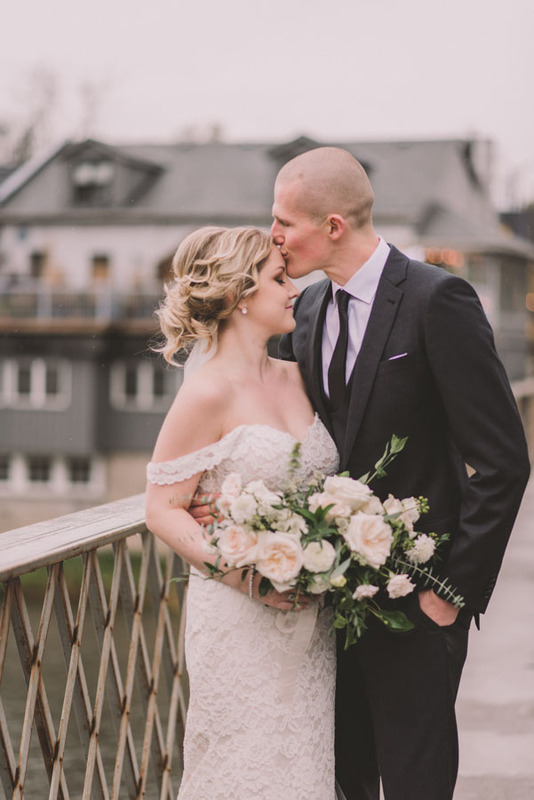 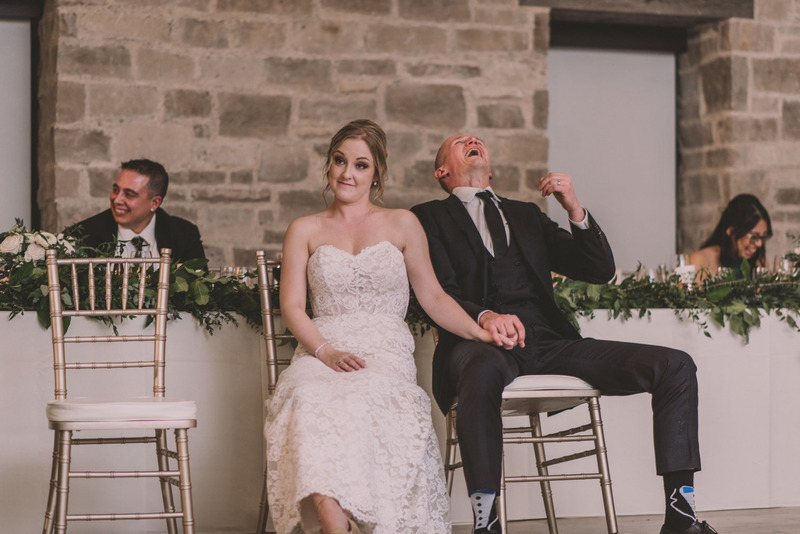 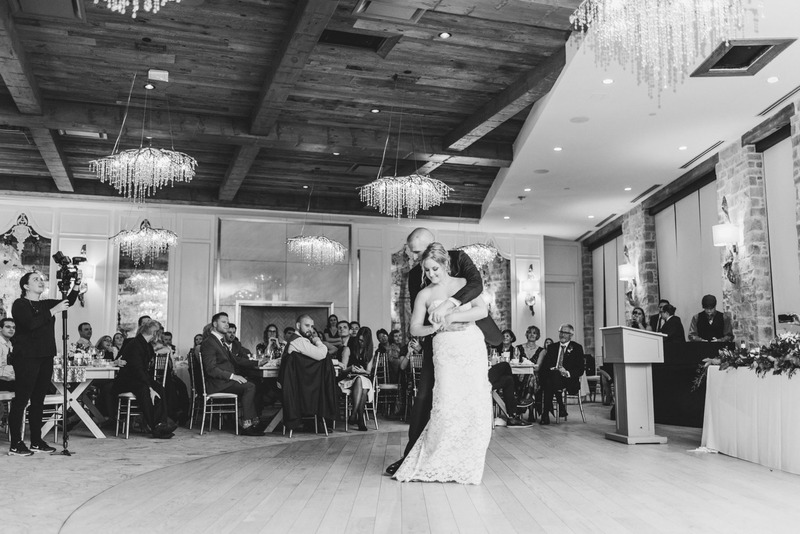 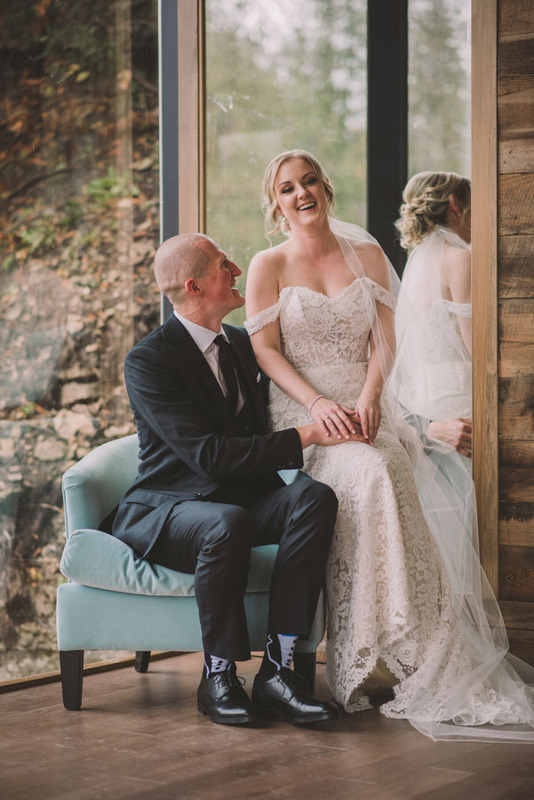 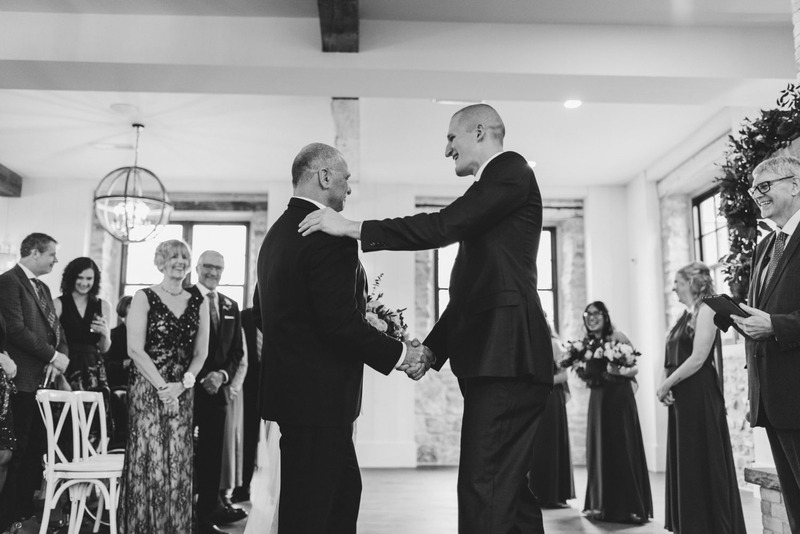 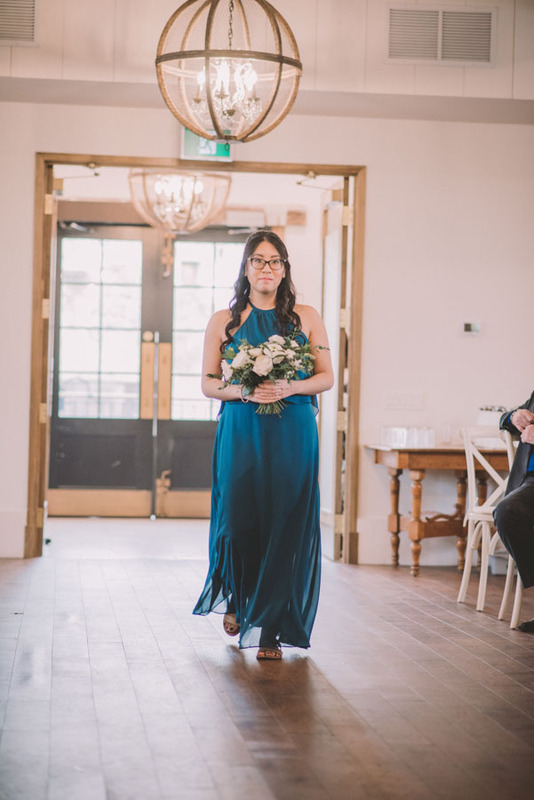 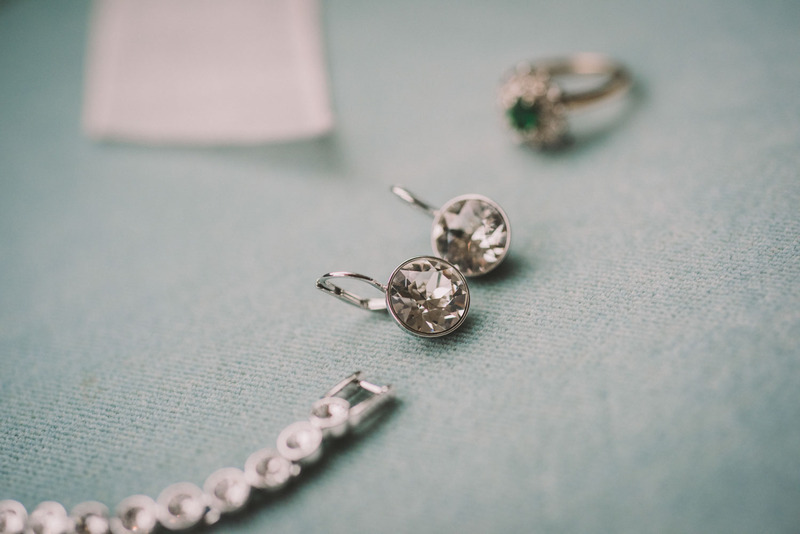 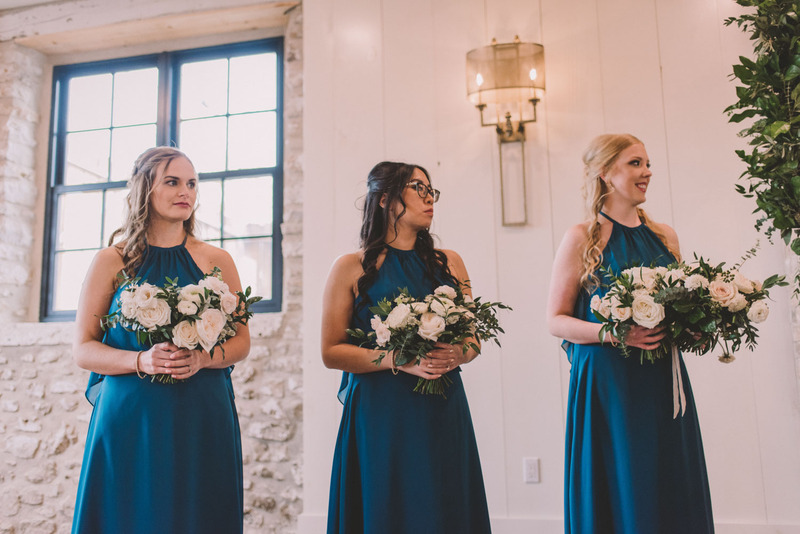 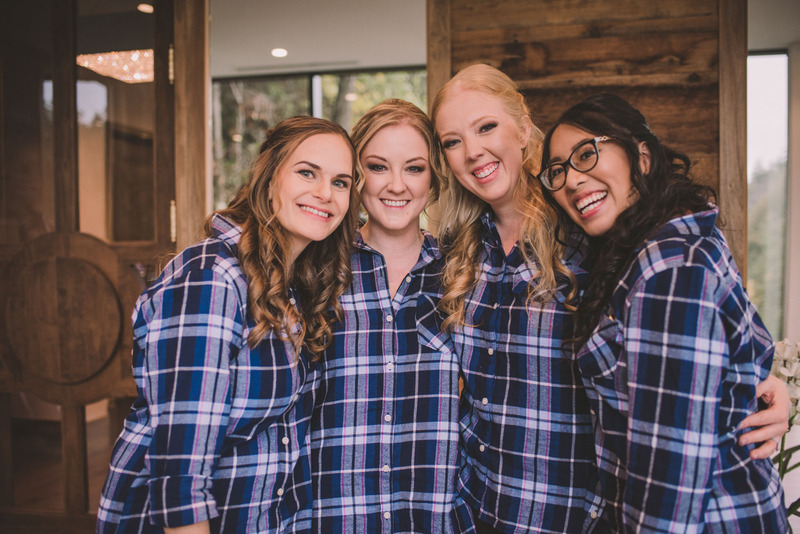 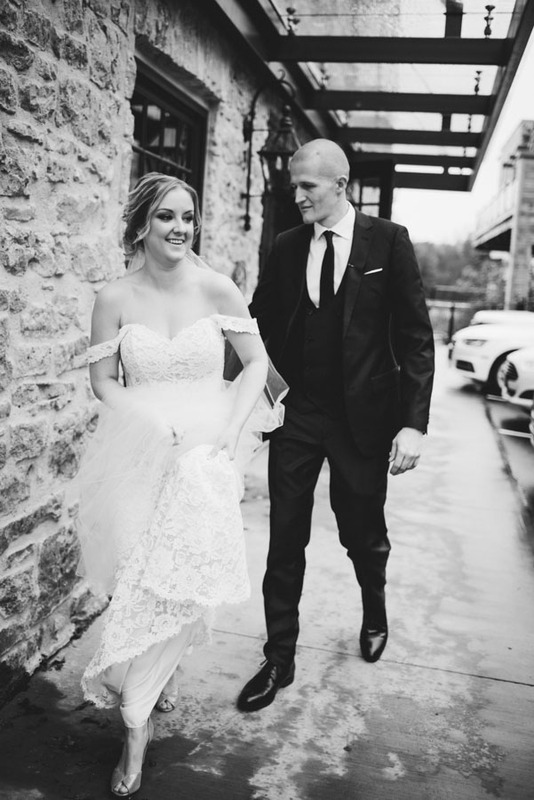 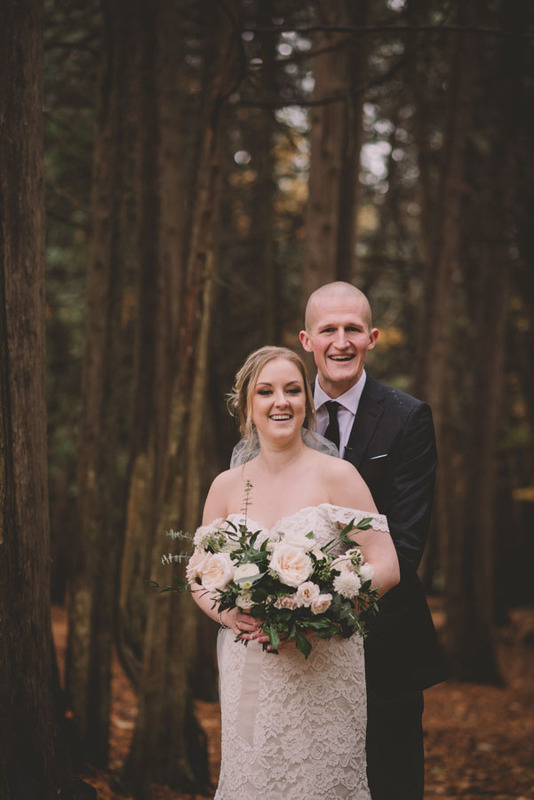 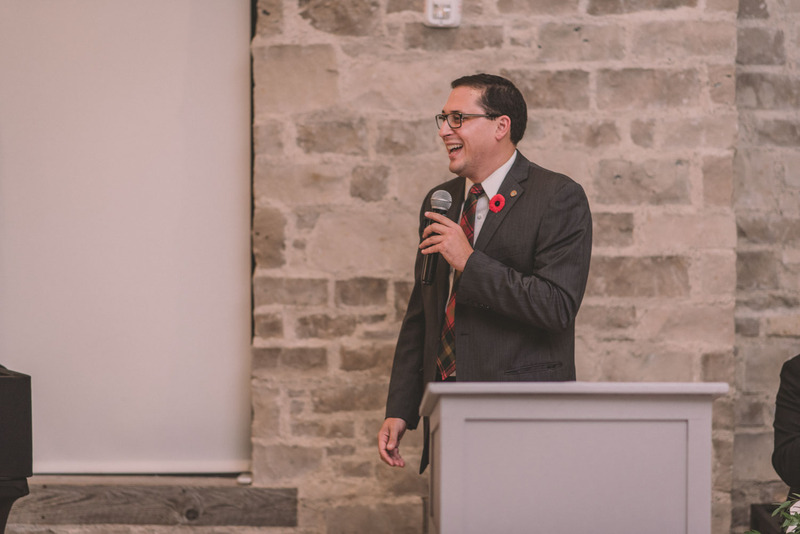 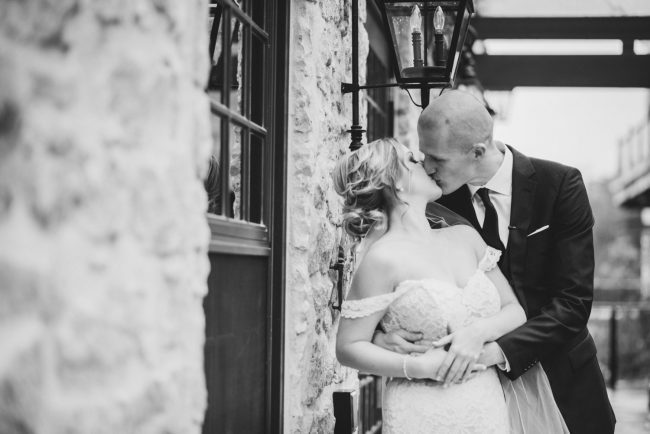 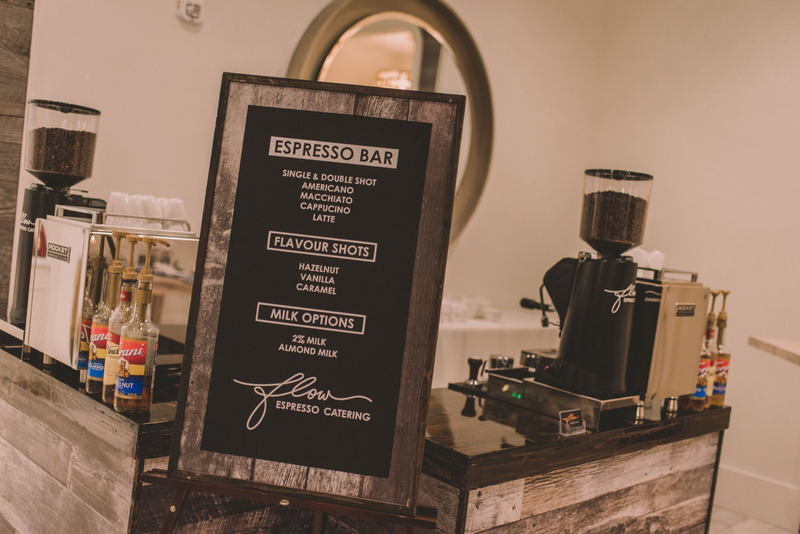 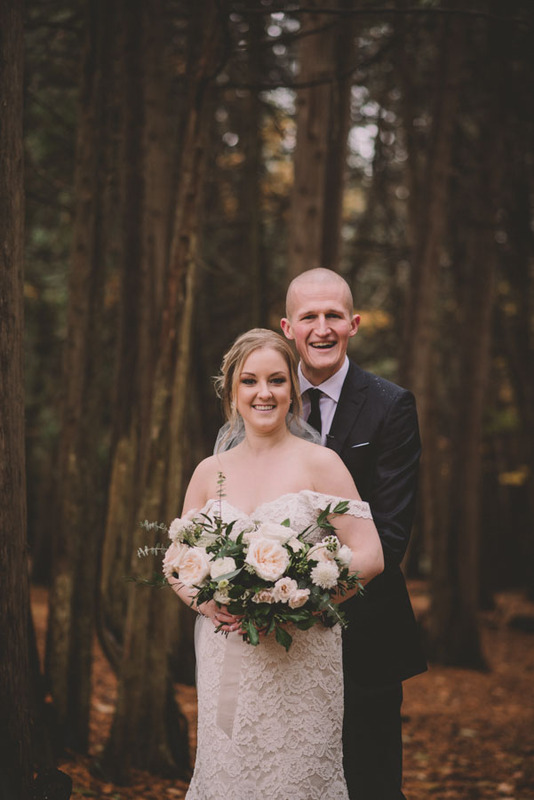 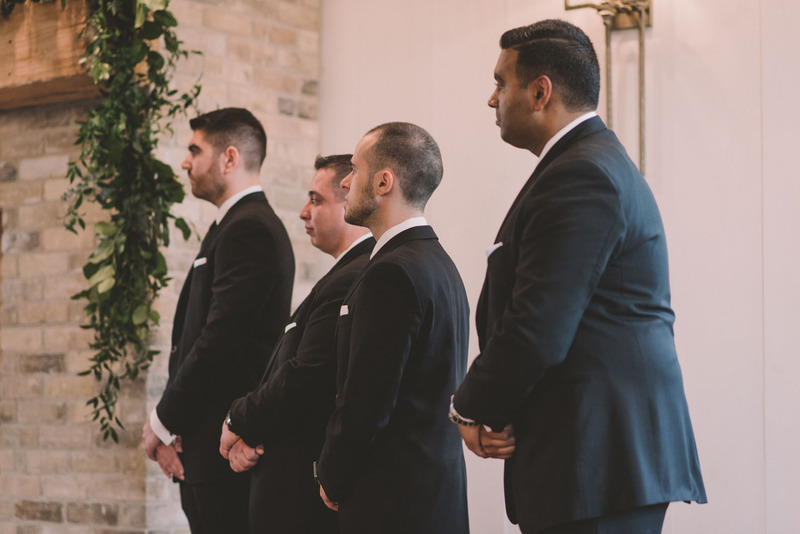 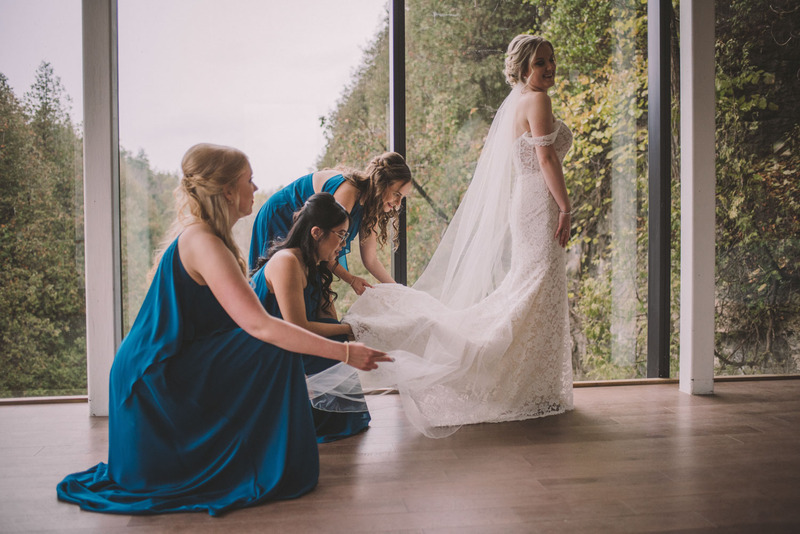 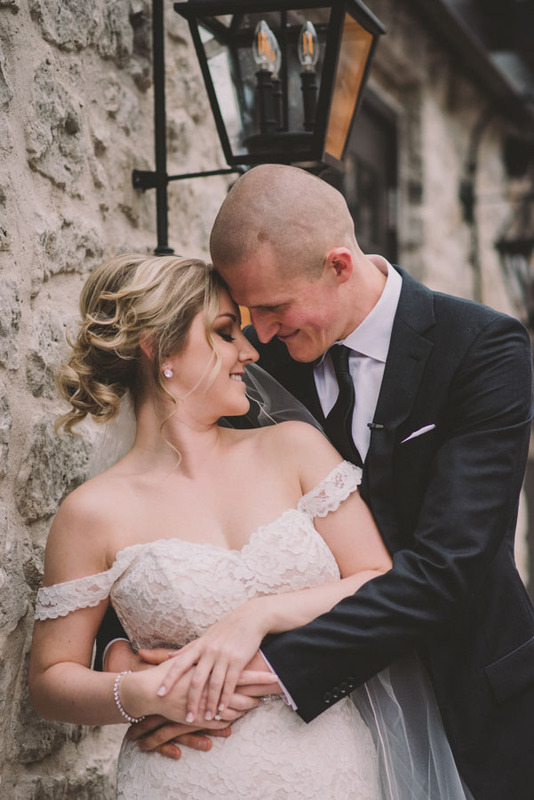 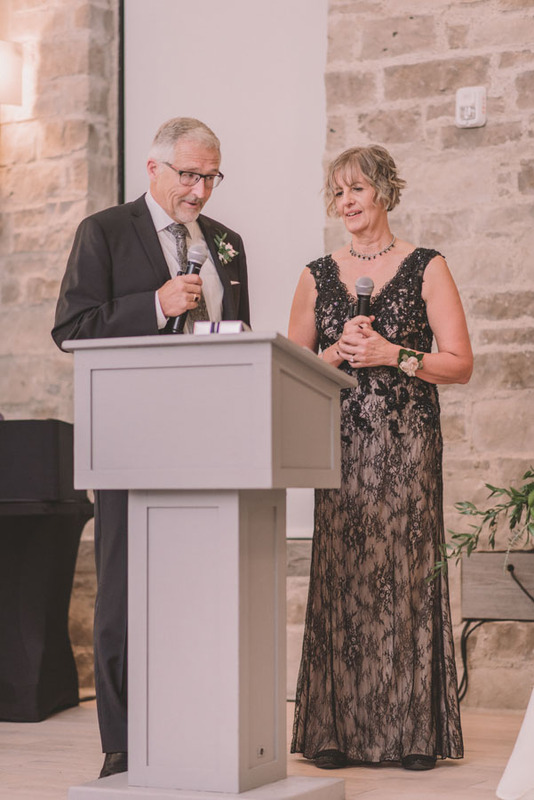 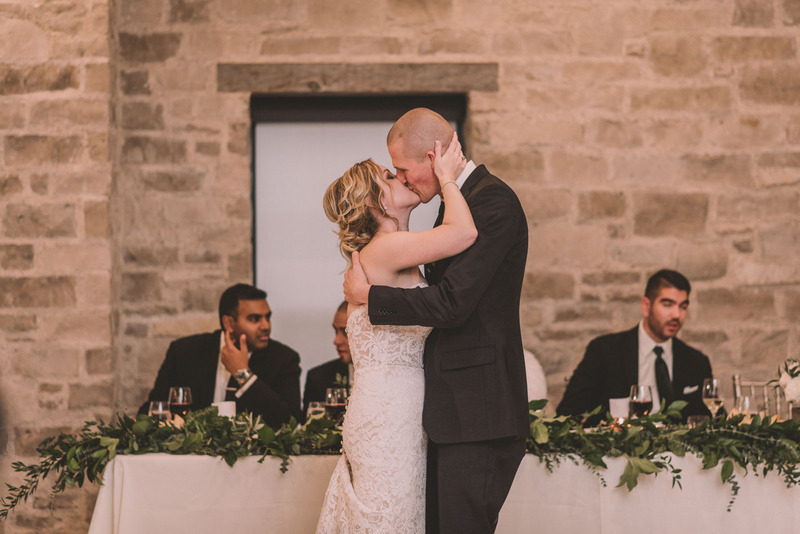 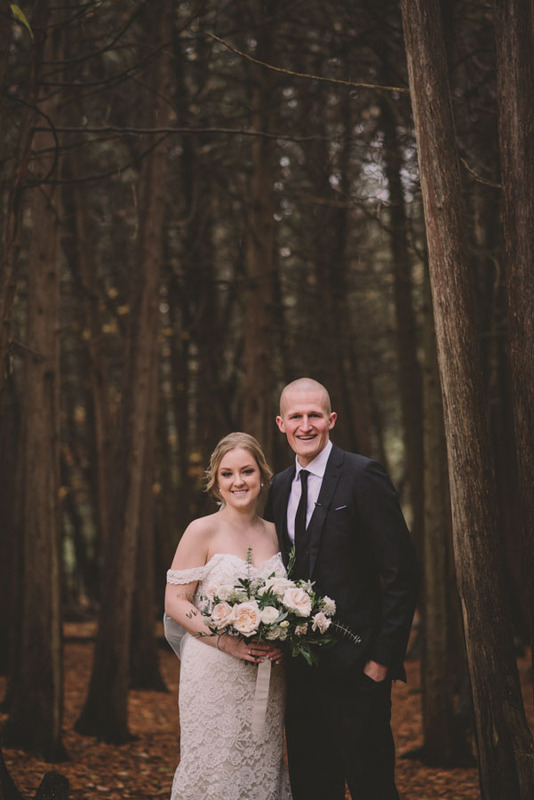 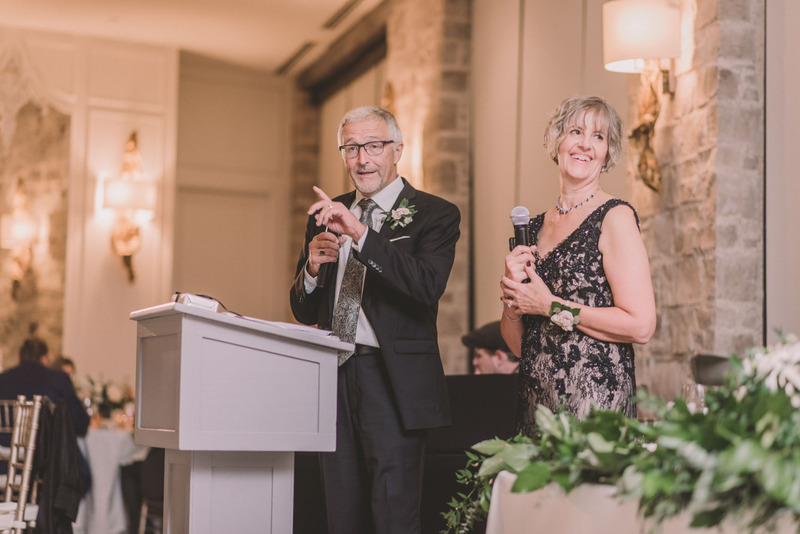 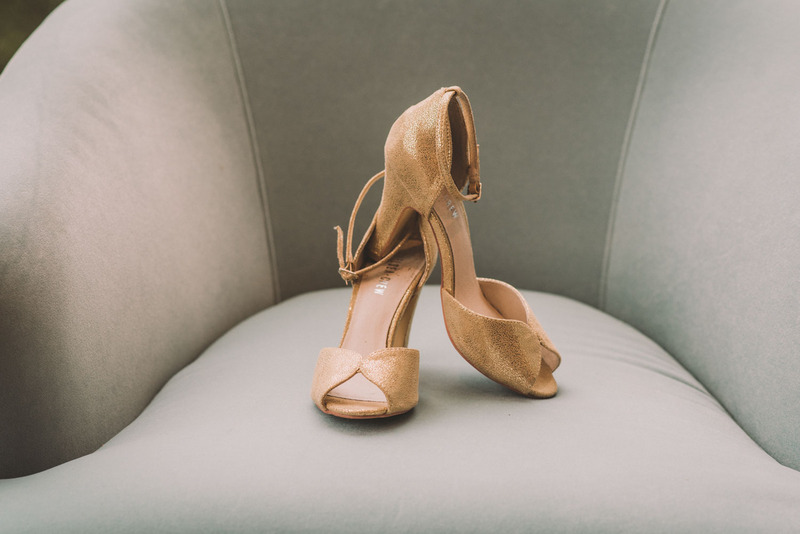 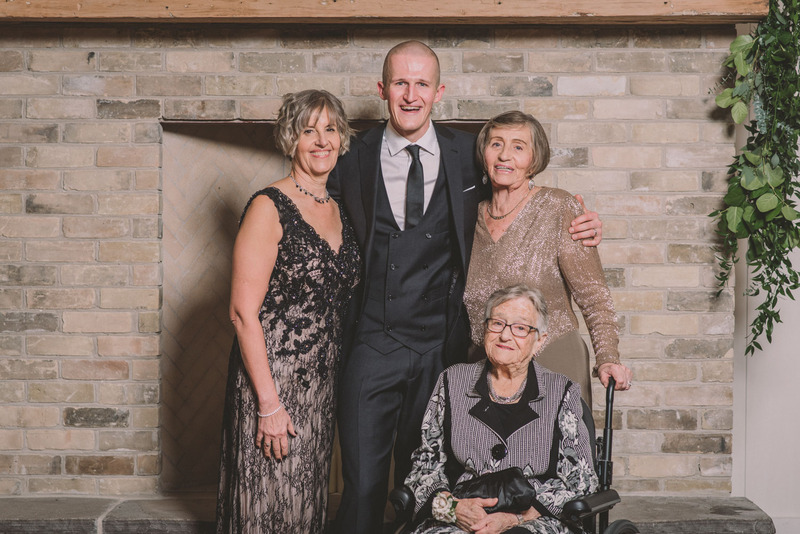 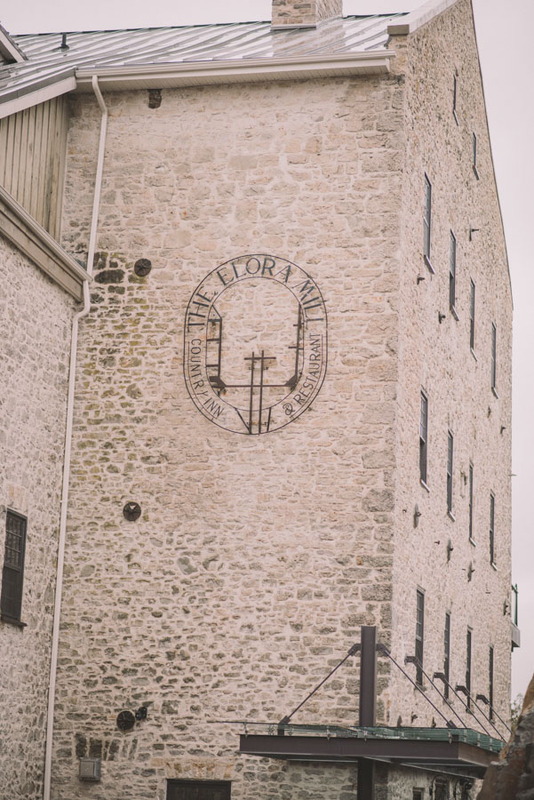 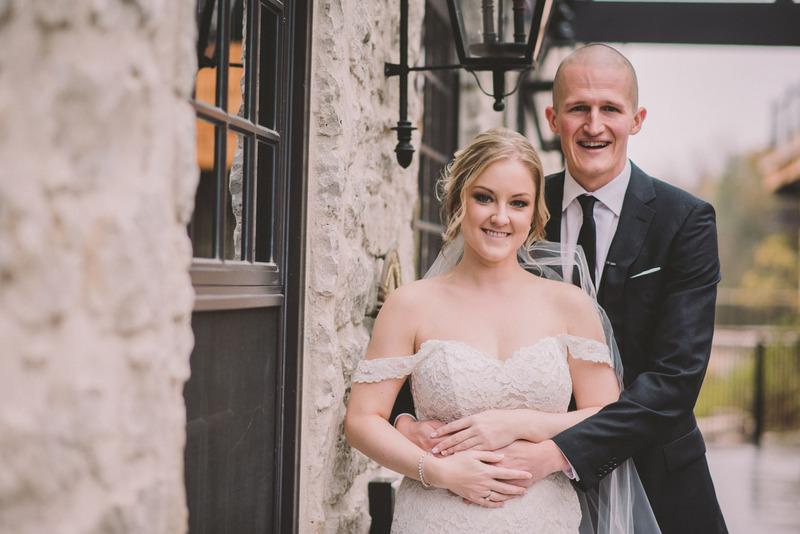 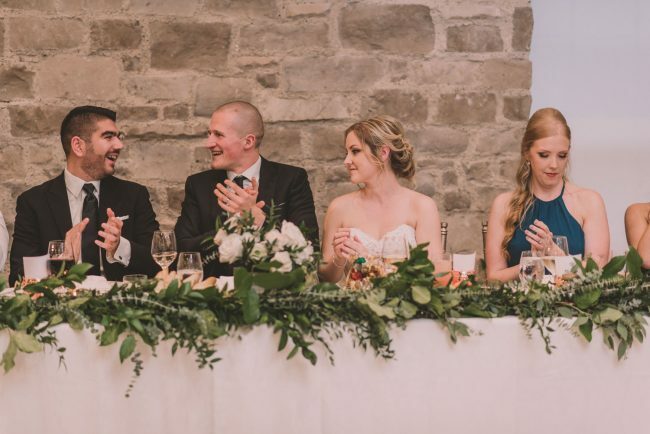 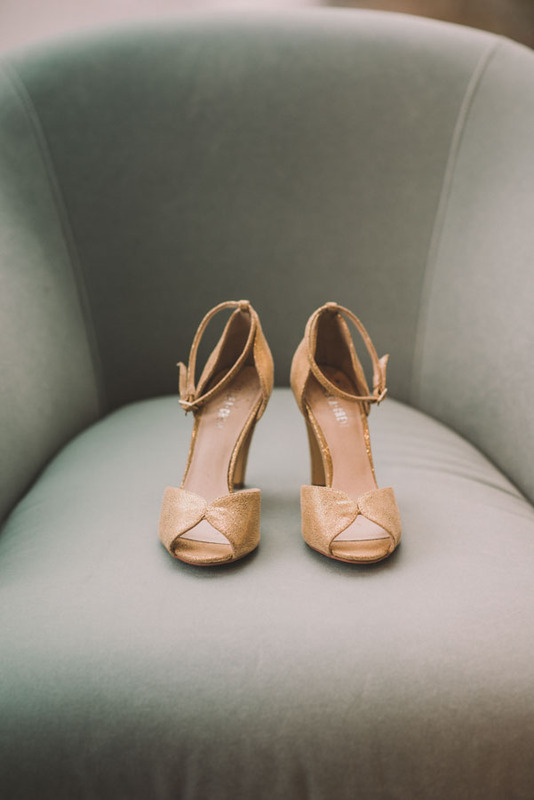 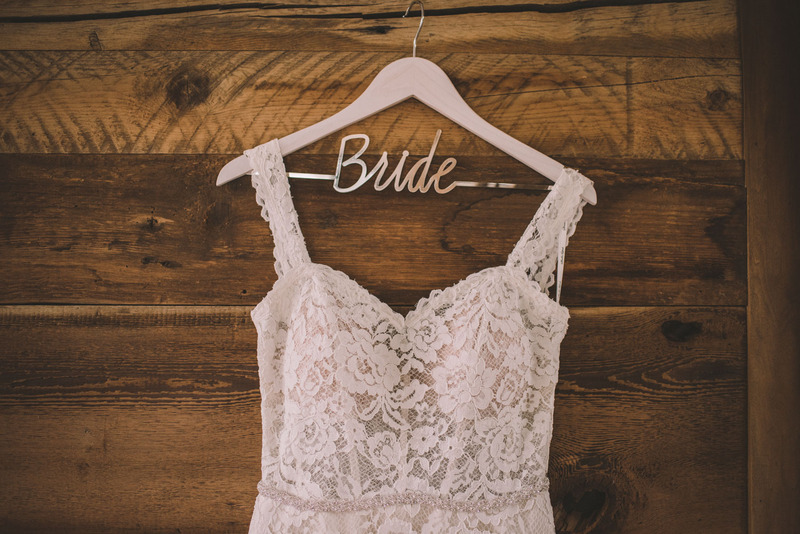 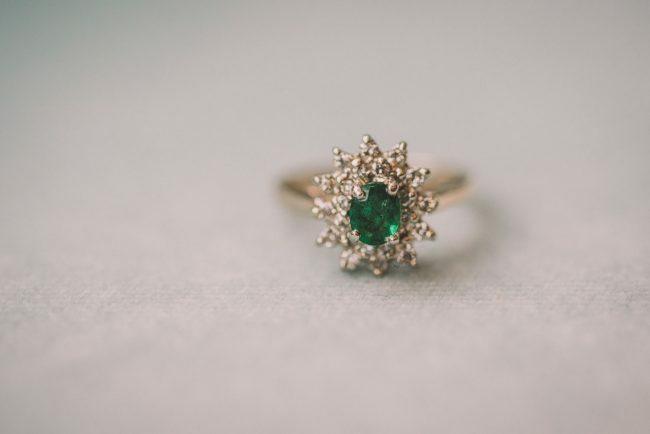 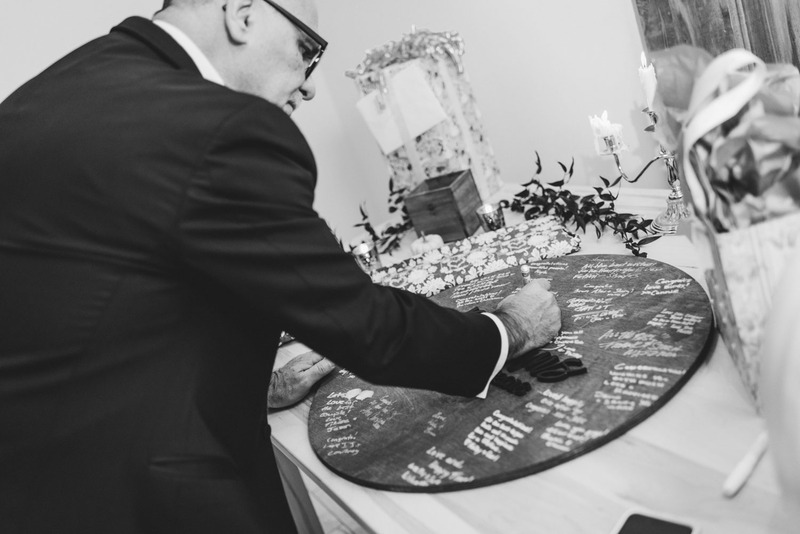 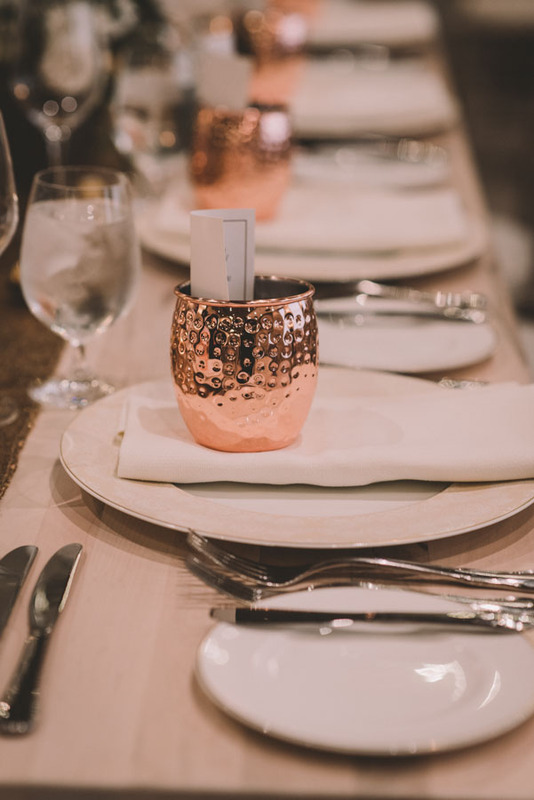 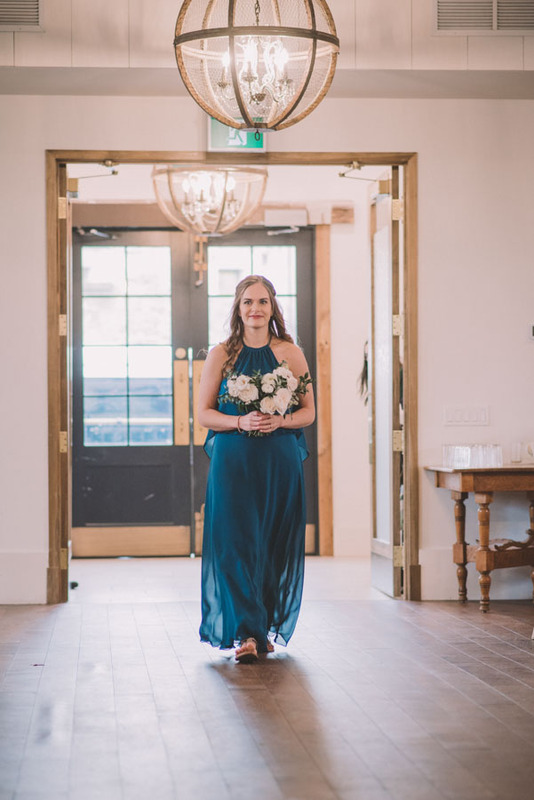 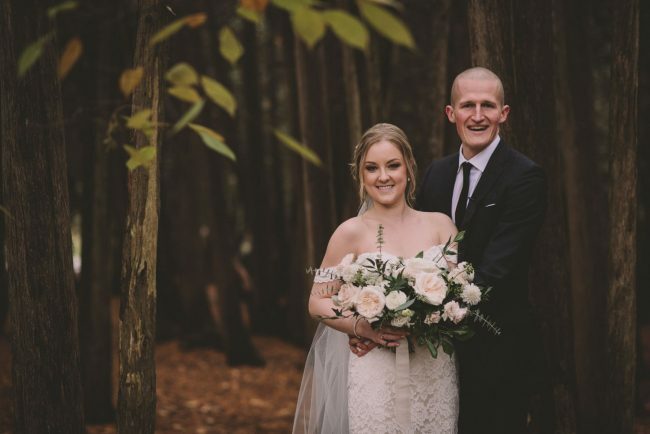 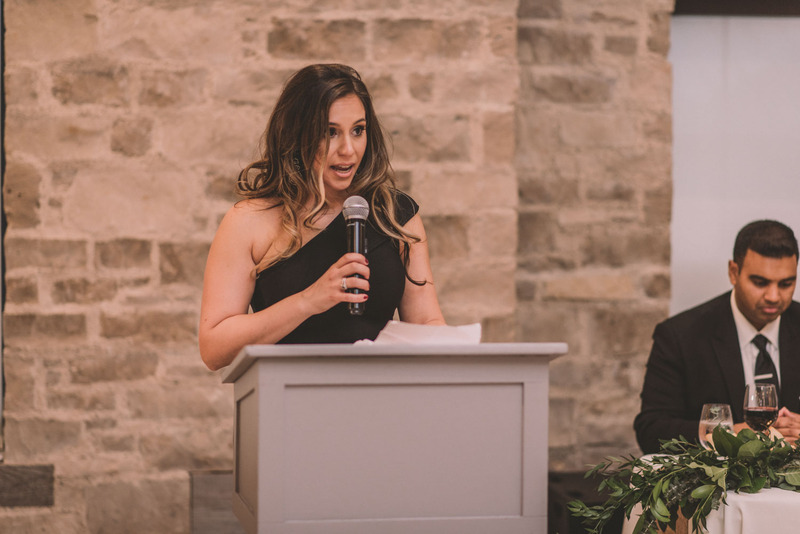 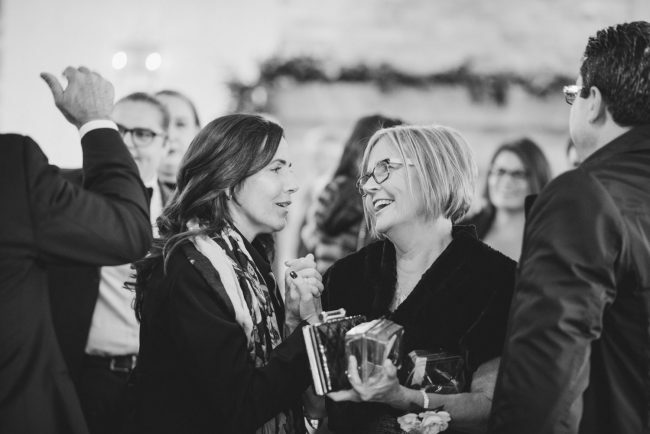 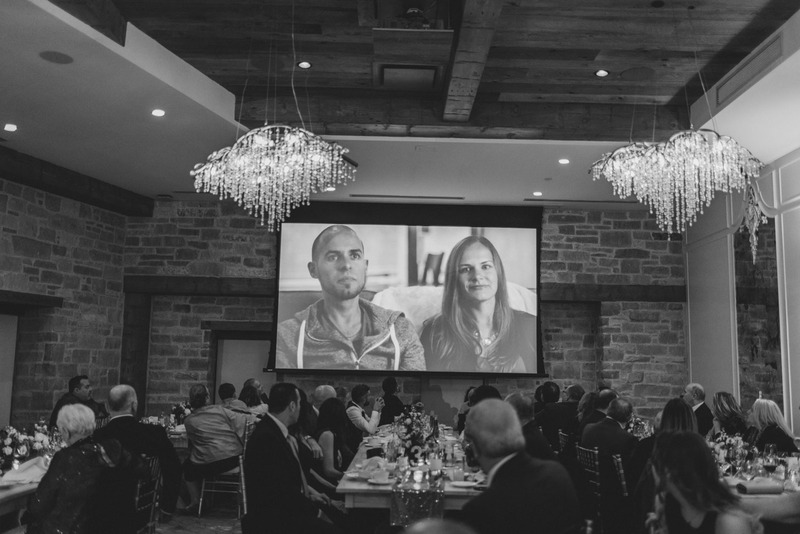 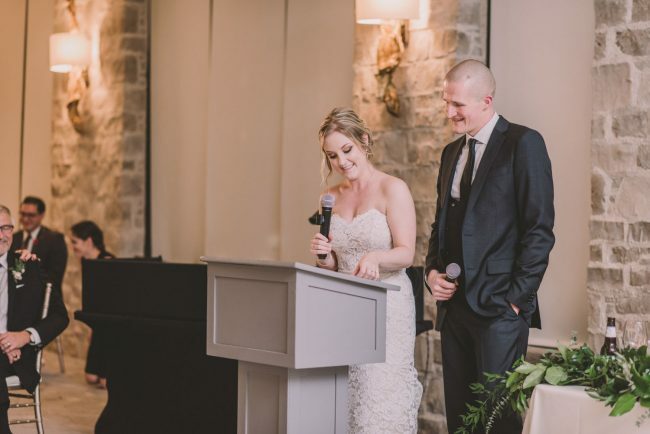 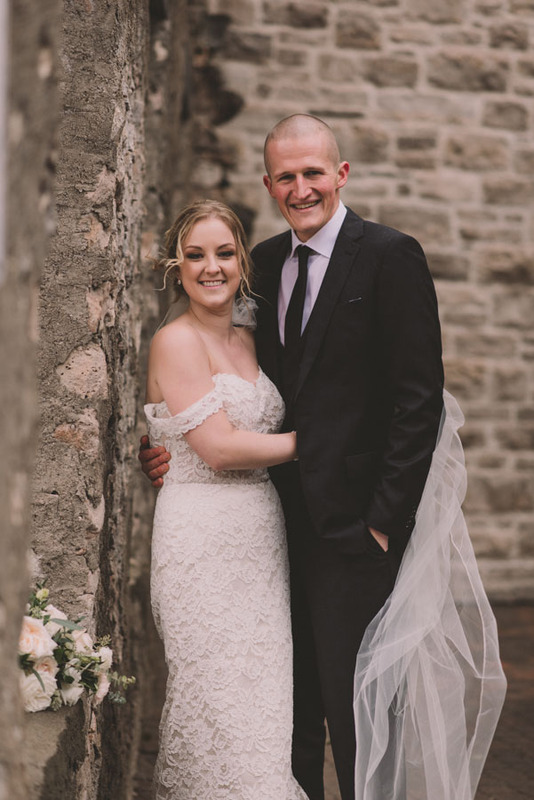 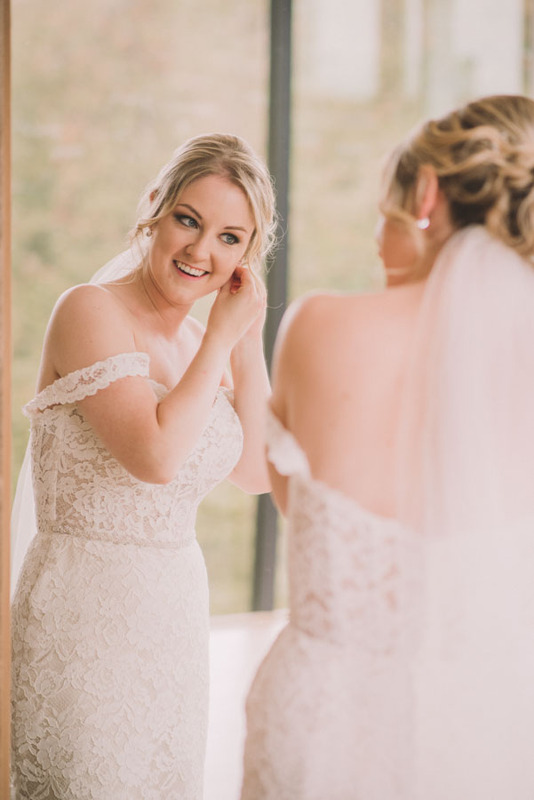 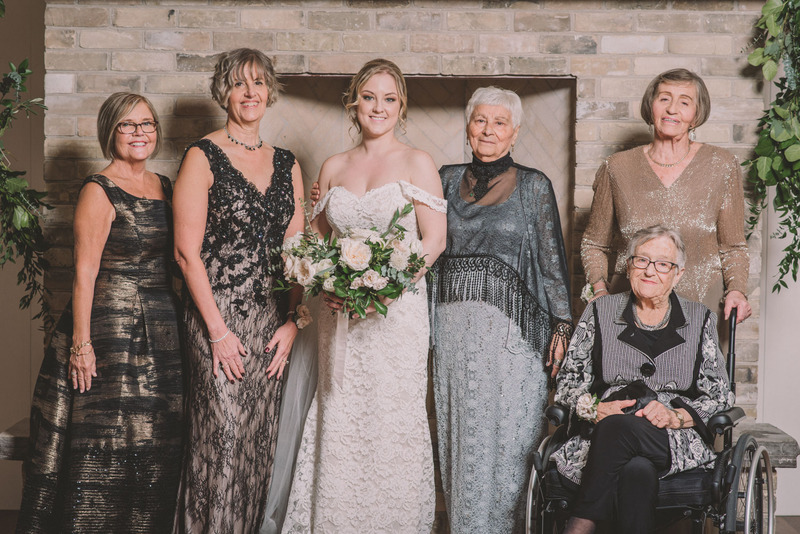 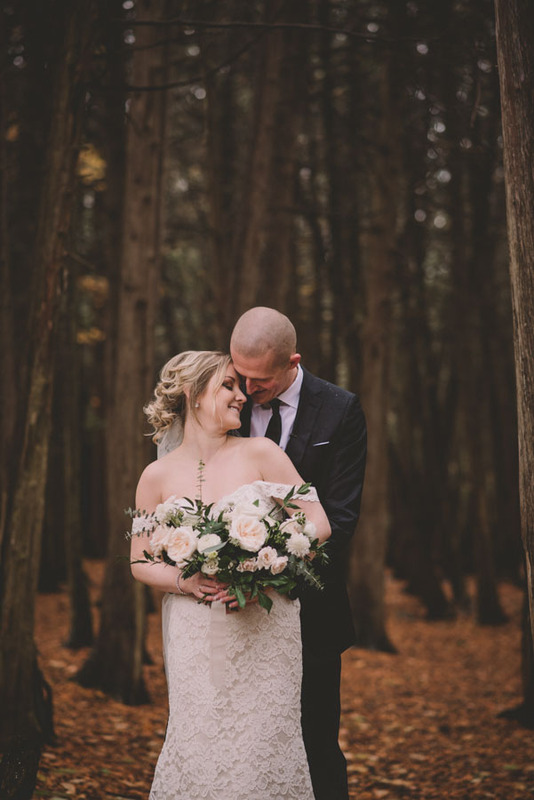 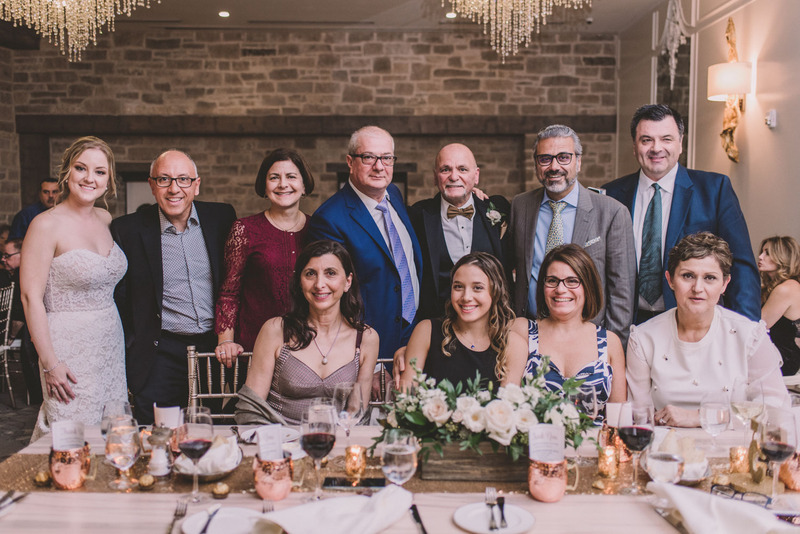 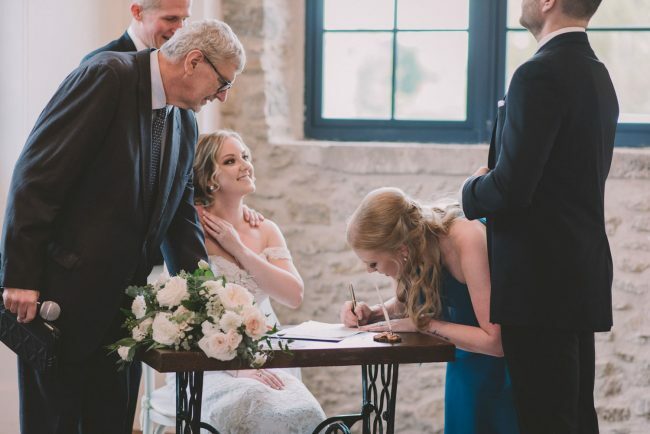 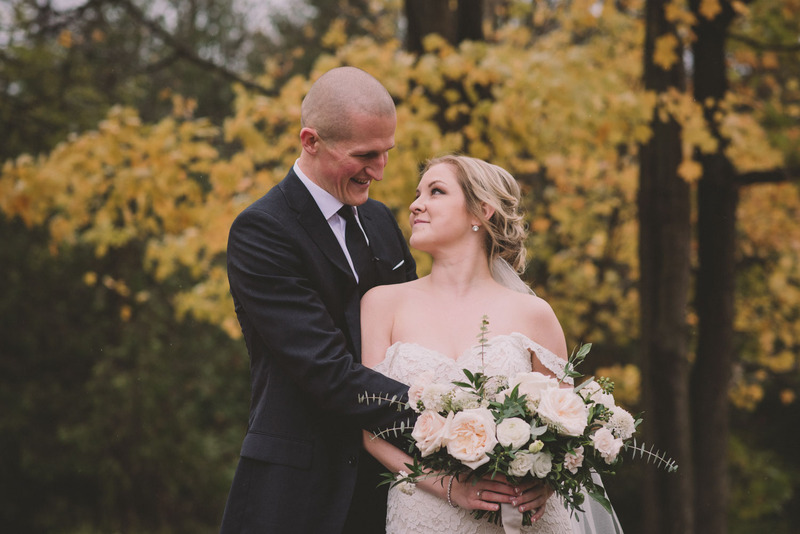 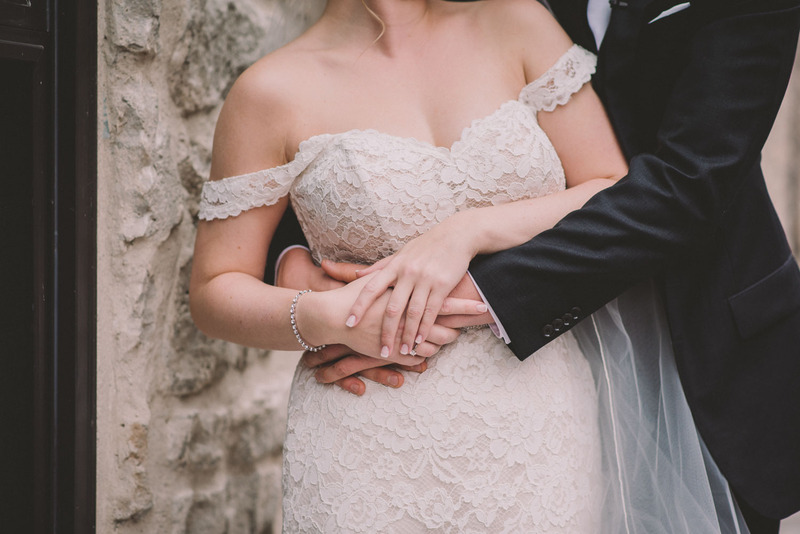 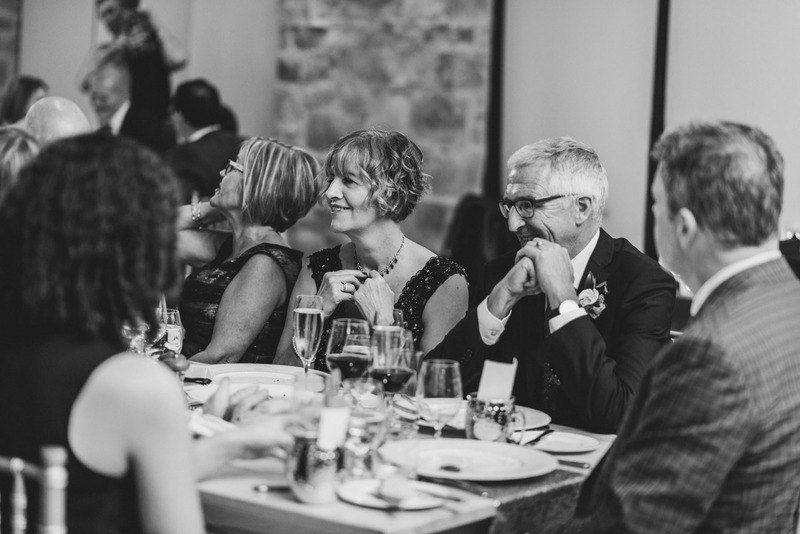 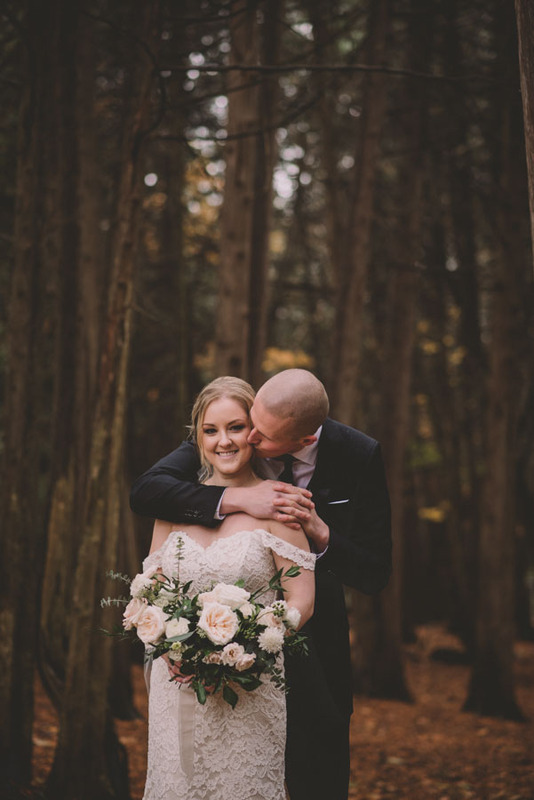 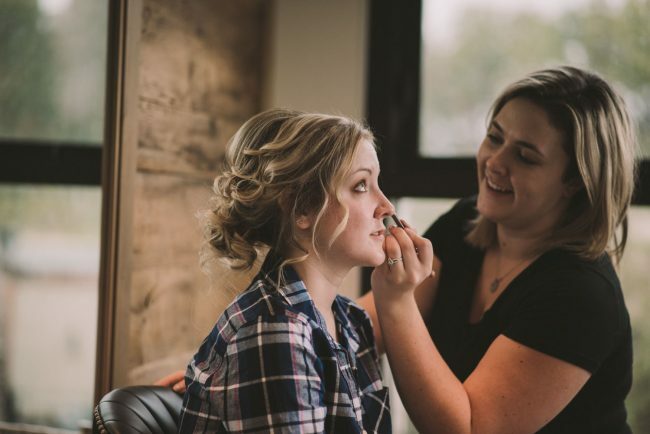 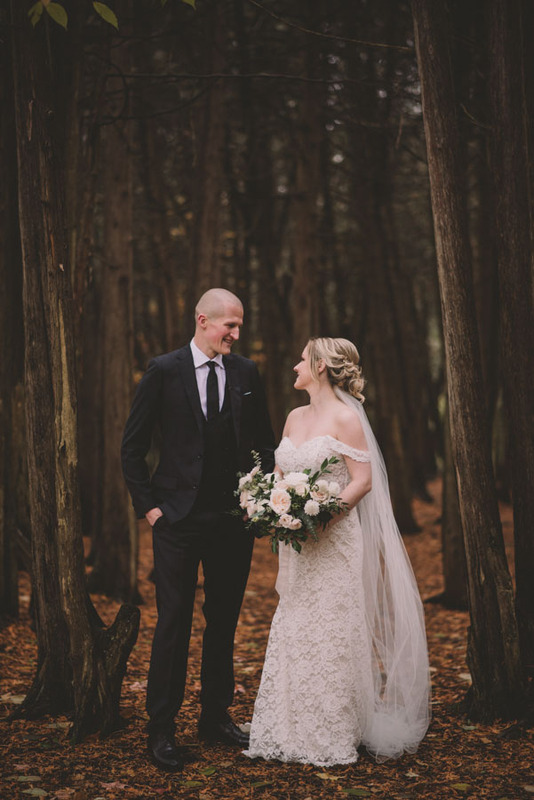 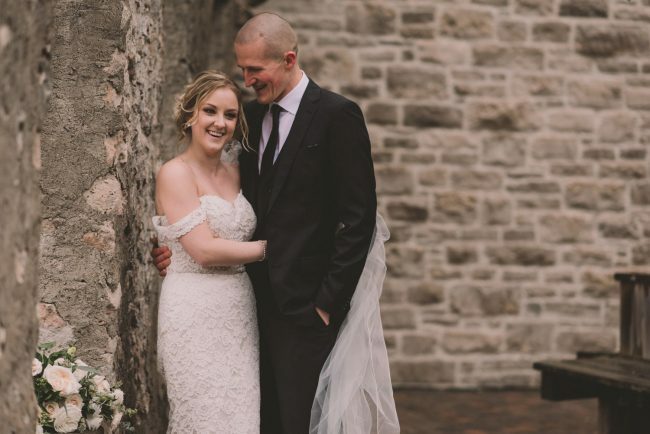 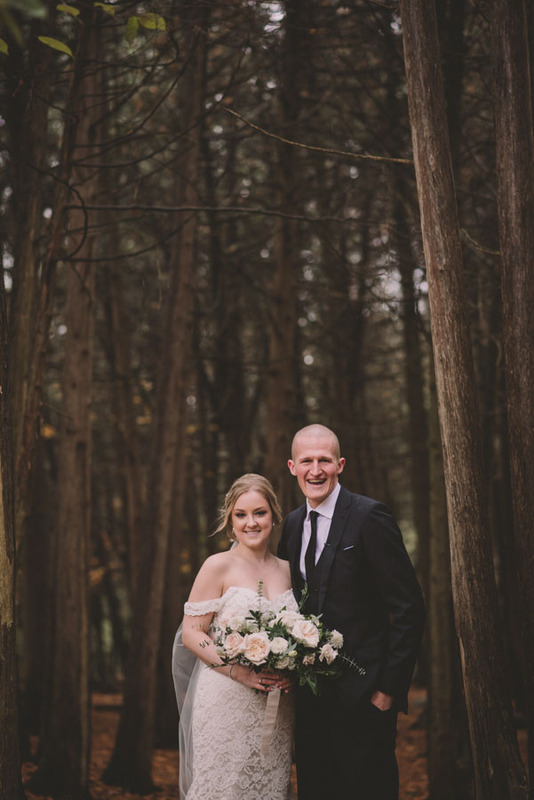 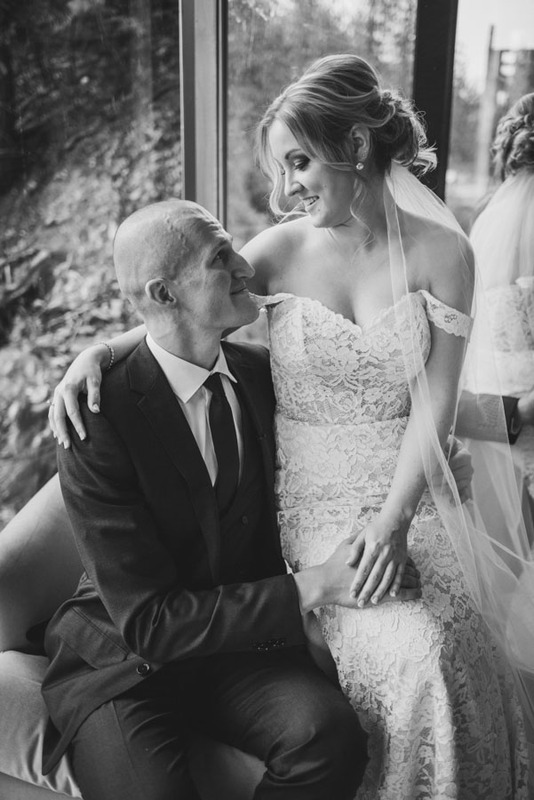 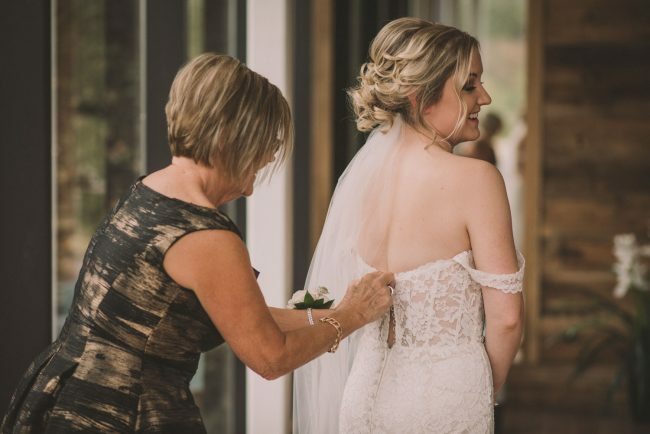 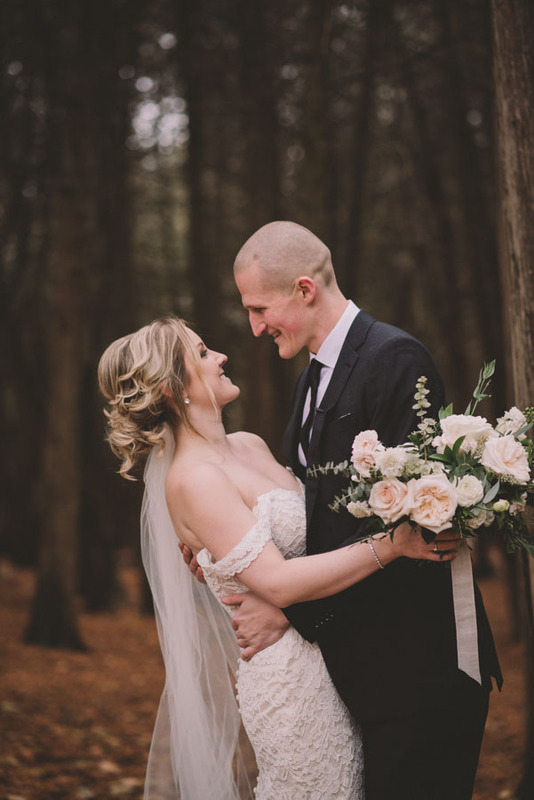 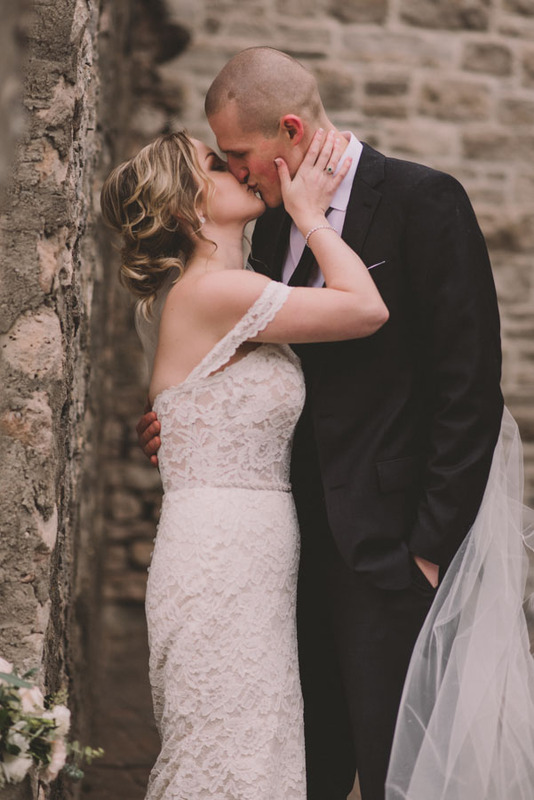 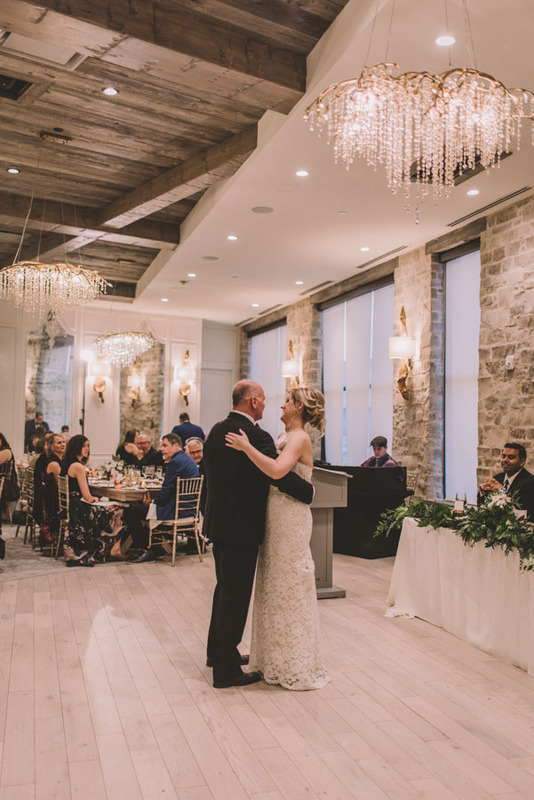 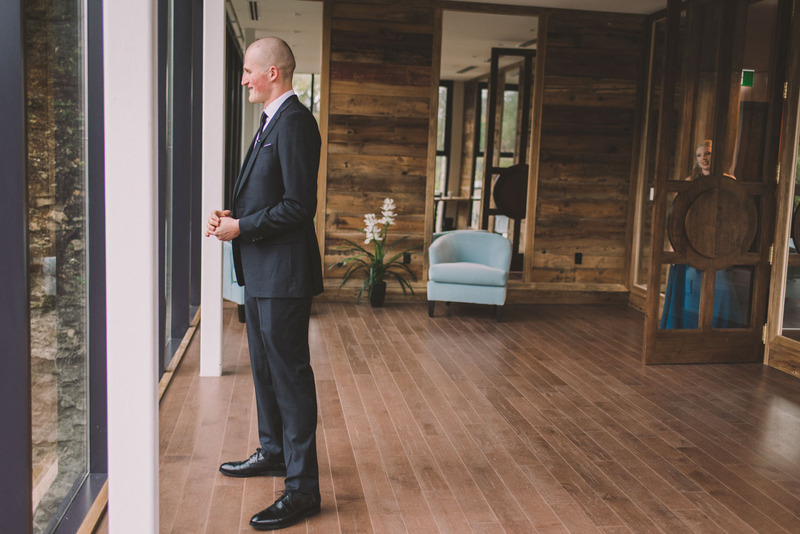 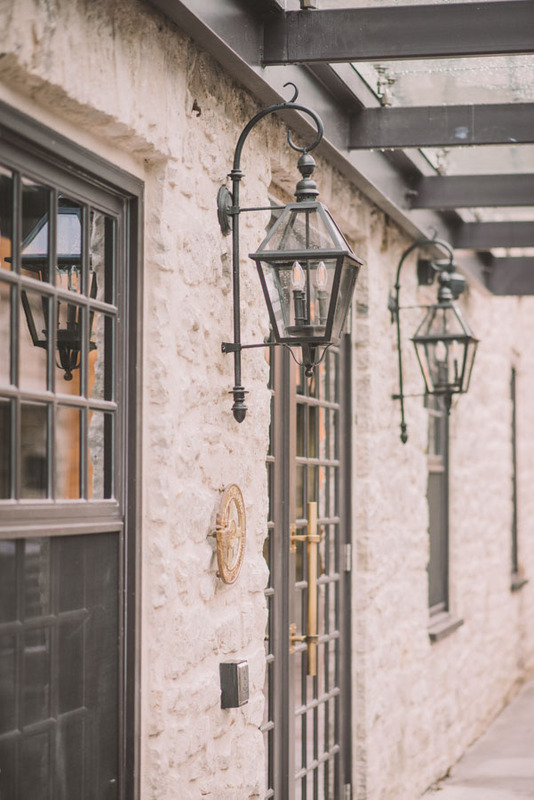 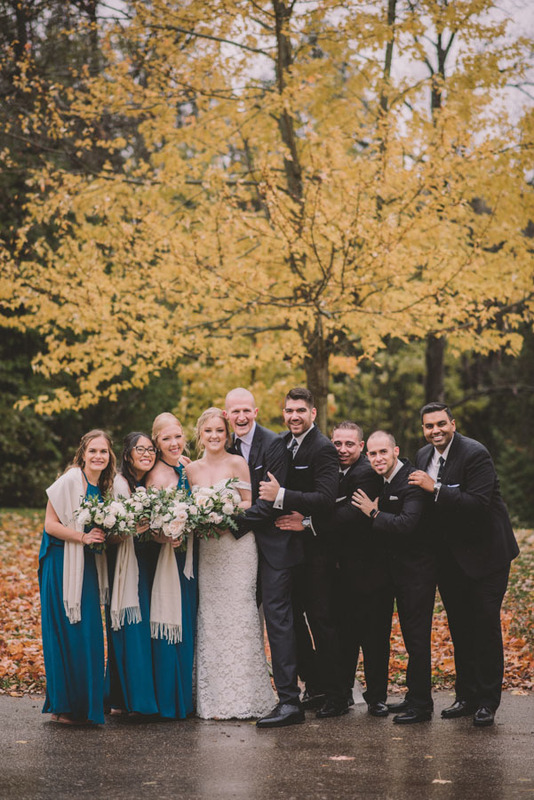 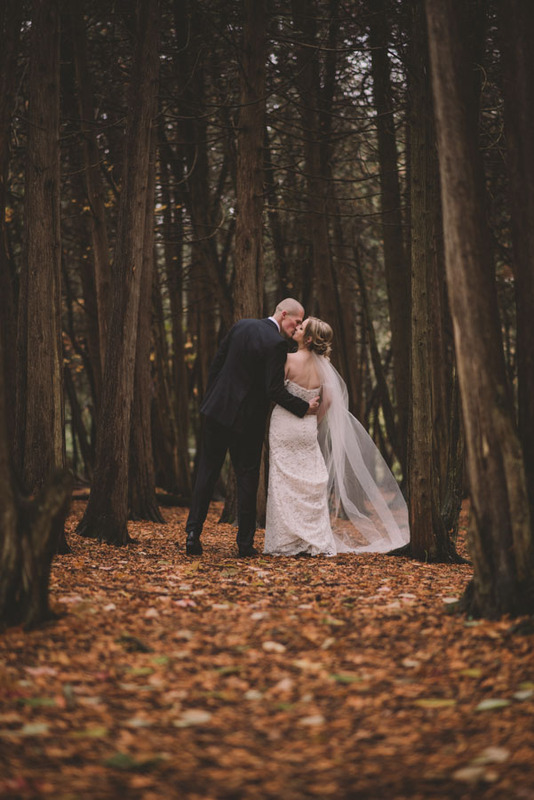 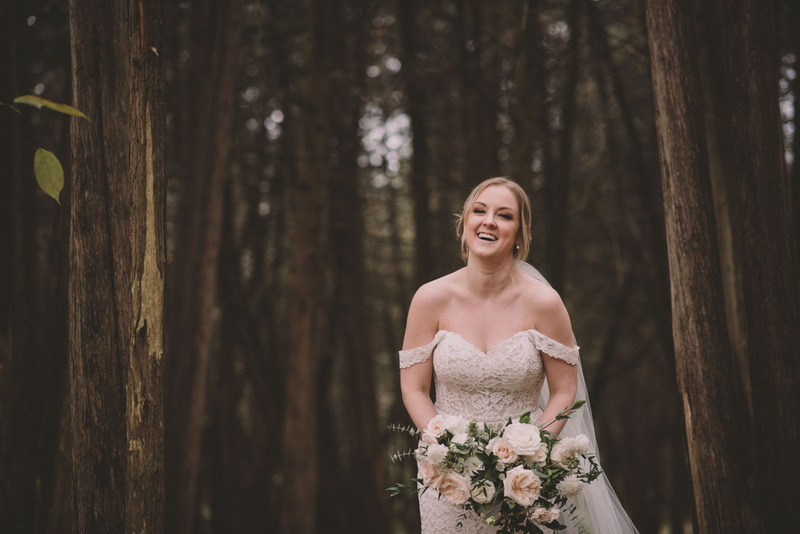 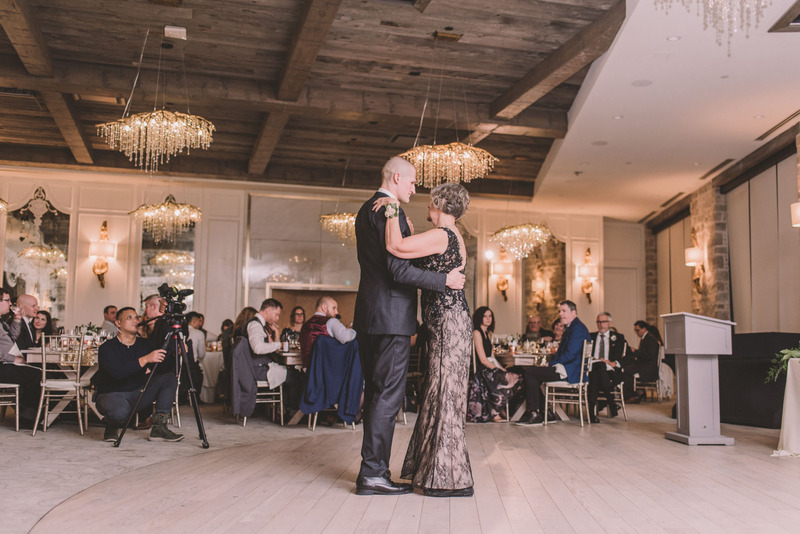 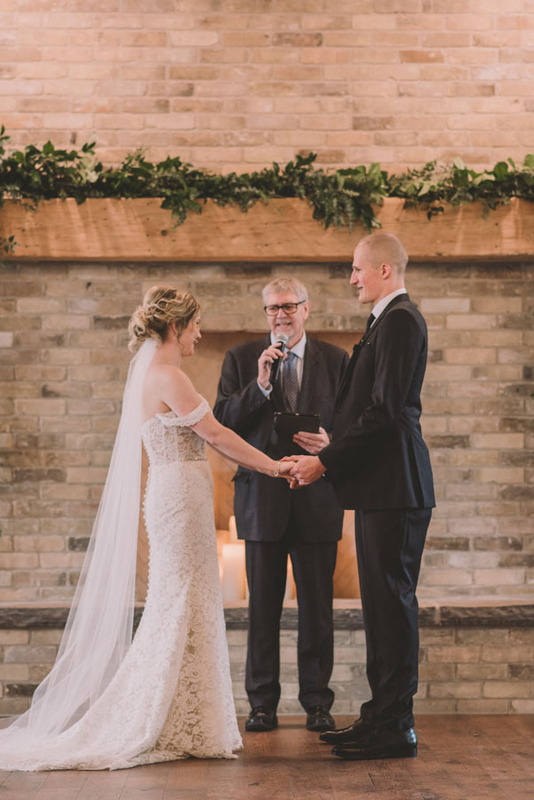 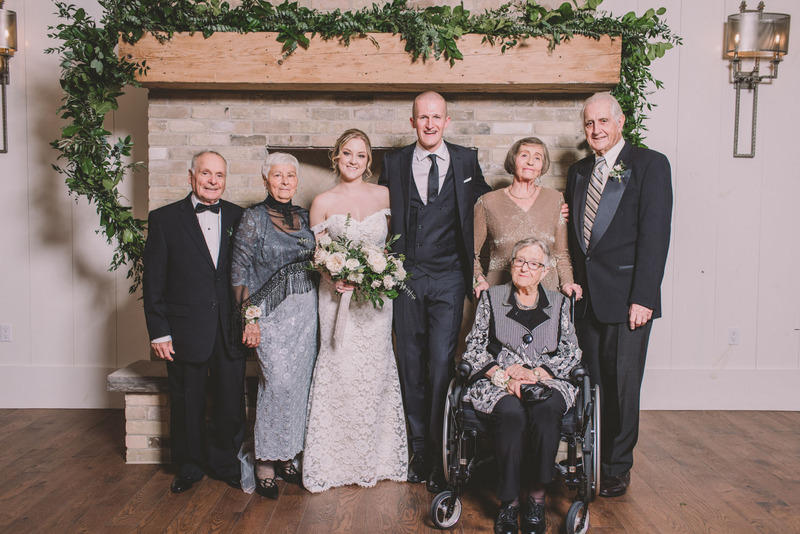 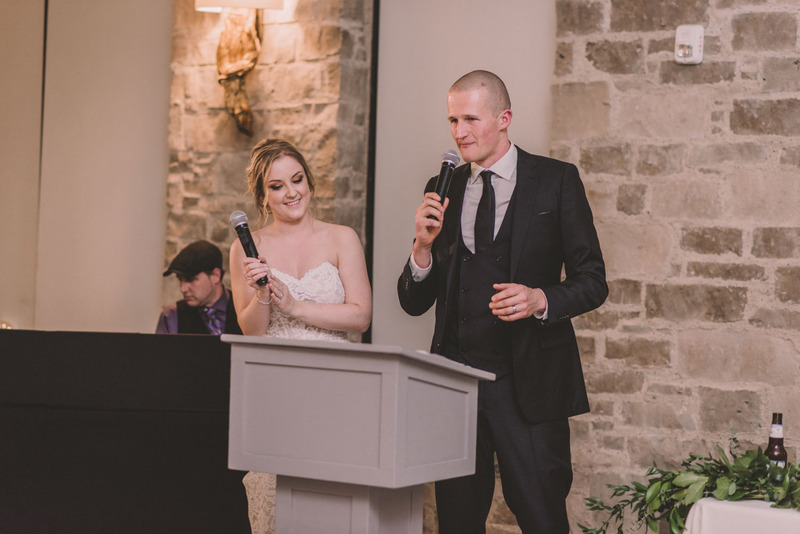 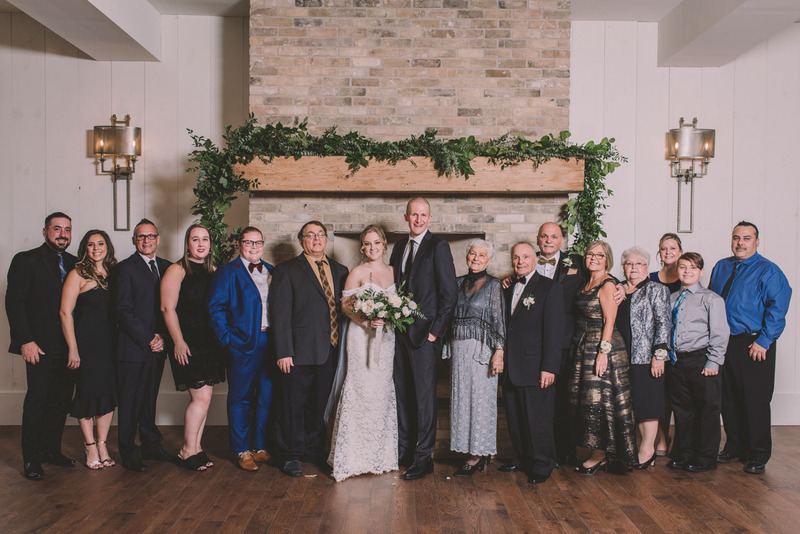 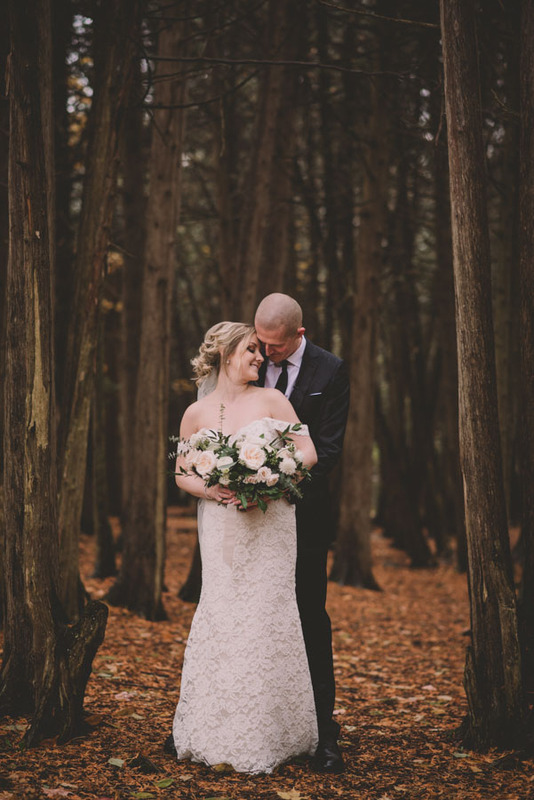 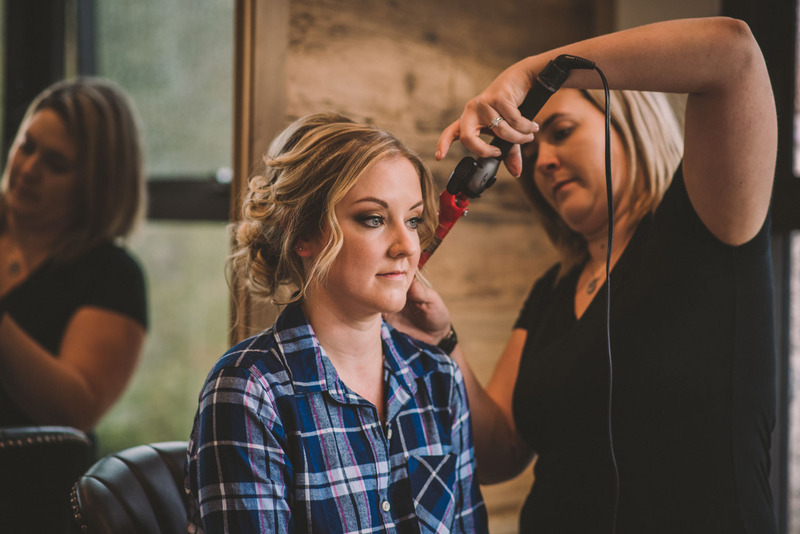 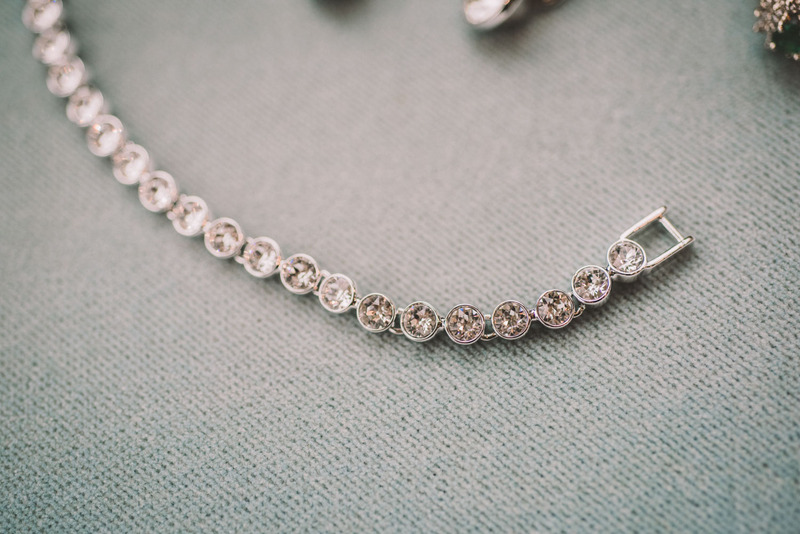 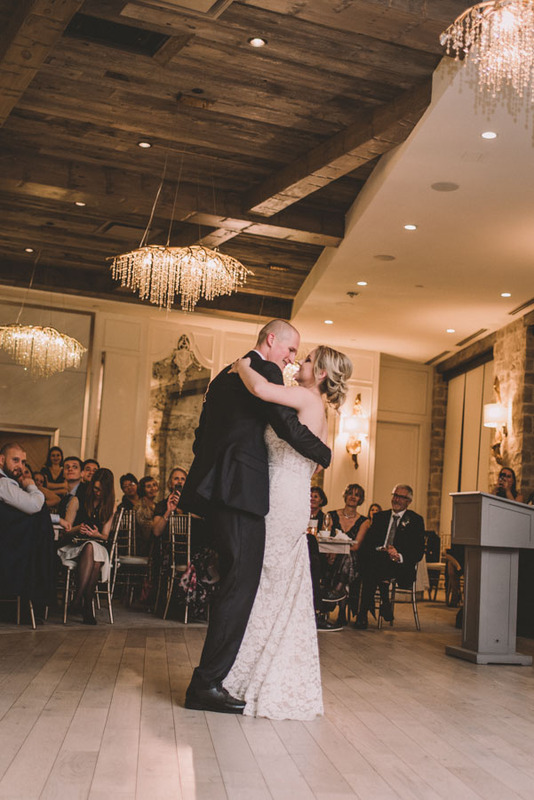 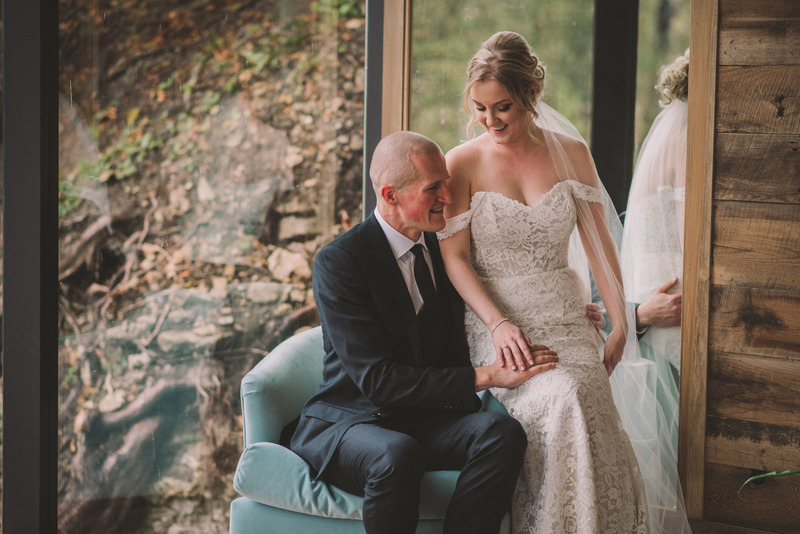 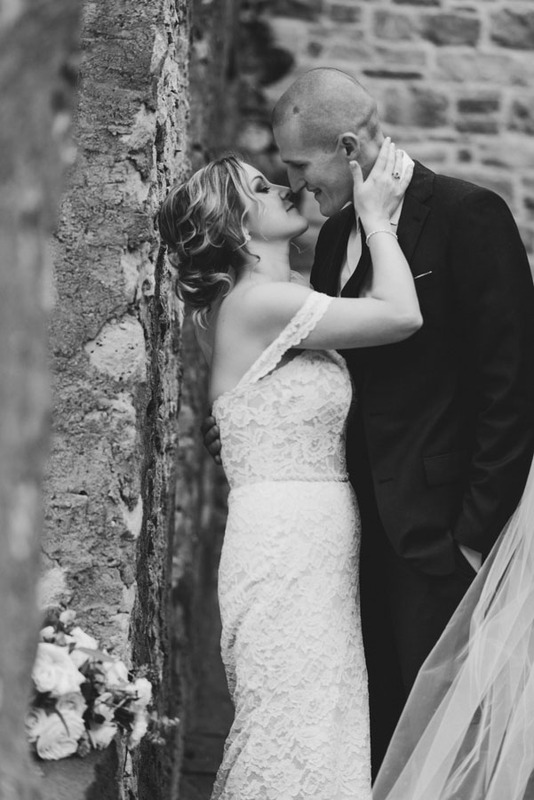 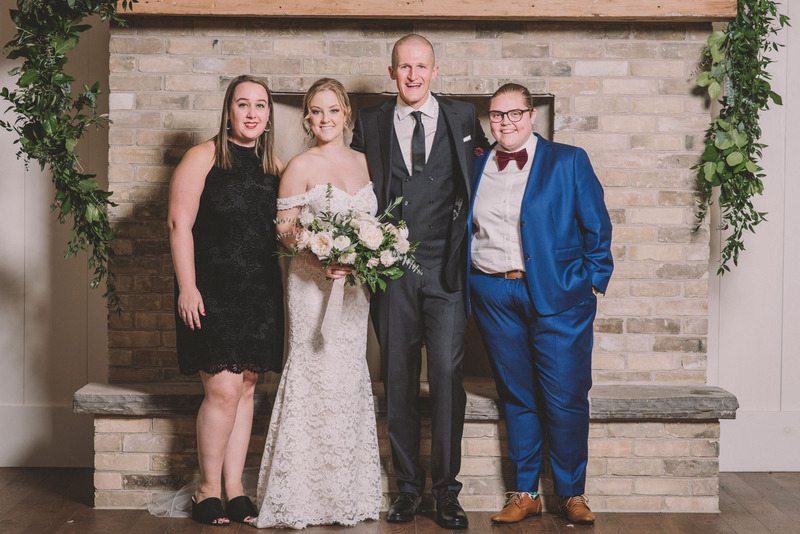 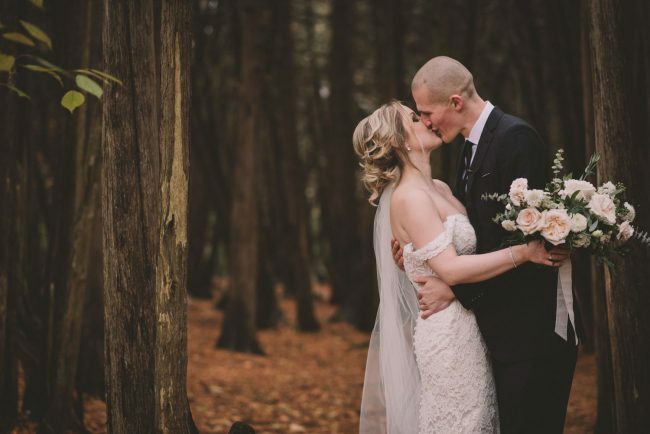 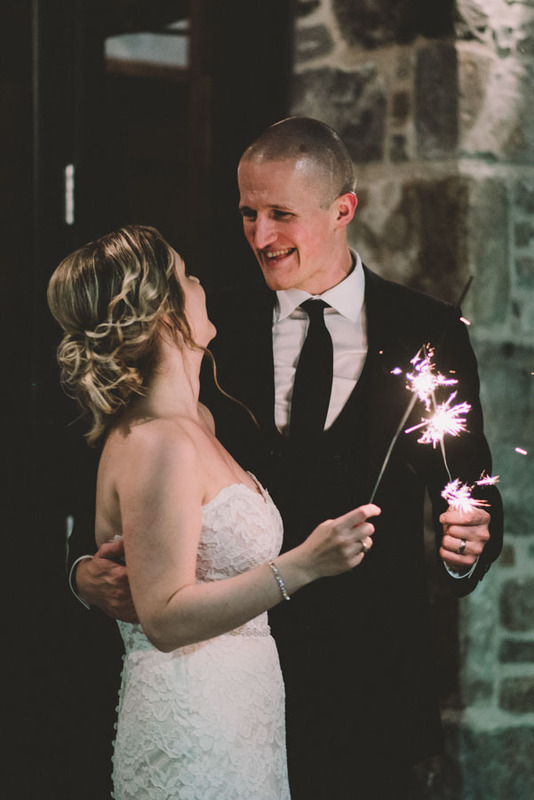 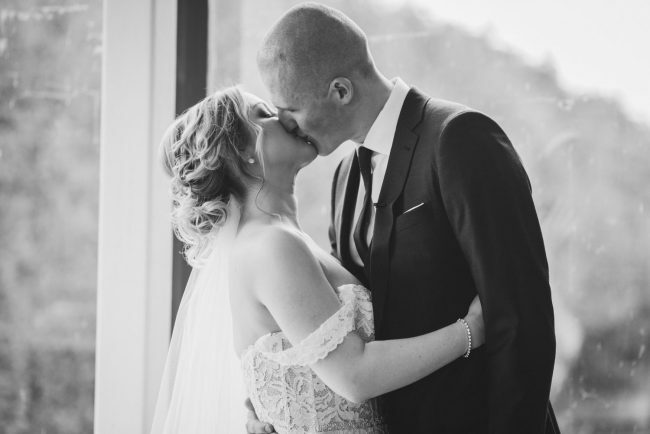 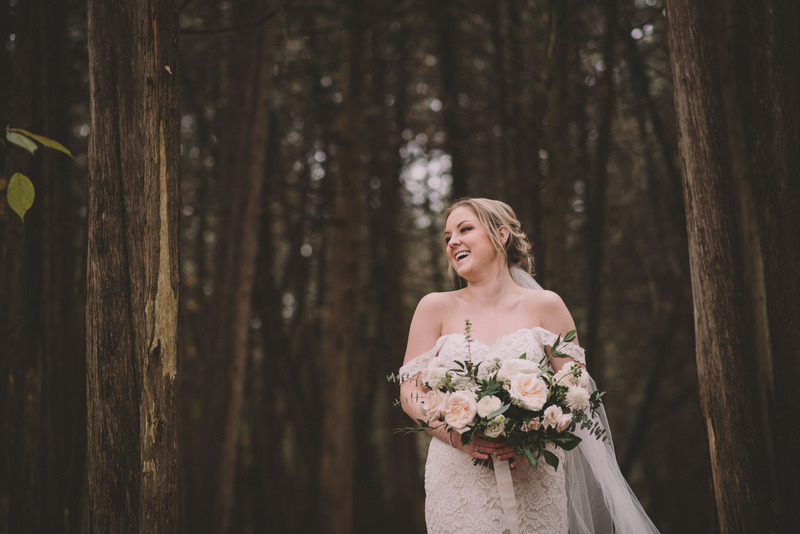 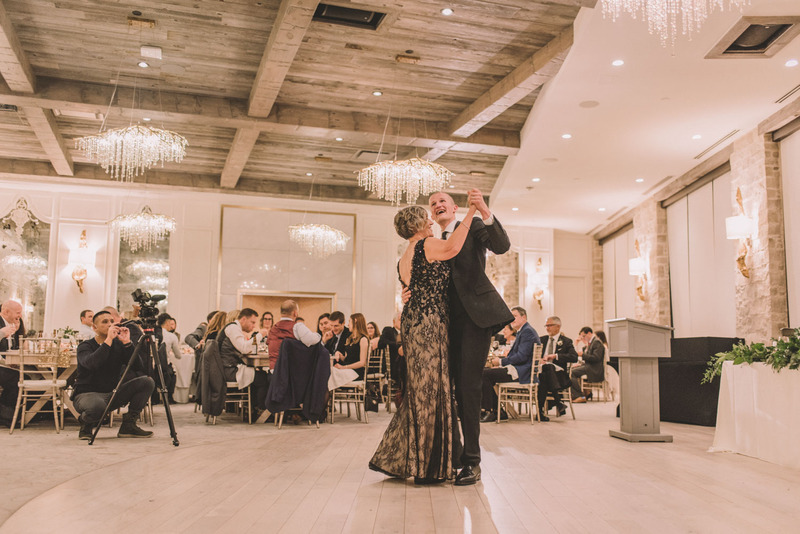 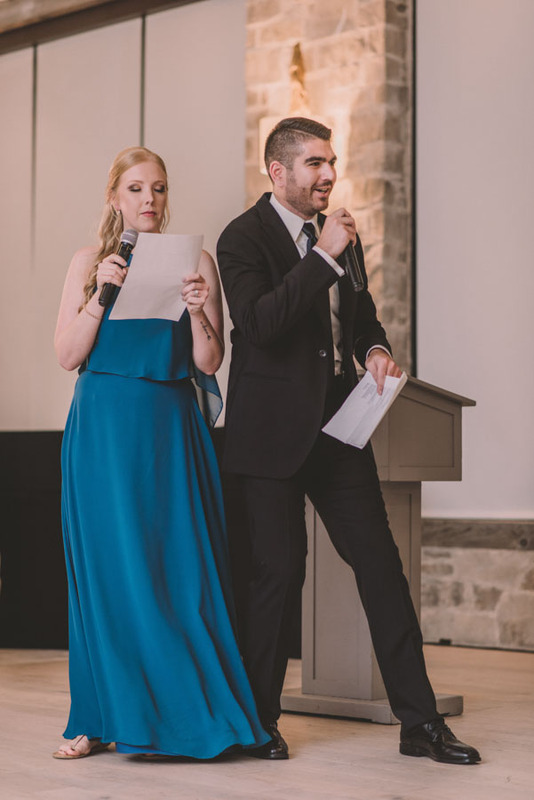 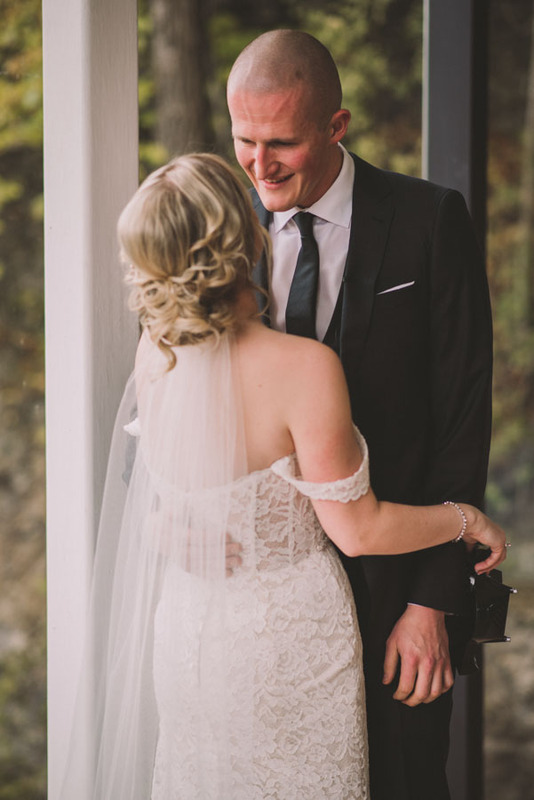 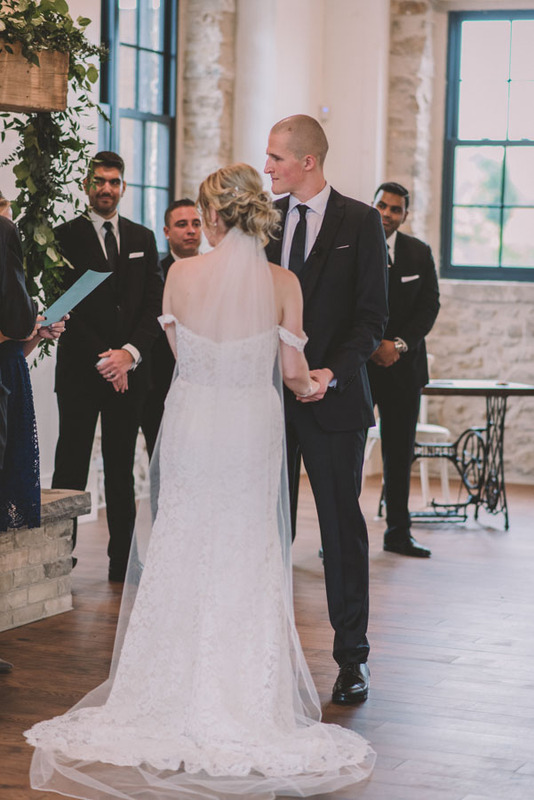 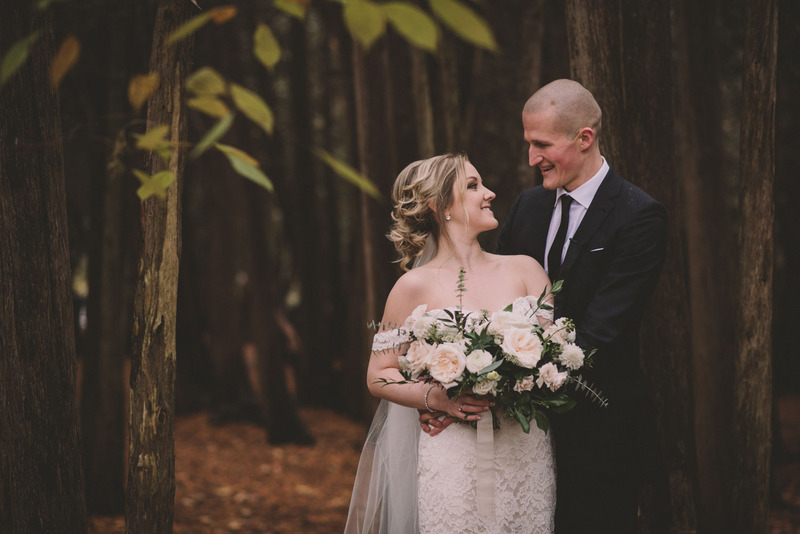 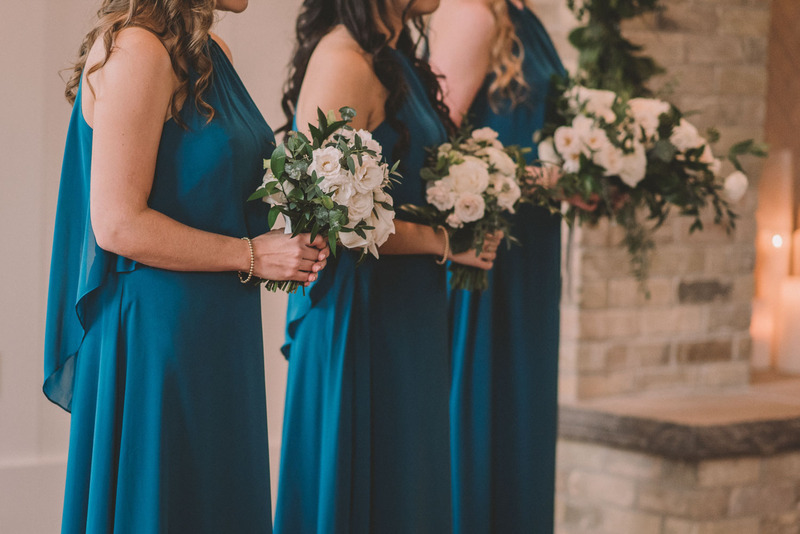 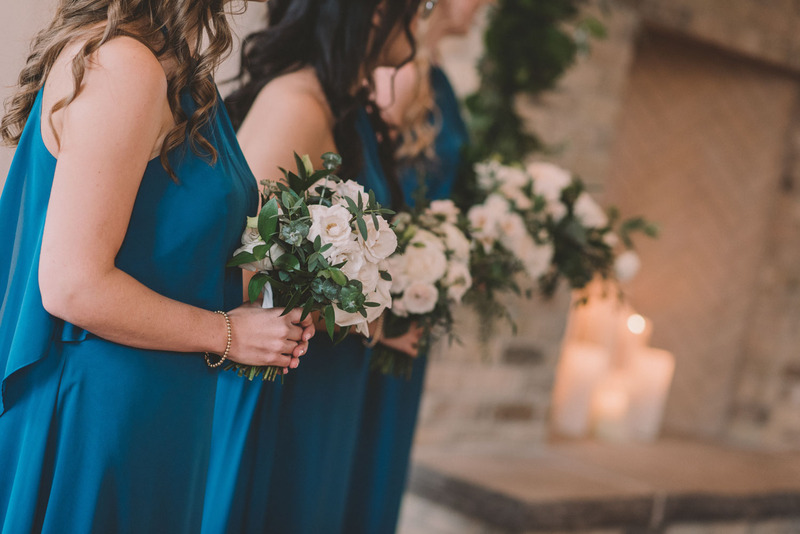 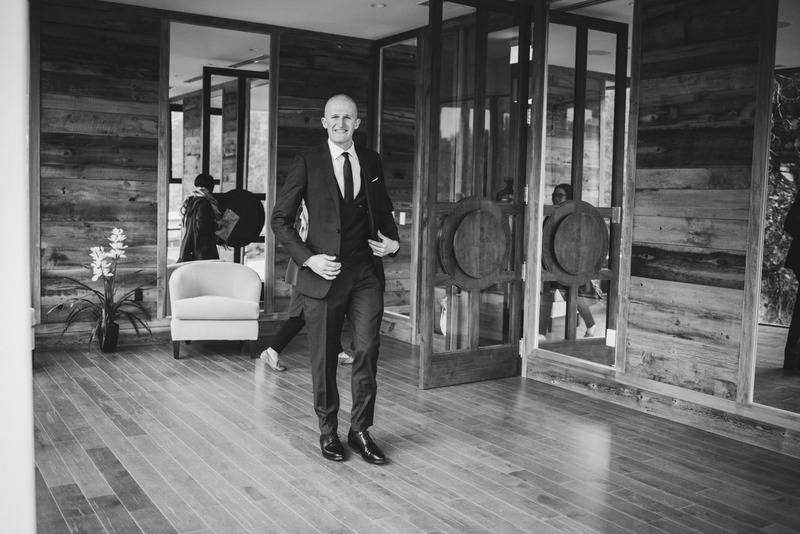 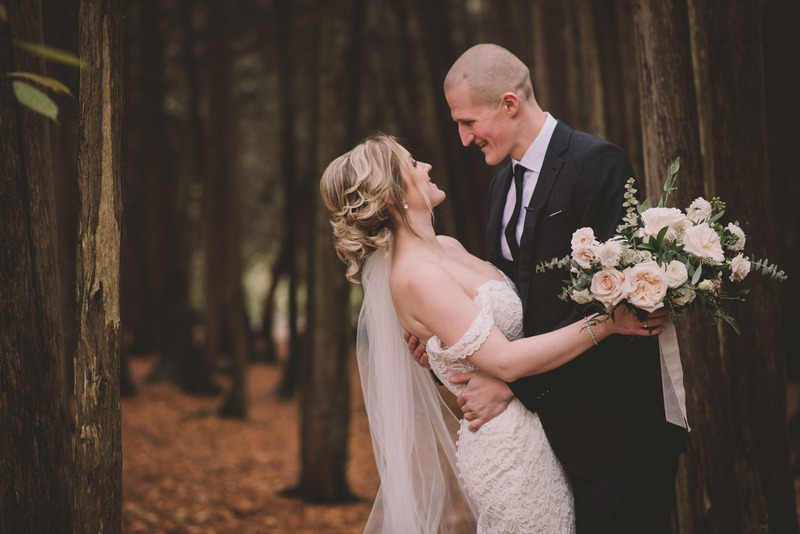 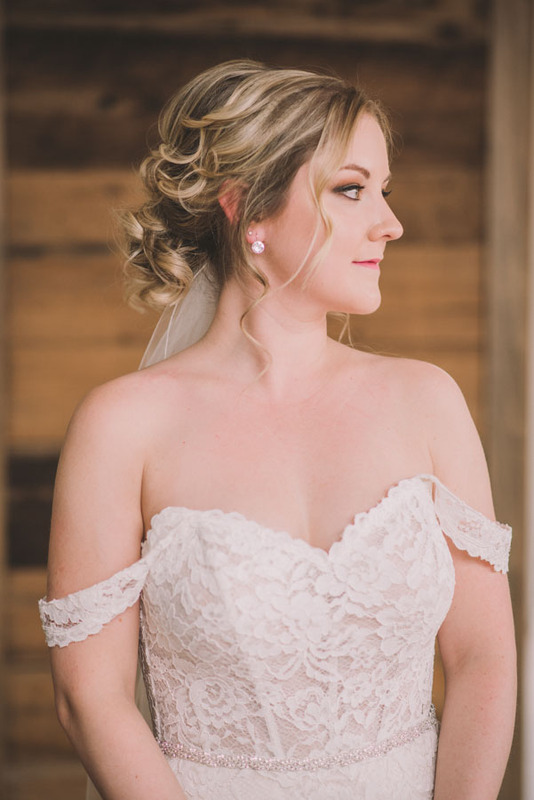 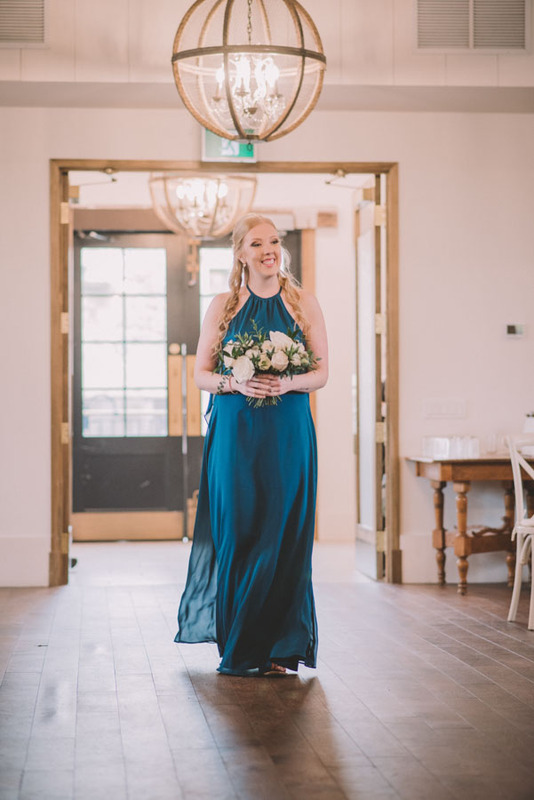 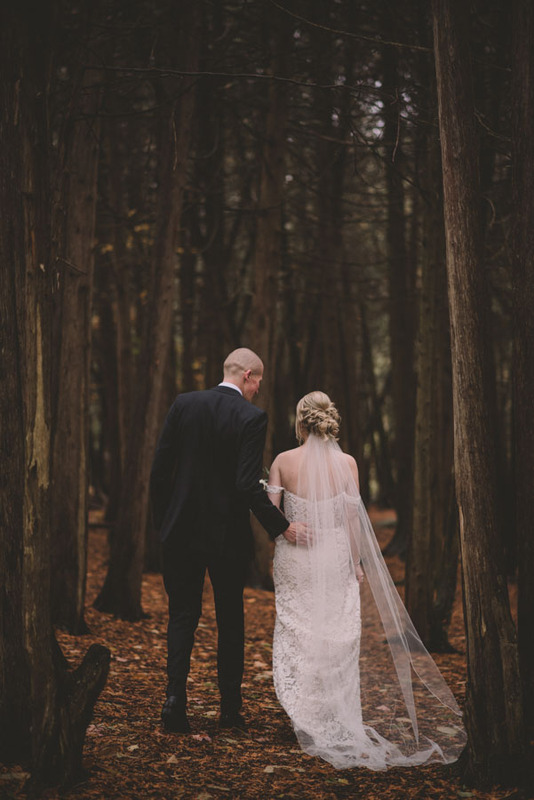 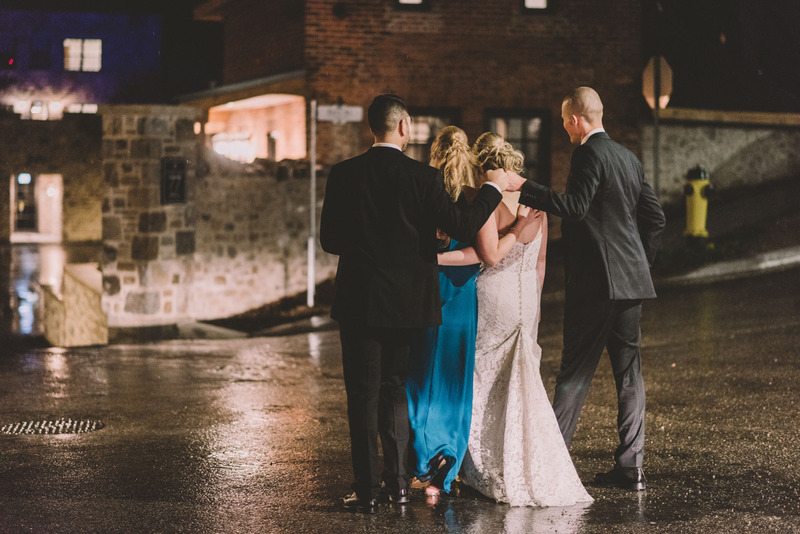 Elora Mill Wedding Photography | Angelina + Brian | Ema Wedding Co.
Angelina and Brian were one such couple! 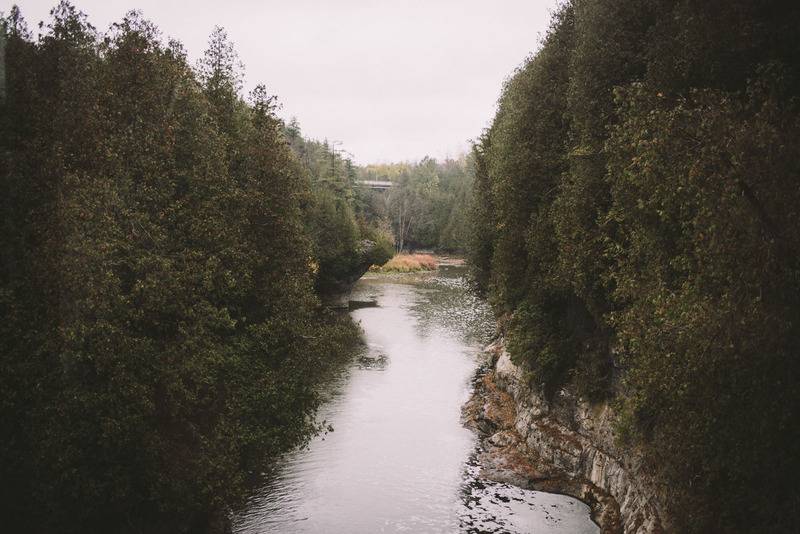 We first worked together on their engagement session which took place in Victoria Park and the Elora Gorge in the early spring. 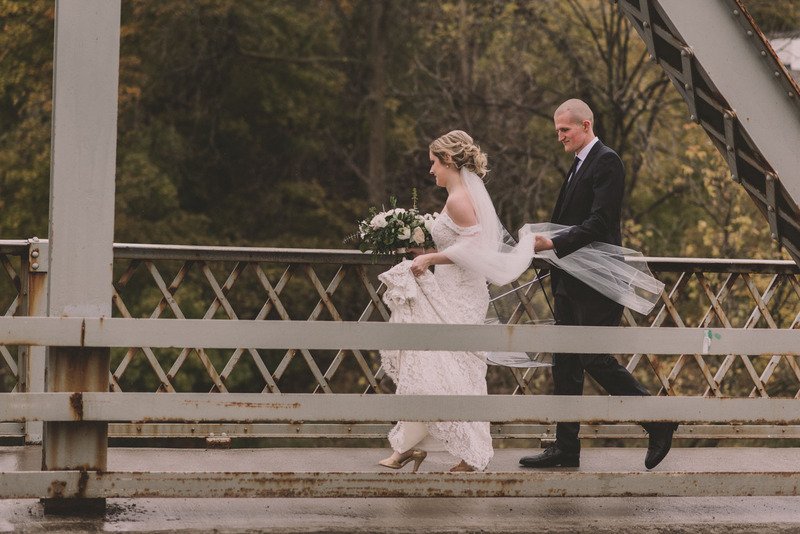 The stairs down to the river were in deep shade, and as such they were covered in snow and ice – but that wasn’t going to stop Angelina, who was in heels! 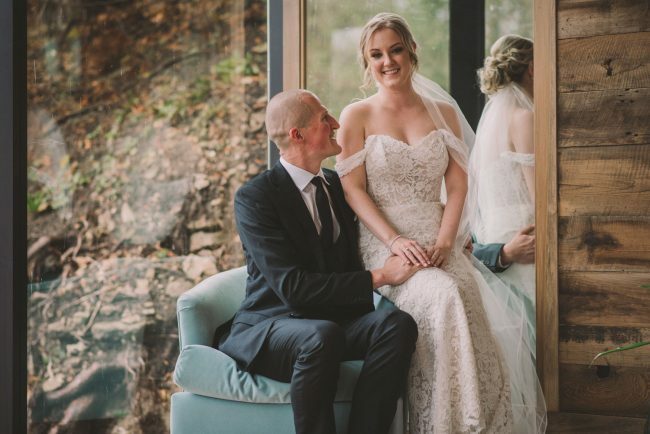 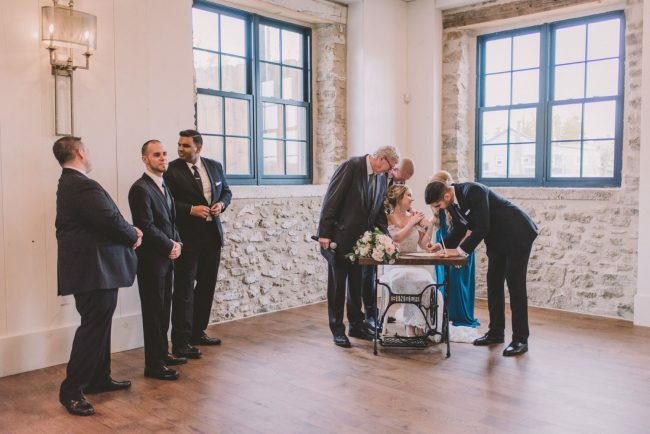 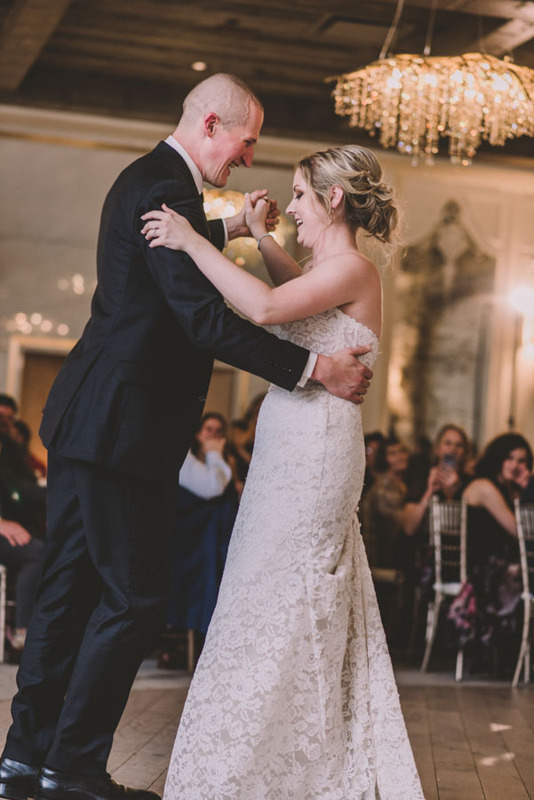 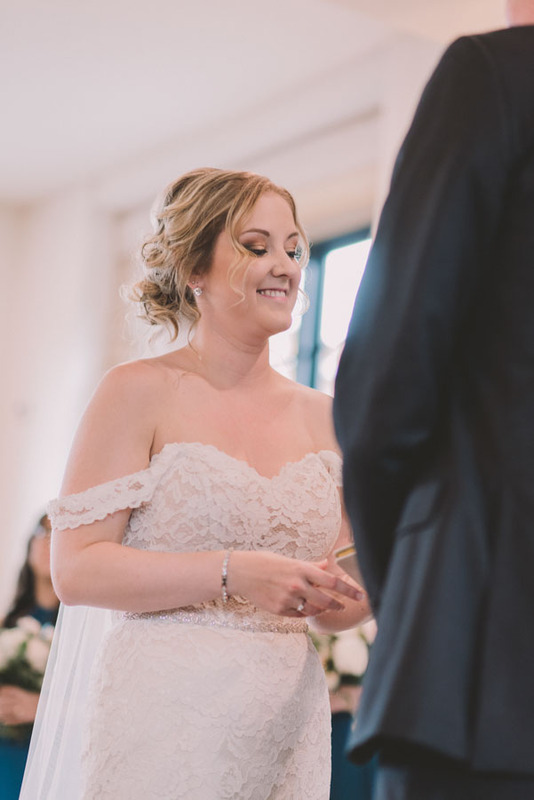 We more or less rapelled down the stairs using the hand rail for support and made it down (and back up) unscathed – and captured some fantastic photos as a result! 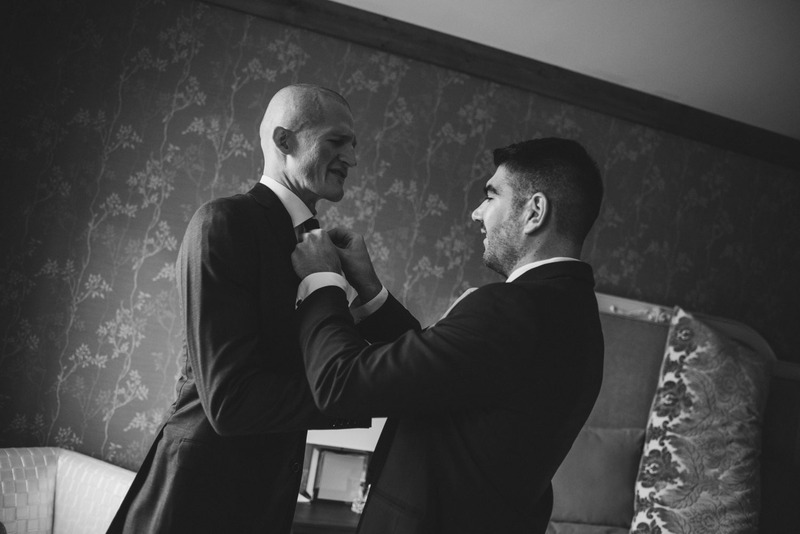 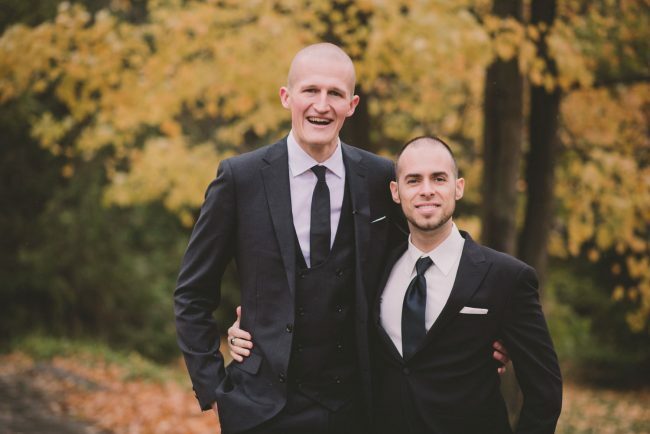 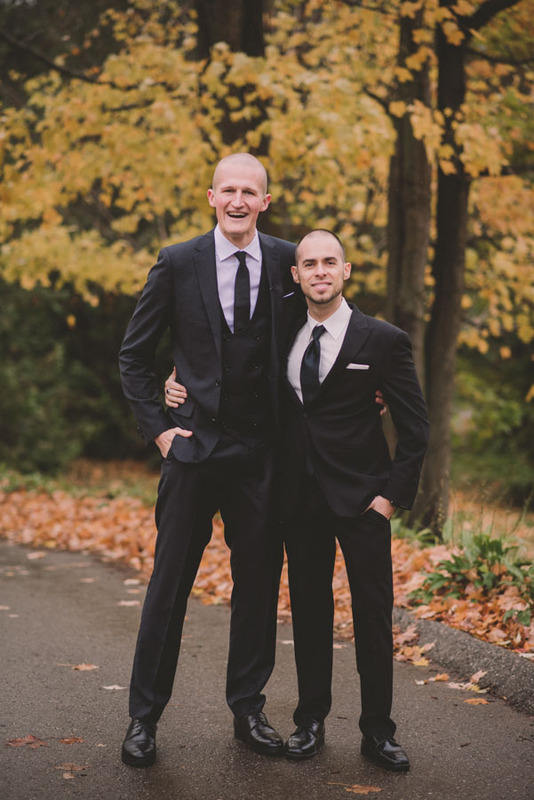 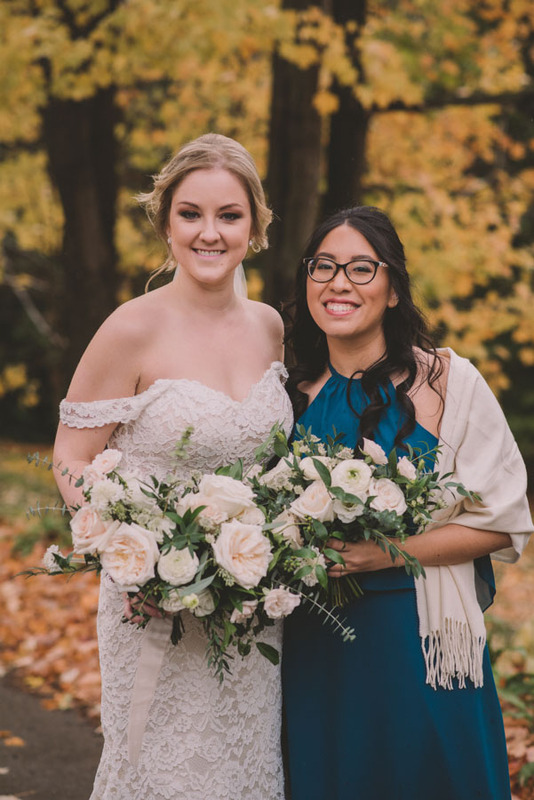 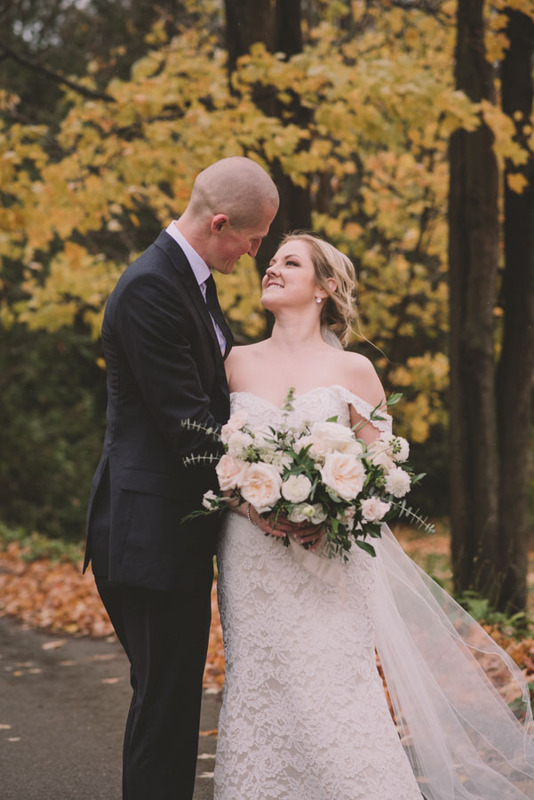 Their beautiful wedding day took place in late October. 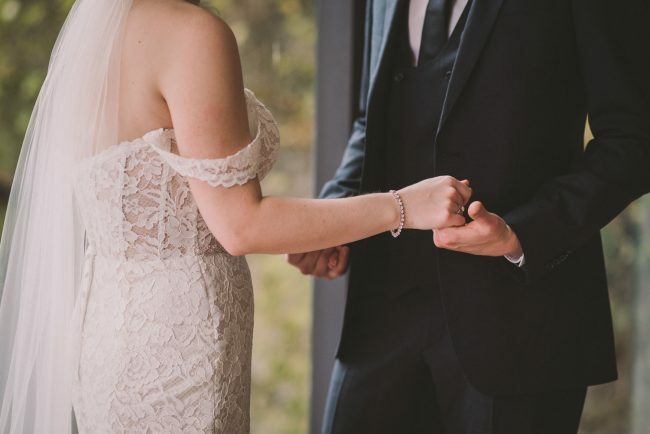 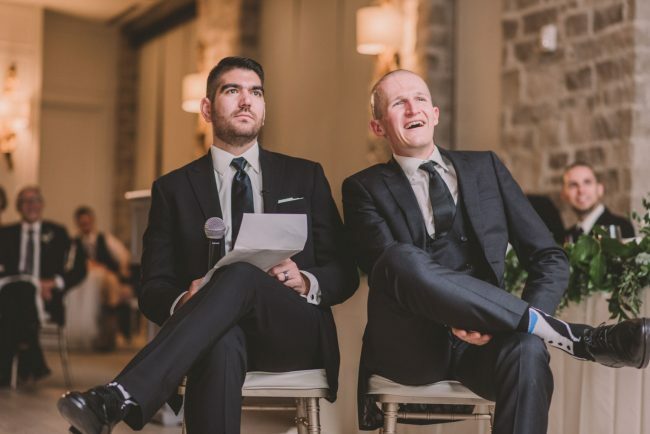 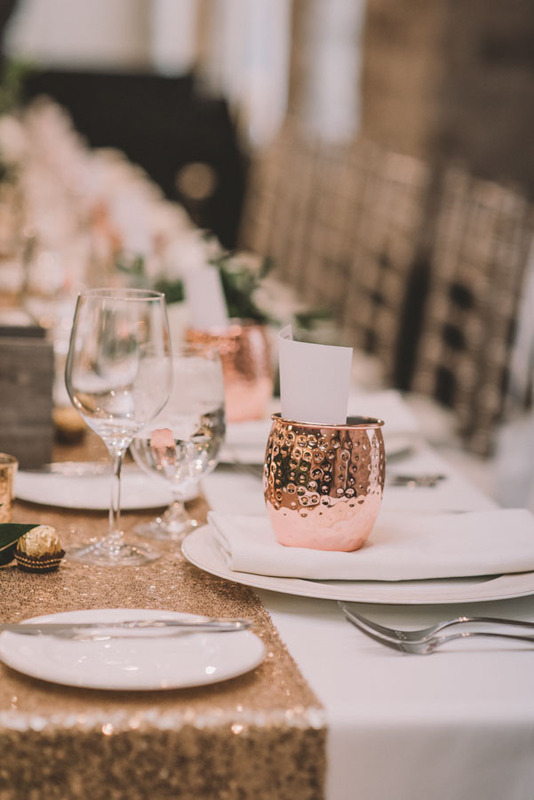 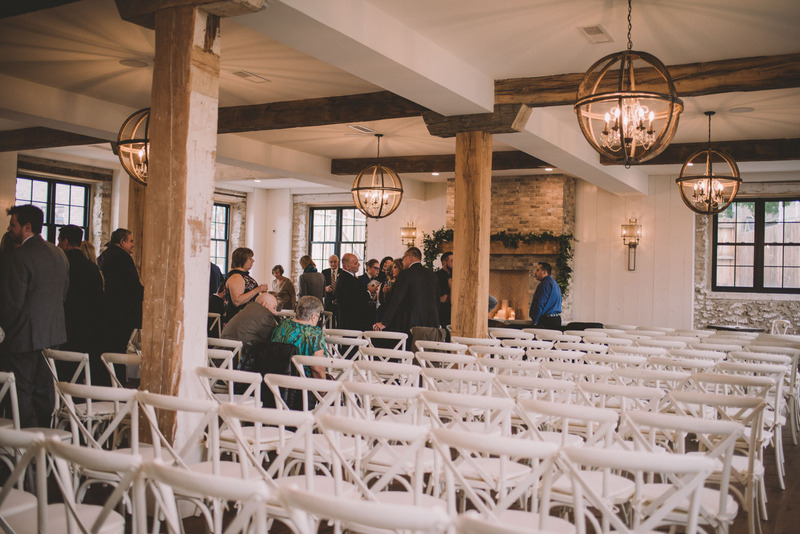 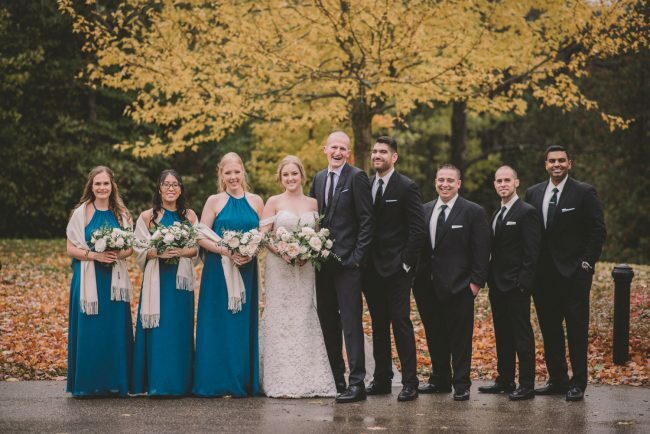 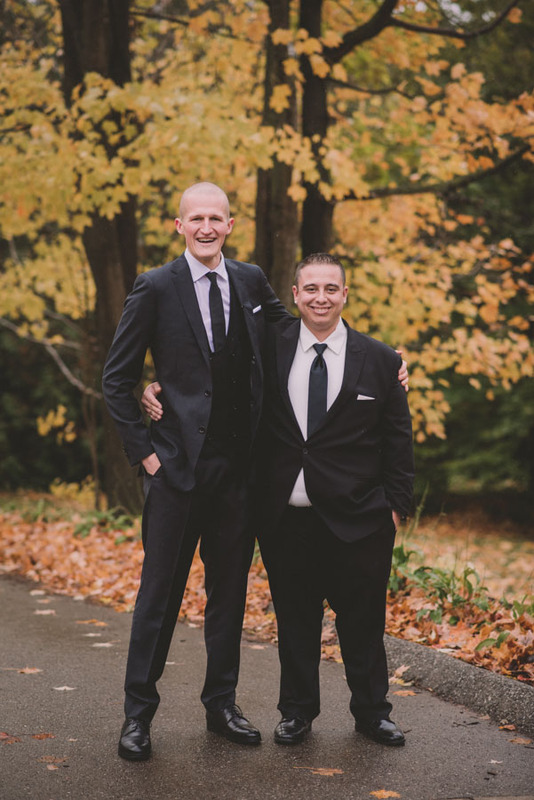 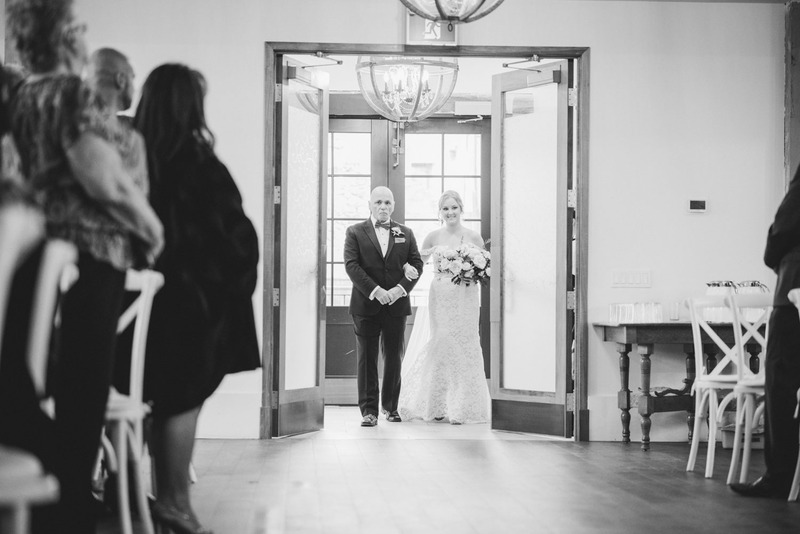 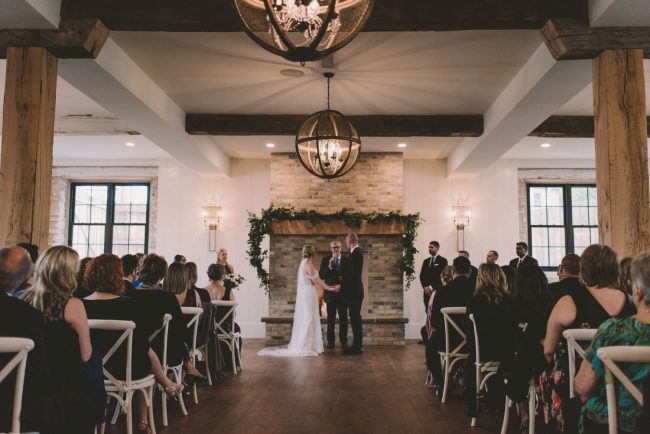 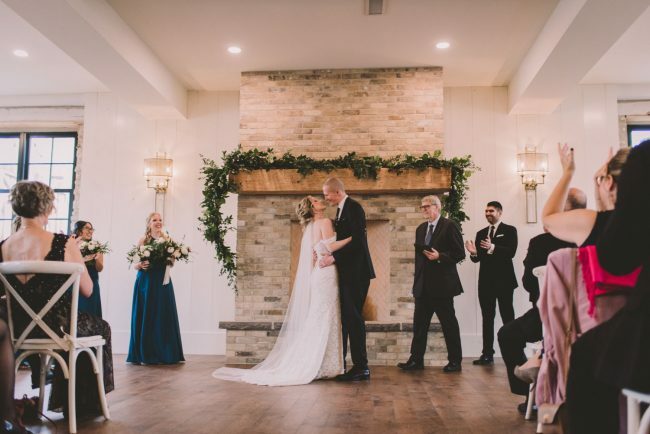 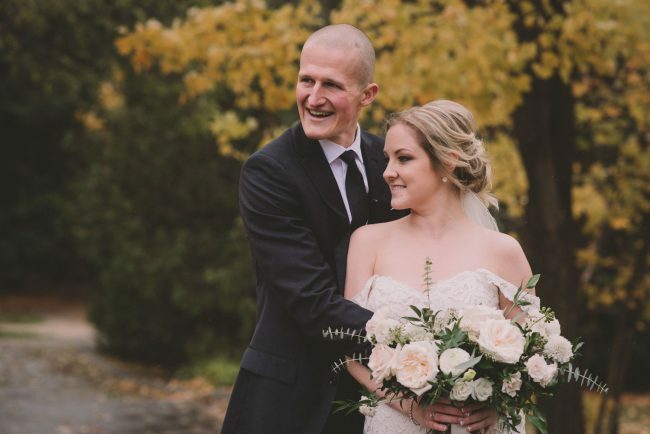 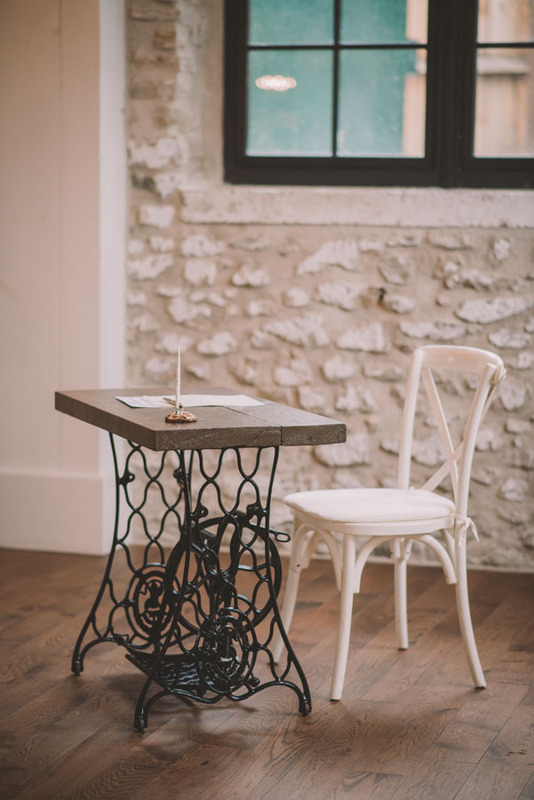 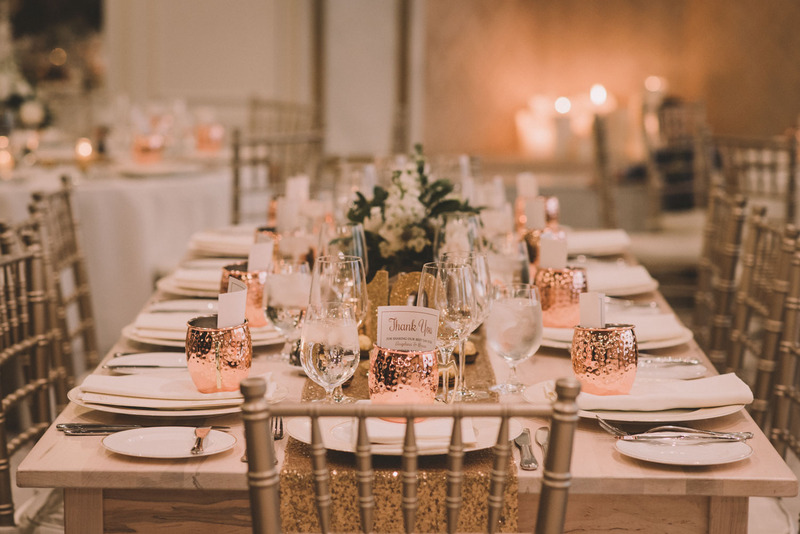 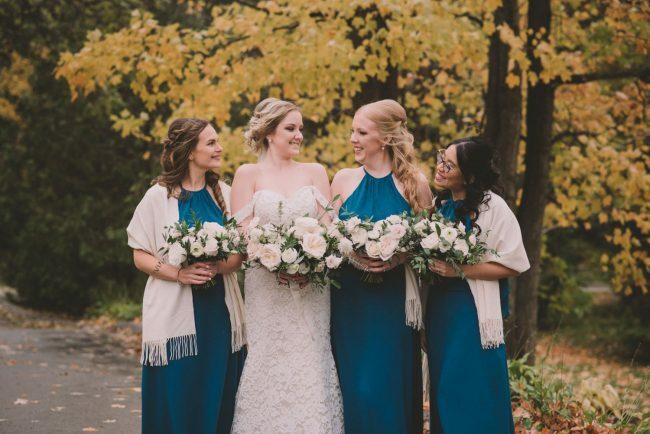 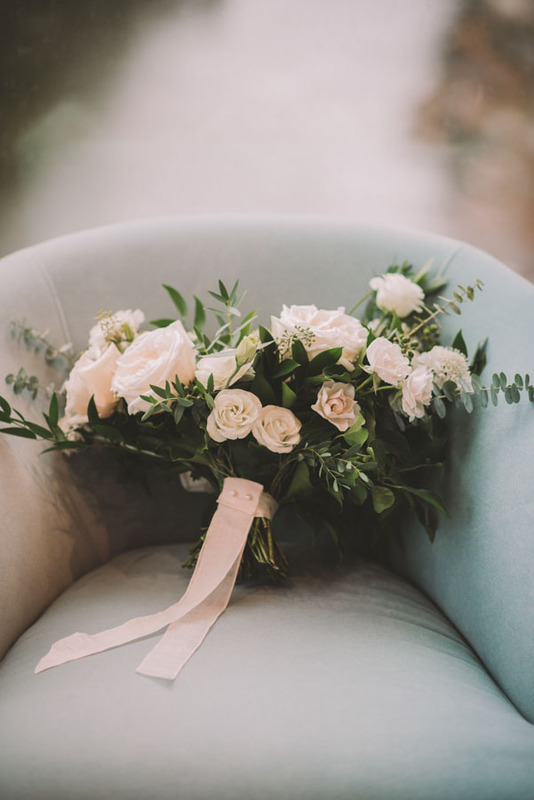 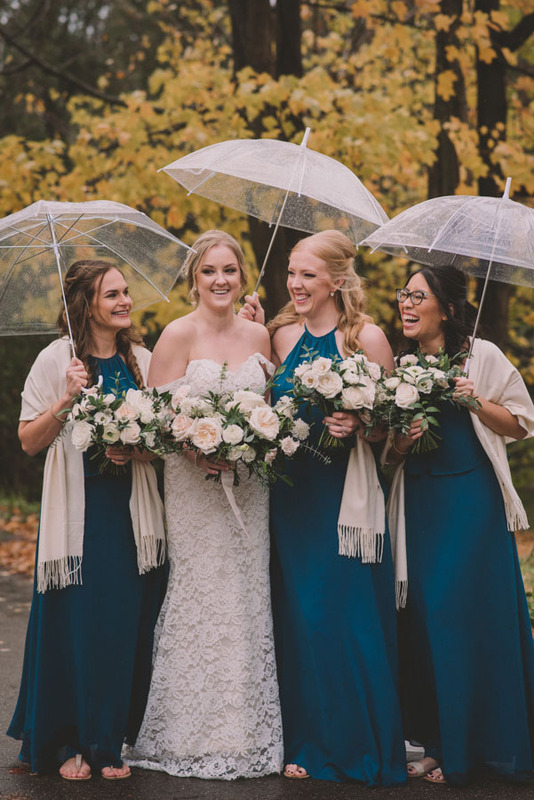 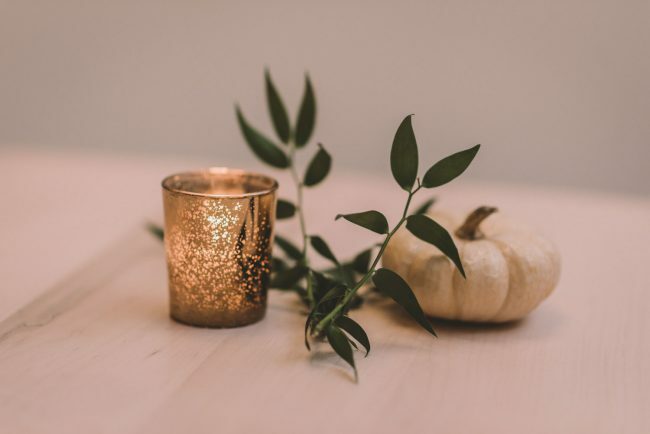 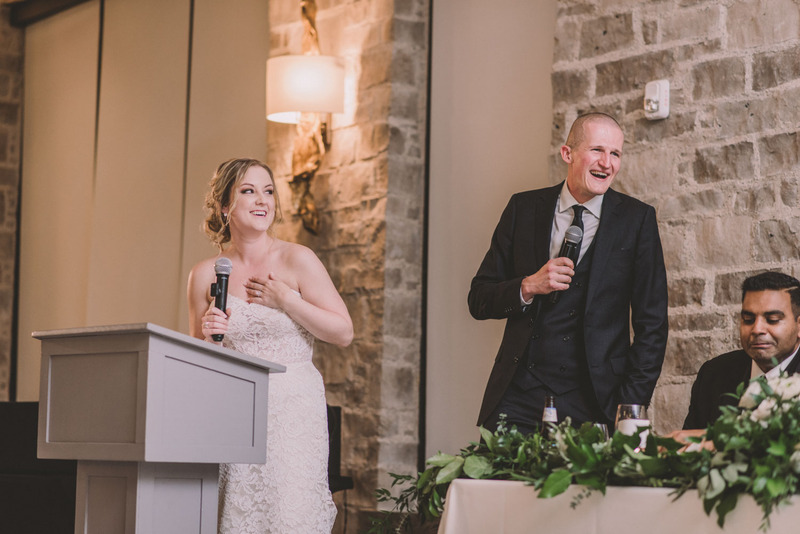 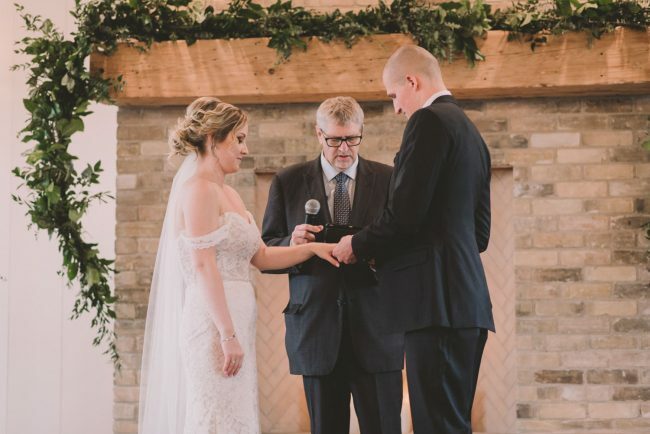 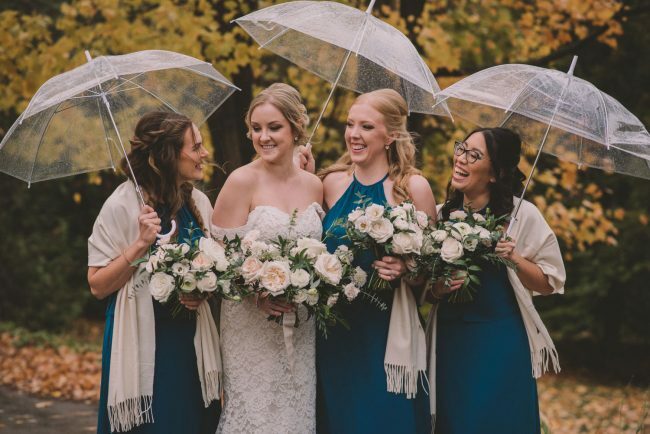 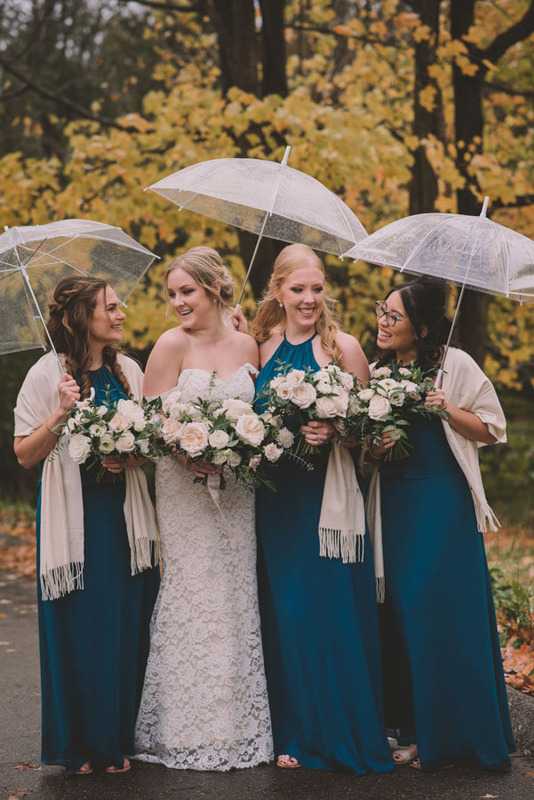 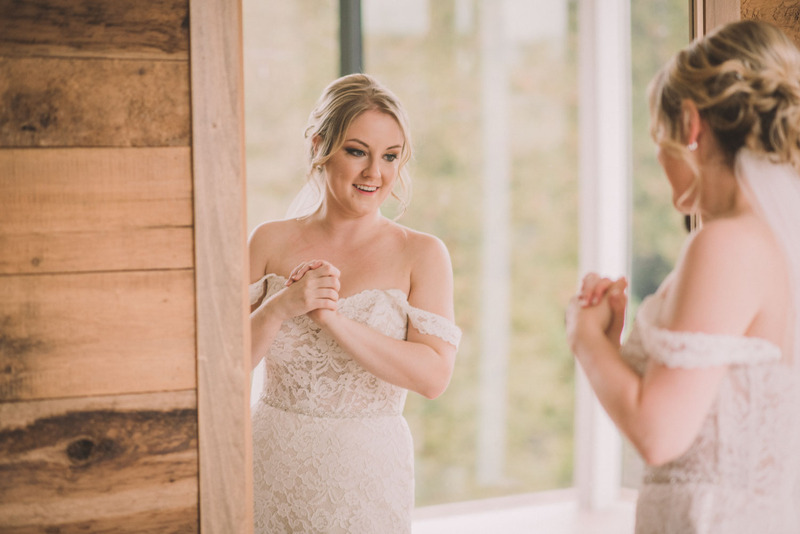 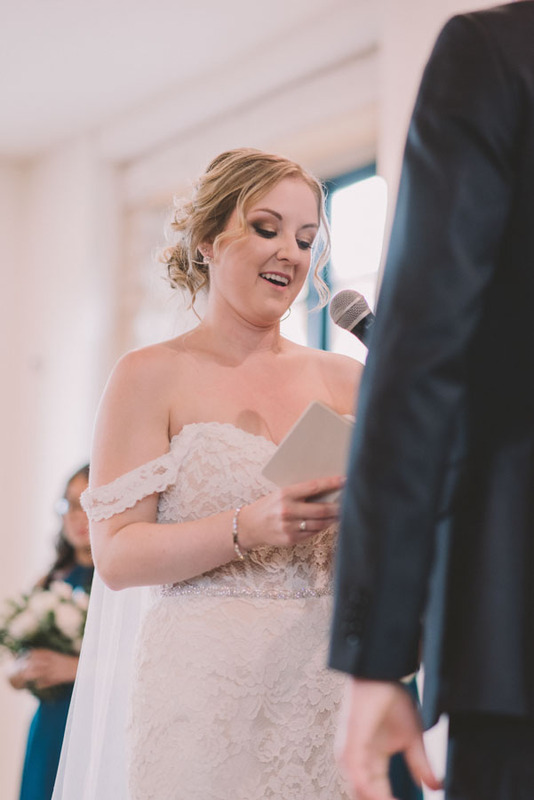 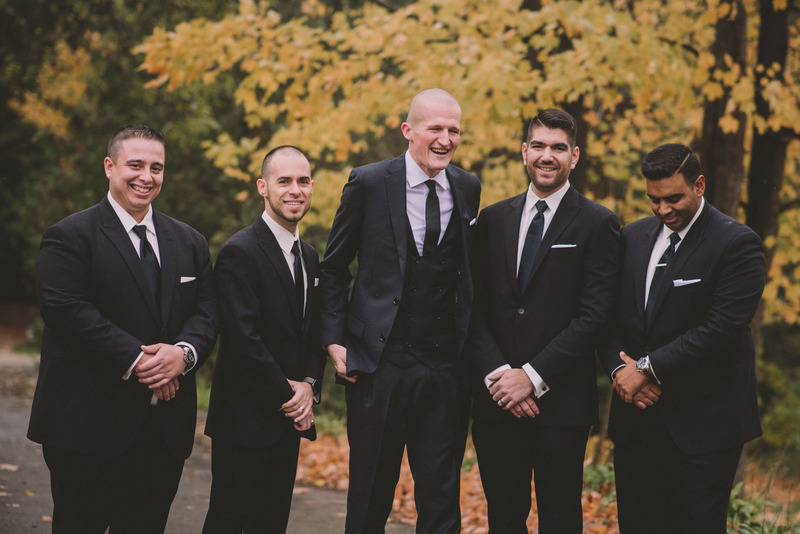 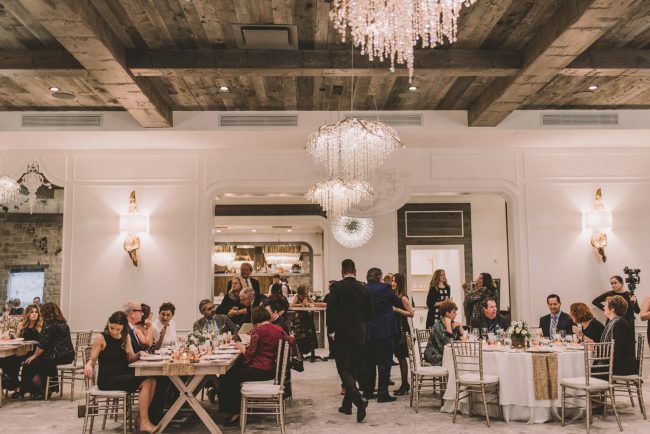 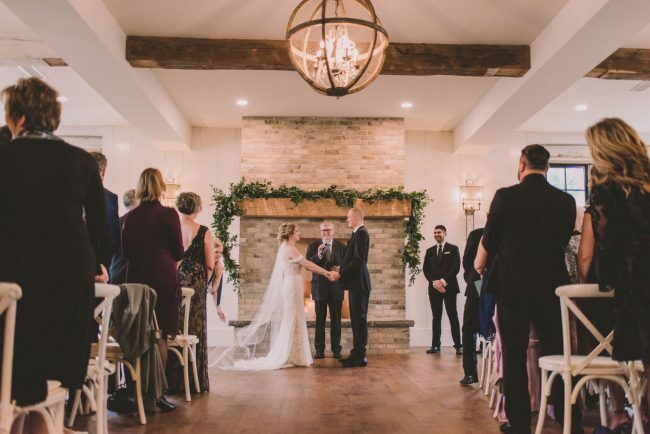 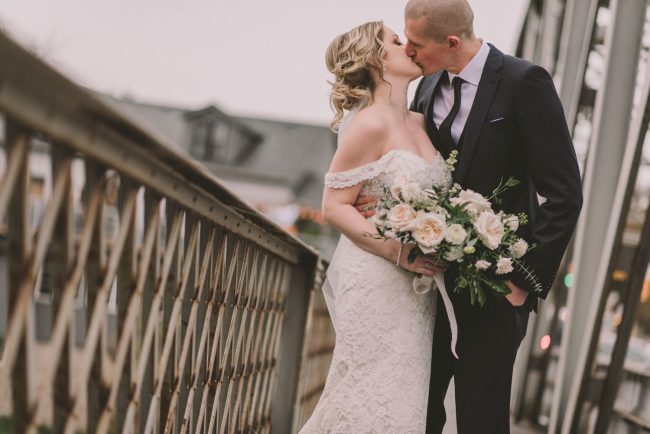 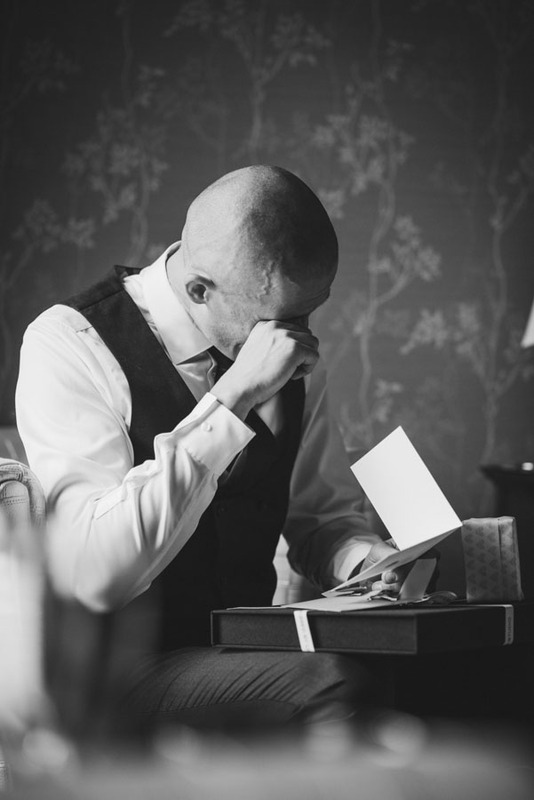 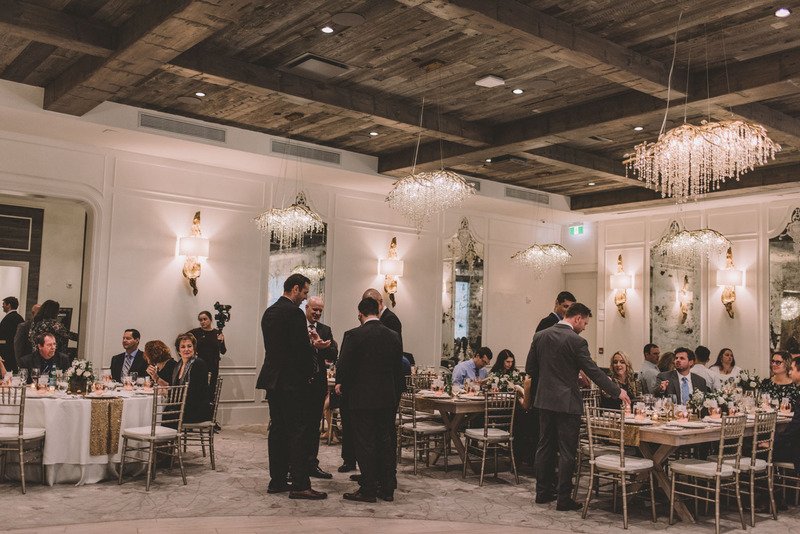 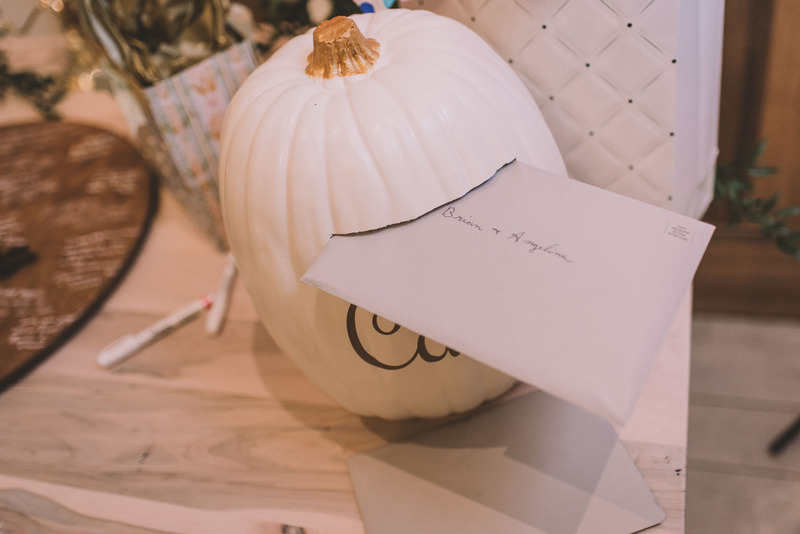 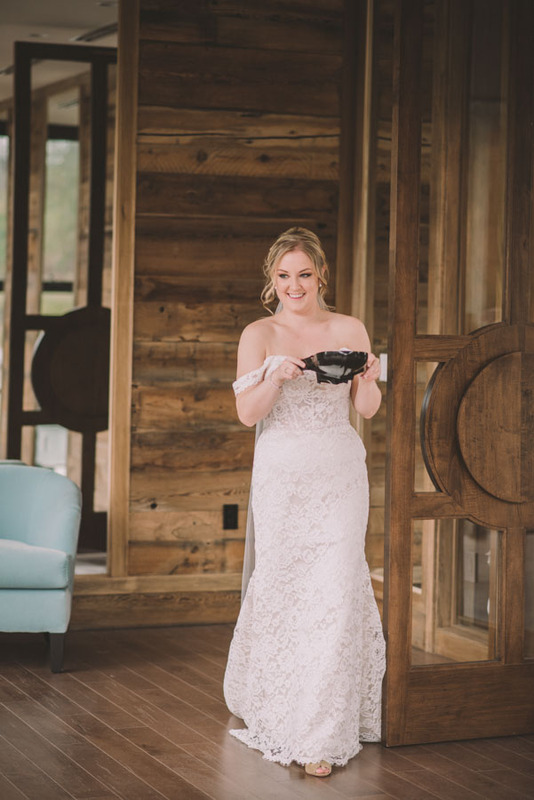 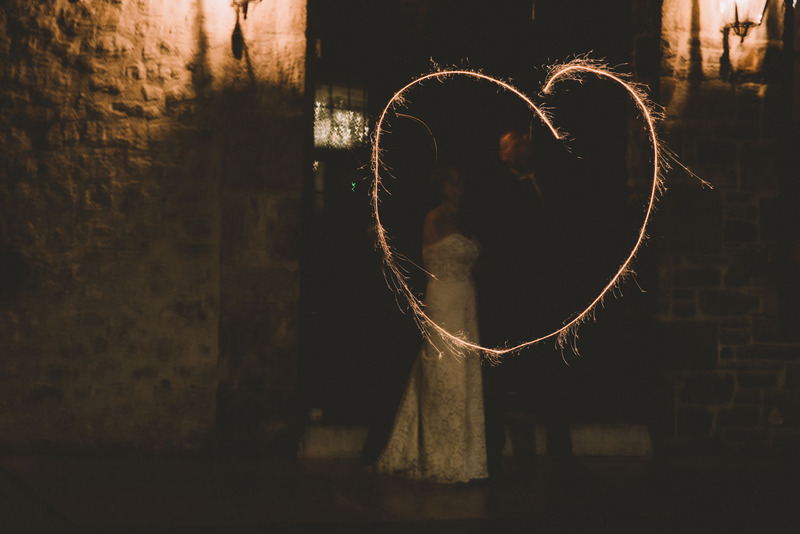 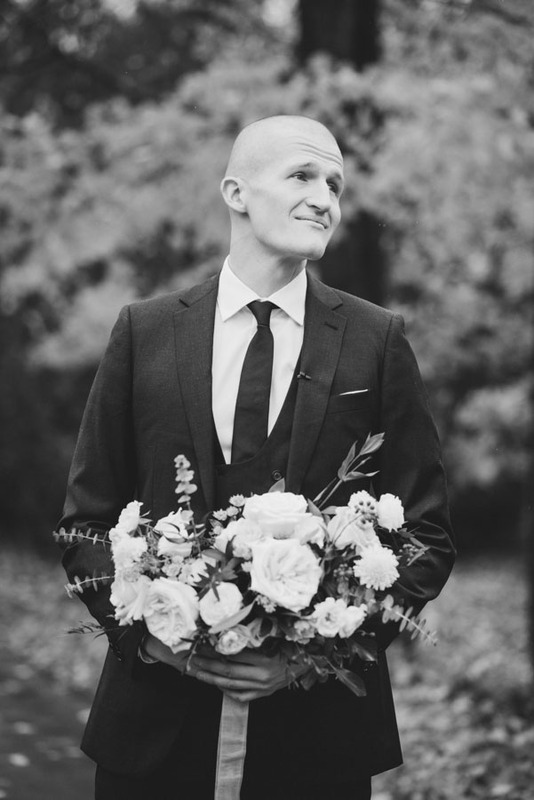 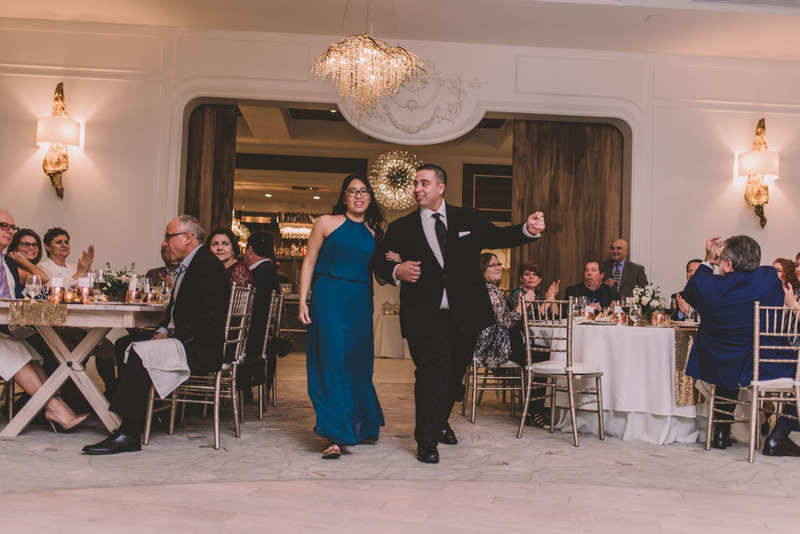 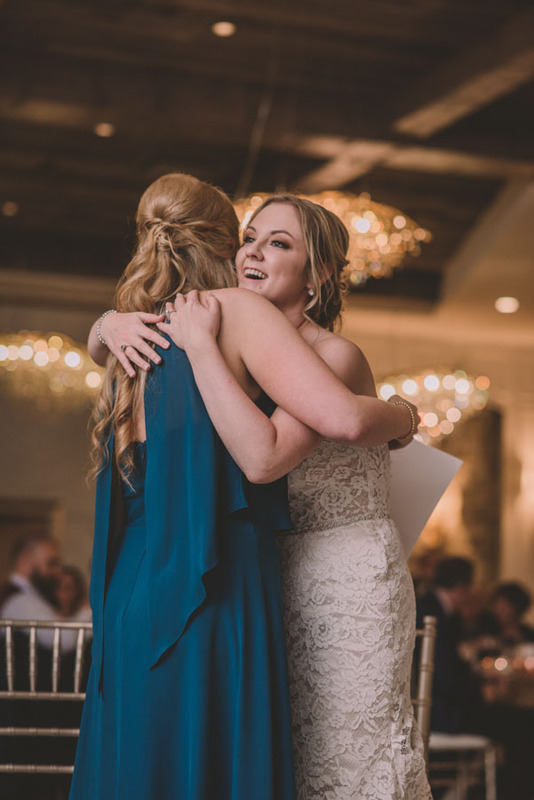 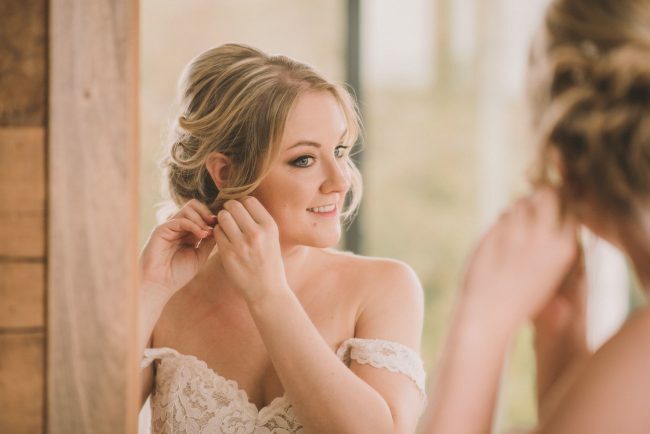 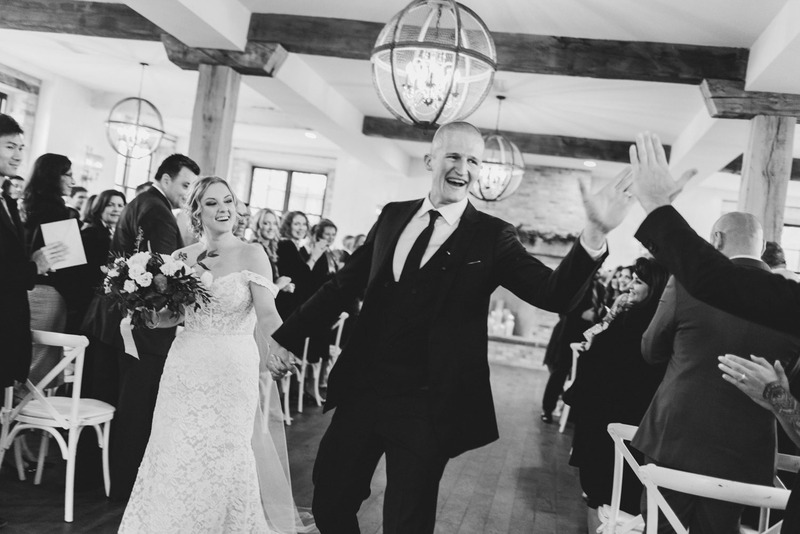 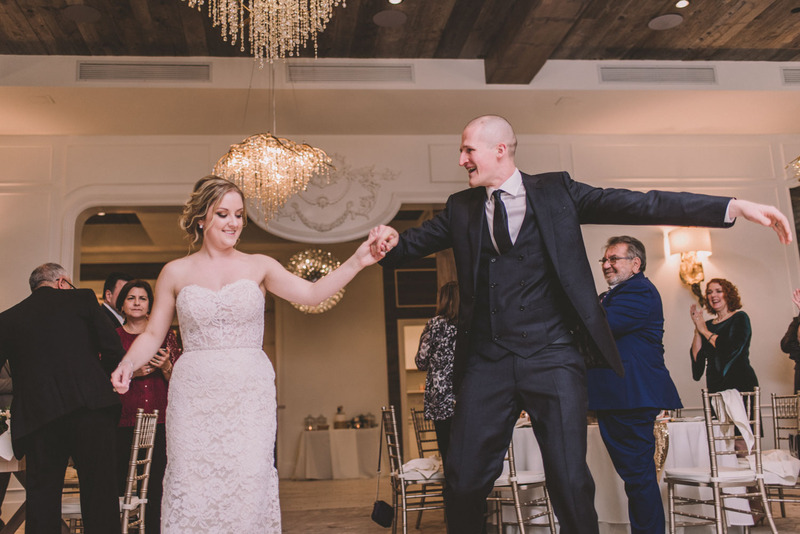 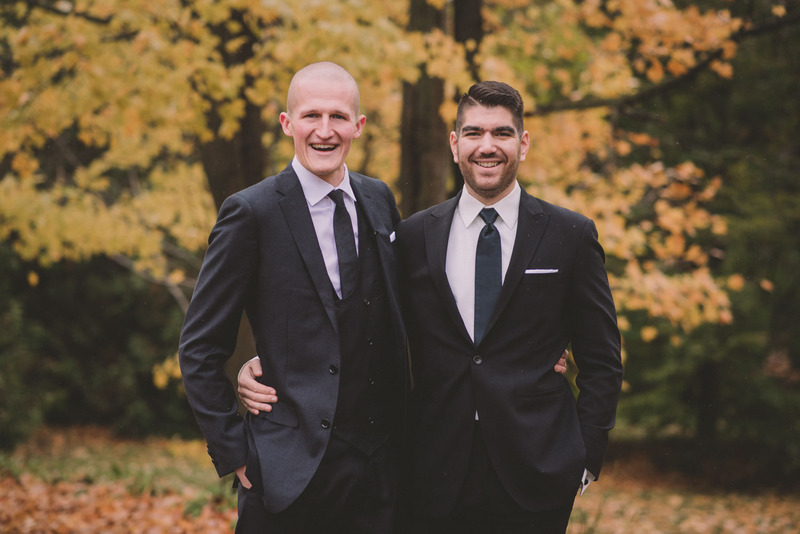 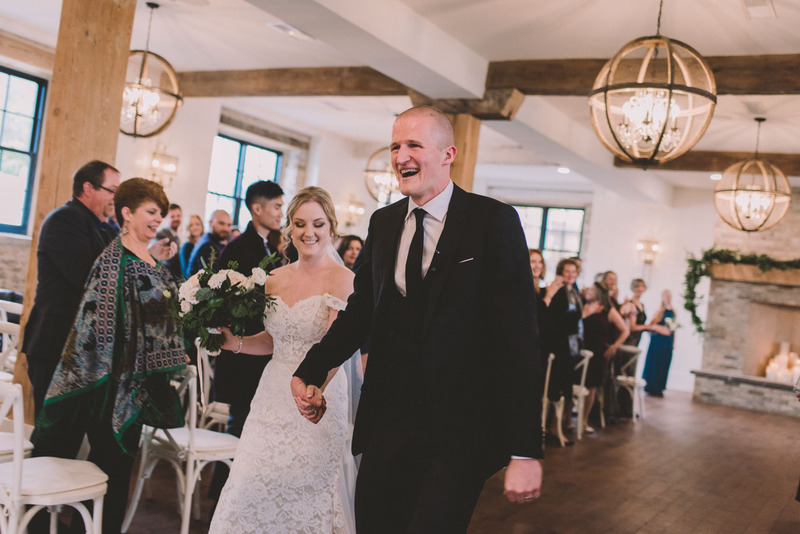 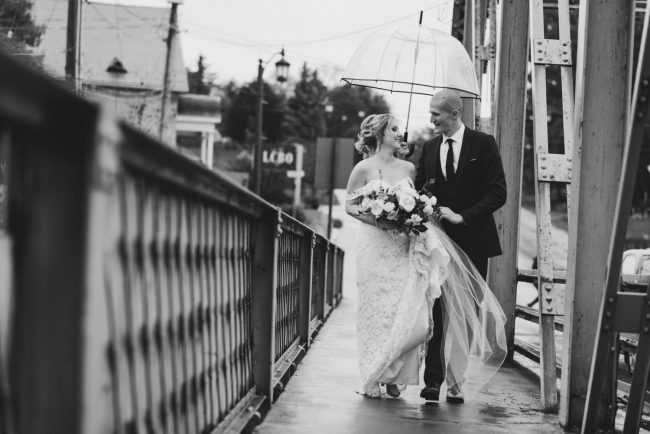 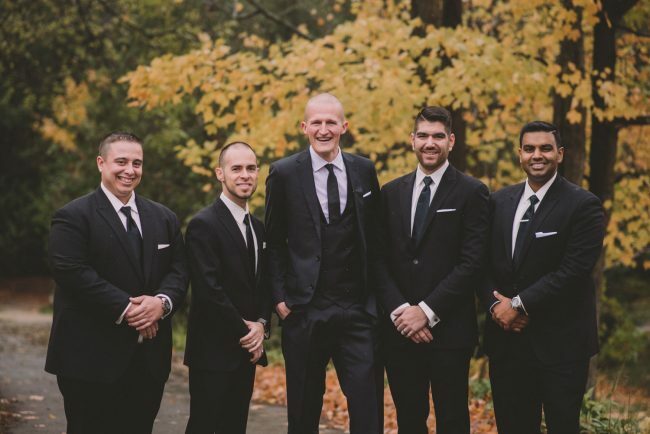 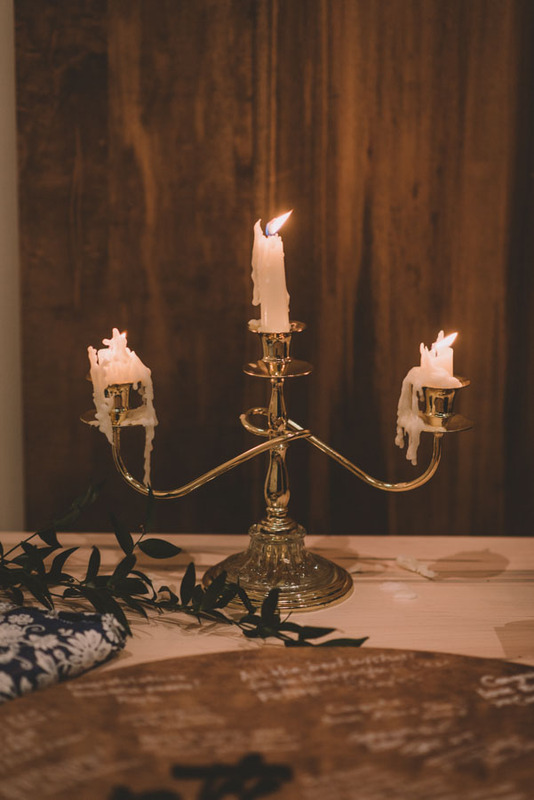 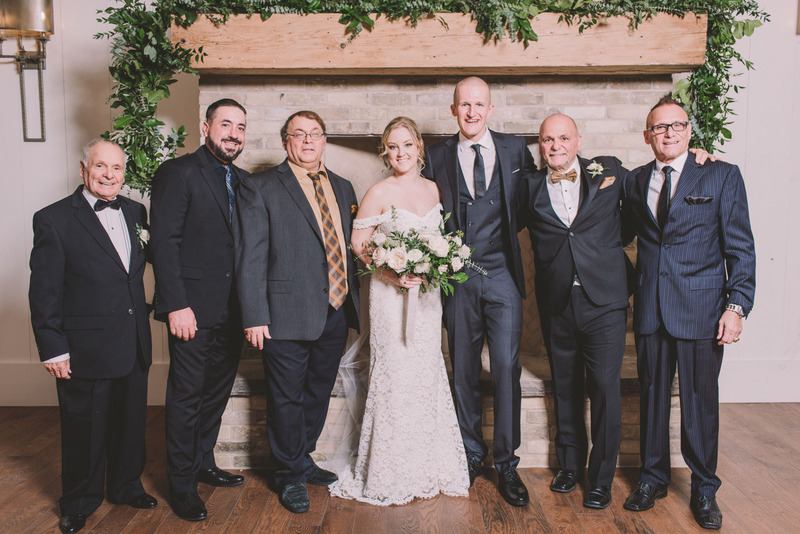 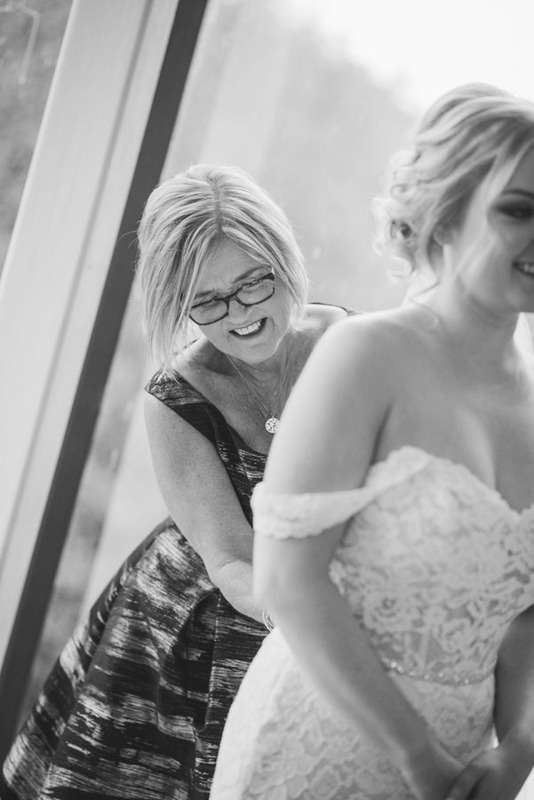 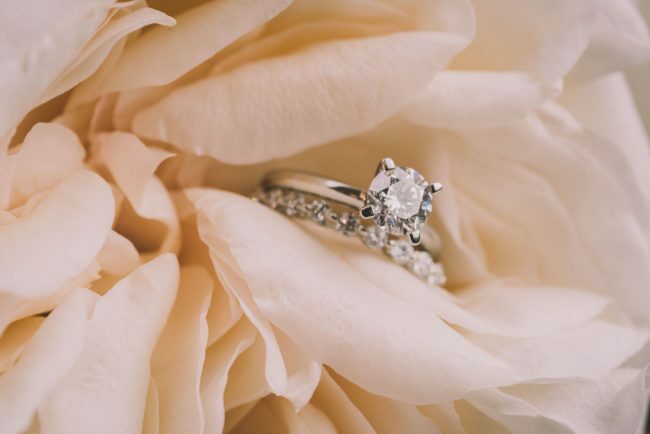 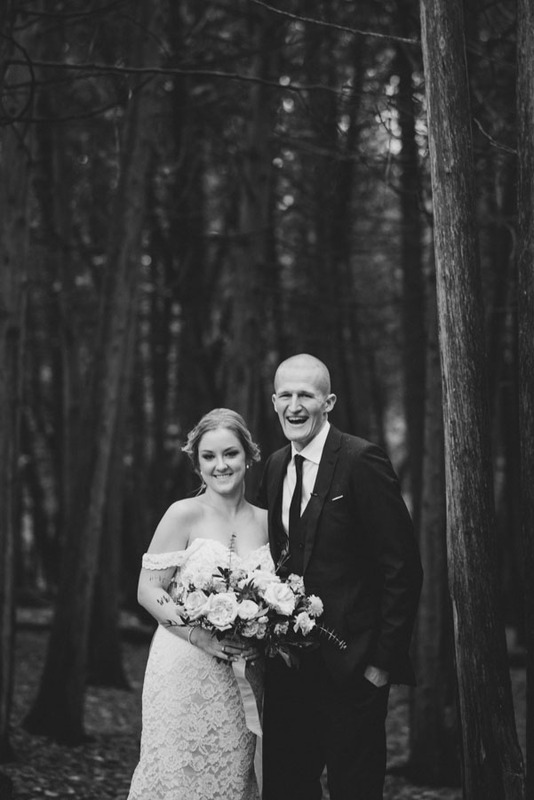 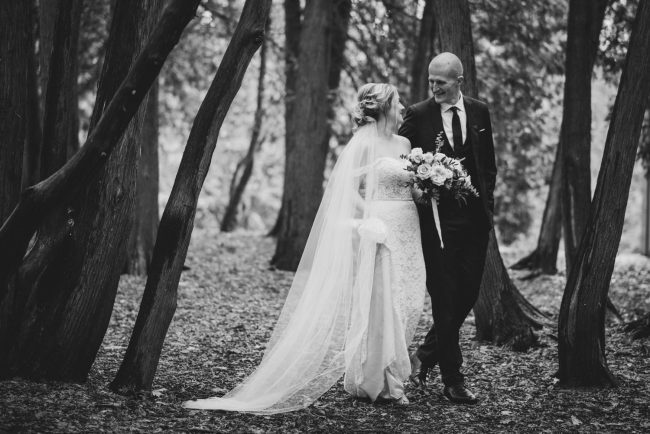 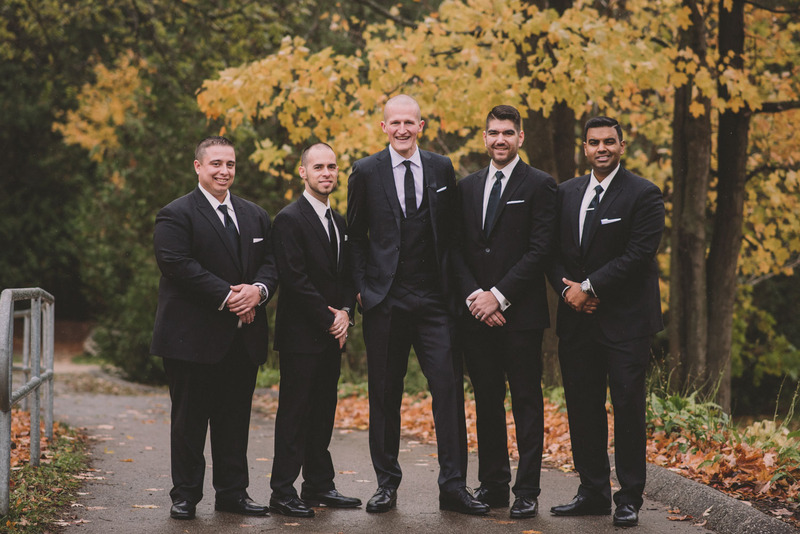 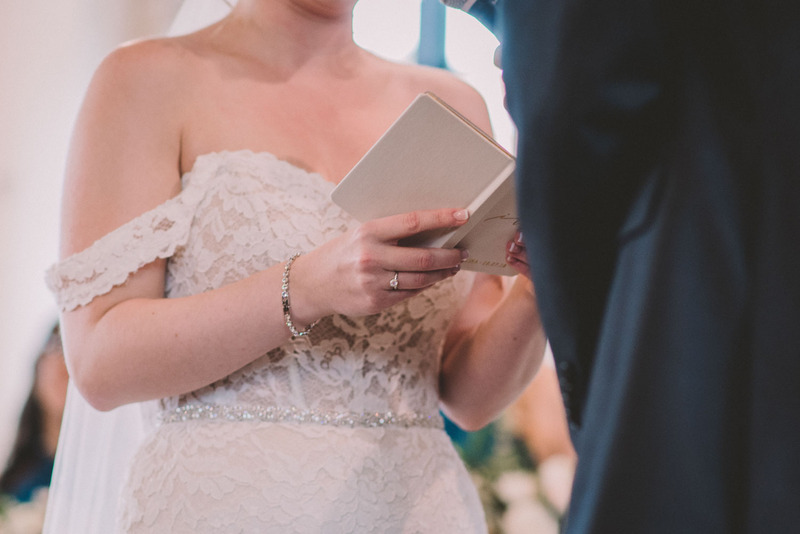 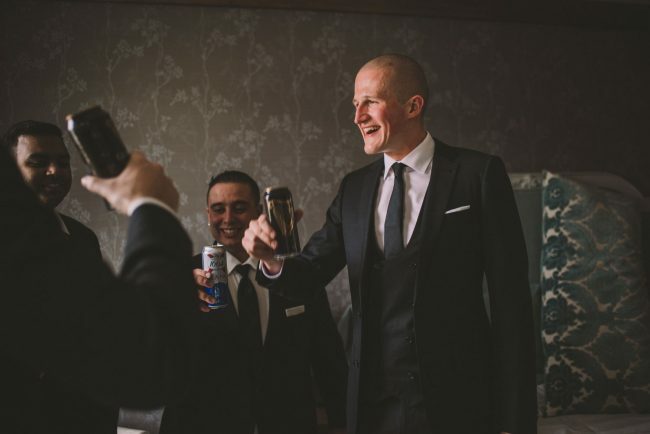 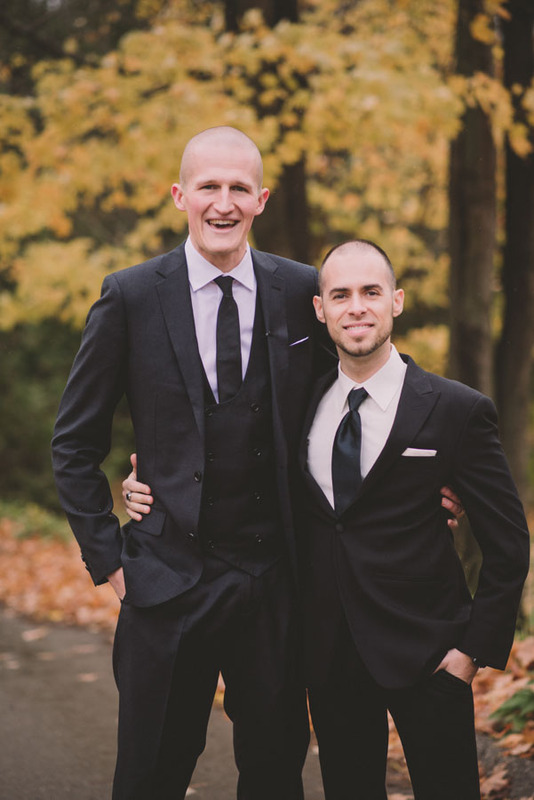 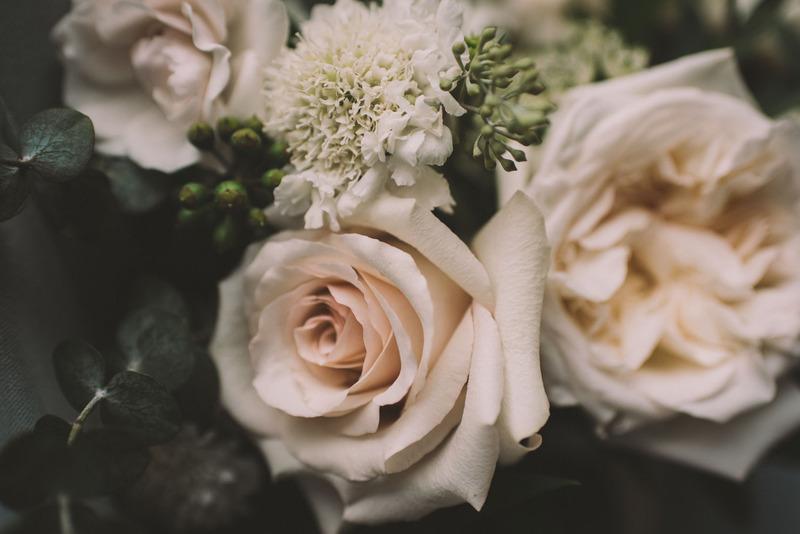 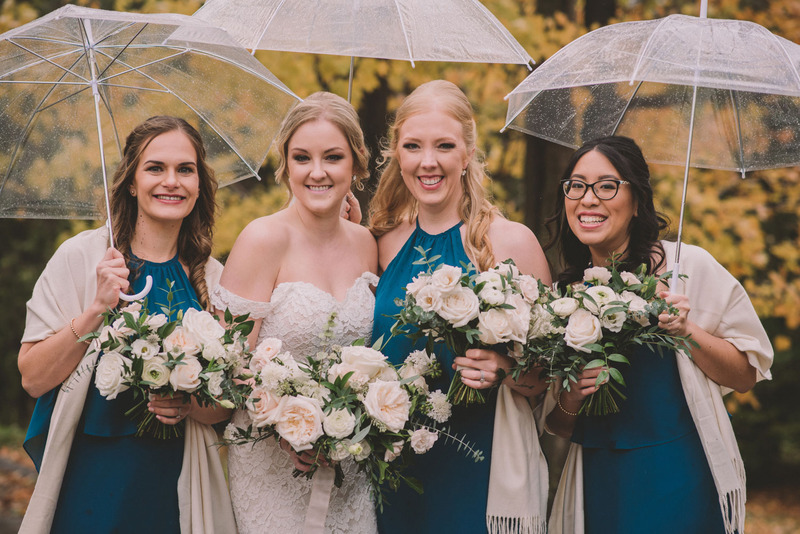 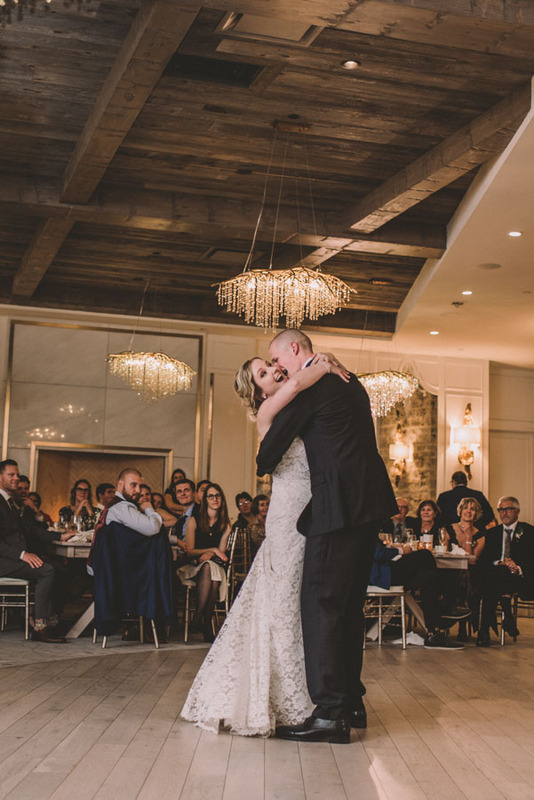 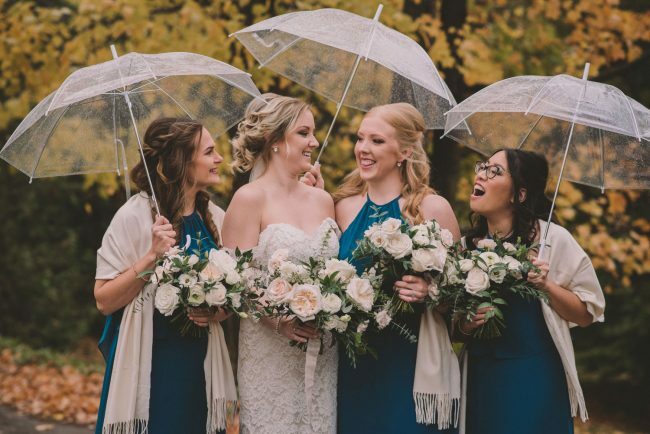 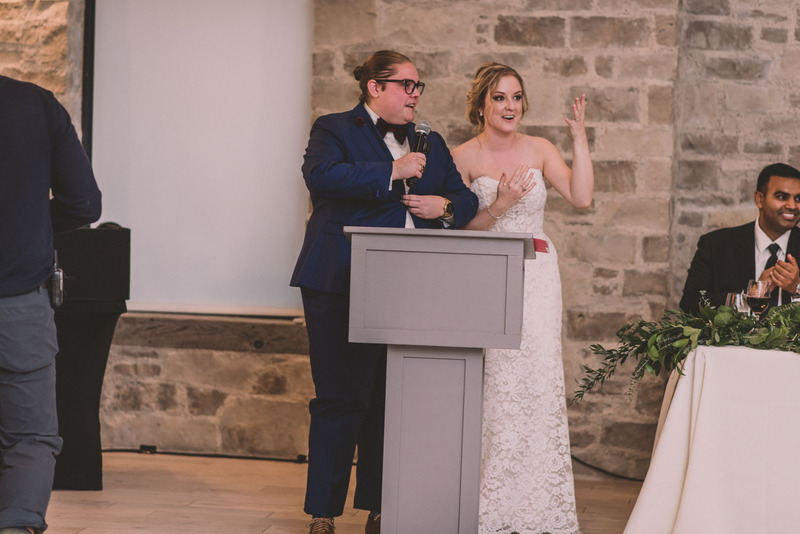 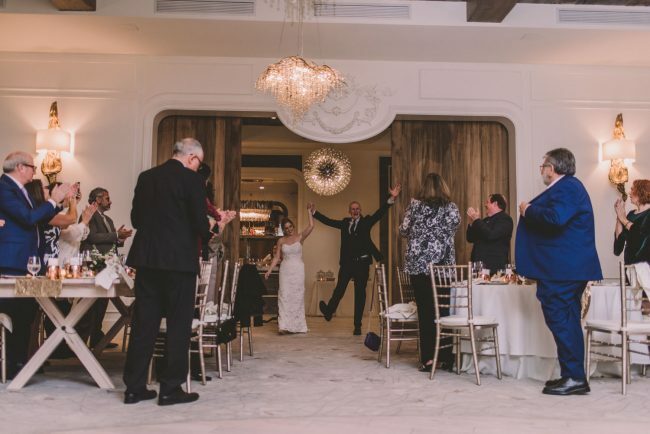 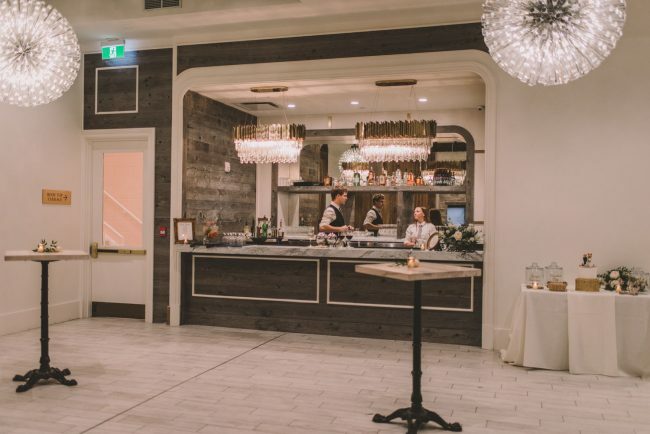 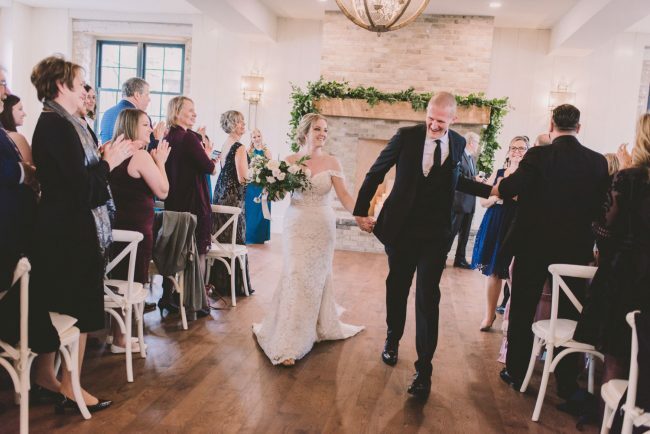 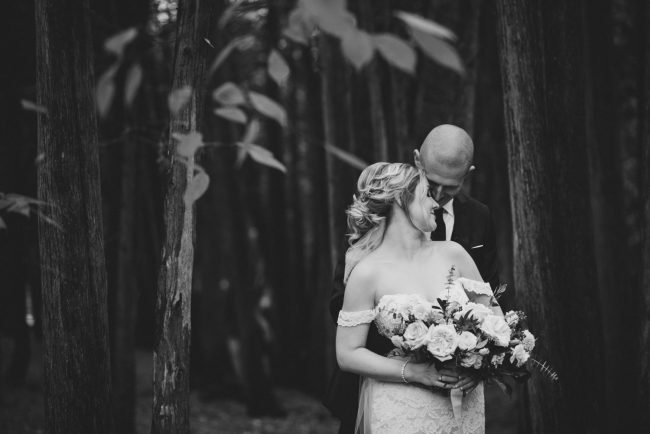 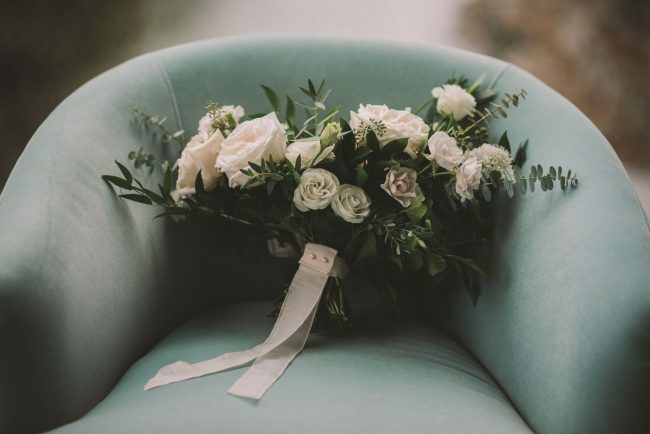 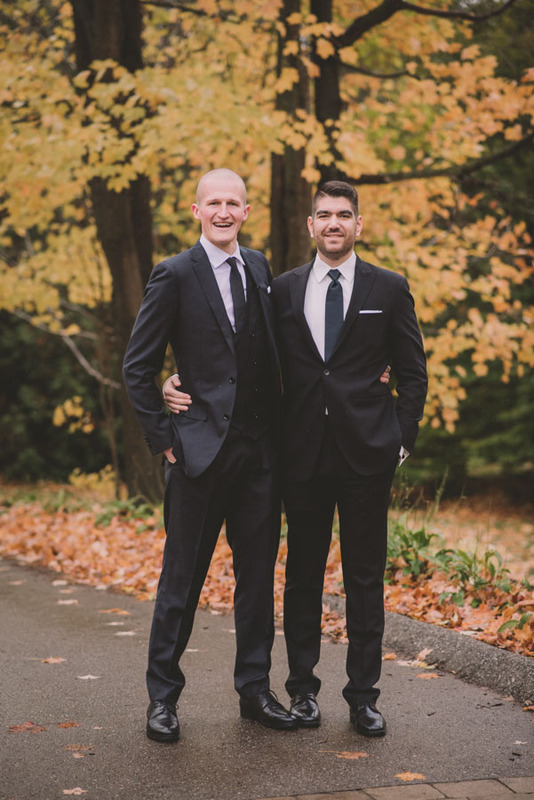 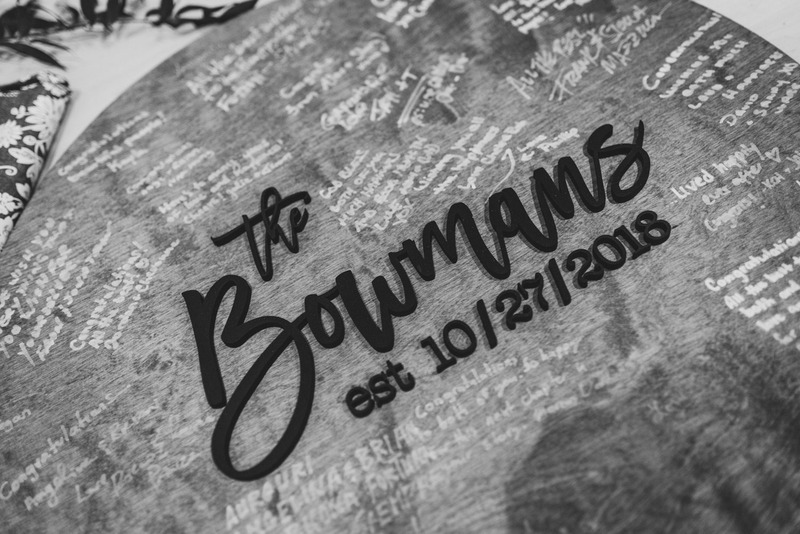 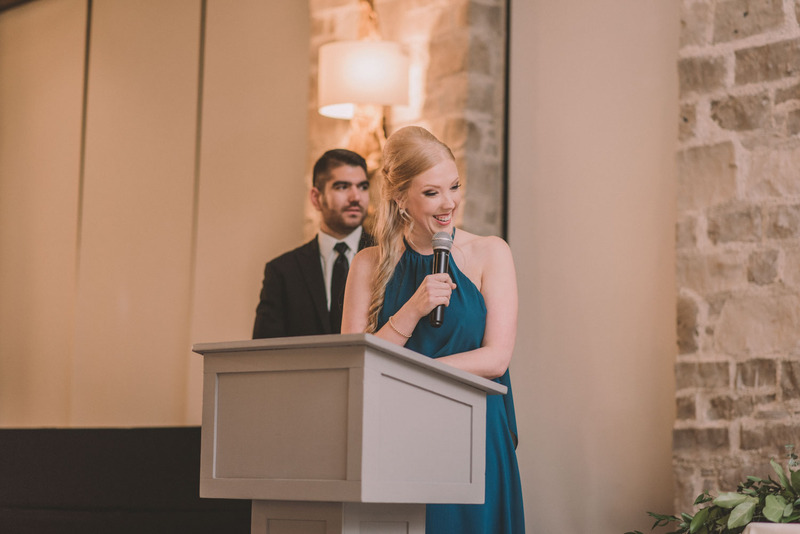 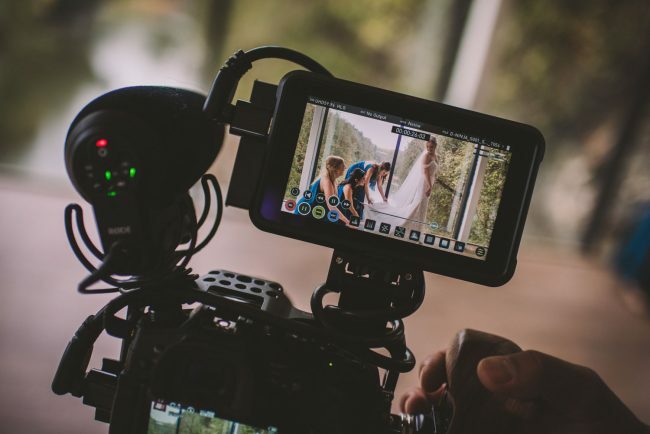 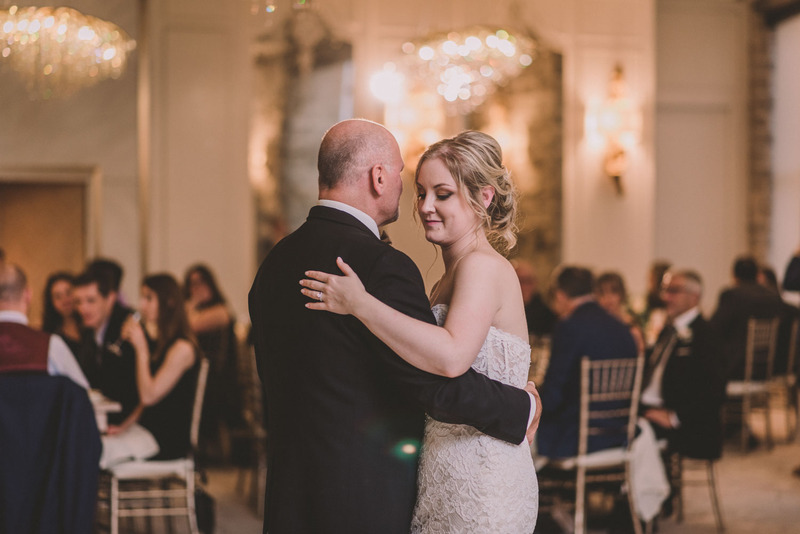 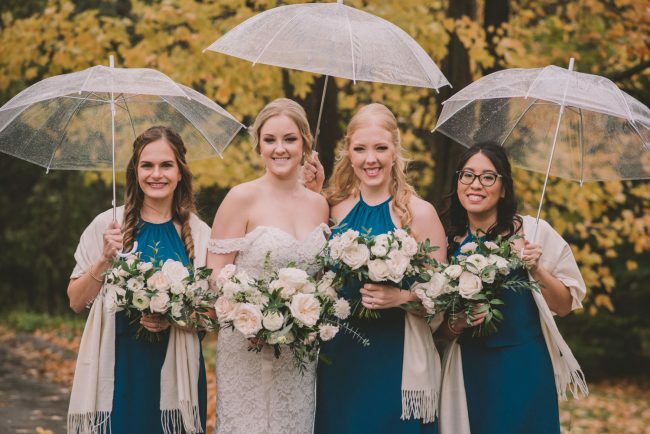 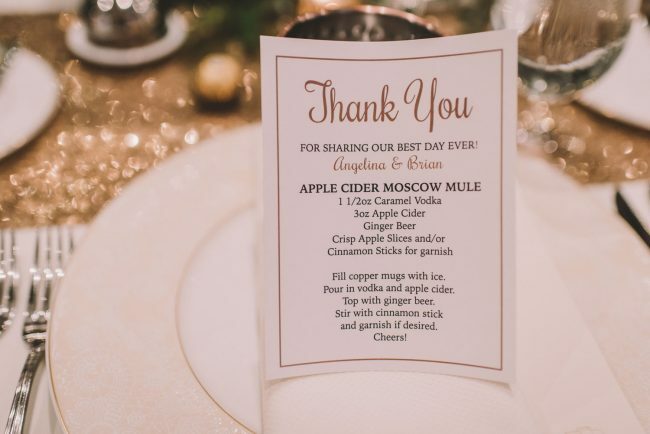 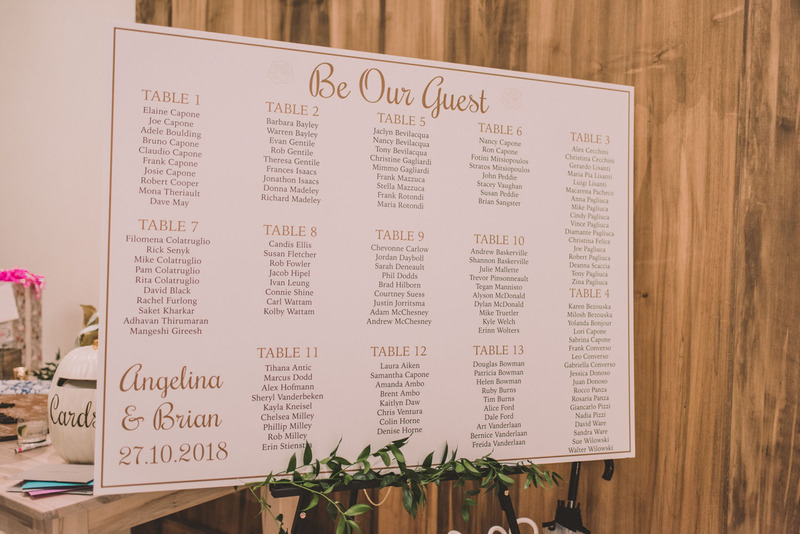 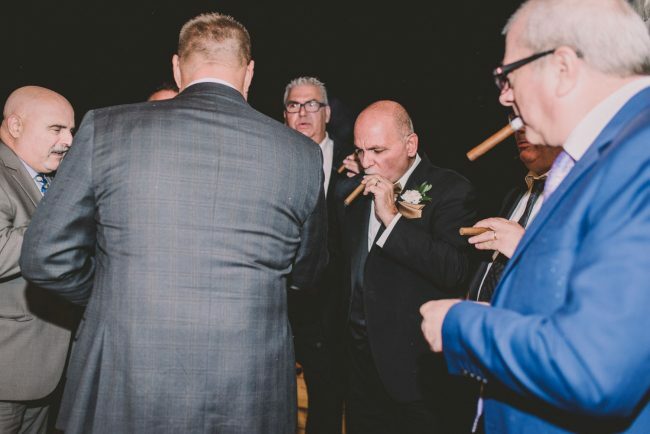 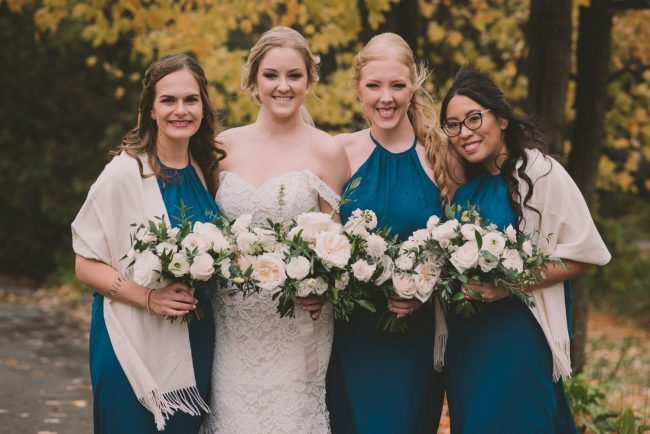 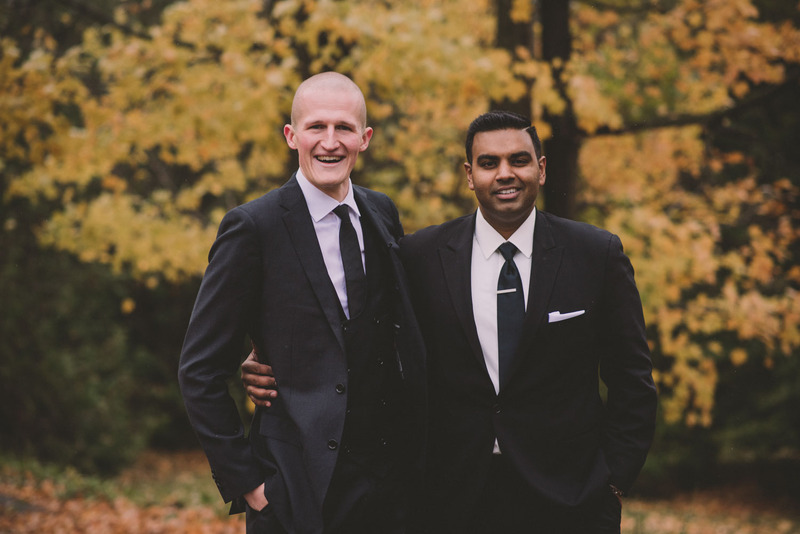 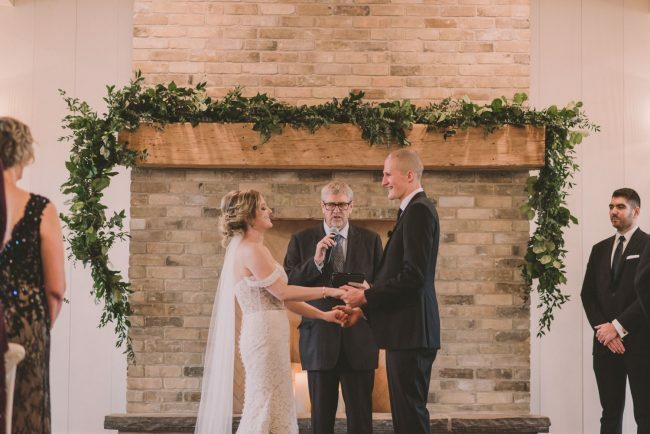 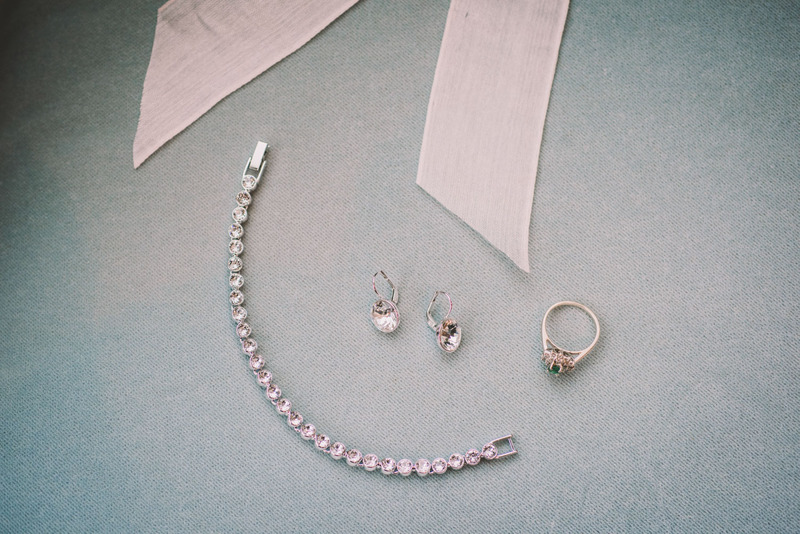 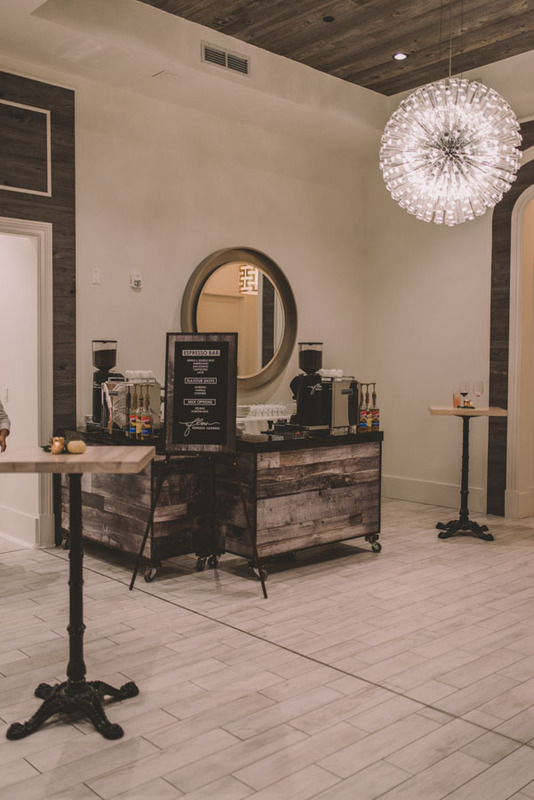 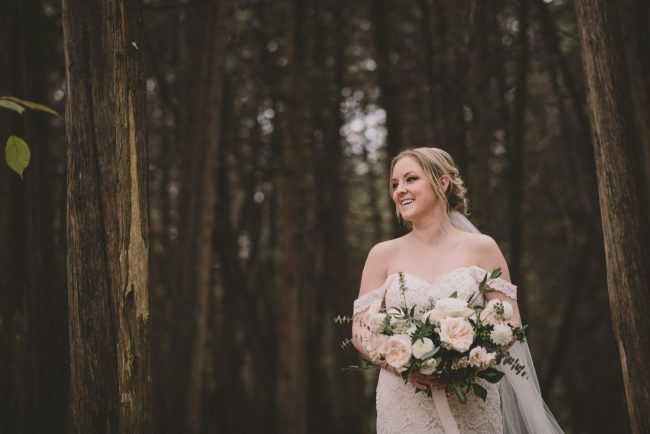 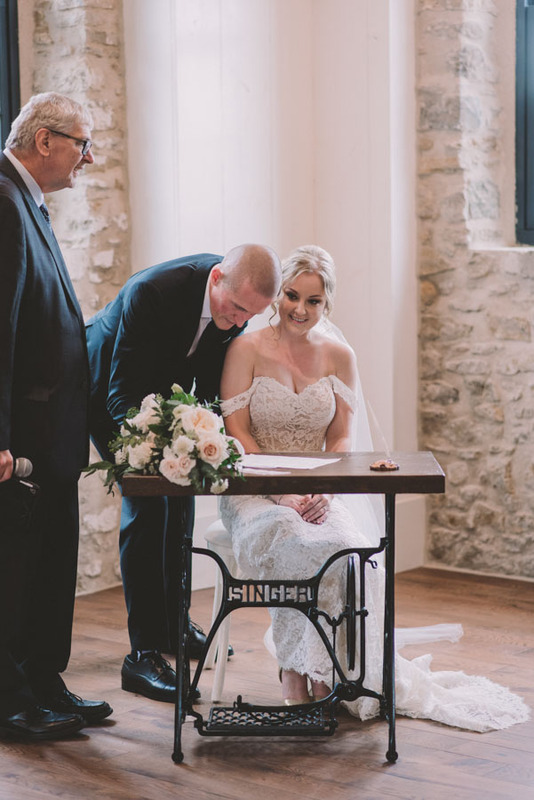 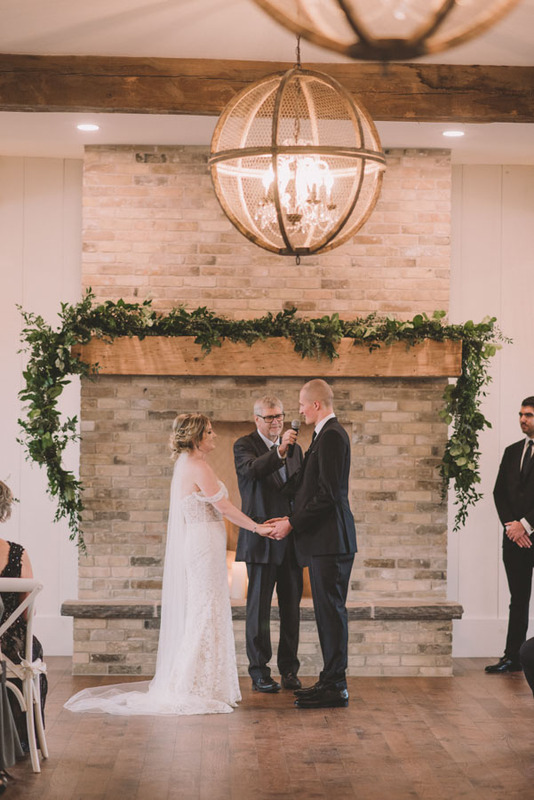 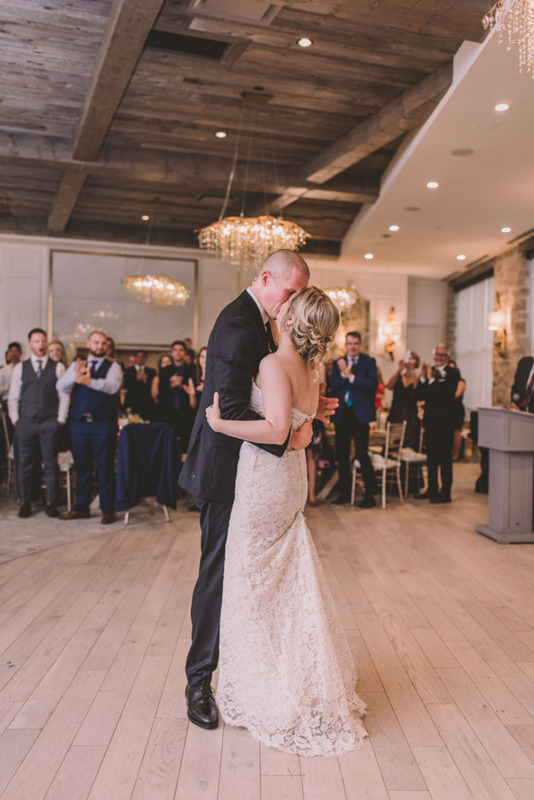 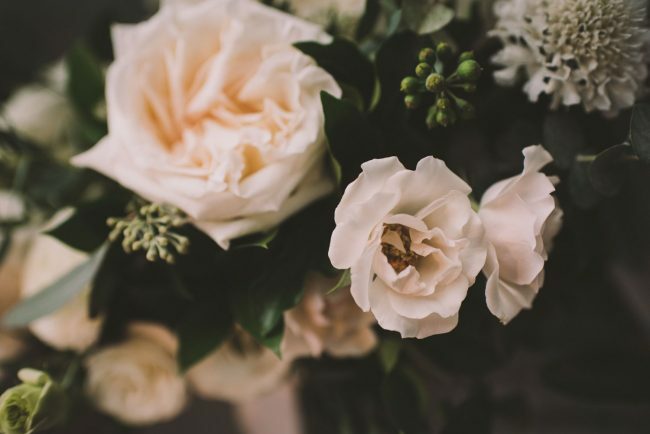 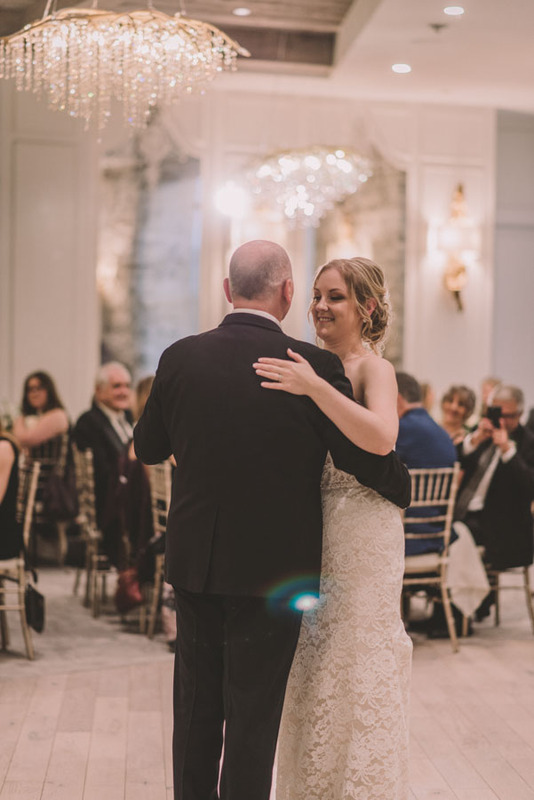 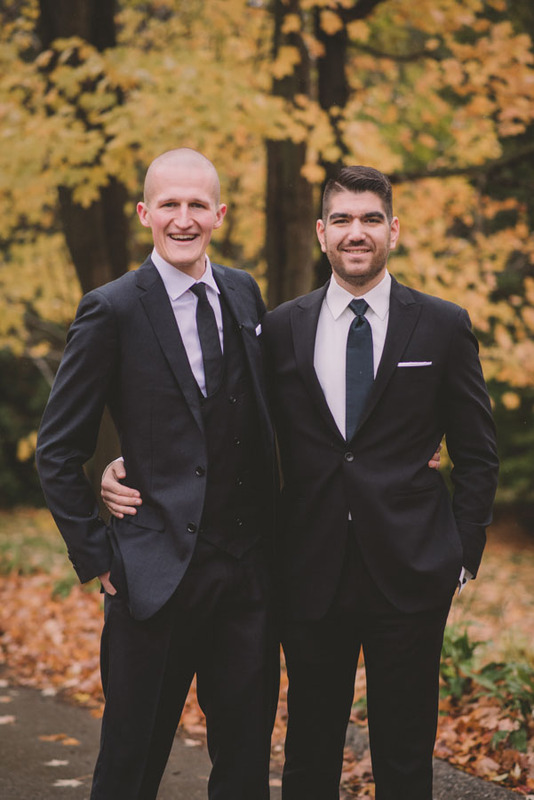 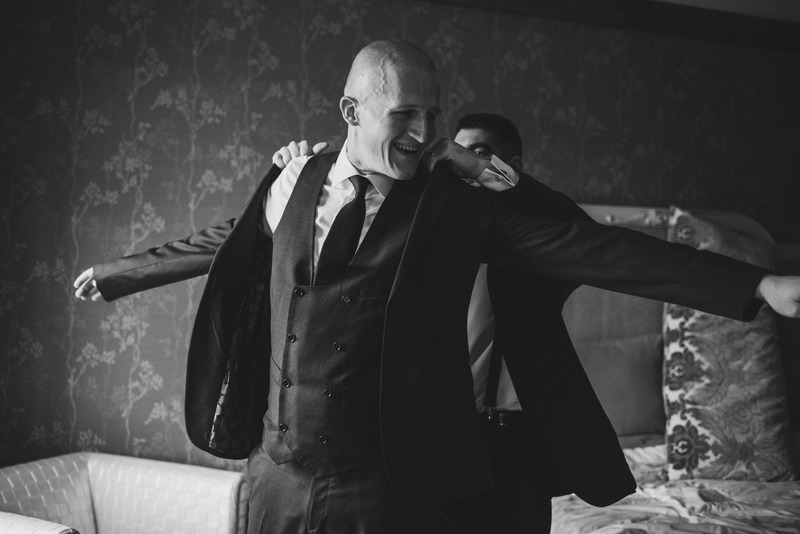 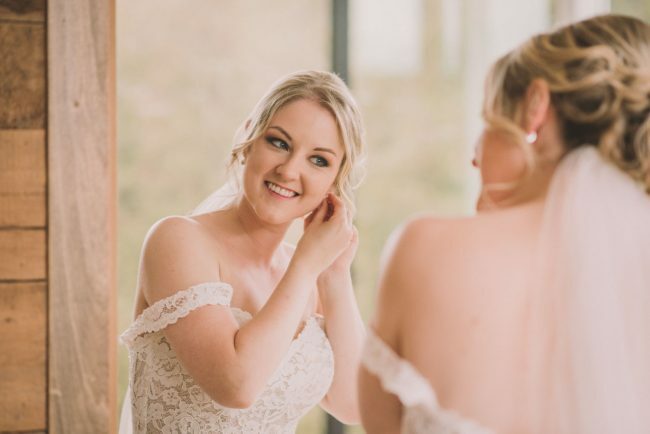 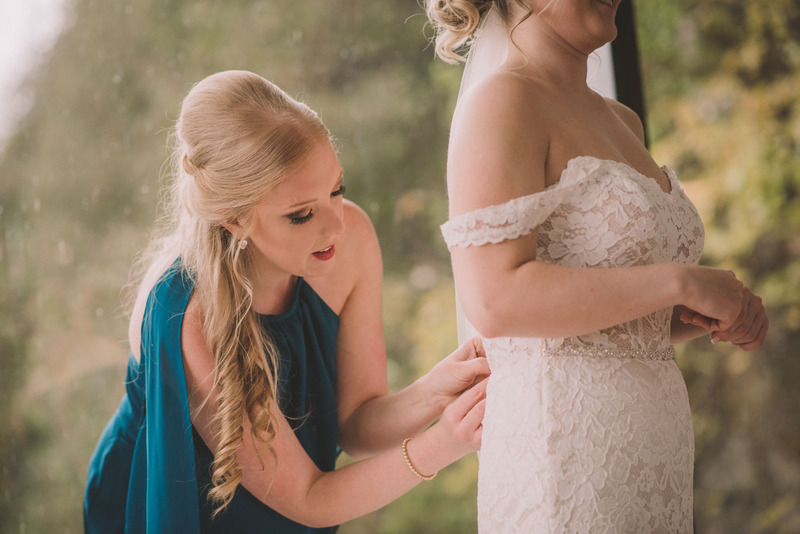 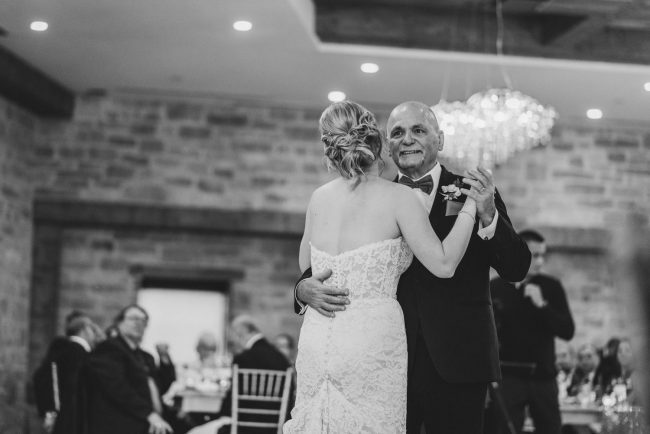 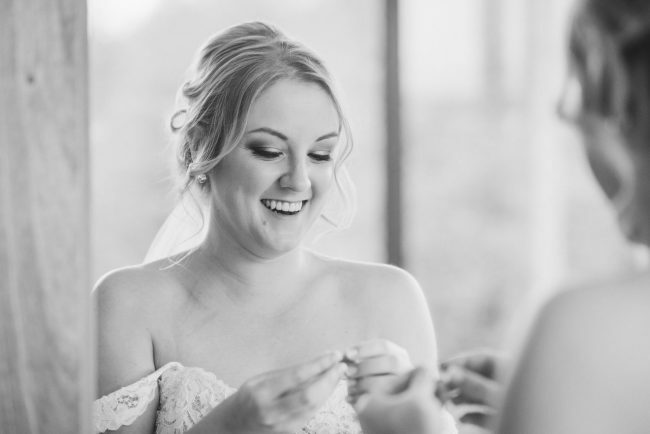 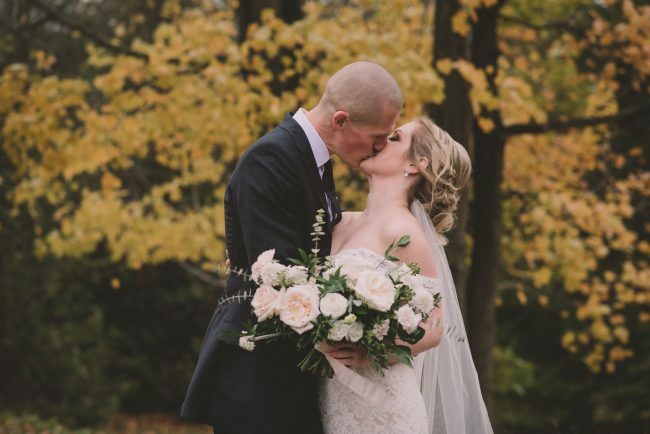 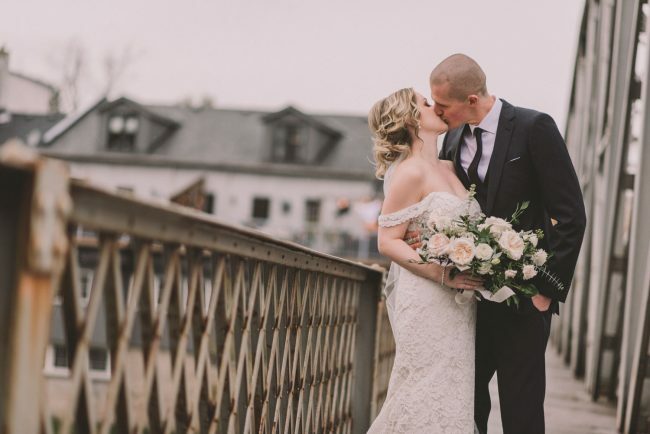 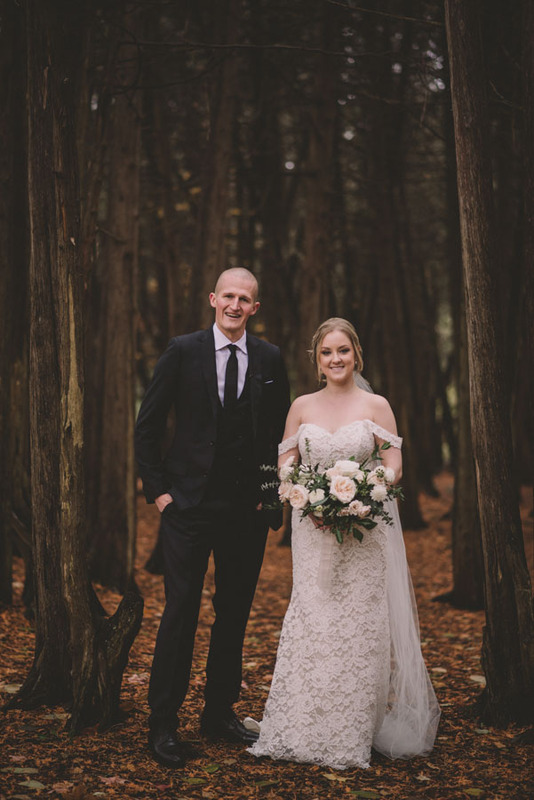 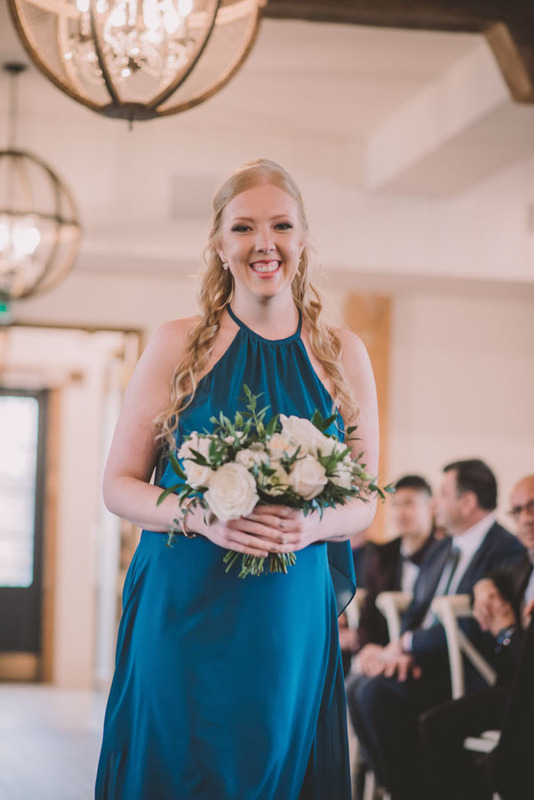 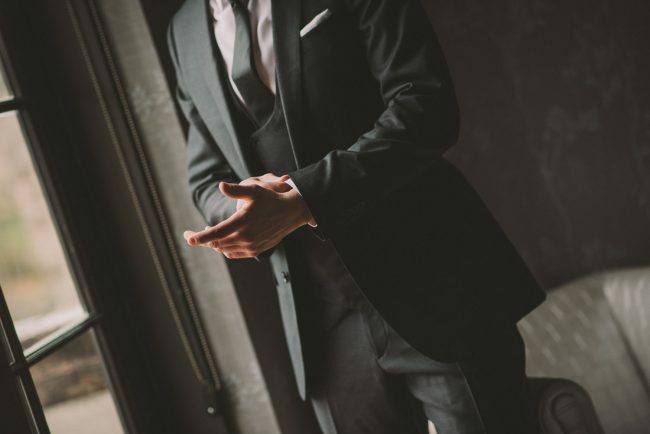 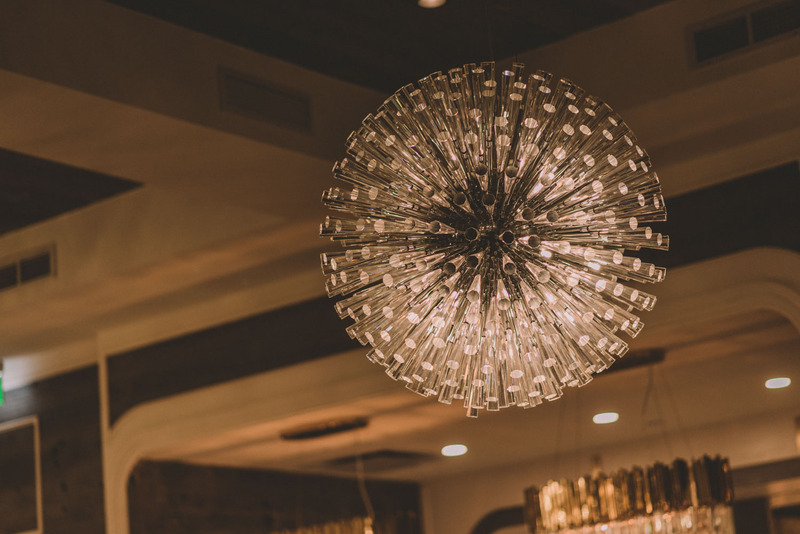 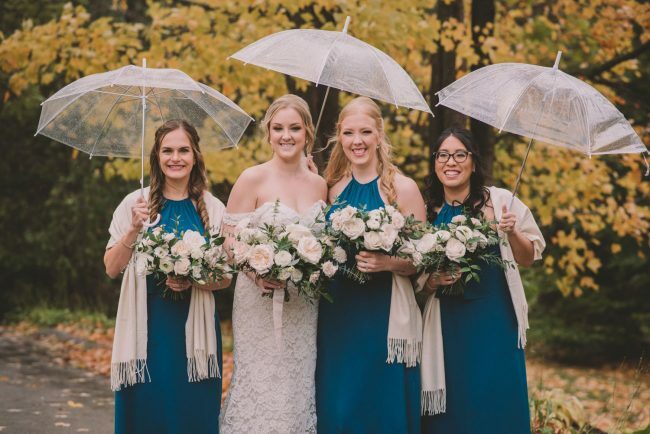 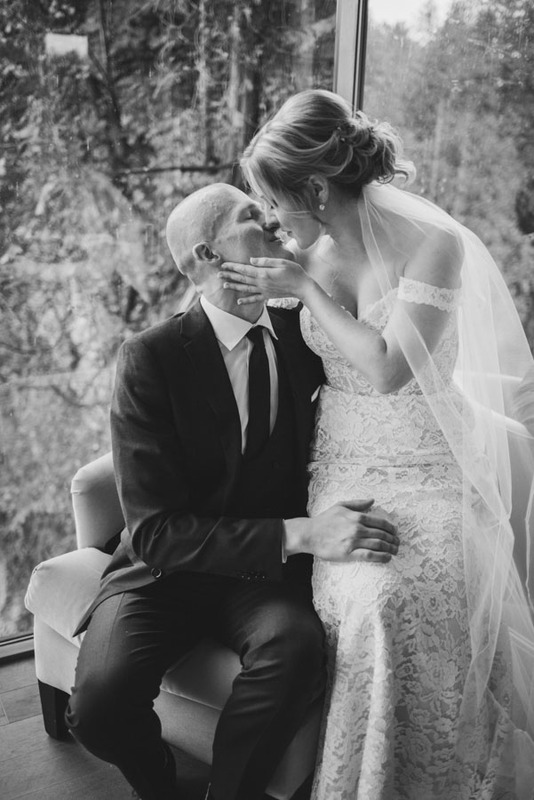 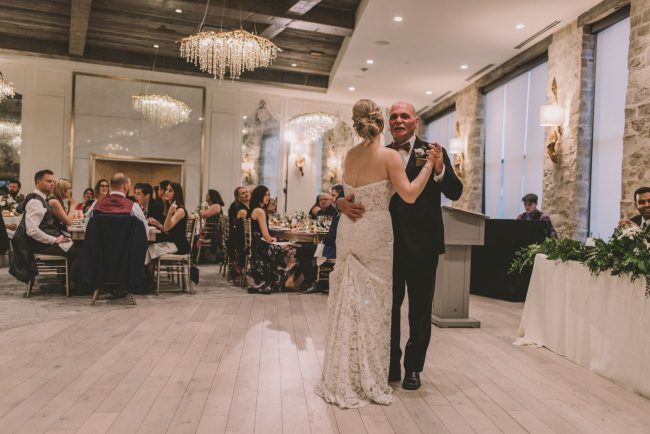 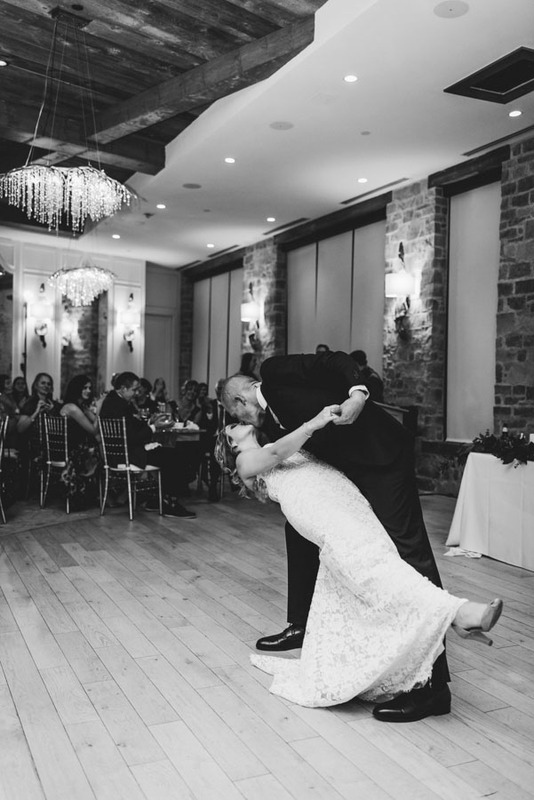 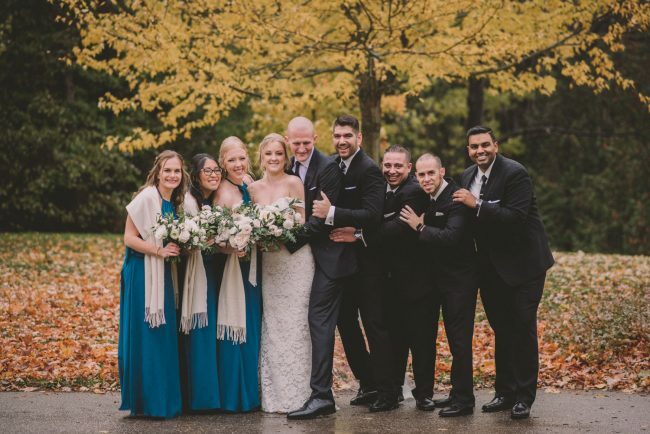 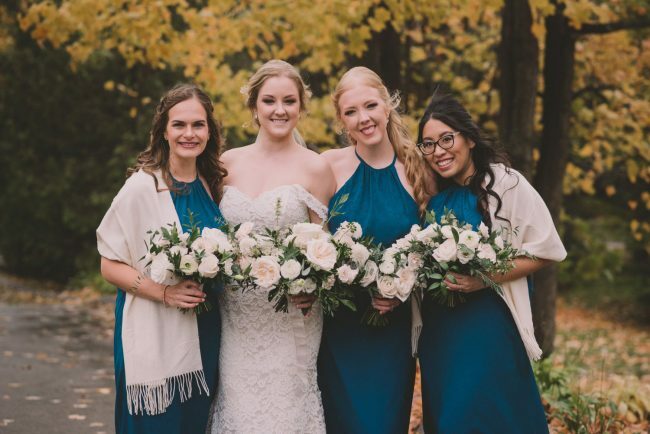 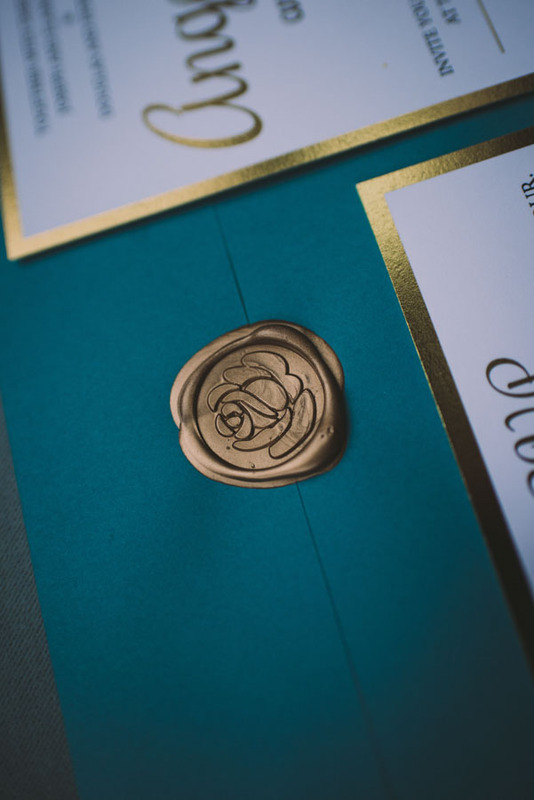 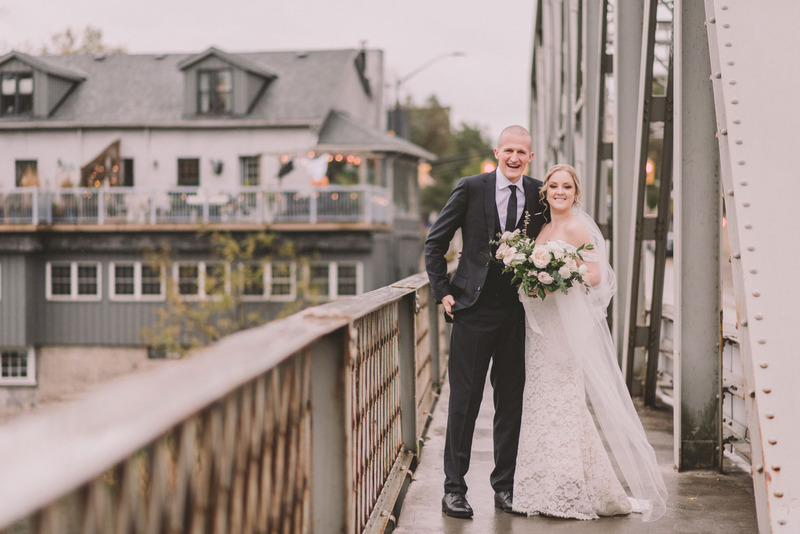 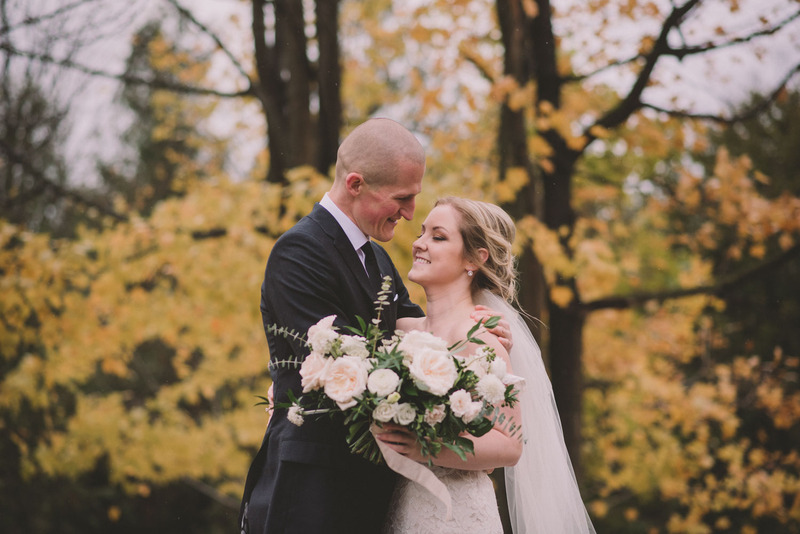 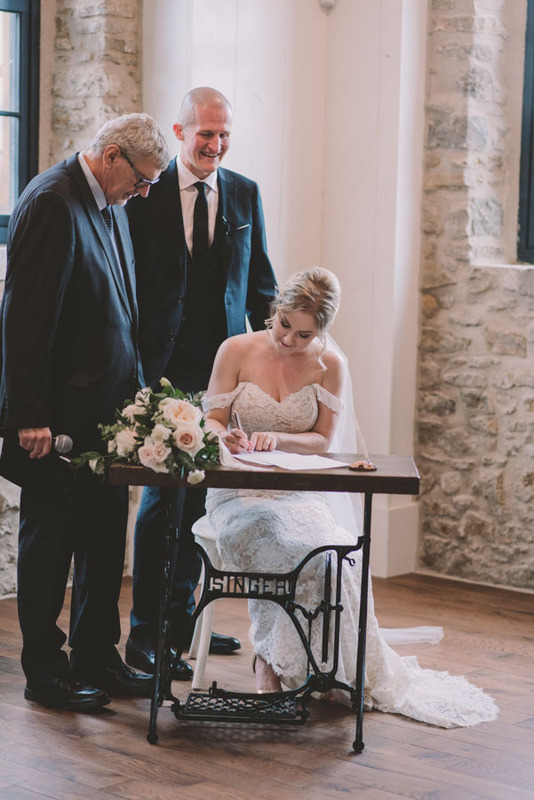 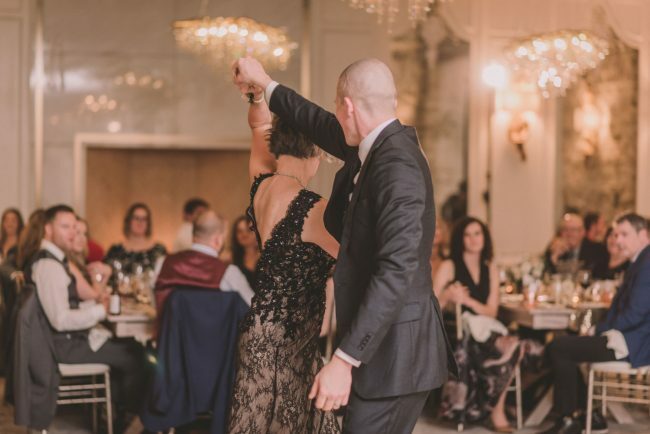 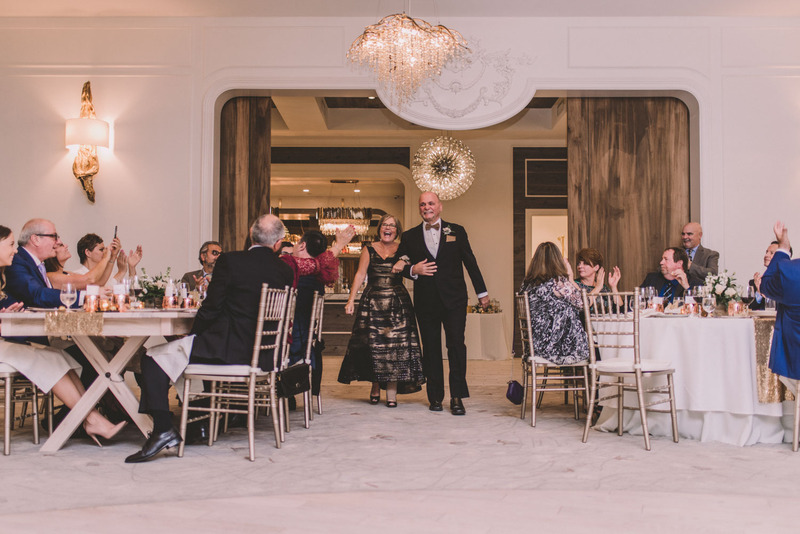 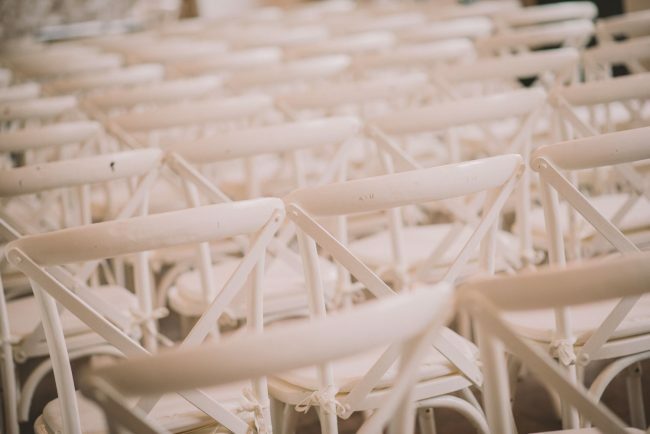 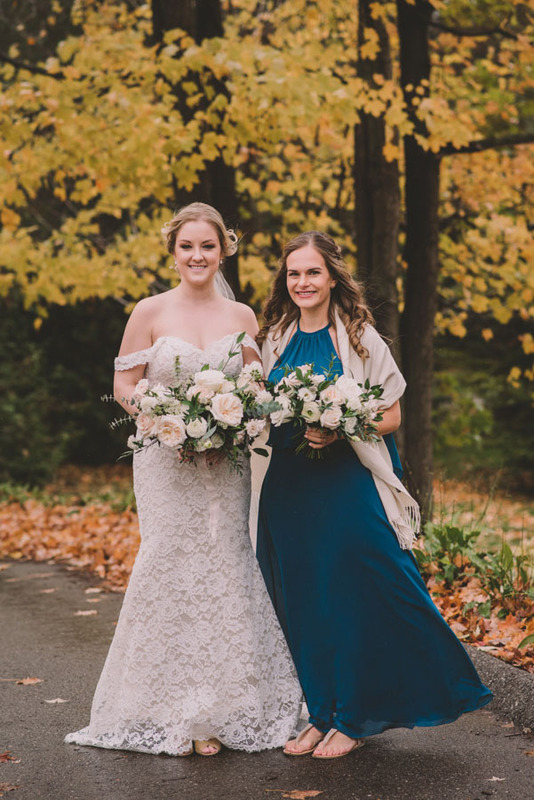 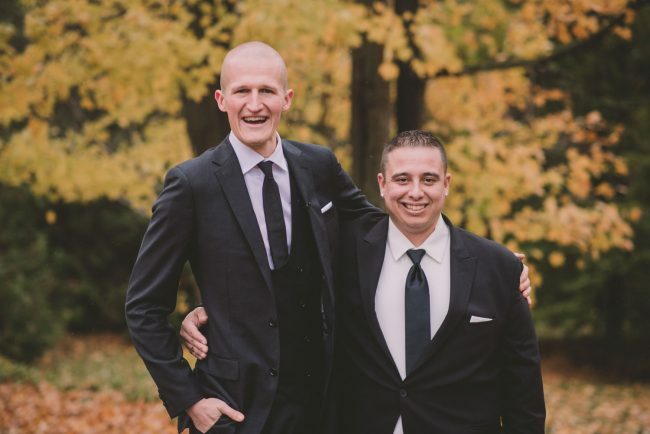 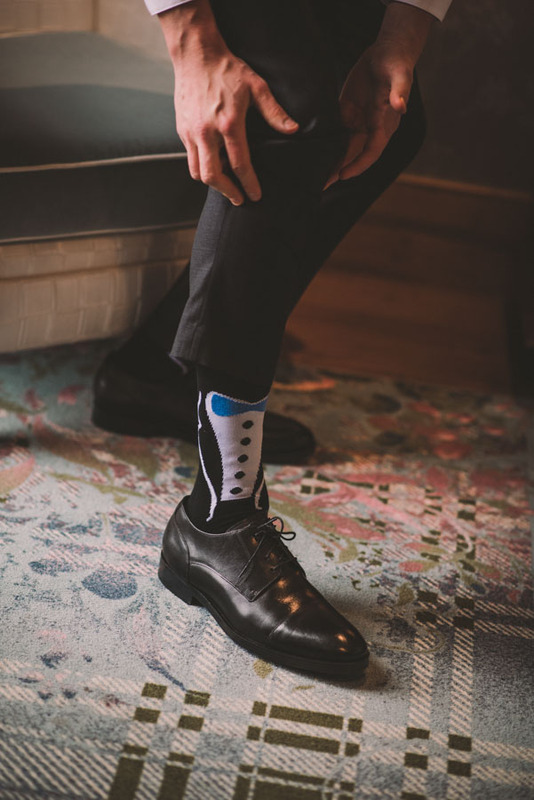 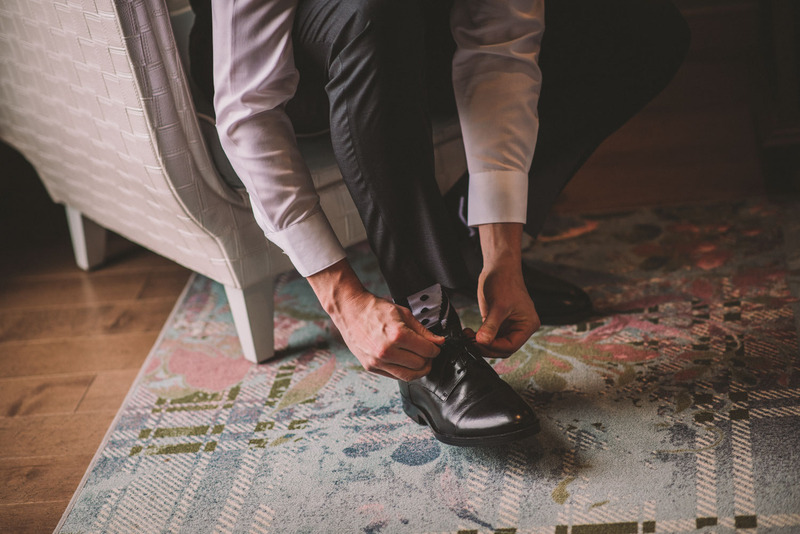 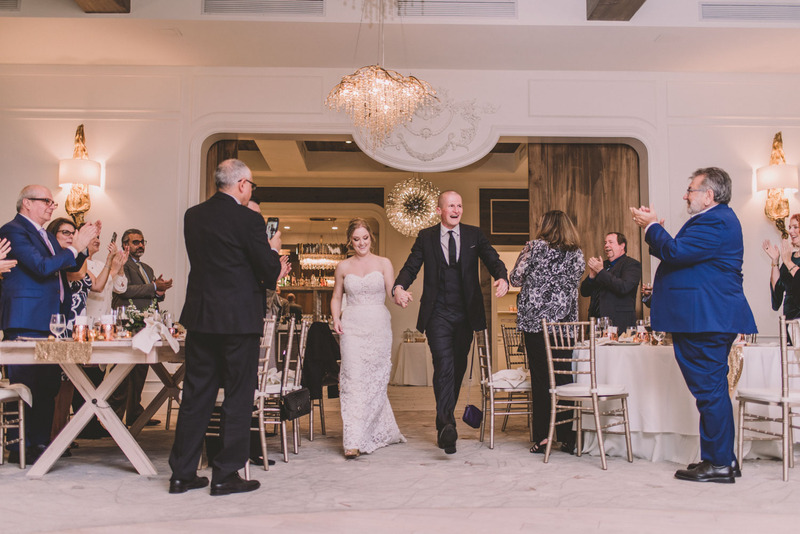 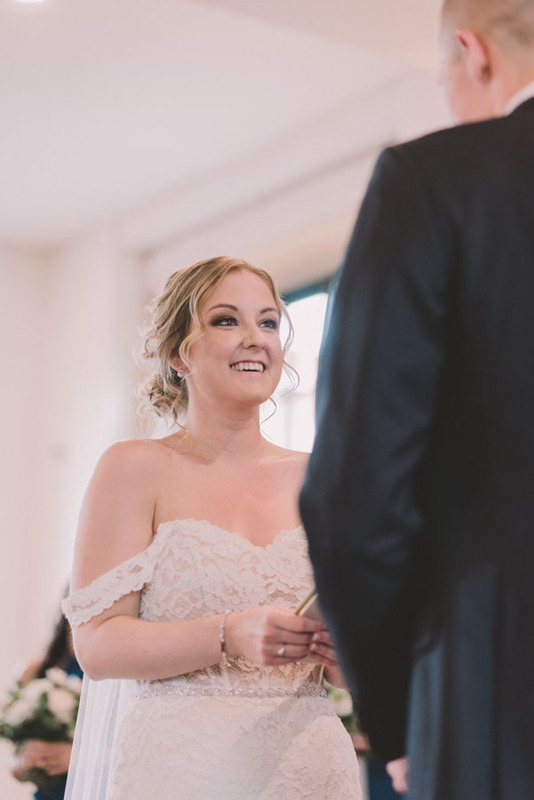 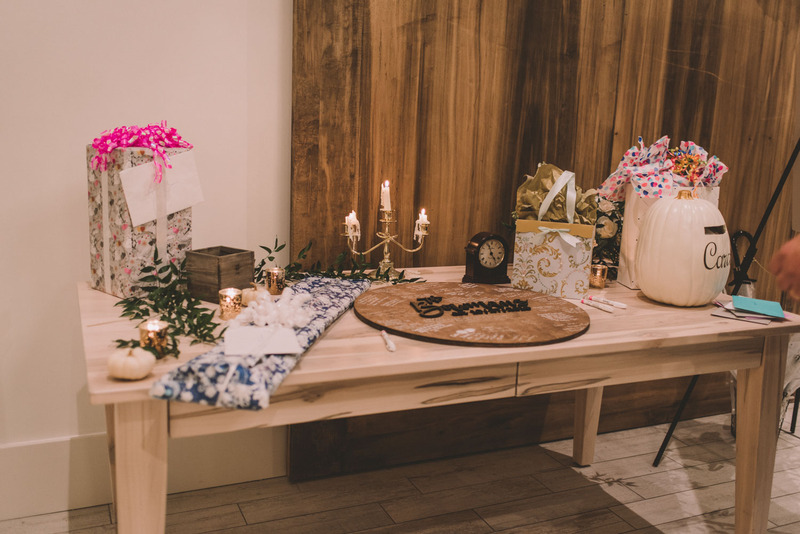 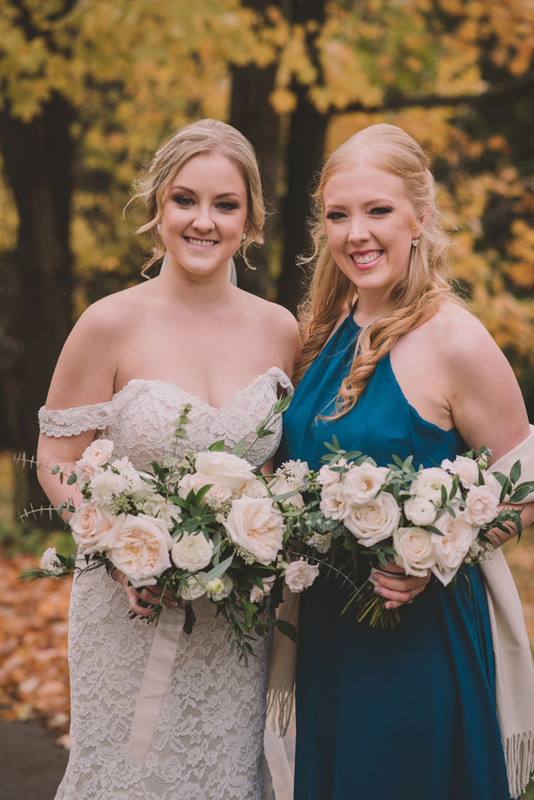 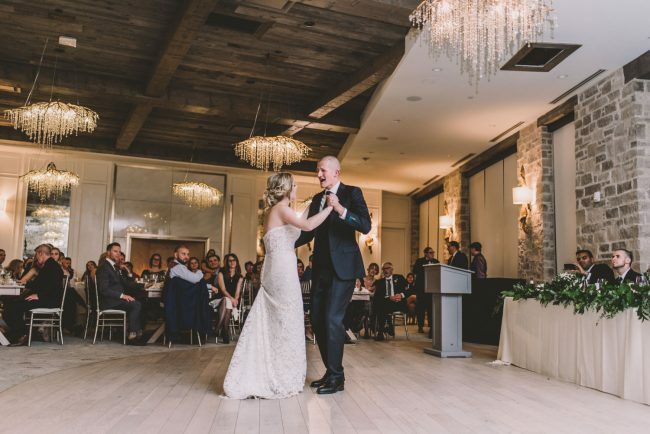 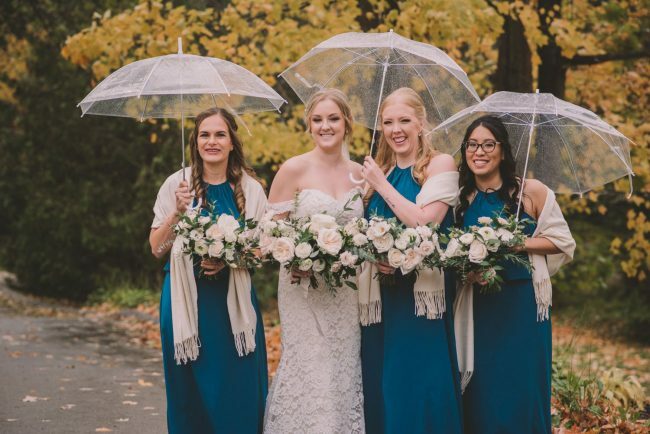 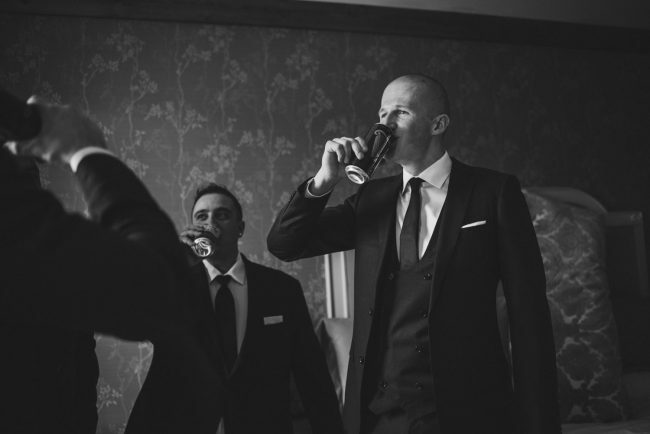 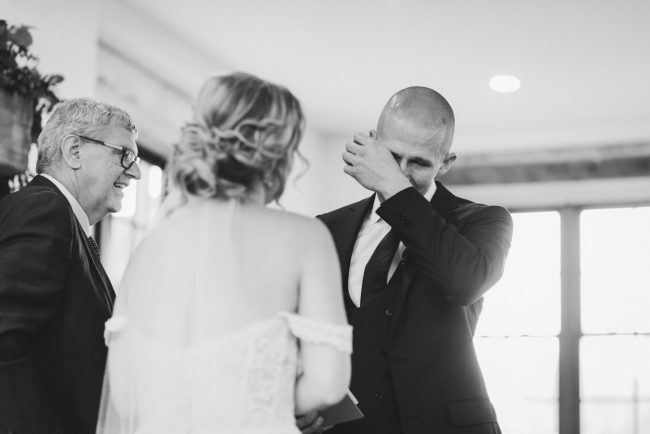 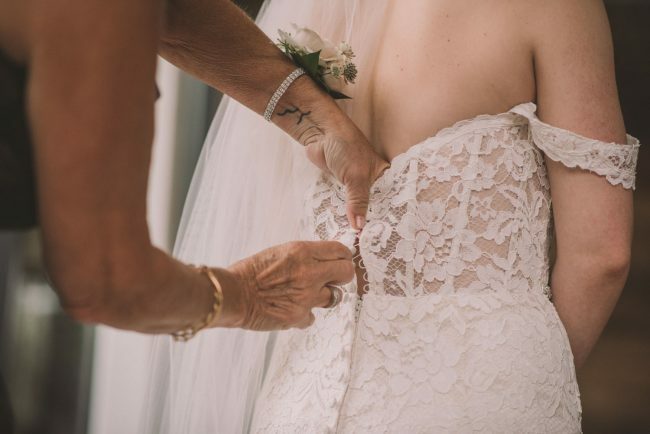 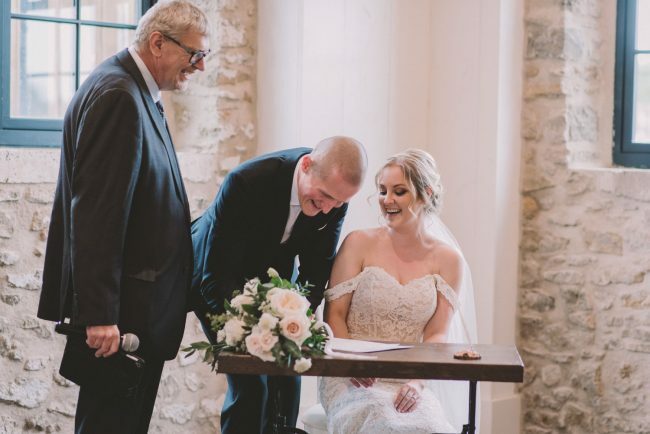 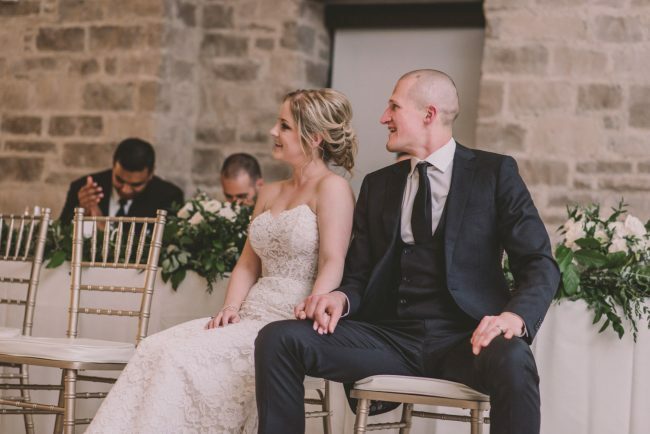 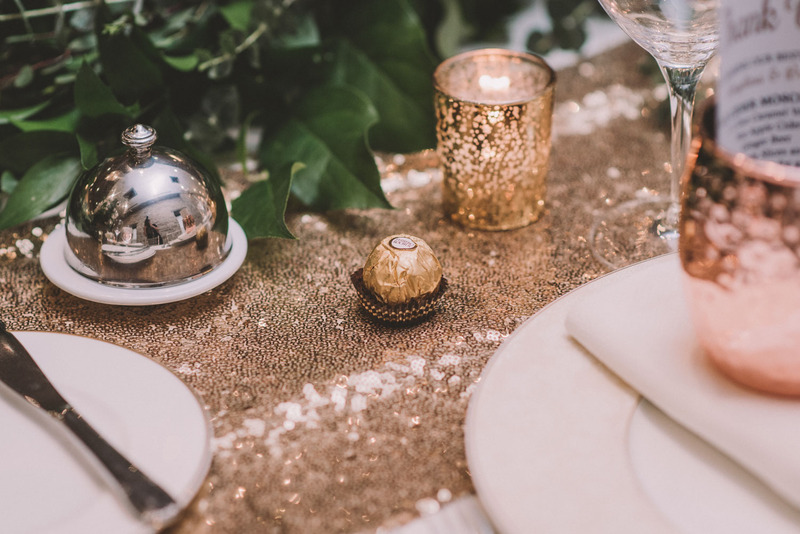 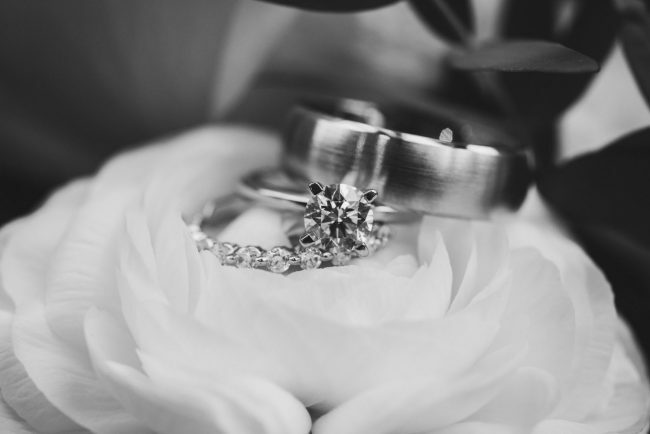 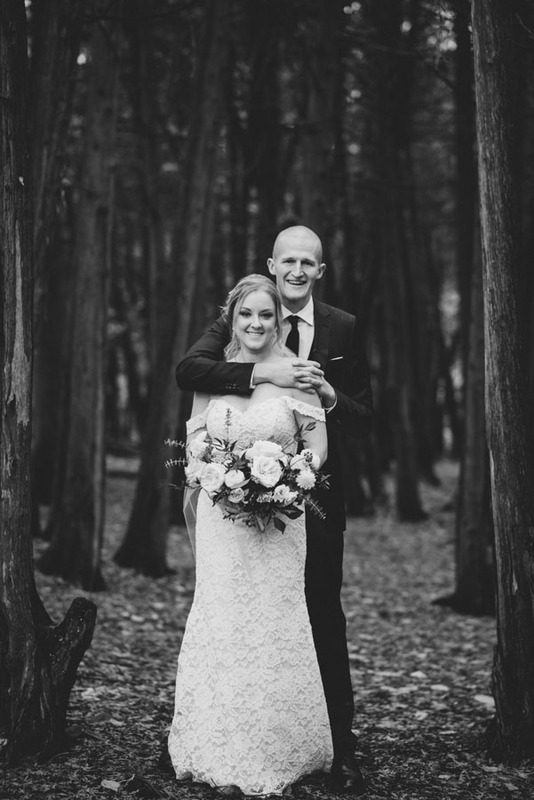 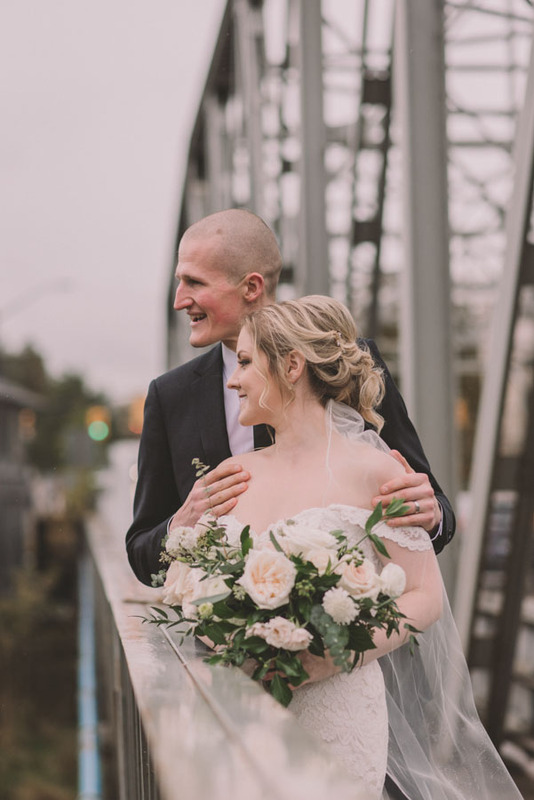 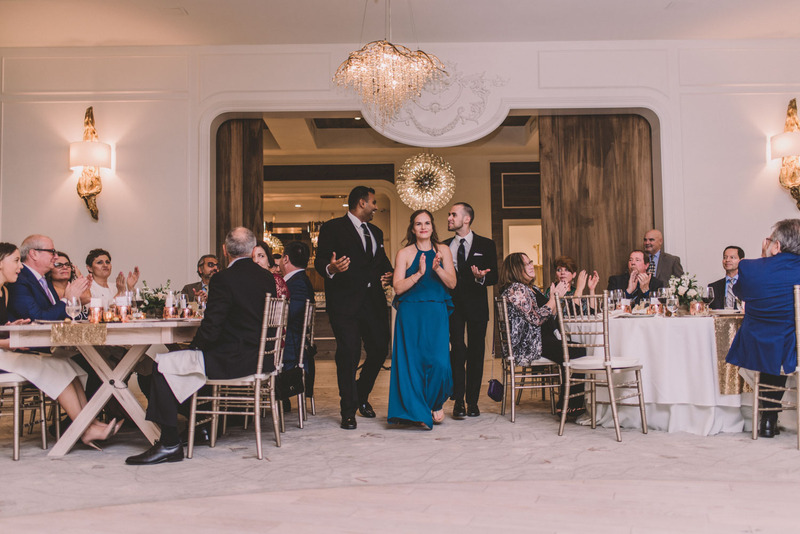 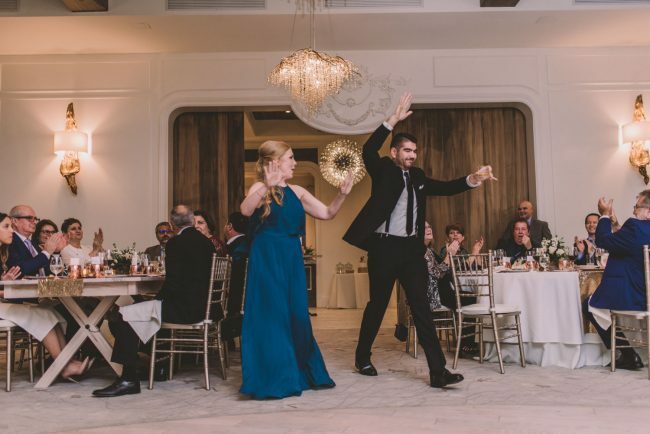 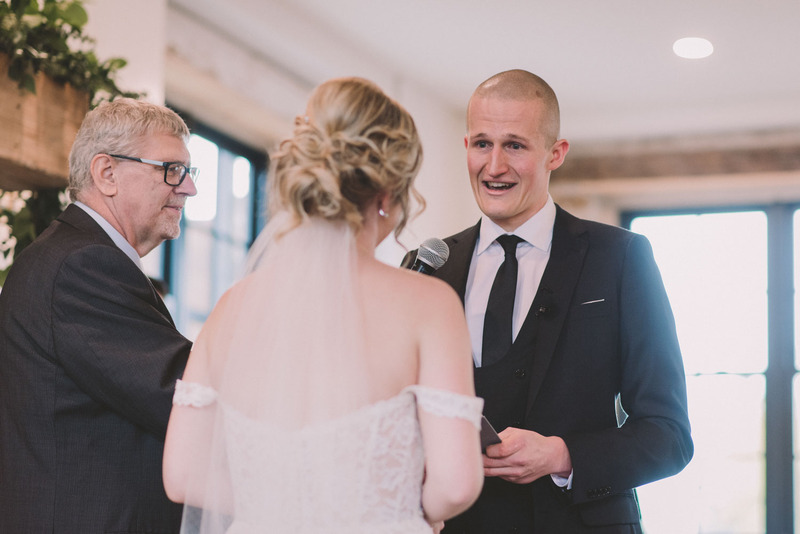 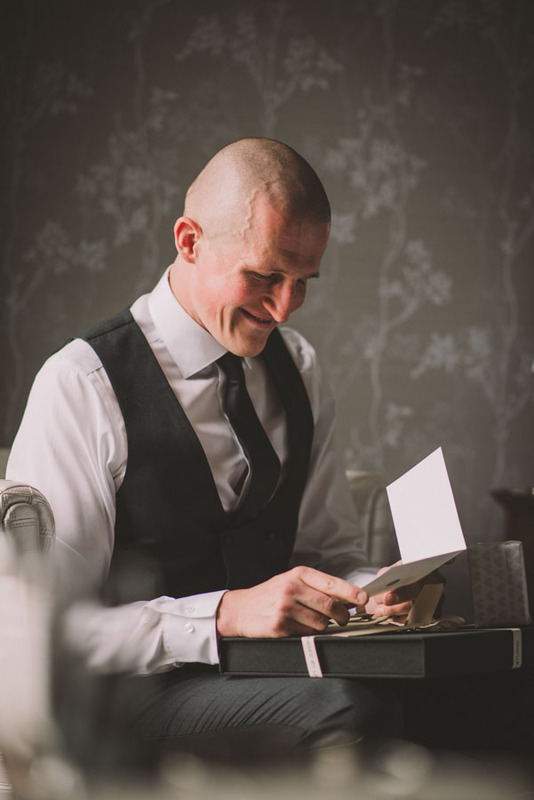 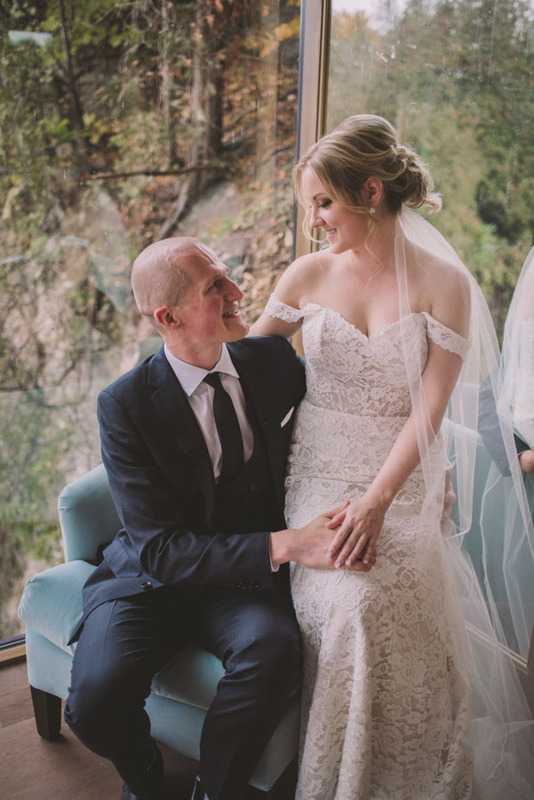 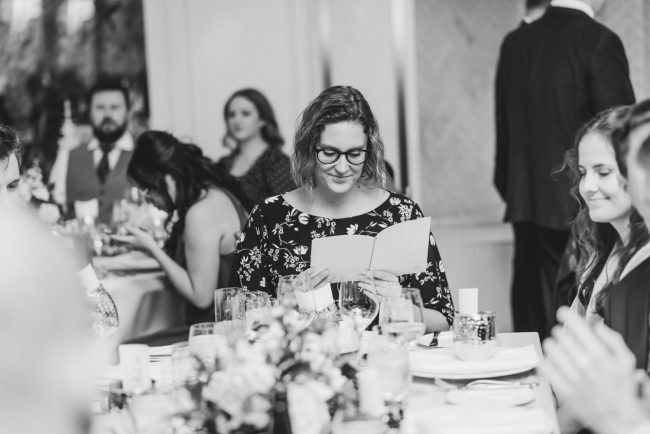 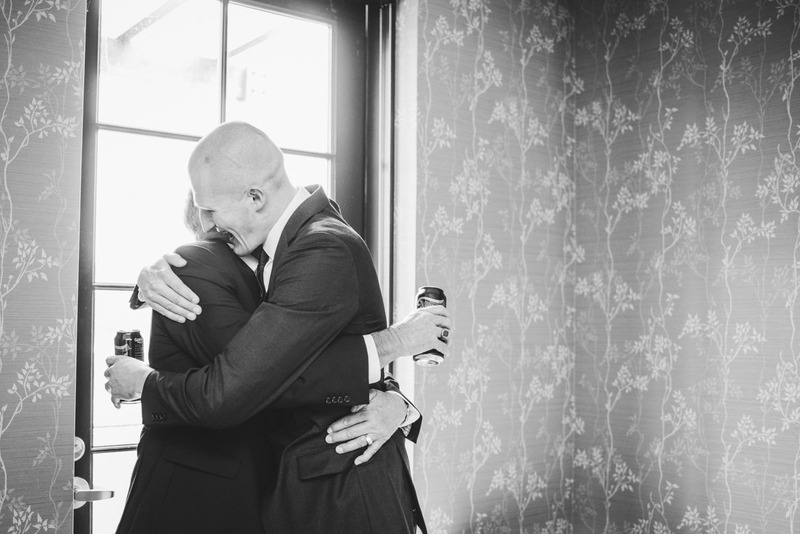 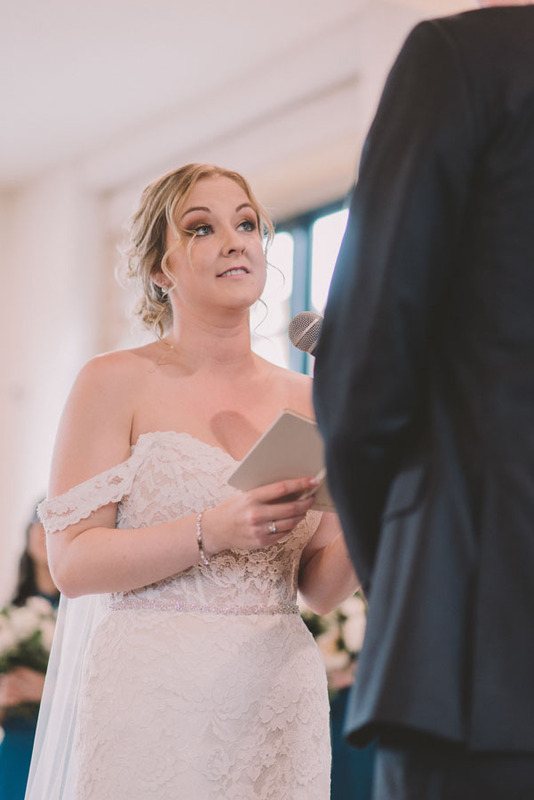 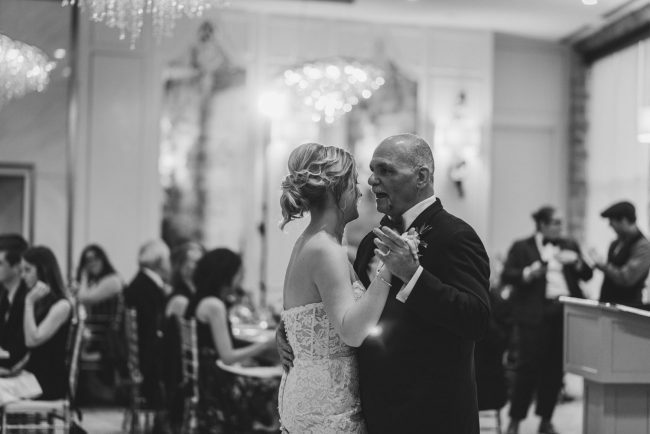 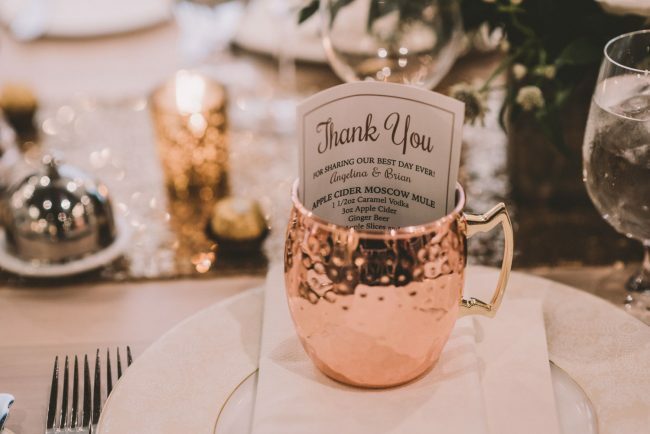 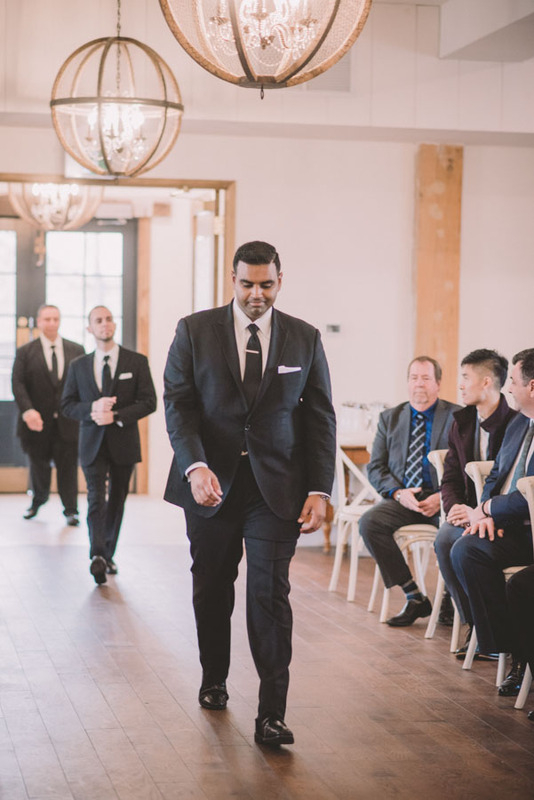 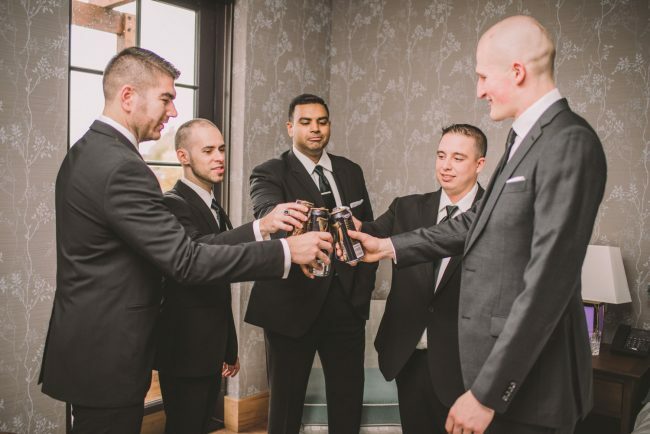 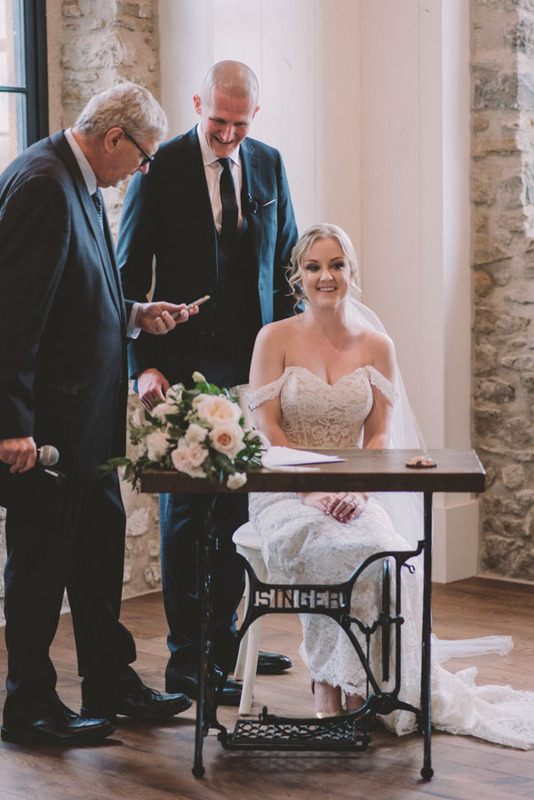 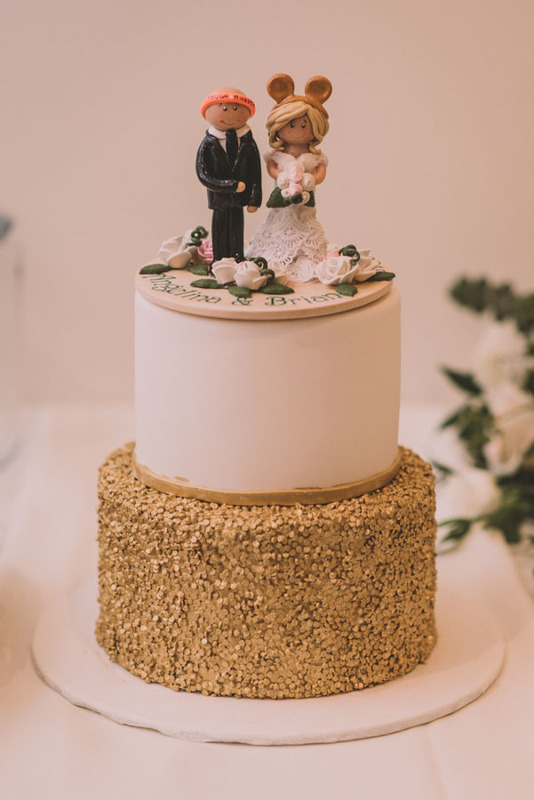 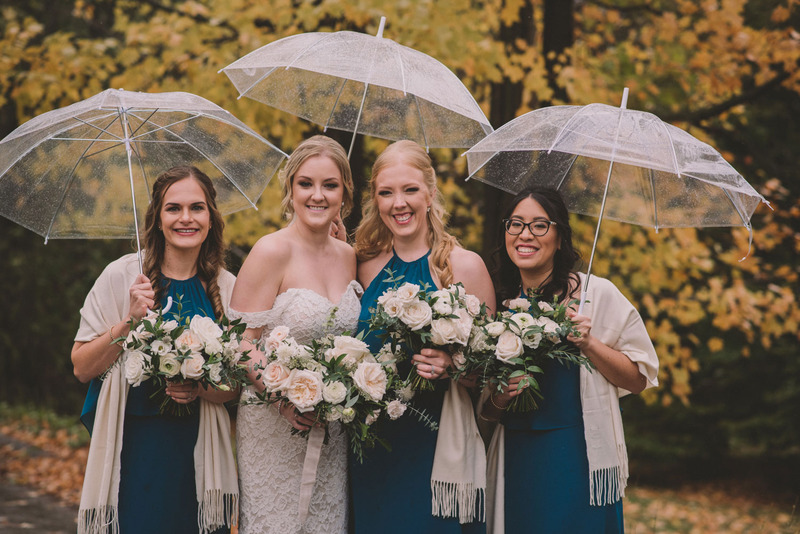 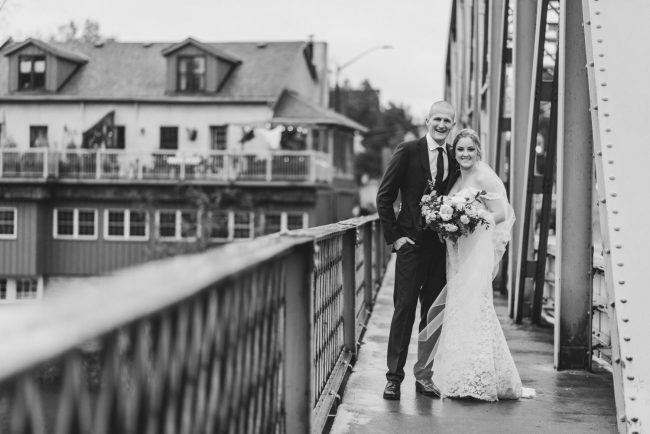 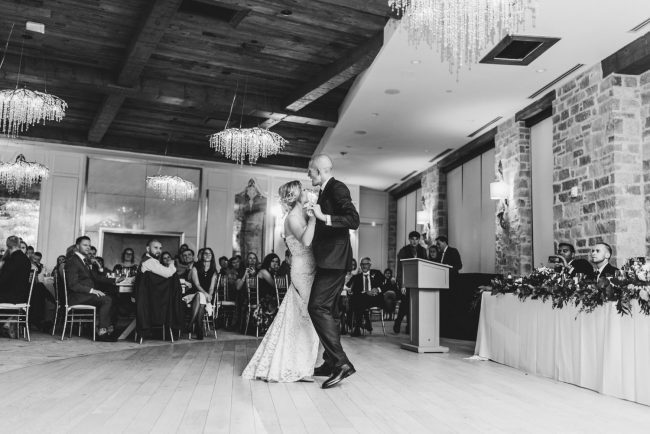 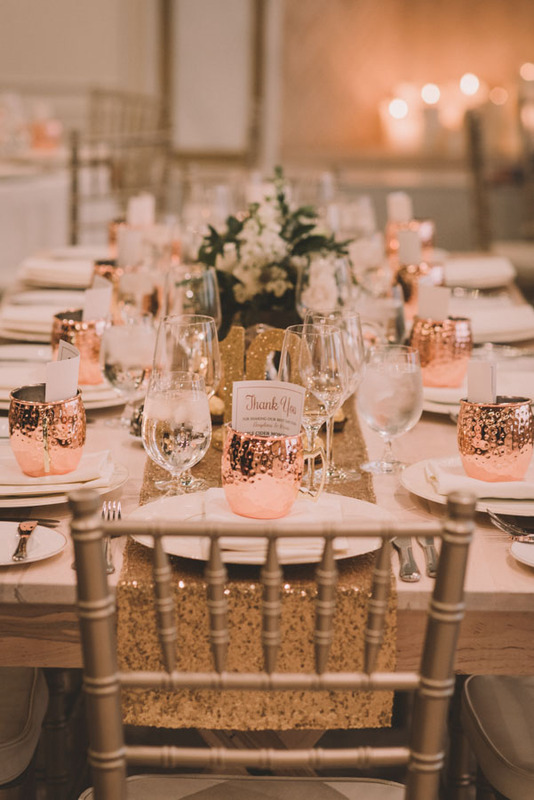 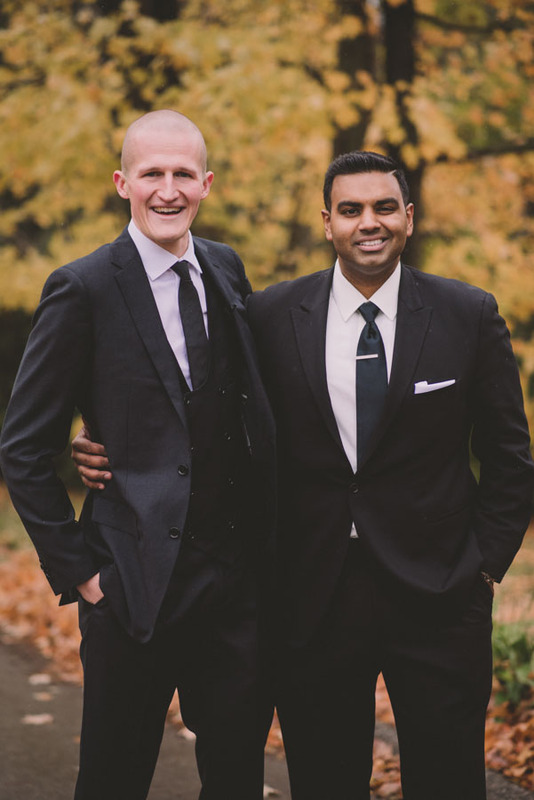 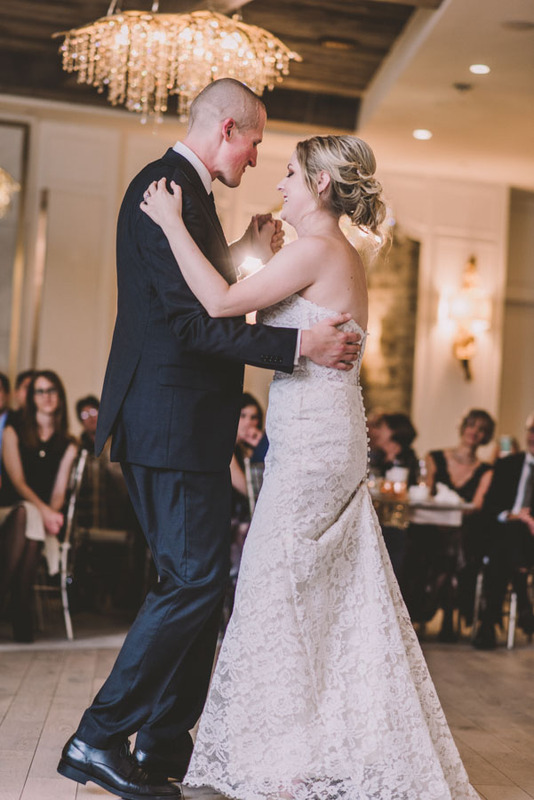 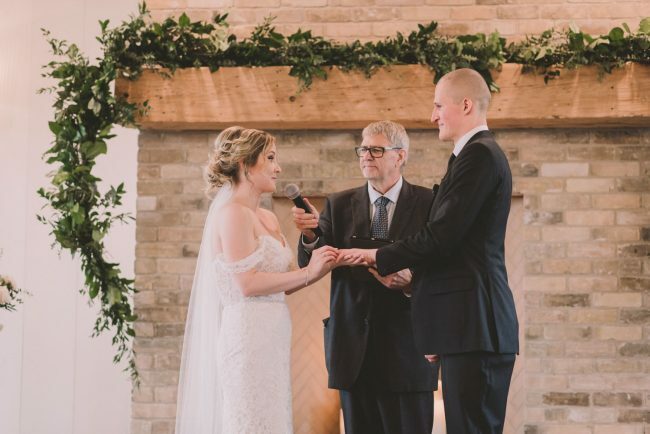 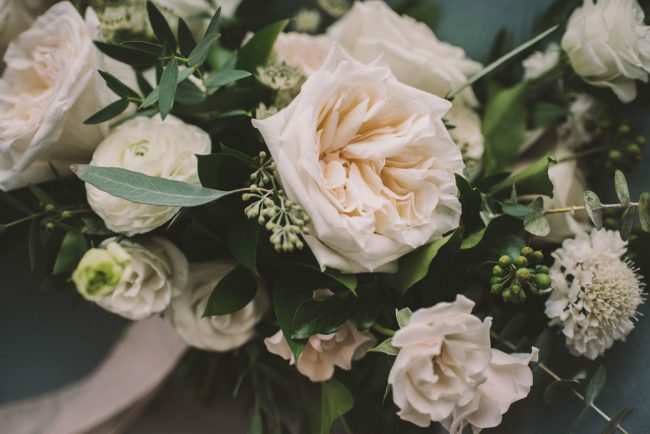 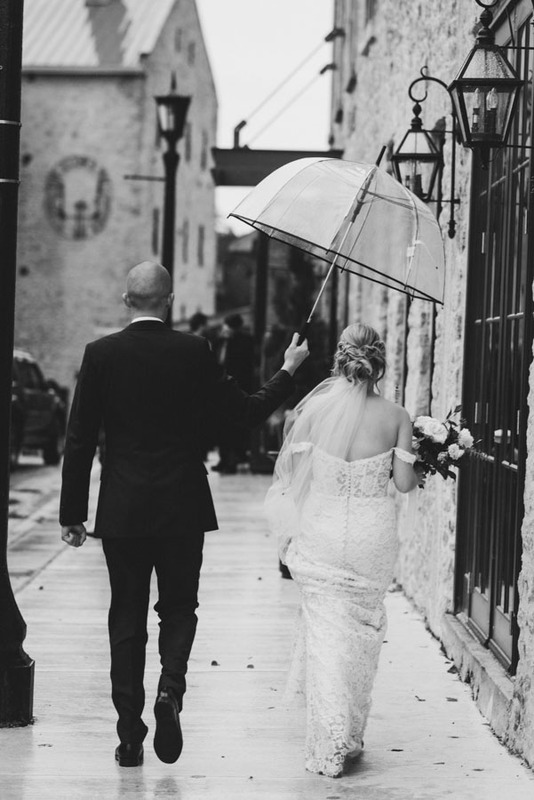 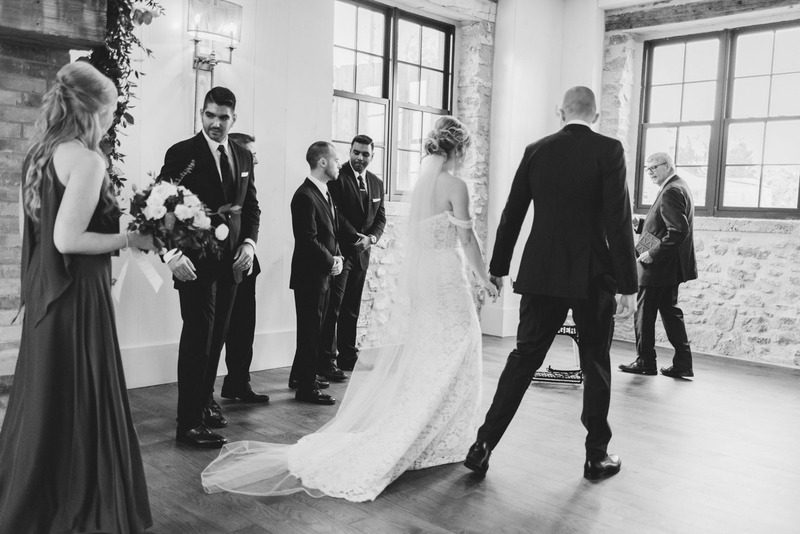 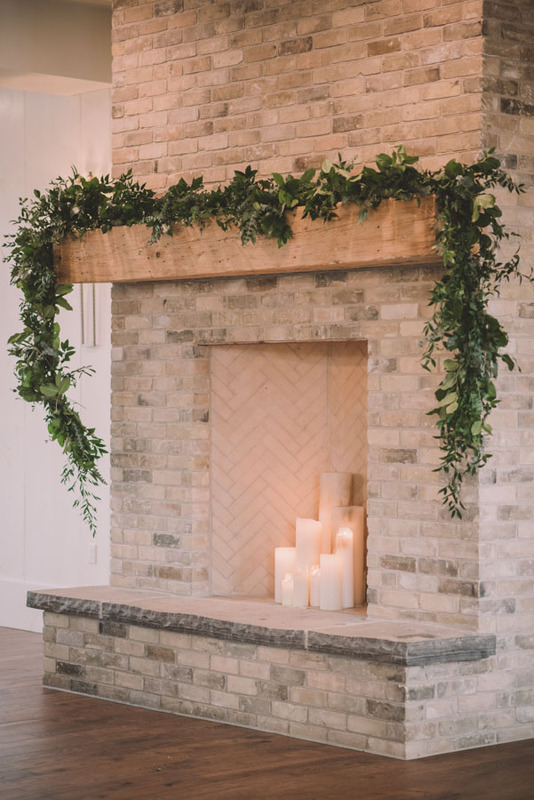 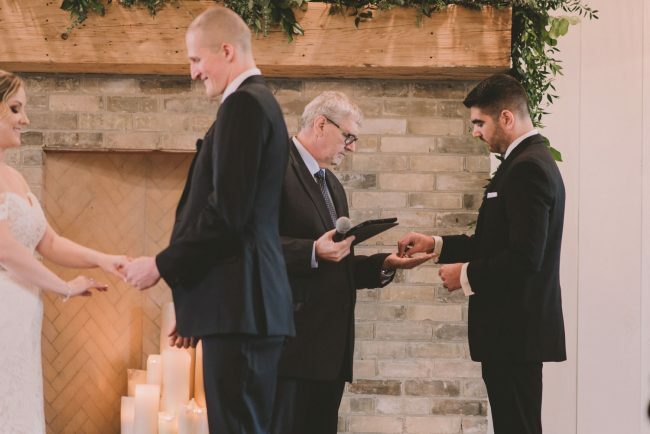 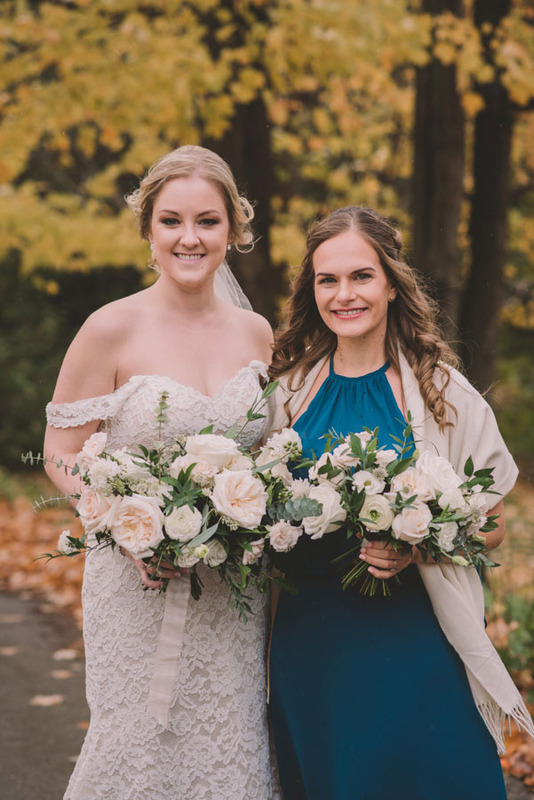 Though it was a cloudy, cold, and rainy day – their wedding was the perfect testament that even when the weather doesn’t completely work out, you can still have the most perfect wedding day ever! 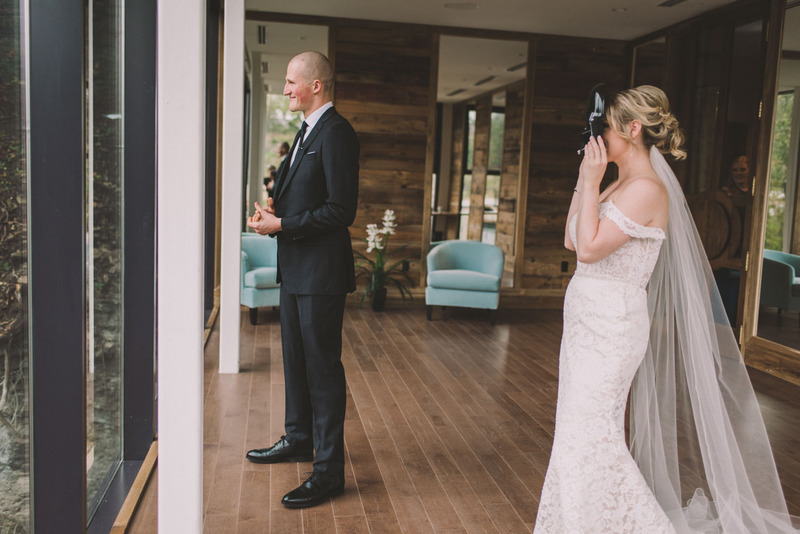 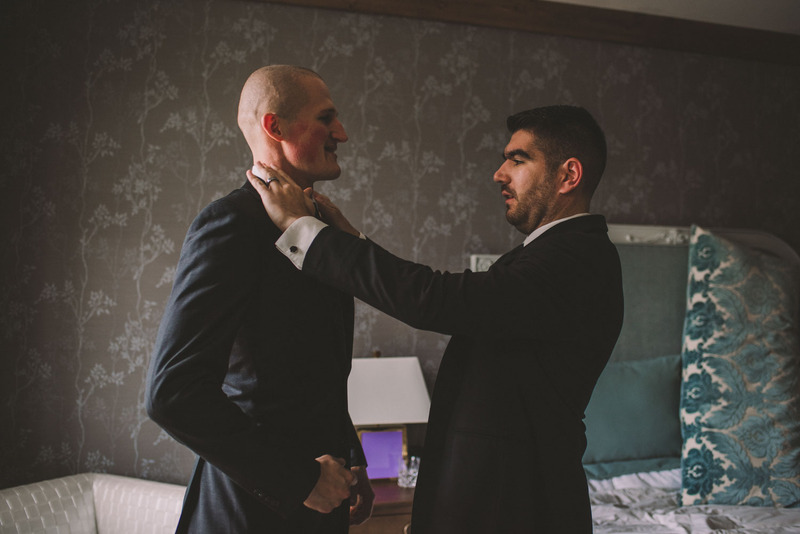 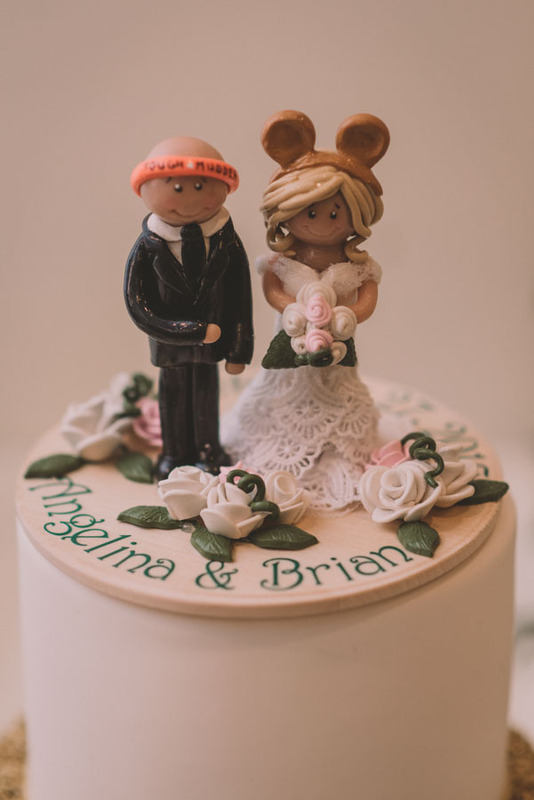 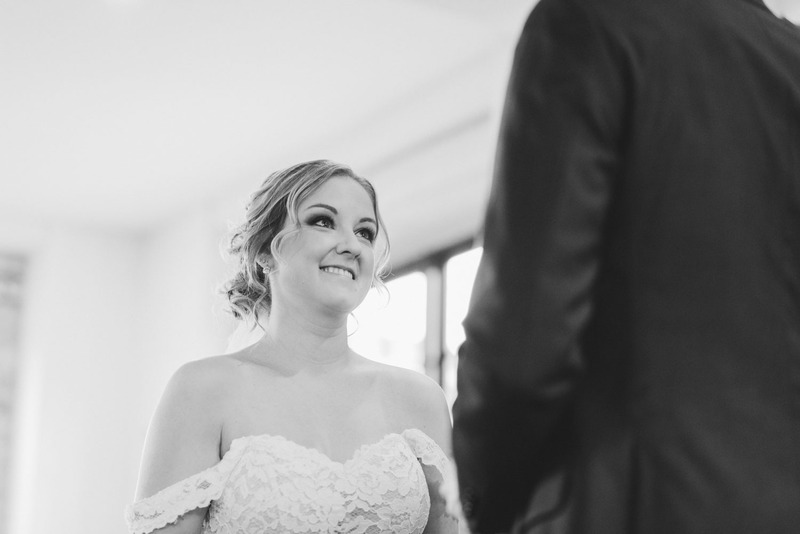 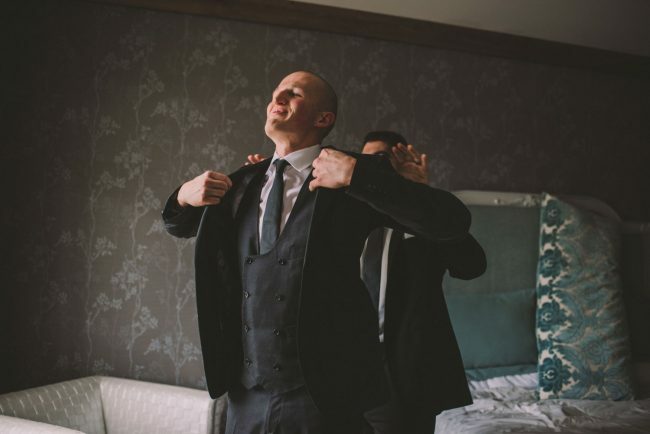 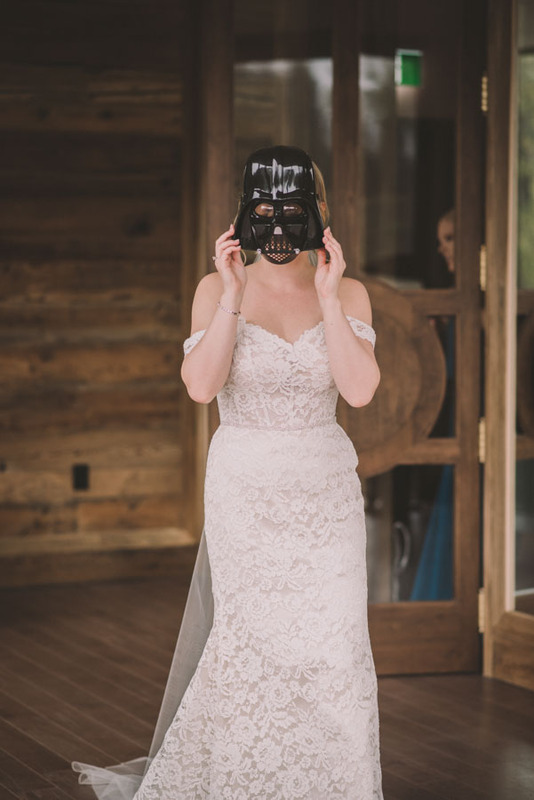 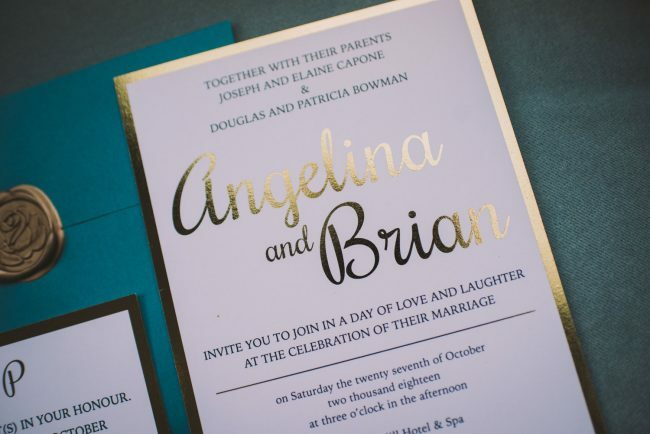 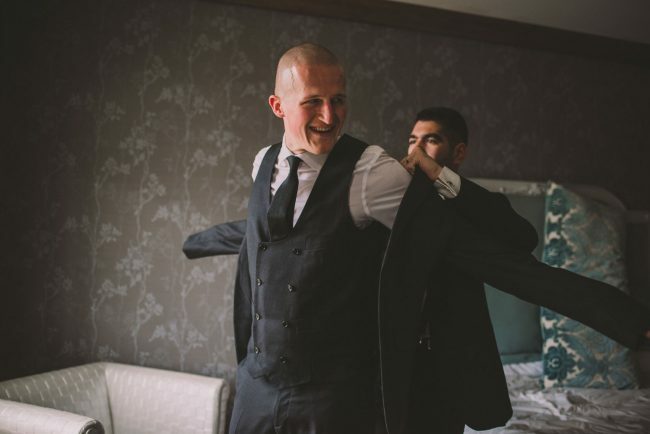 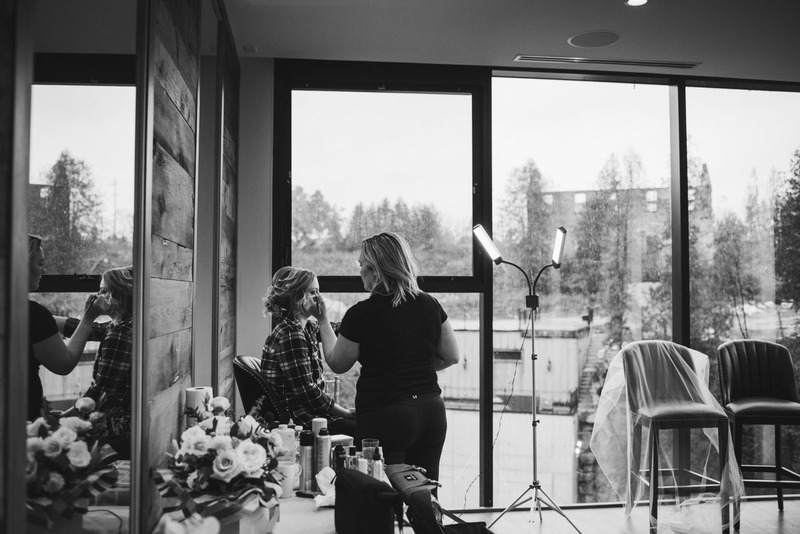 We started the day by capturing both Angelina and Brian’s preparation, then their hilarious first look – where Angelina put a spin on things by donning a Darth Vadar mask as she approached Brian. 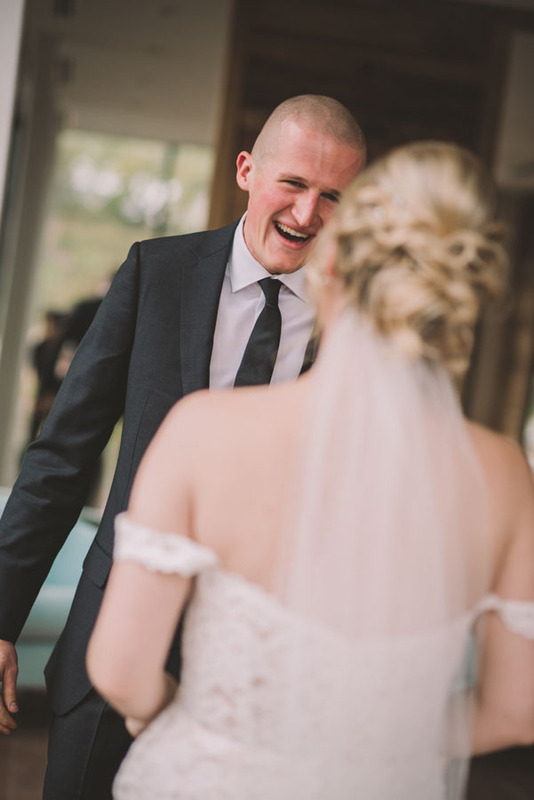 Myself and the videography team (Eksena Films) were stifling laughter as she surprised him! 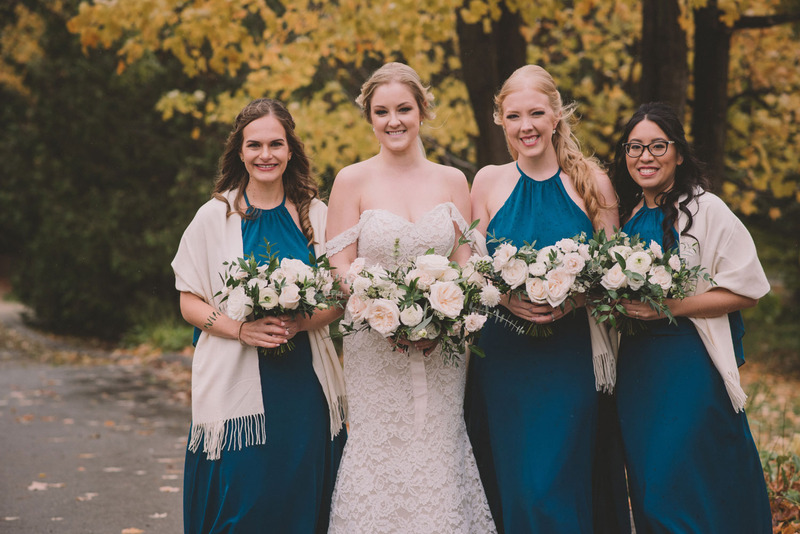 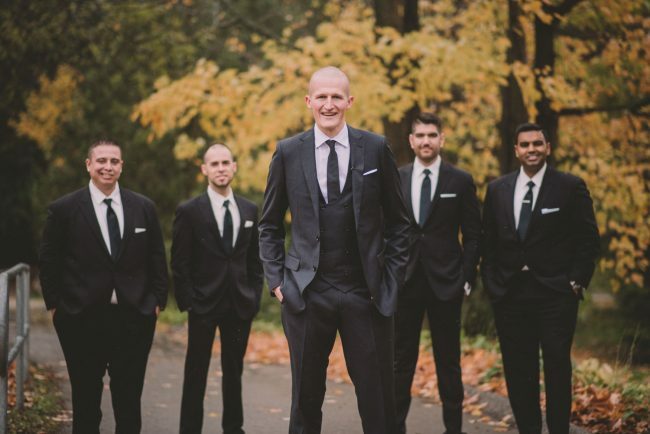 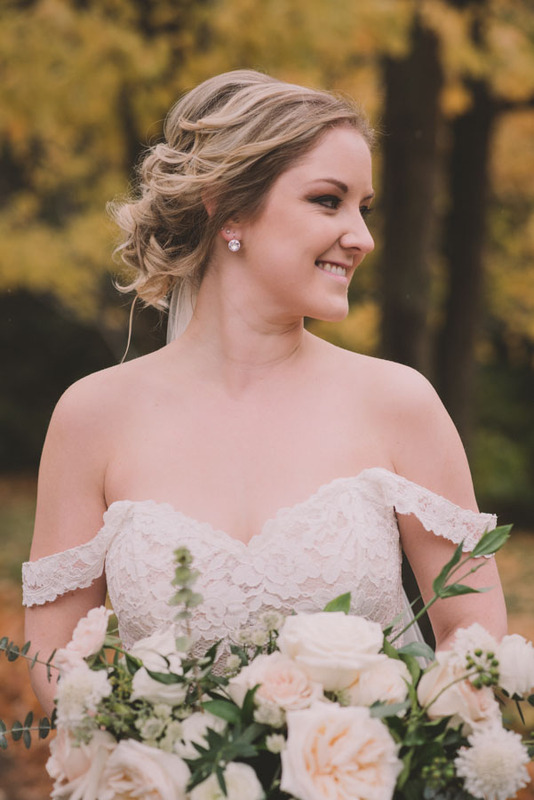 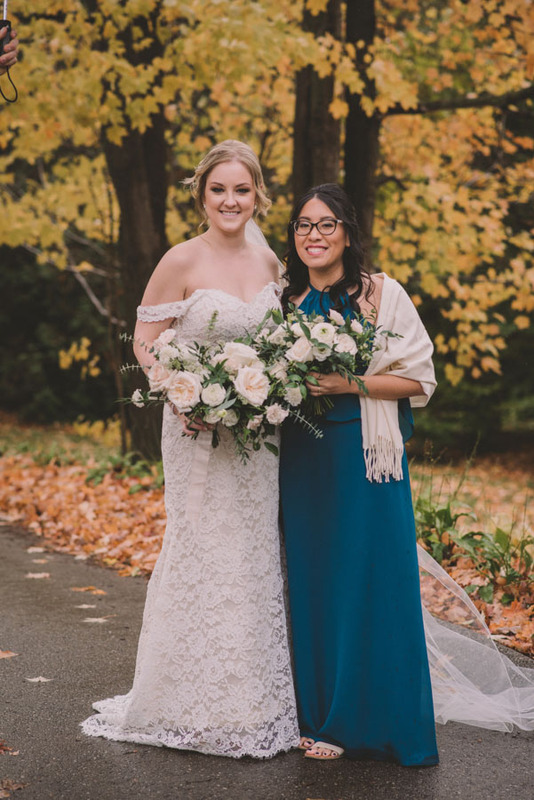 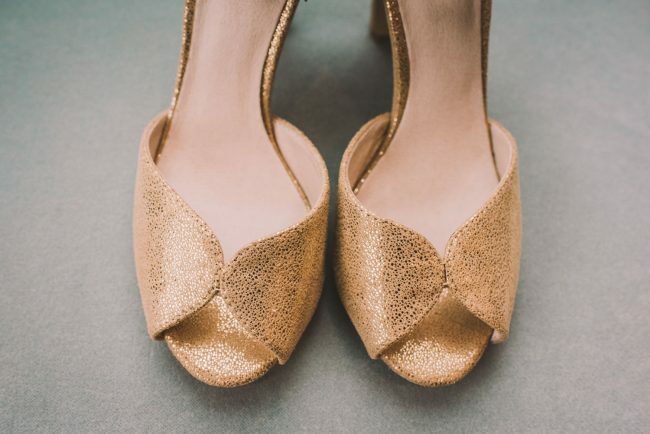 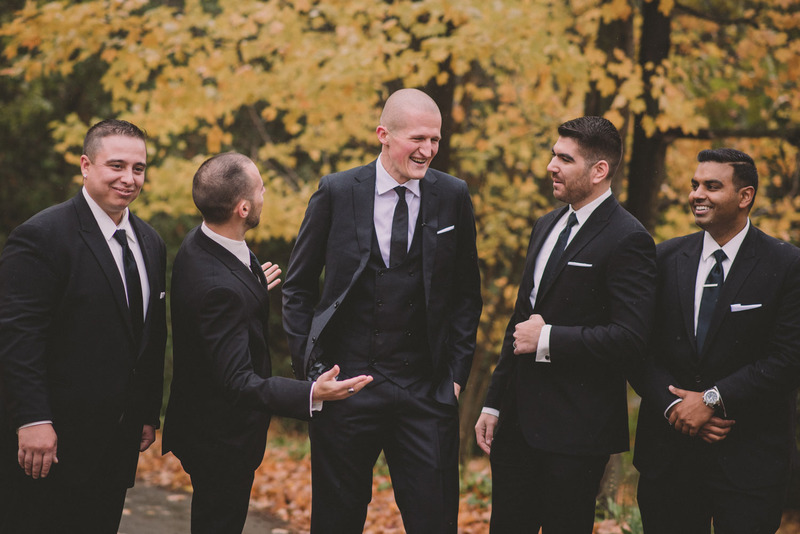 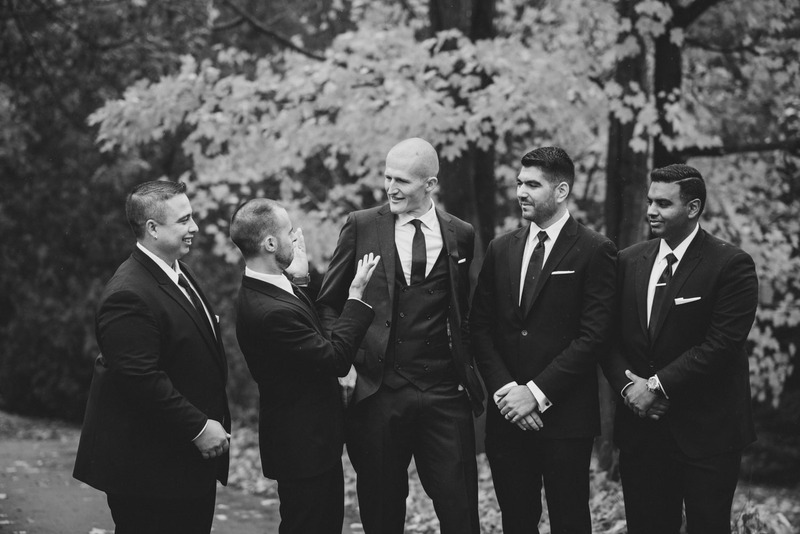 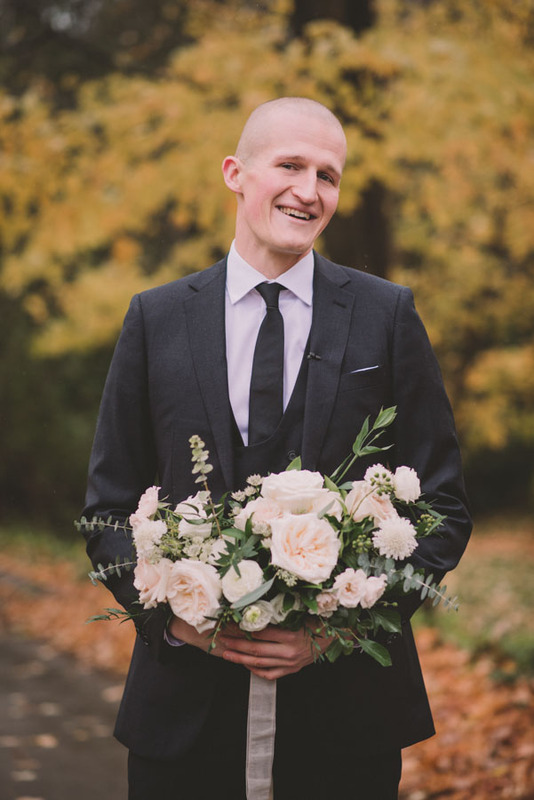 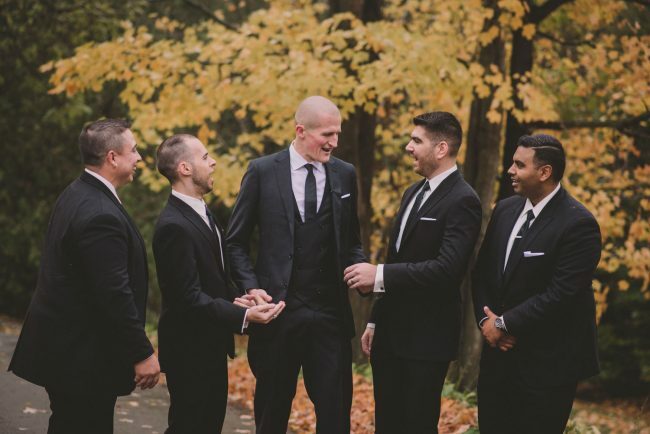 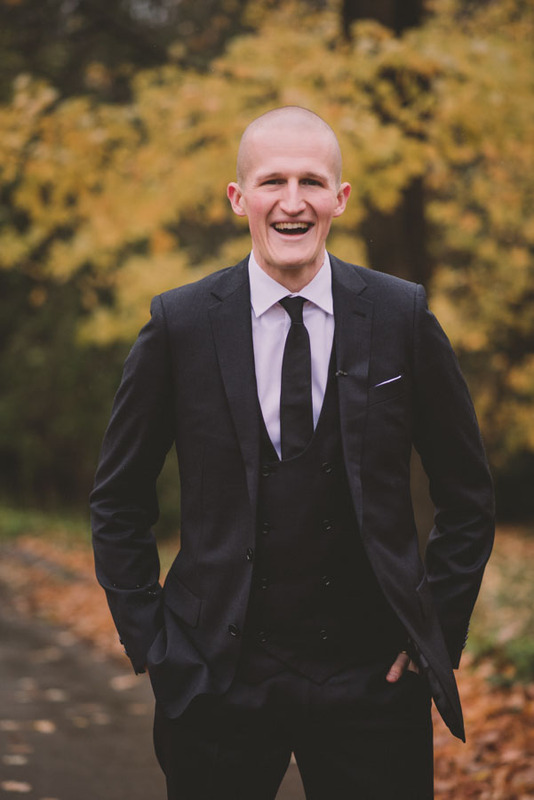 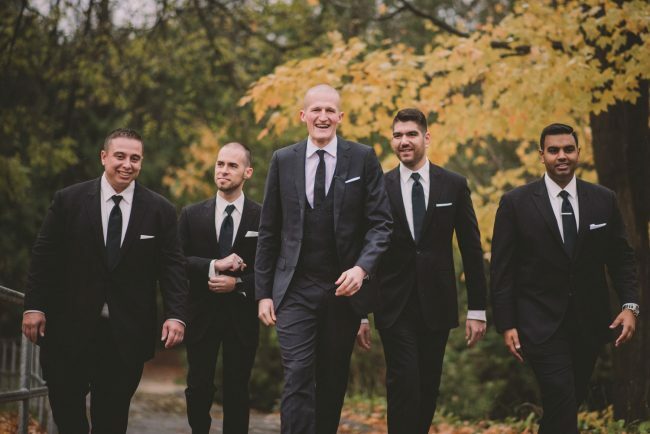 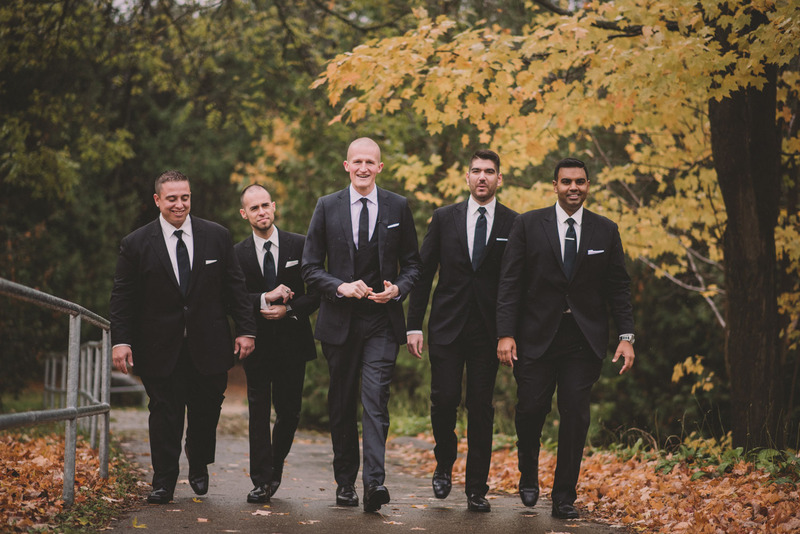 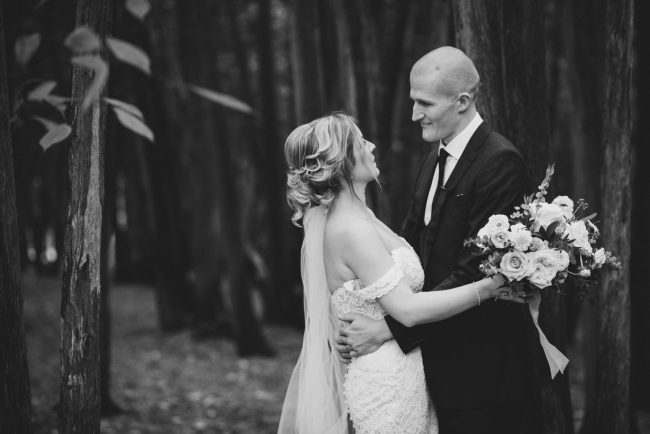 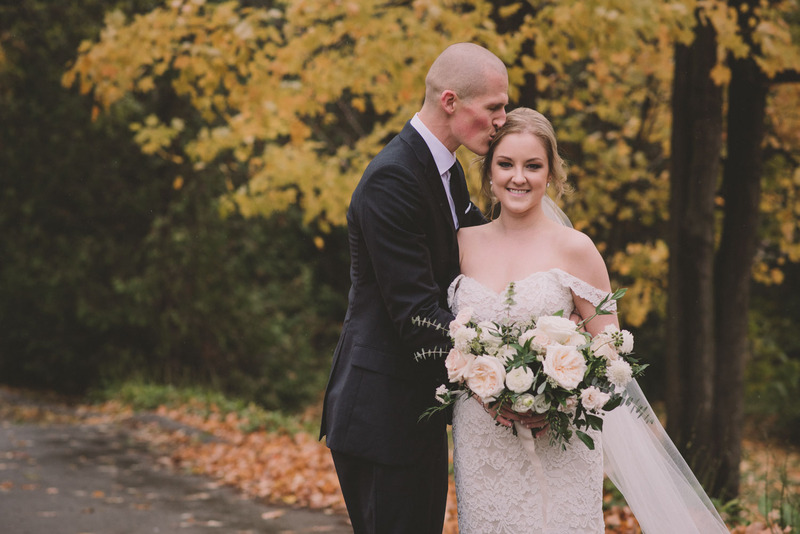 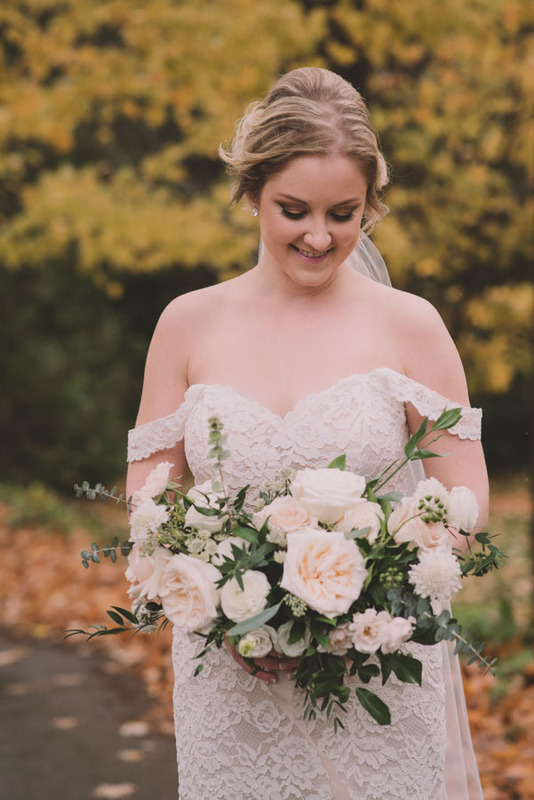 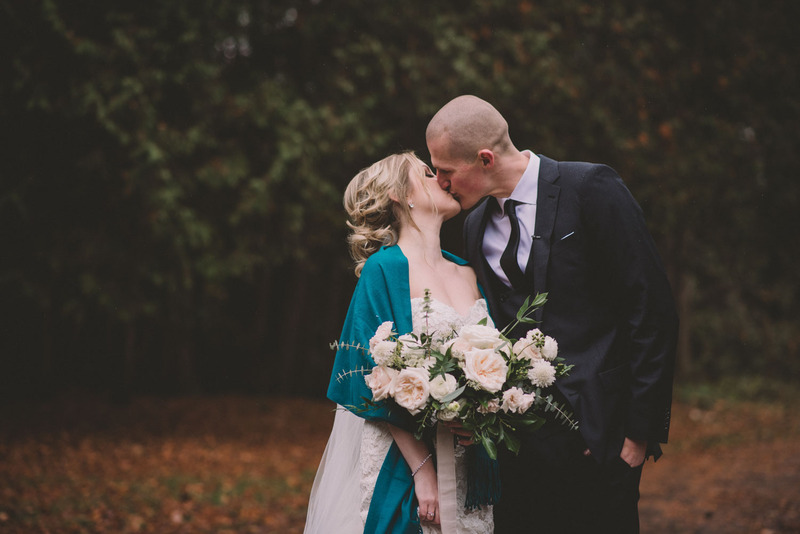 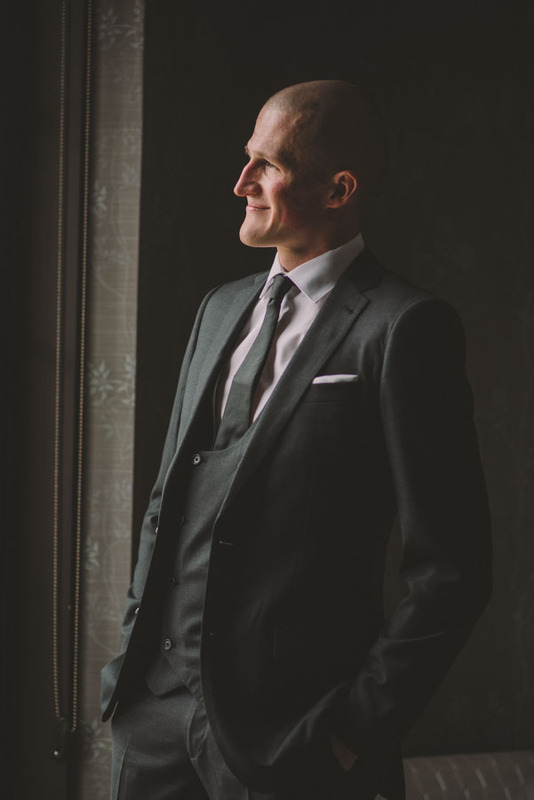 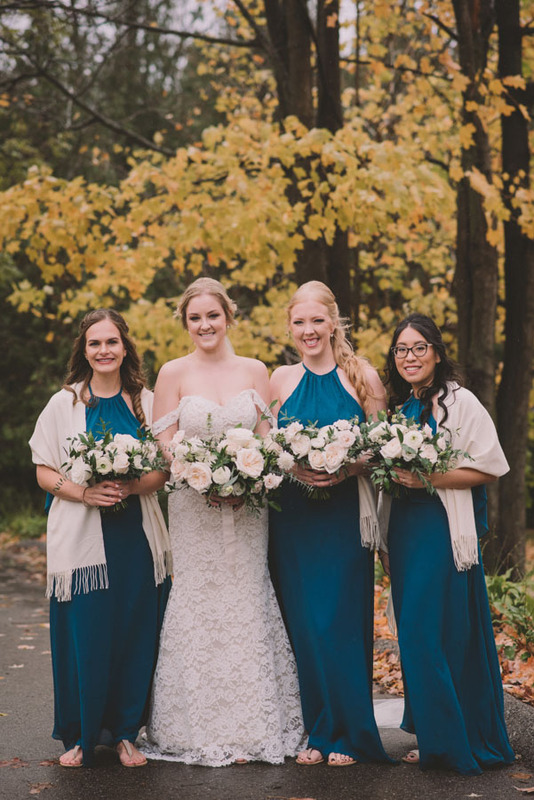 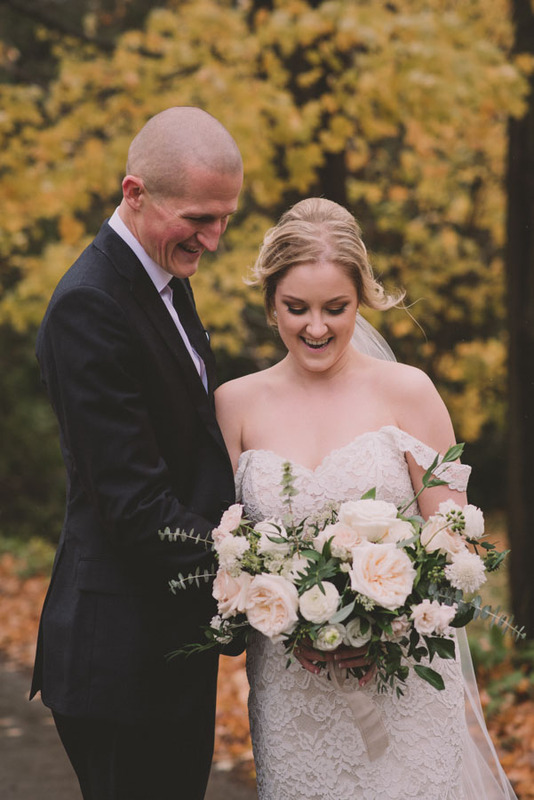 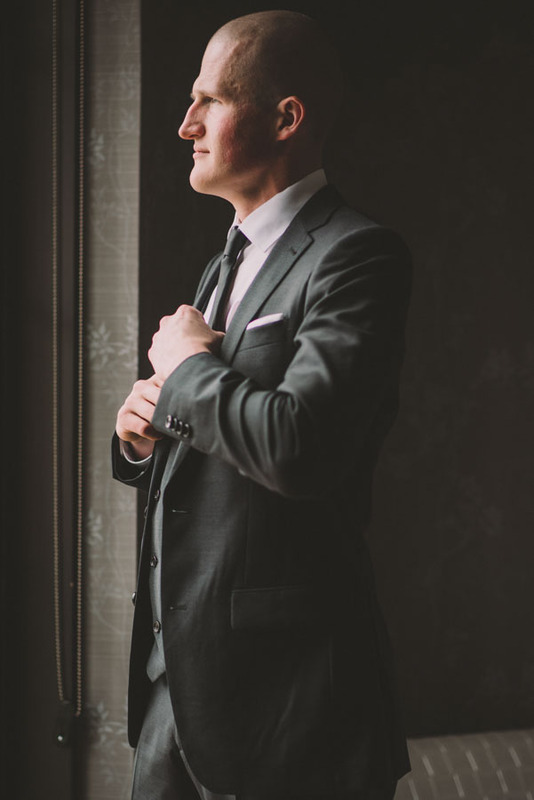 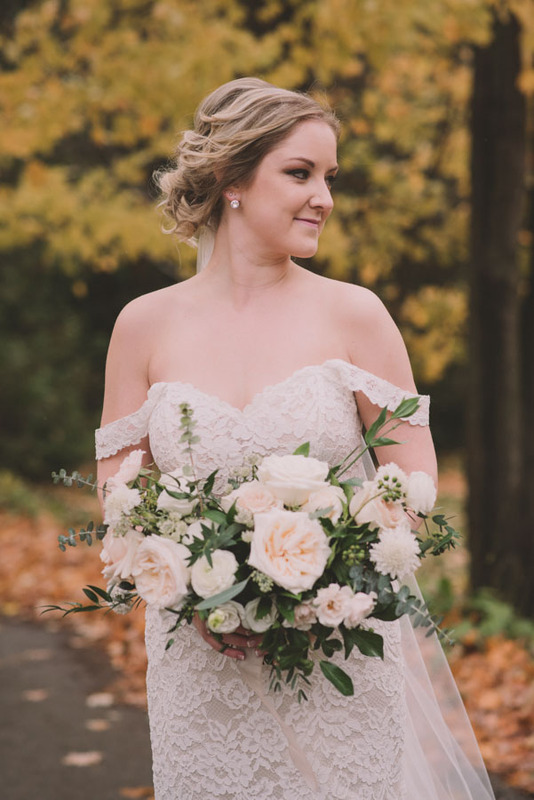 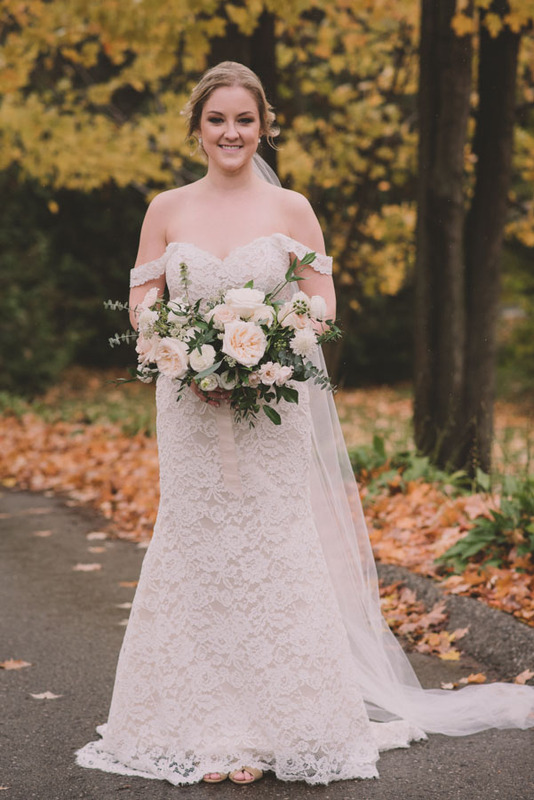 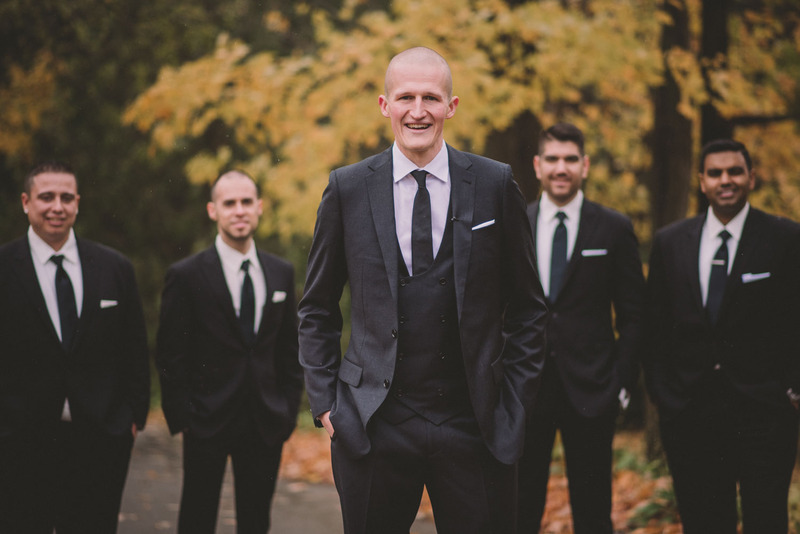 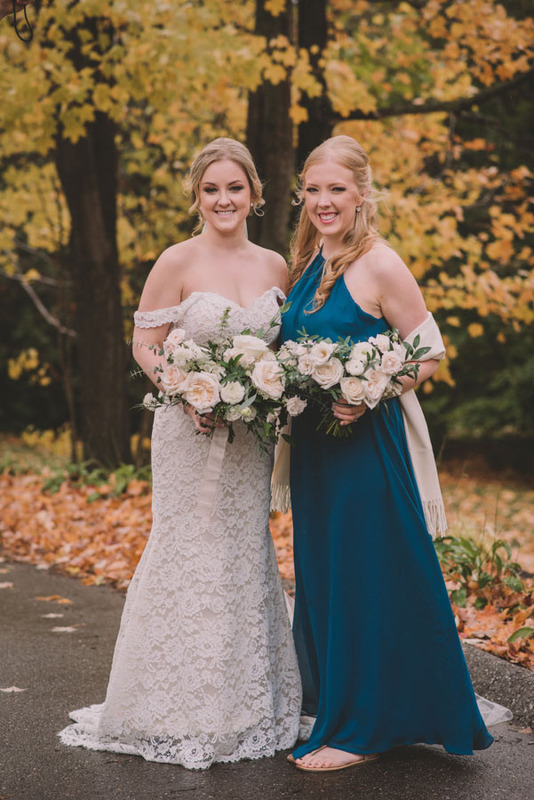 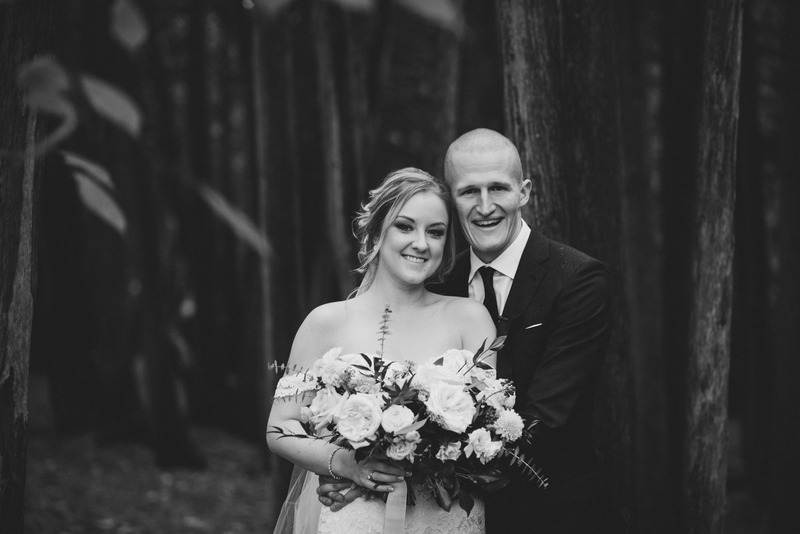 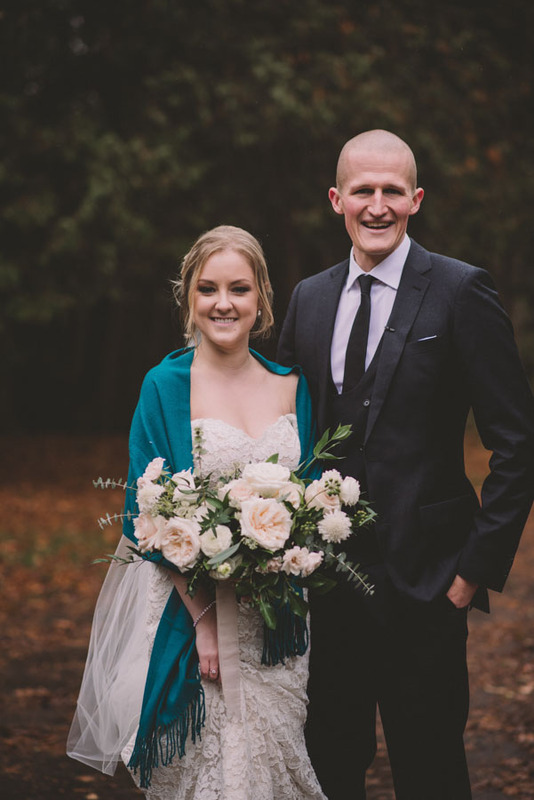 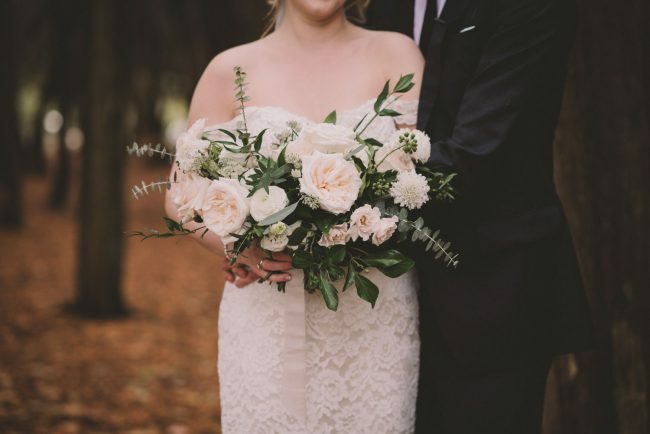 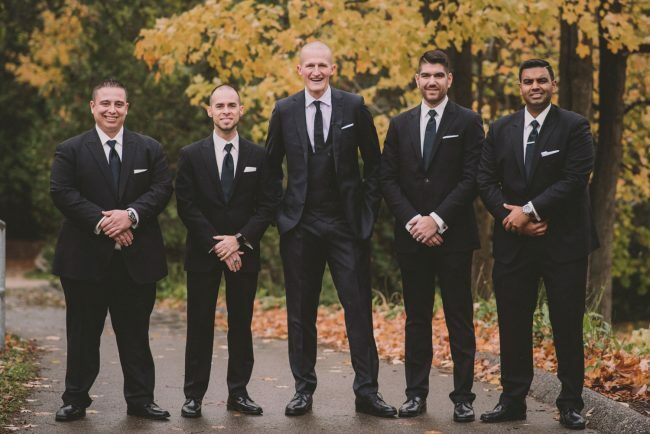 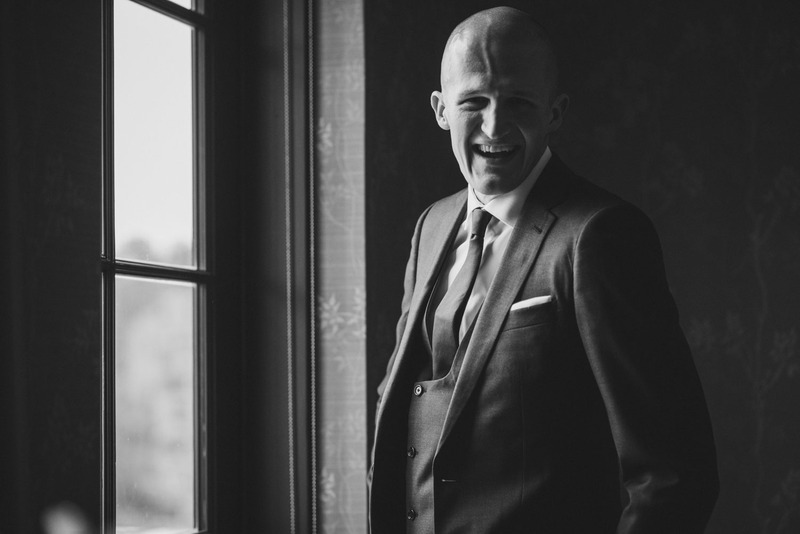 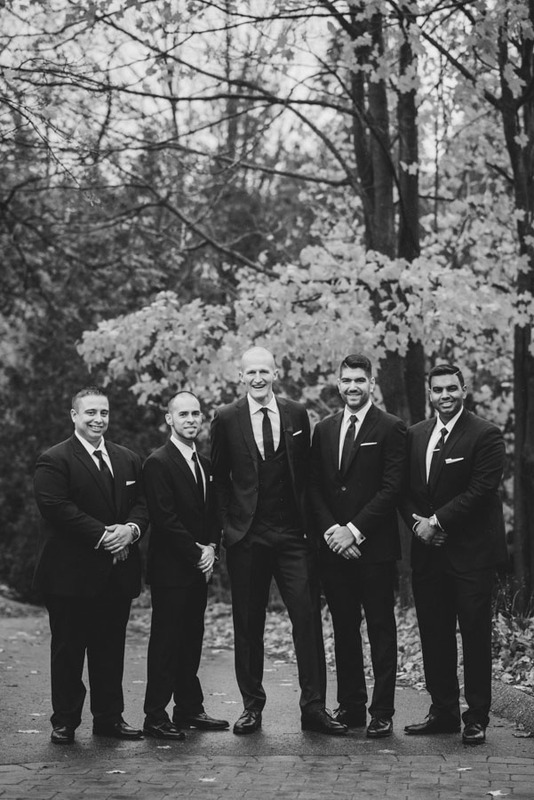 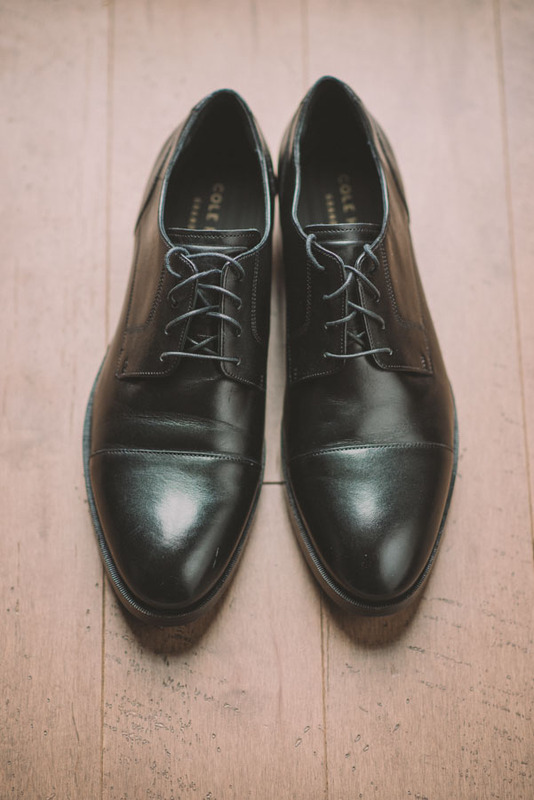 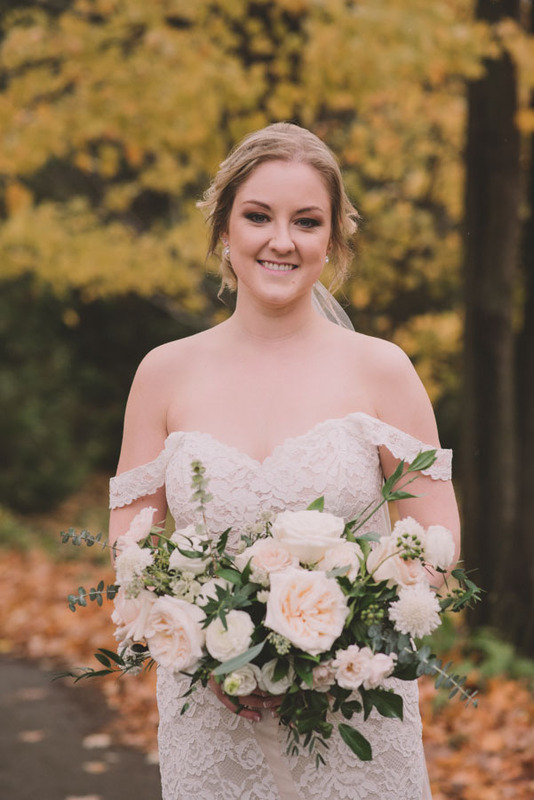 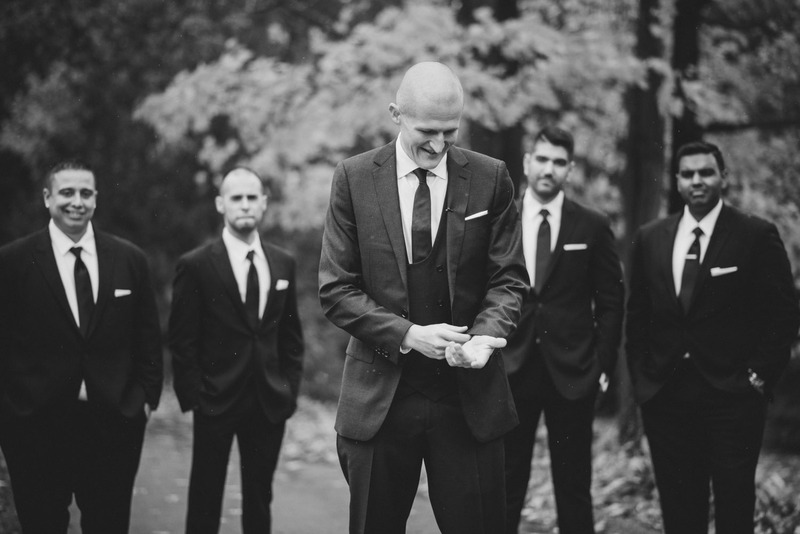 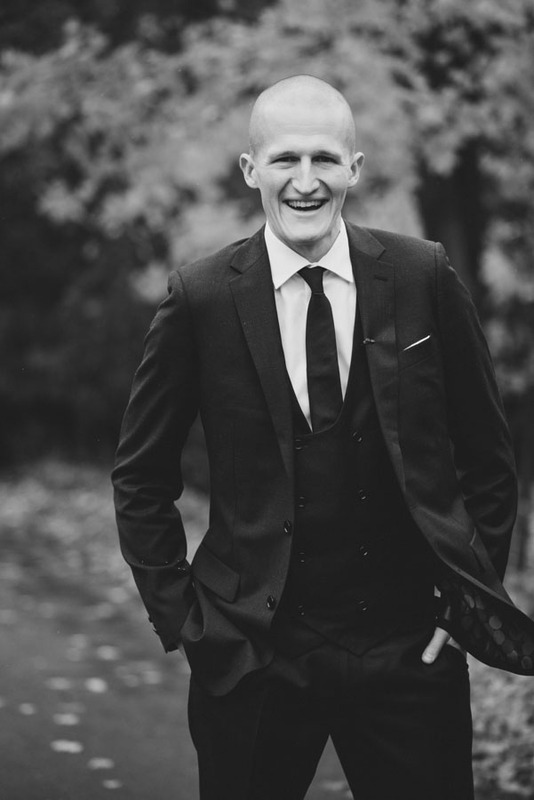 We followed the first look with bride+groom and bridal party photography in nearby Victoria Park. 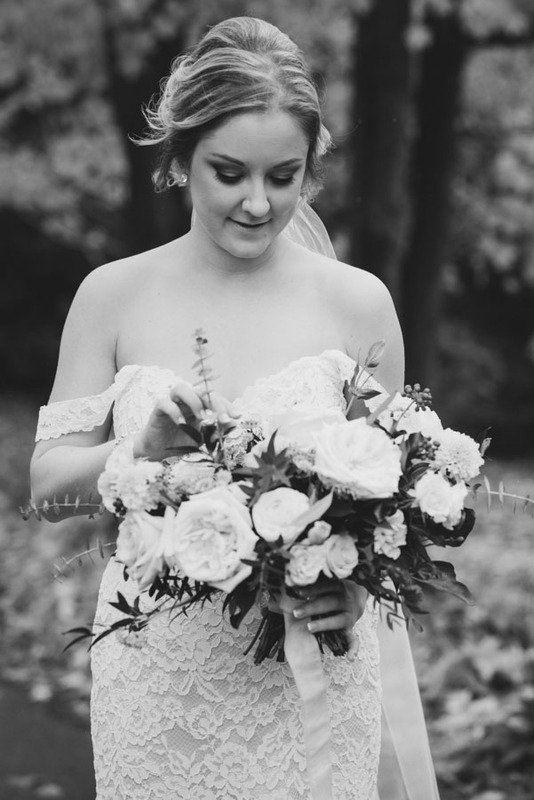 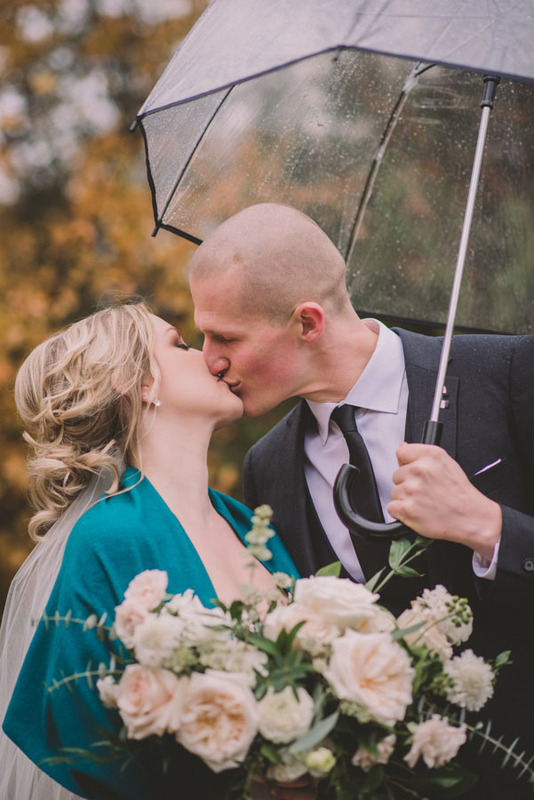 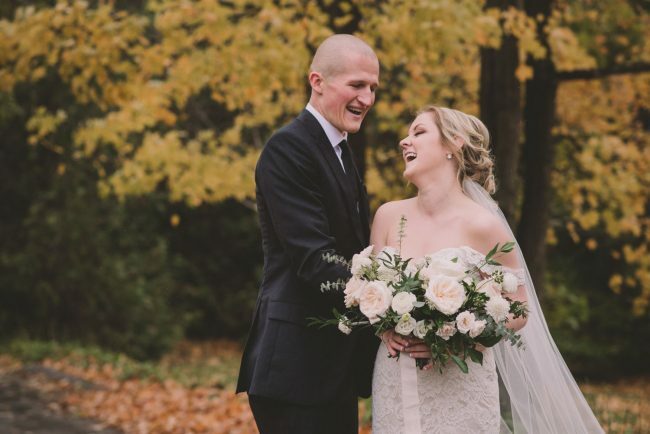 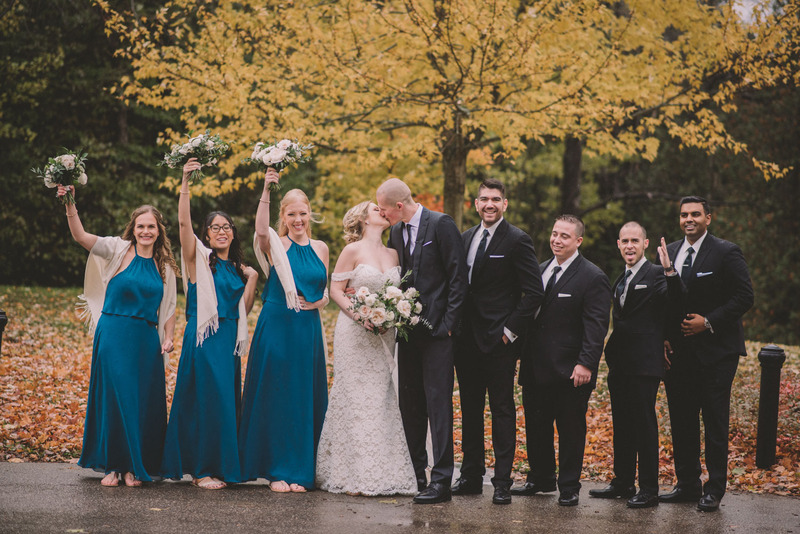 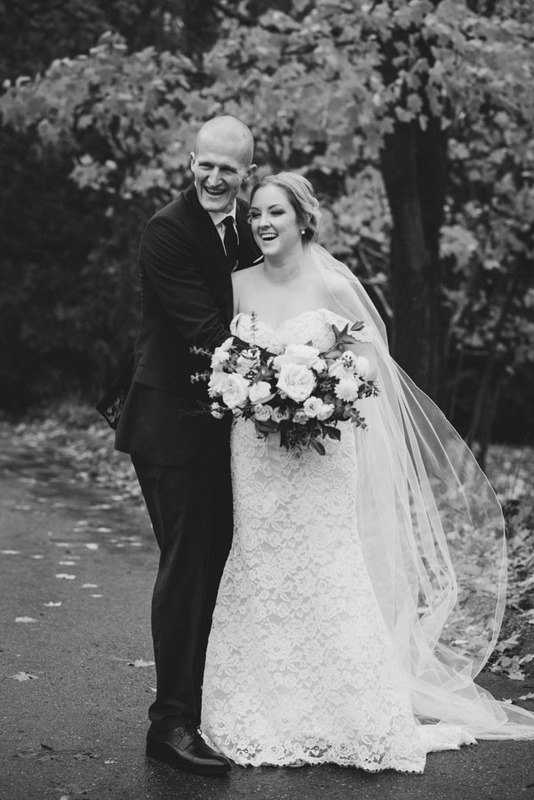 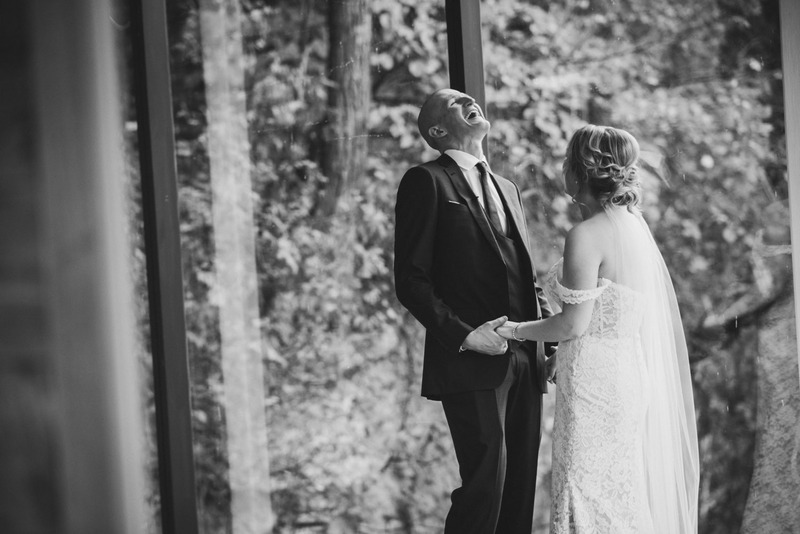 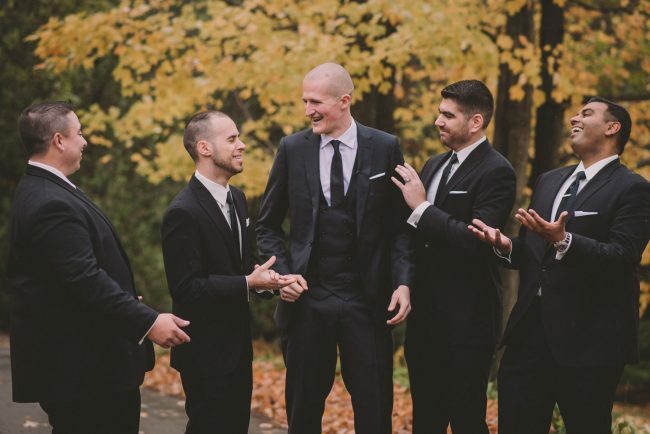 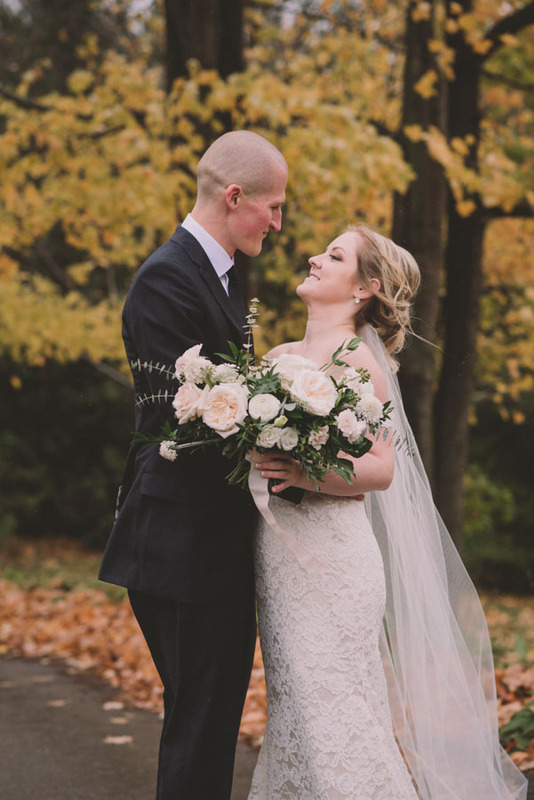 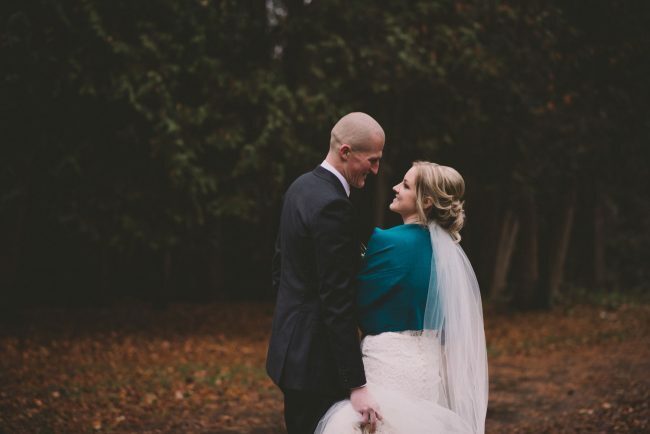 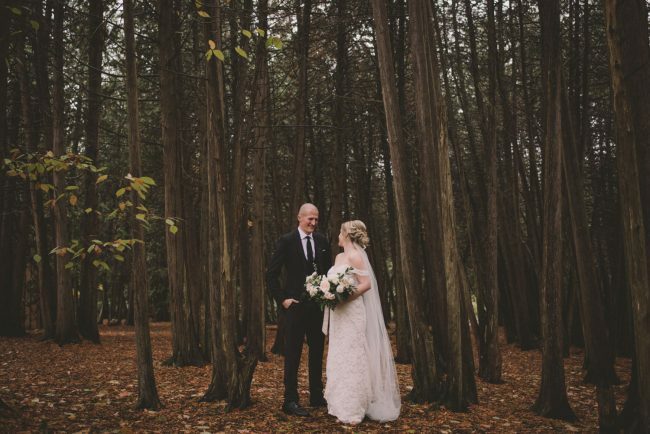 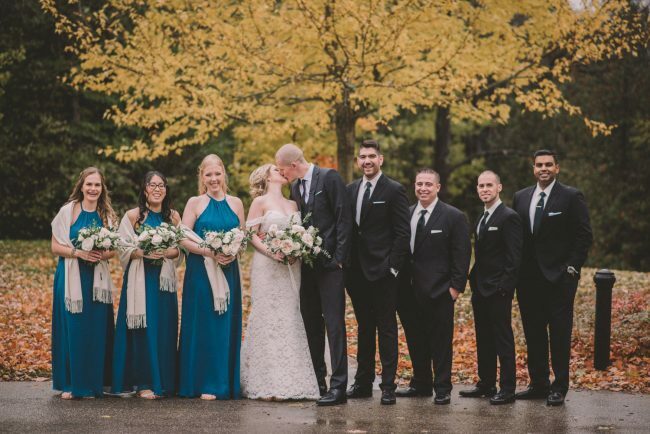 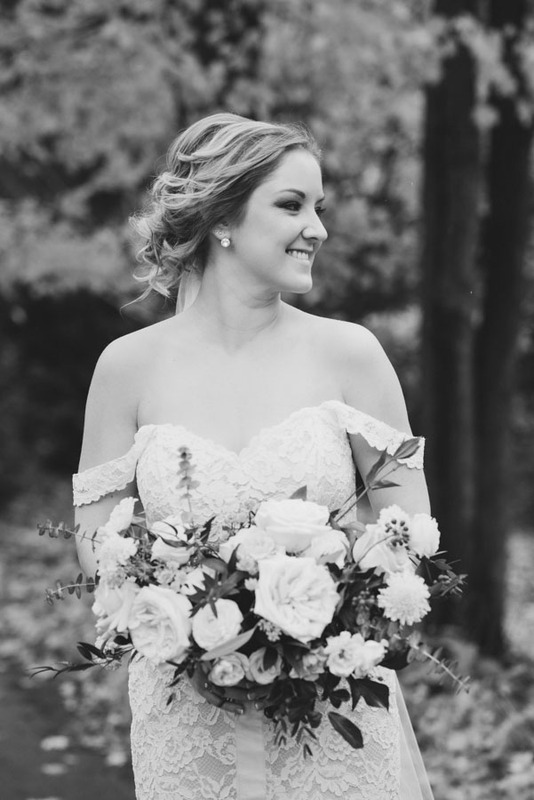 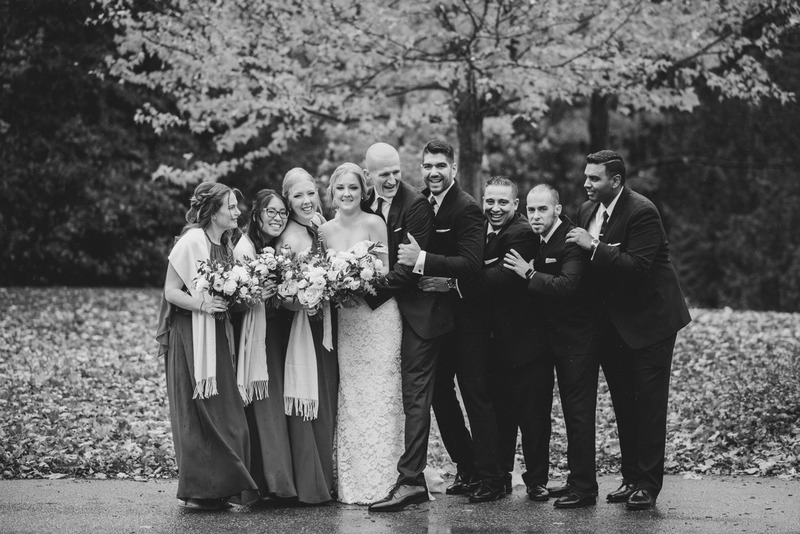 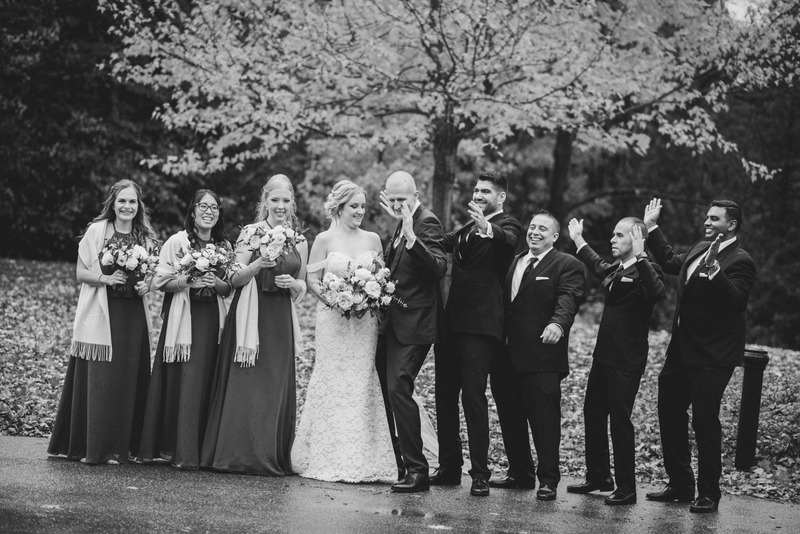 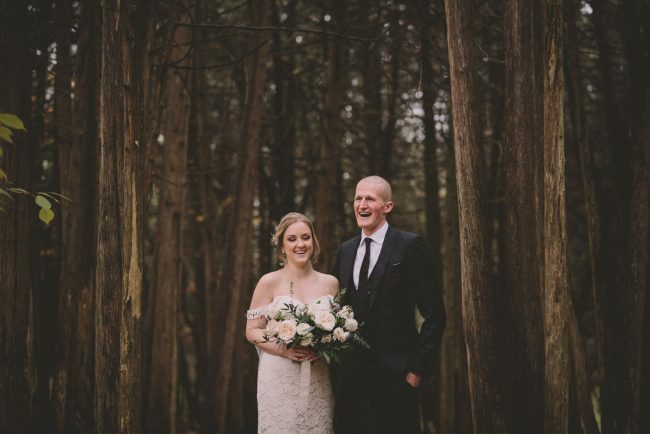 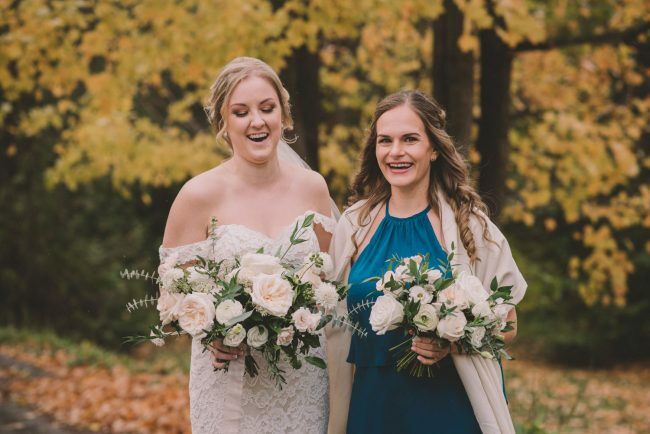 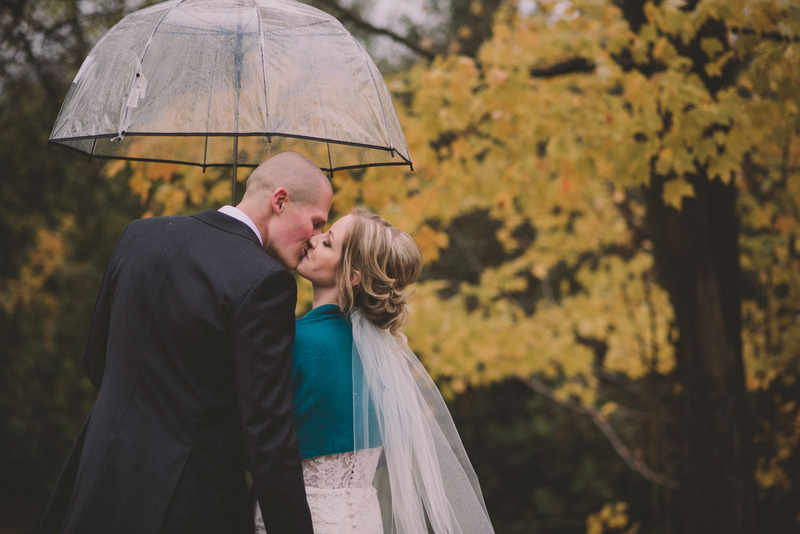 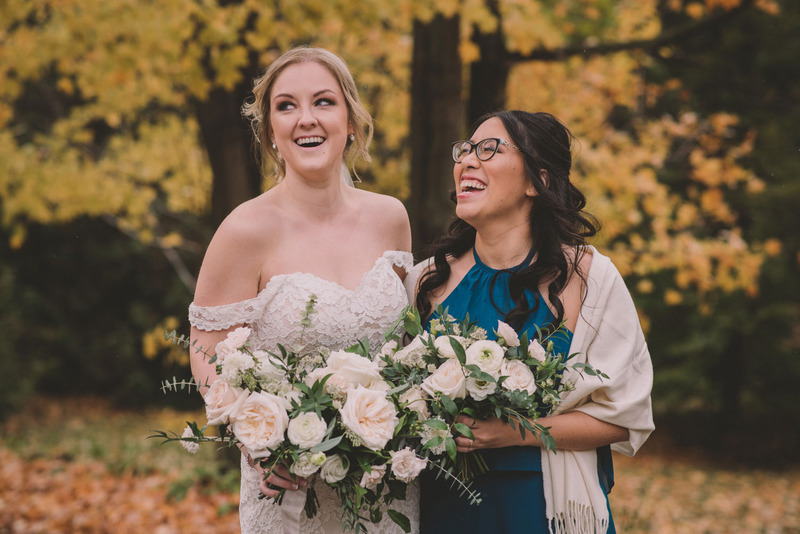 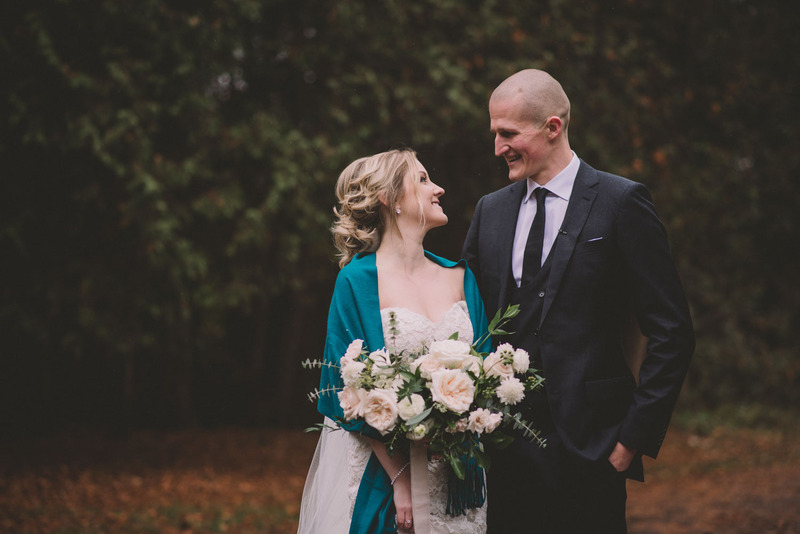 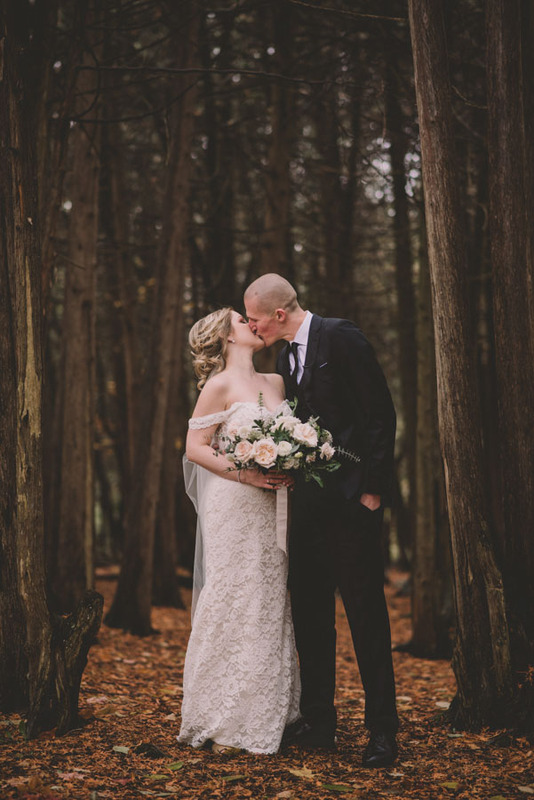 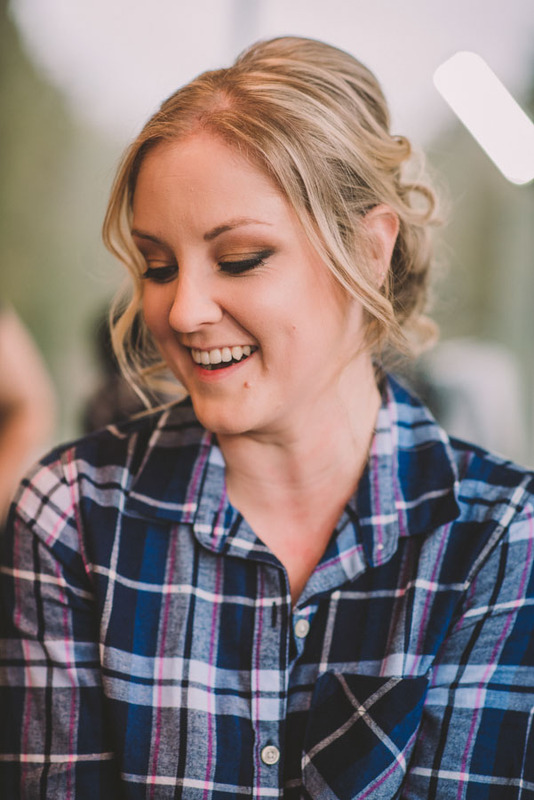 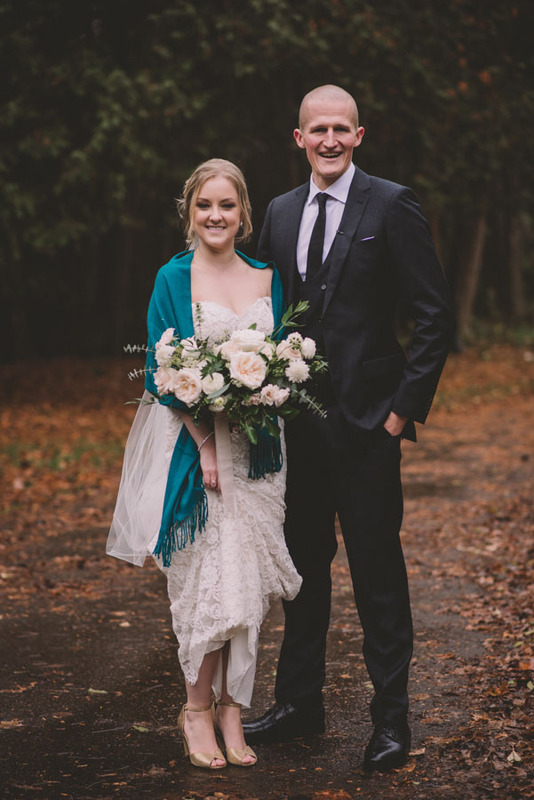 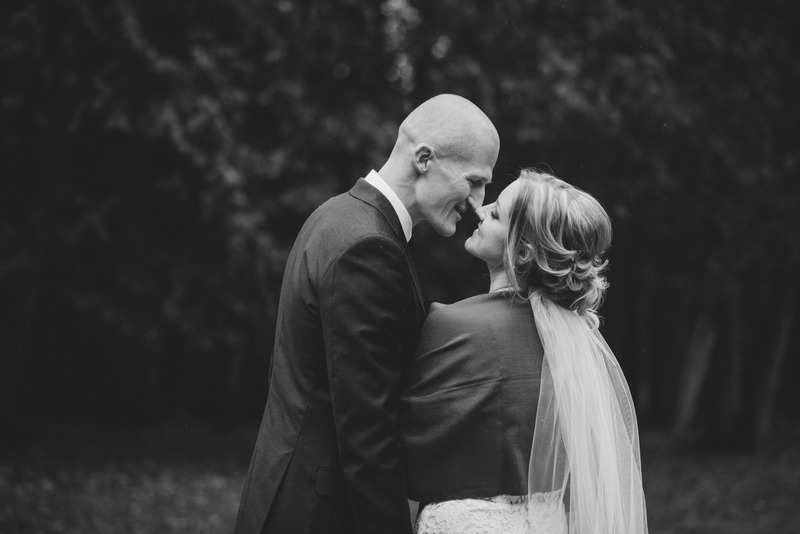 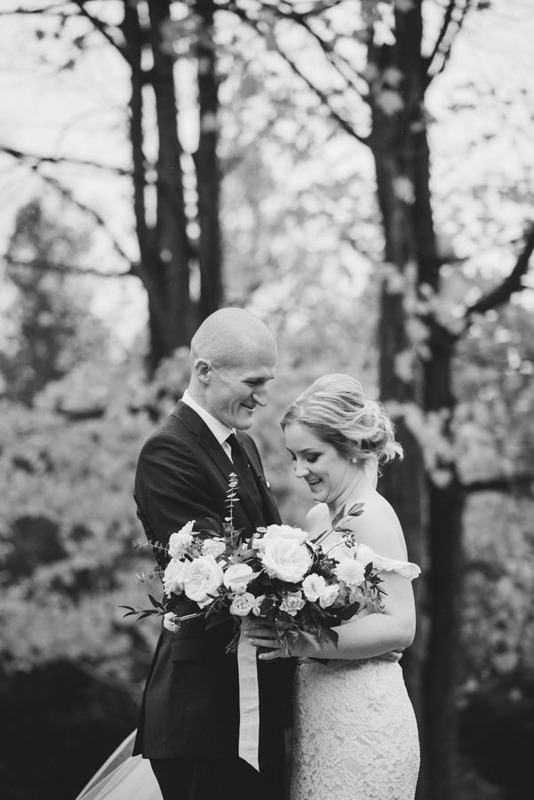 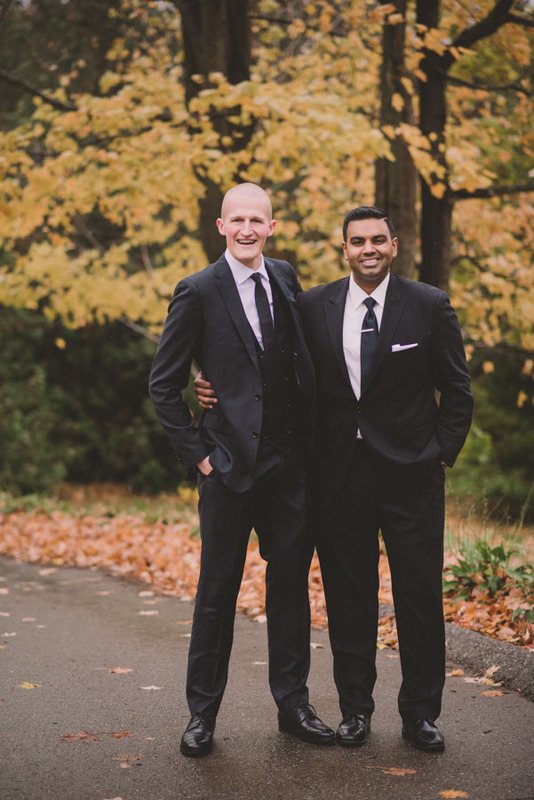 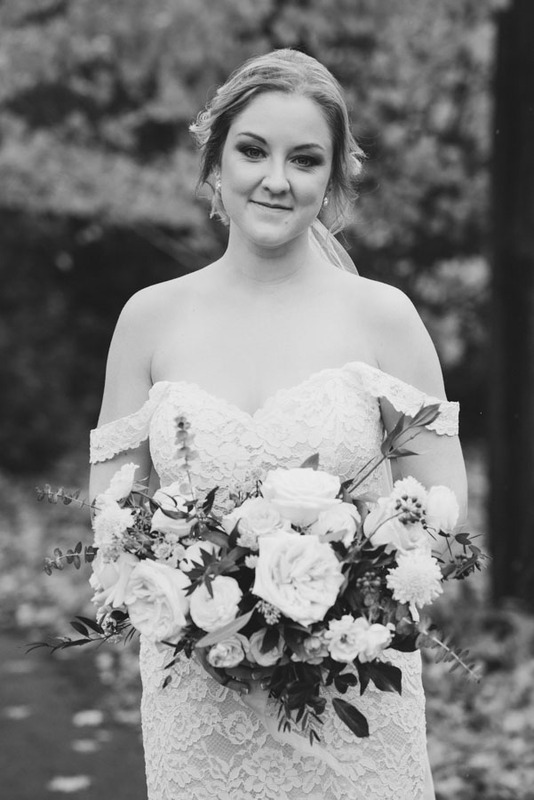 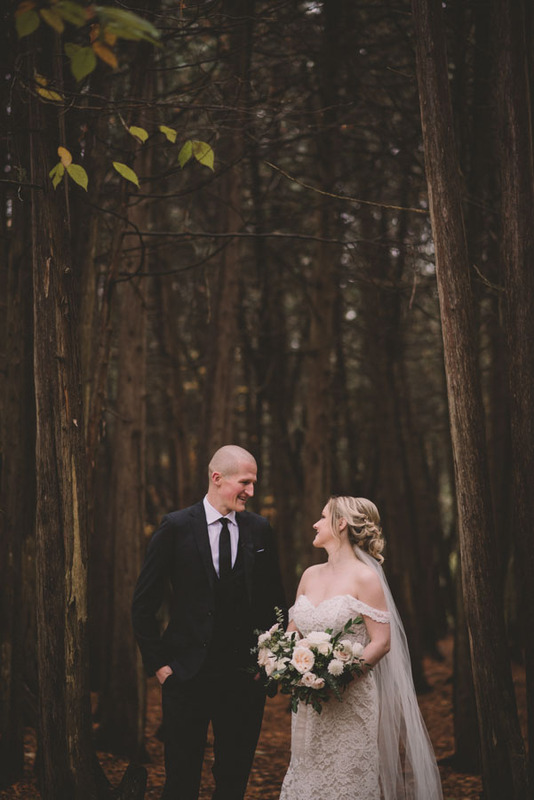 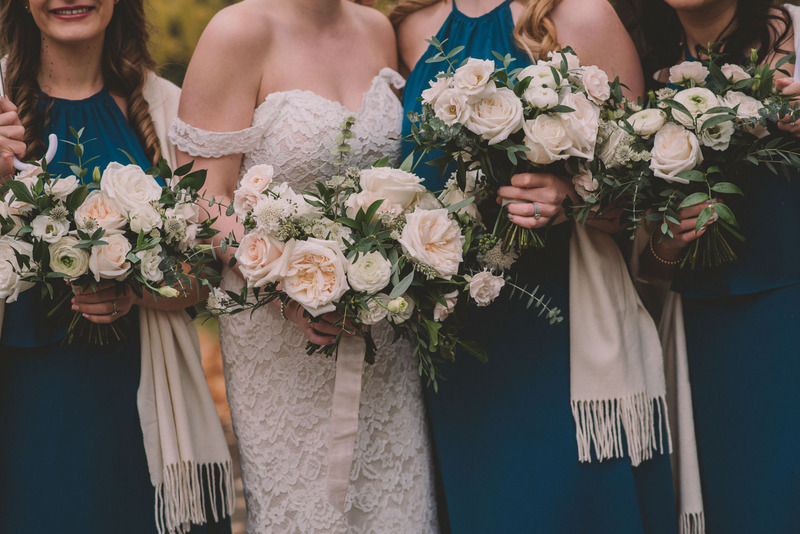 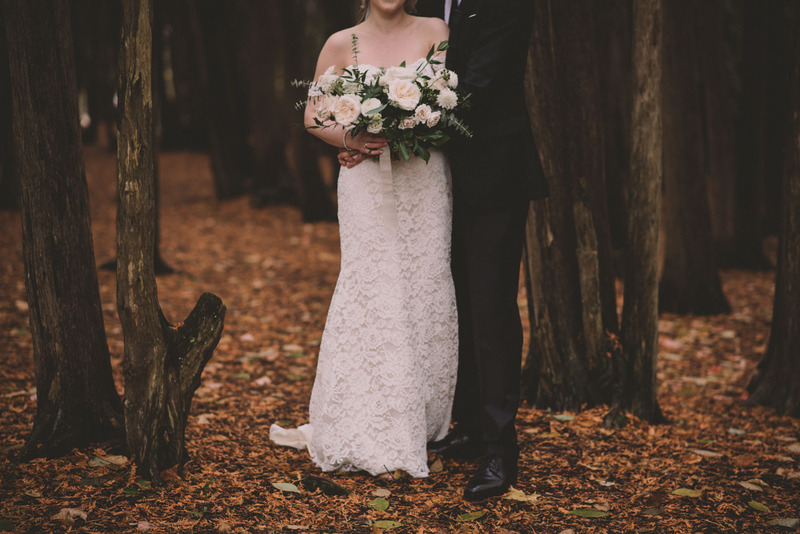 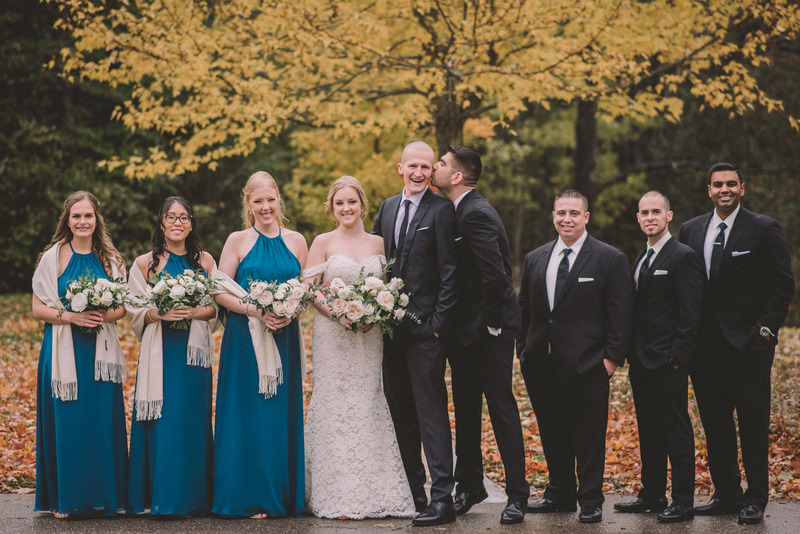 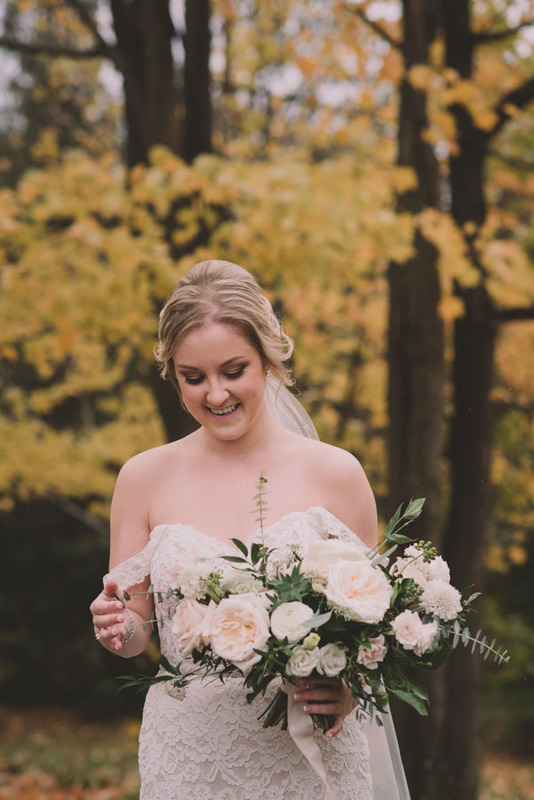 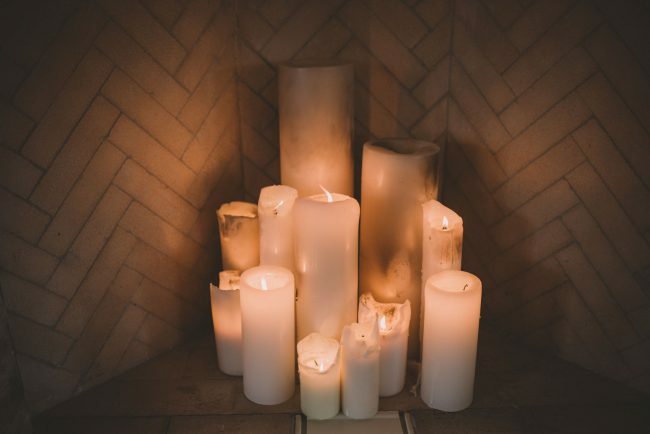 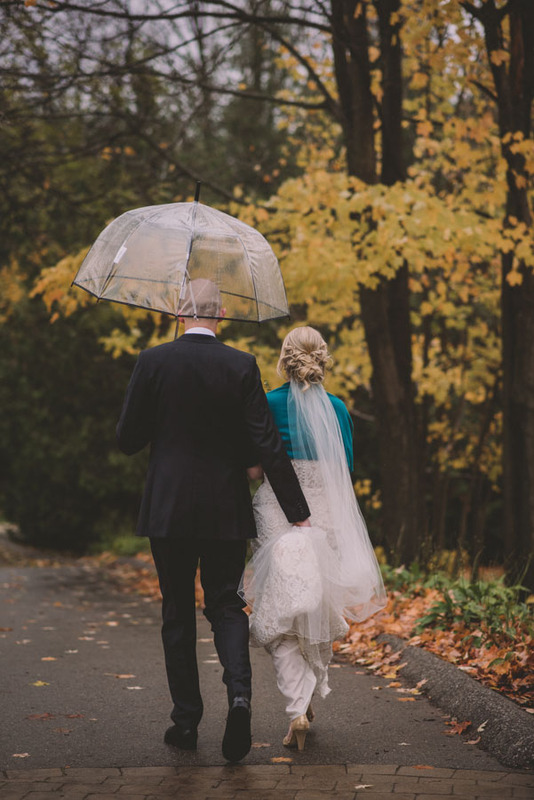 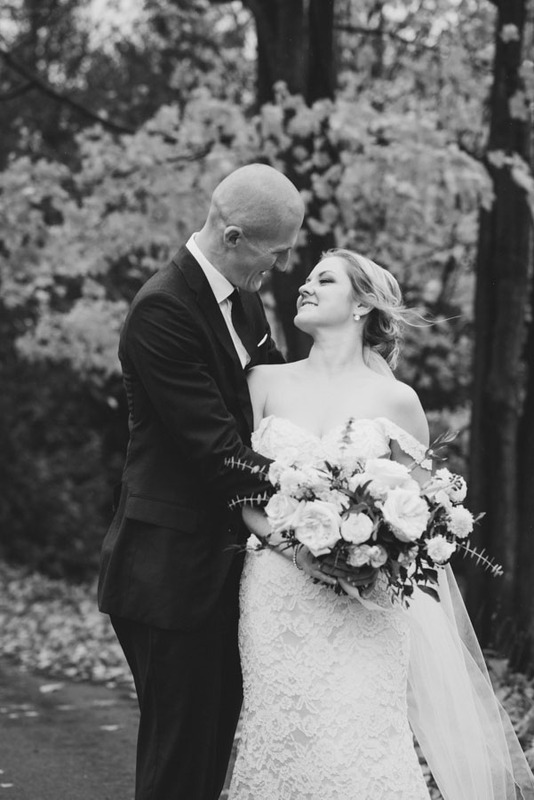 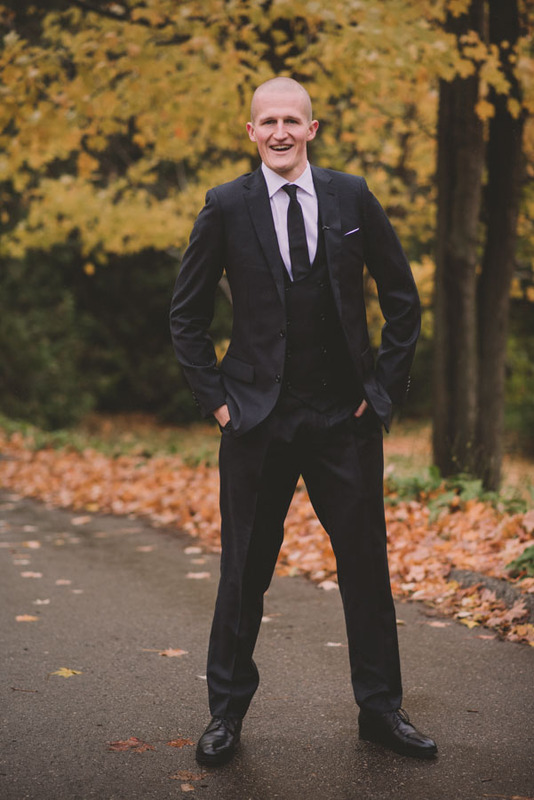 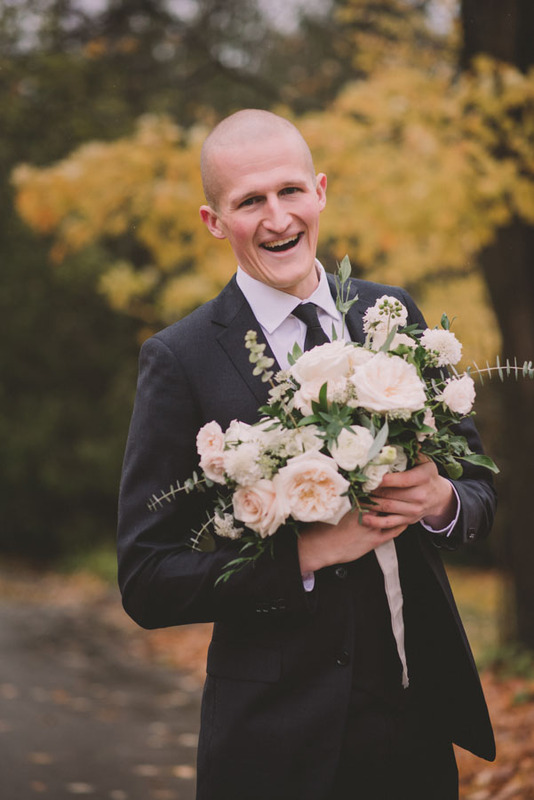 Though it was cold and rainy, we captured gorgeous (and often hilarious) photos! 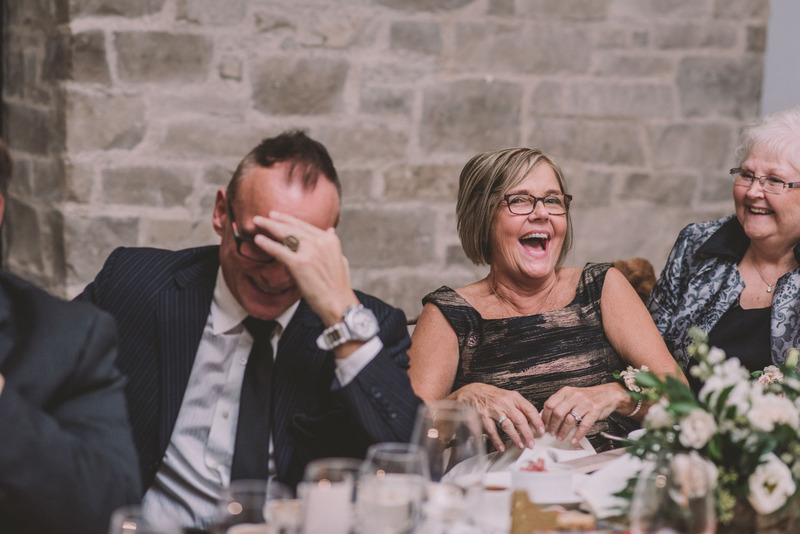 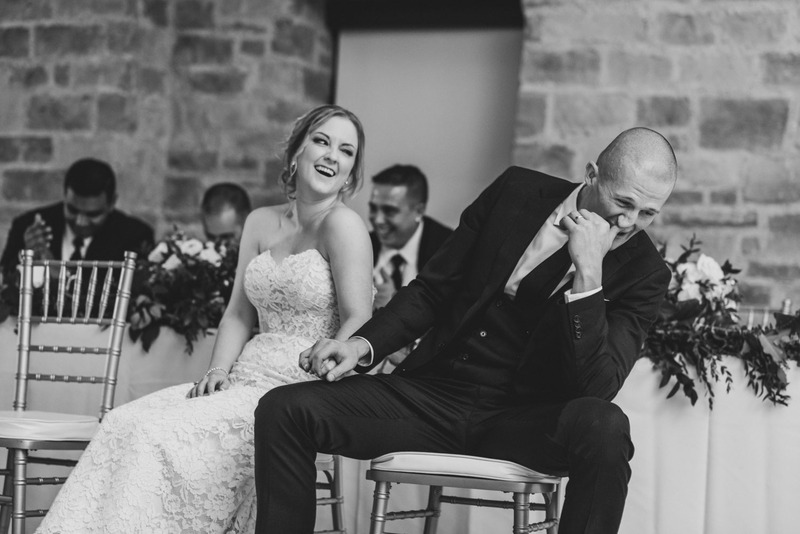 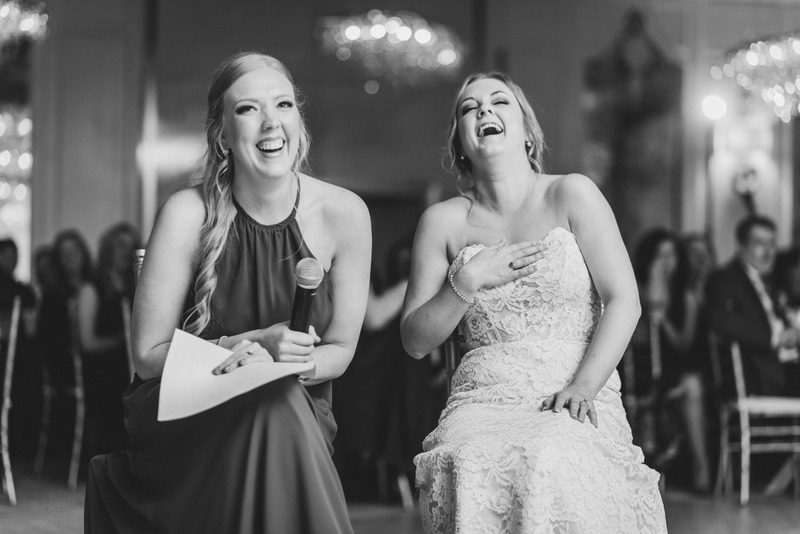 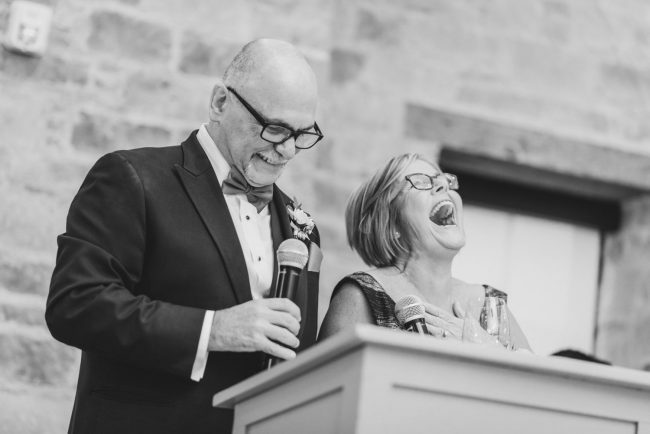 I love all the photos of their candid laughter! 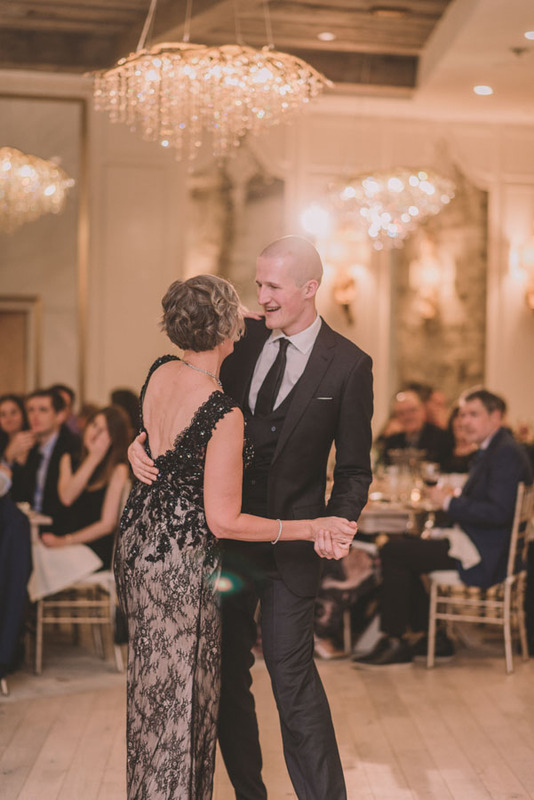 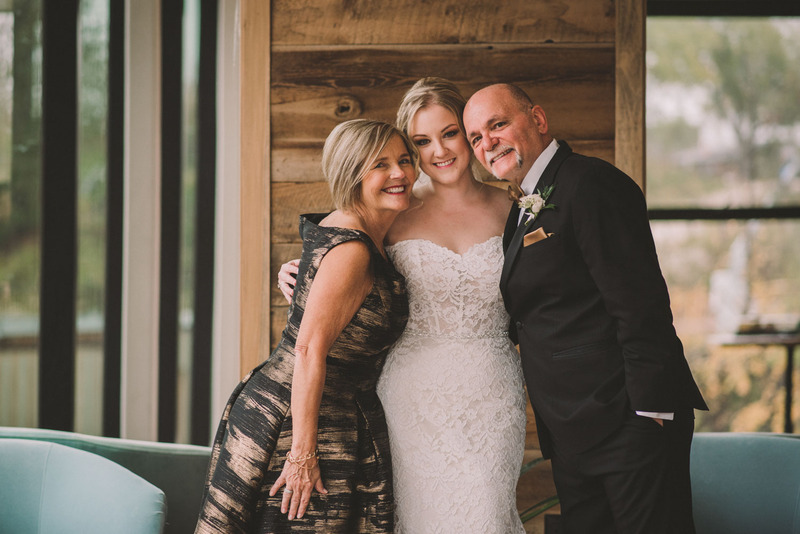 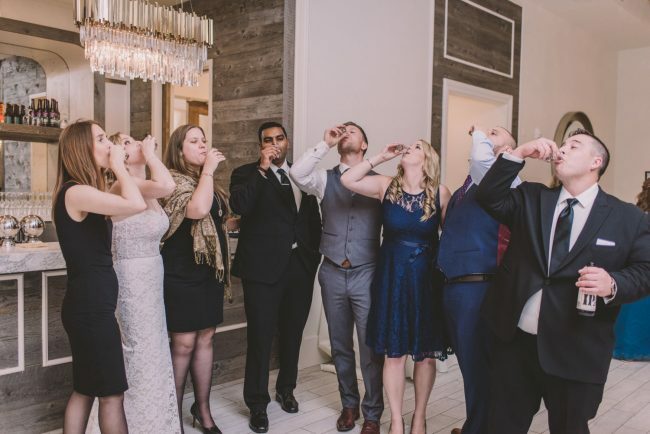 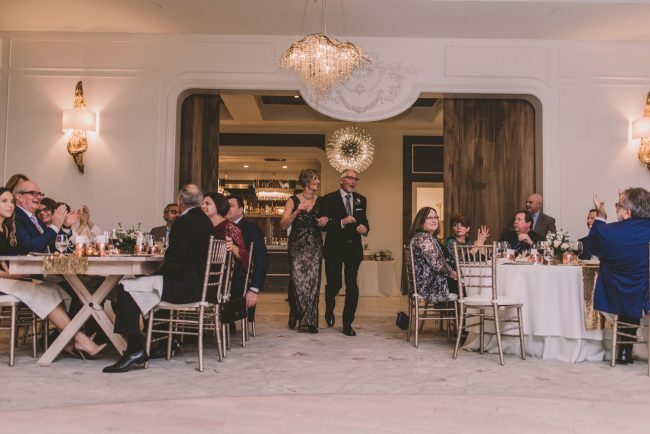 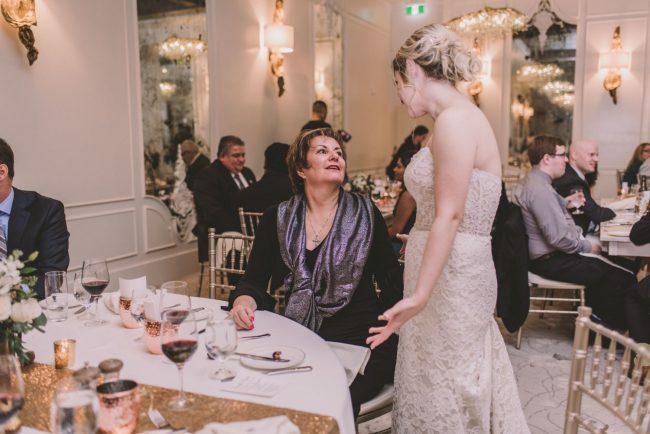 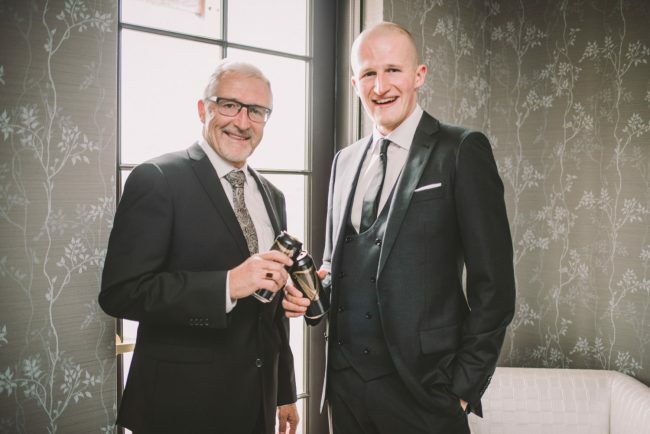 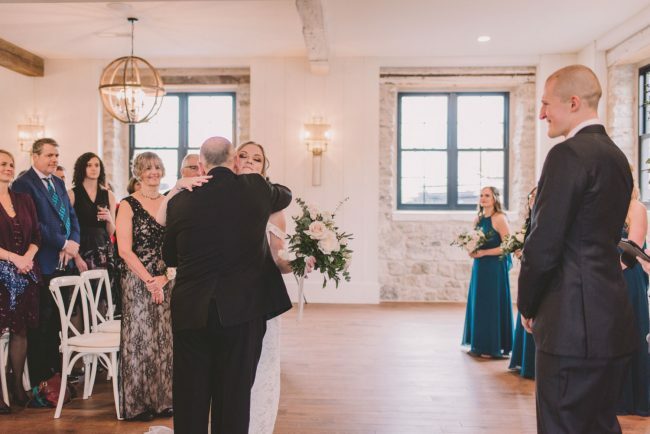 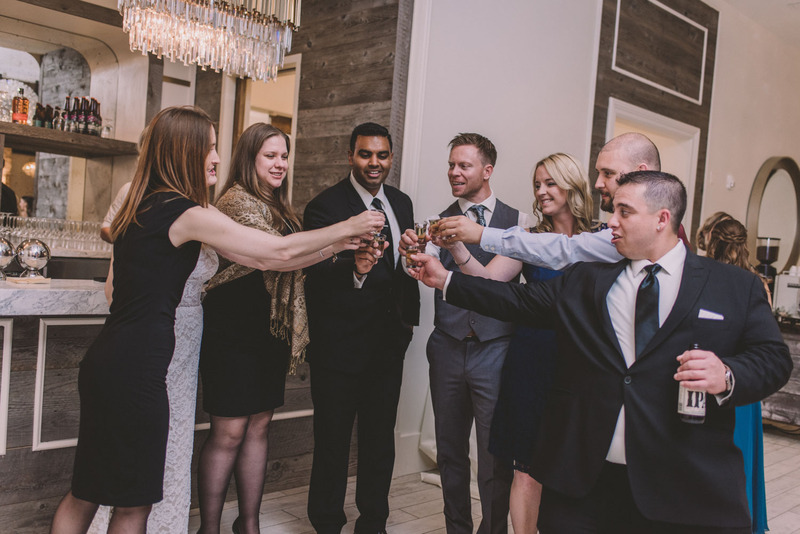 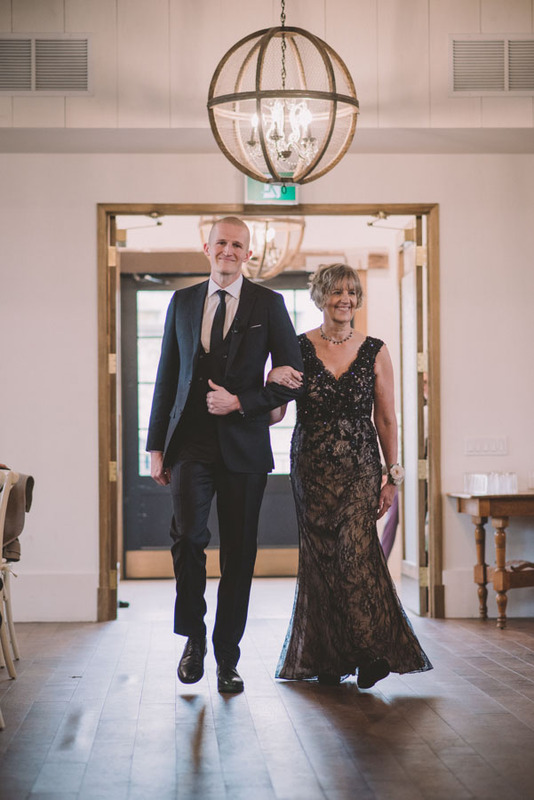 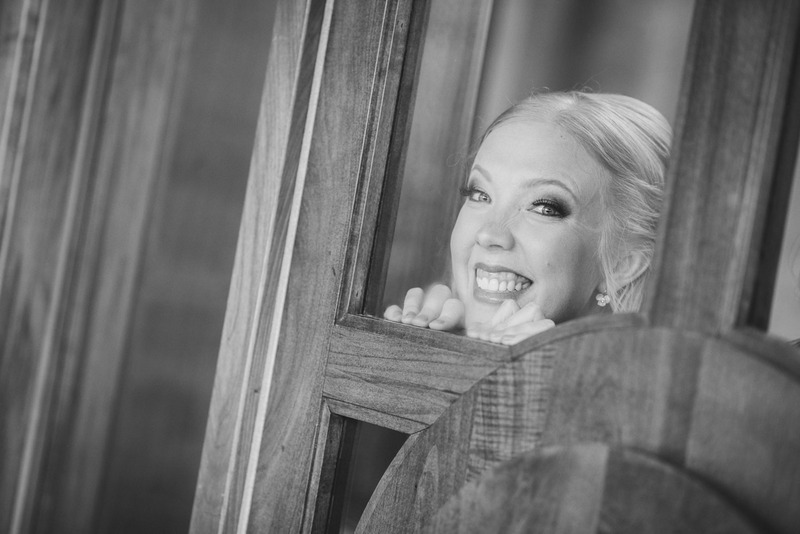 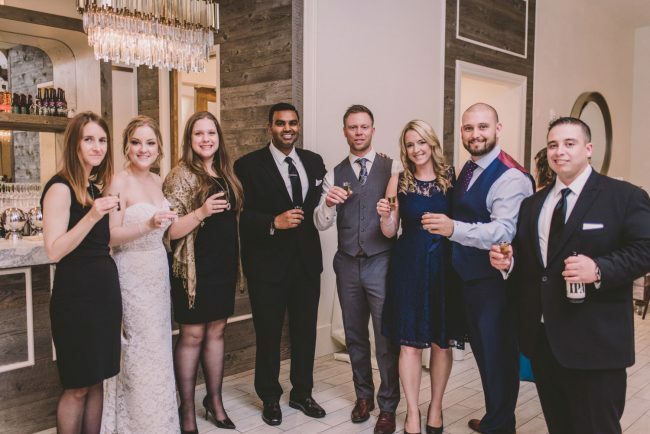 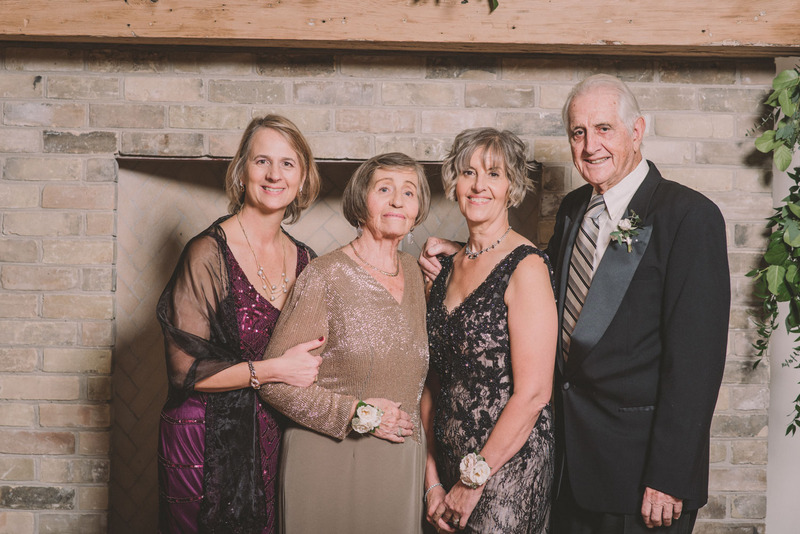 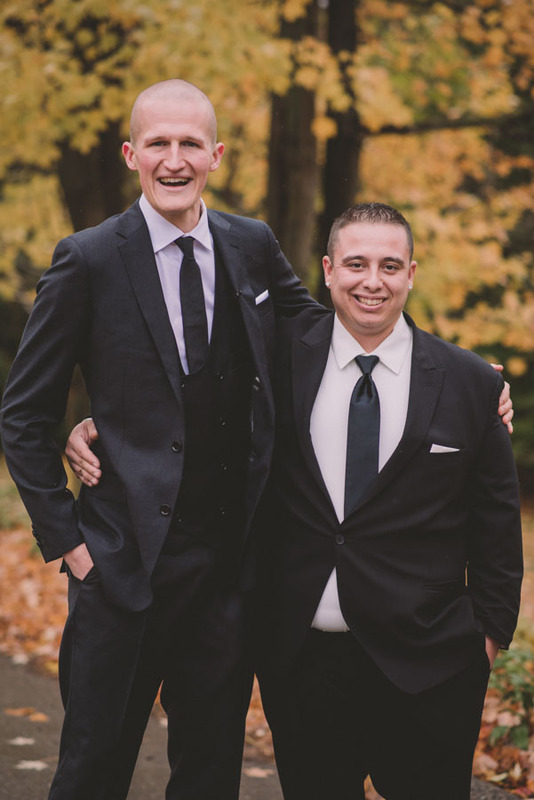 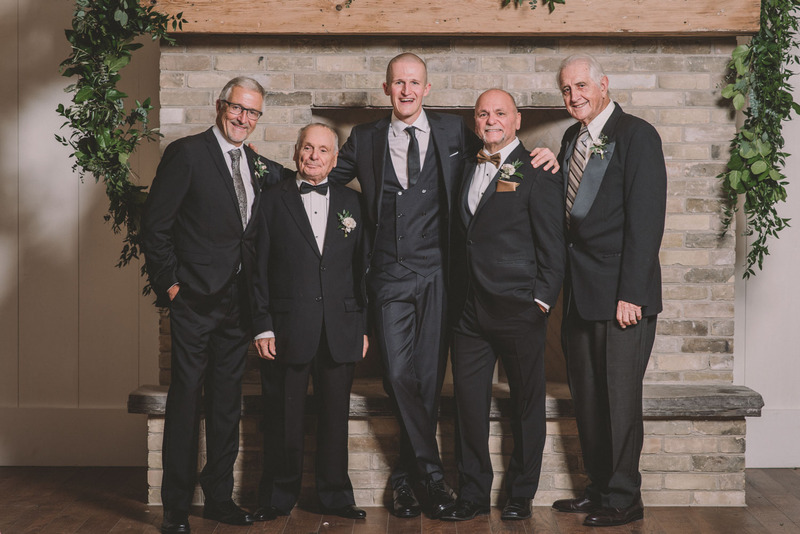 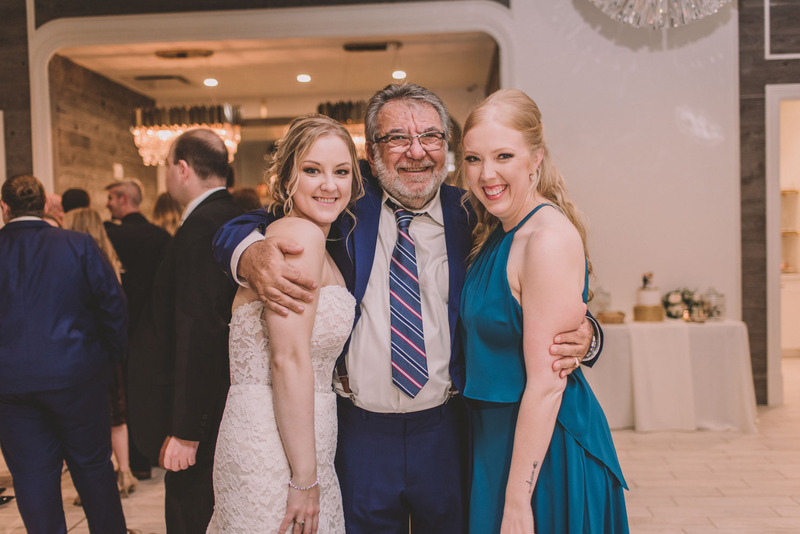 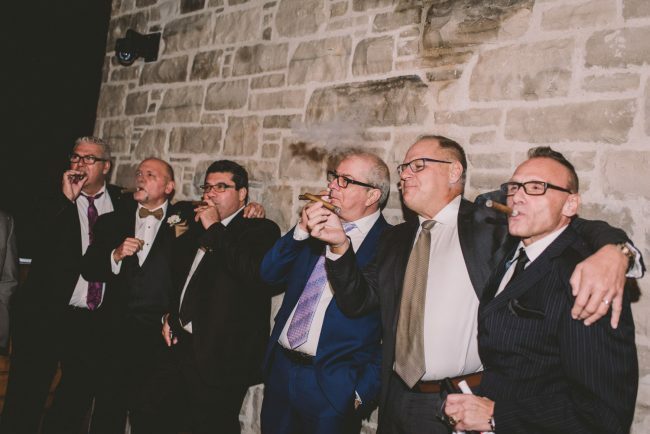 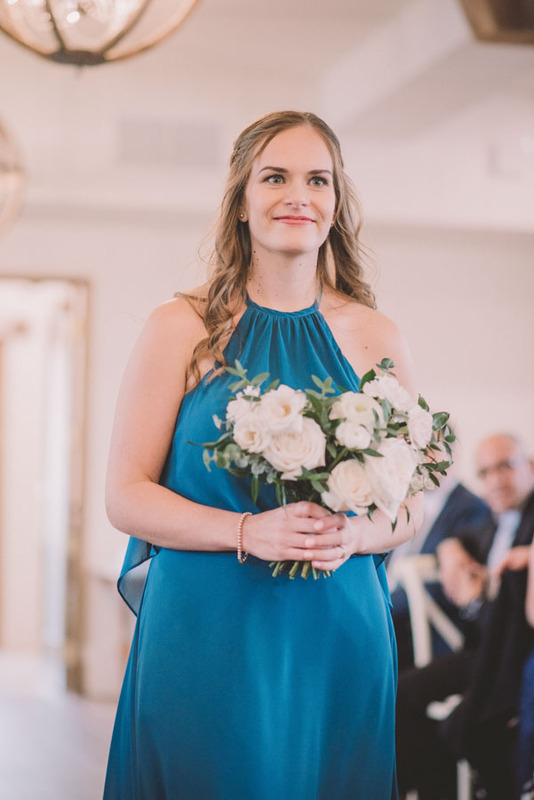 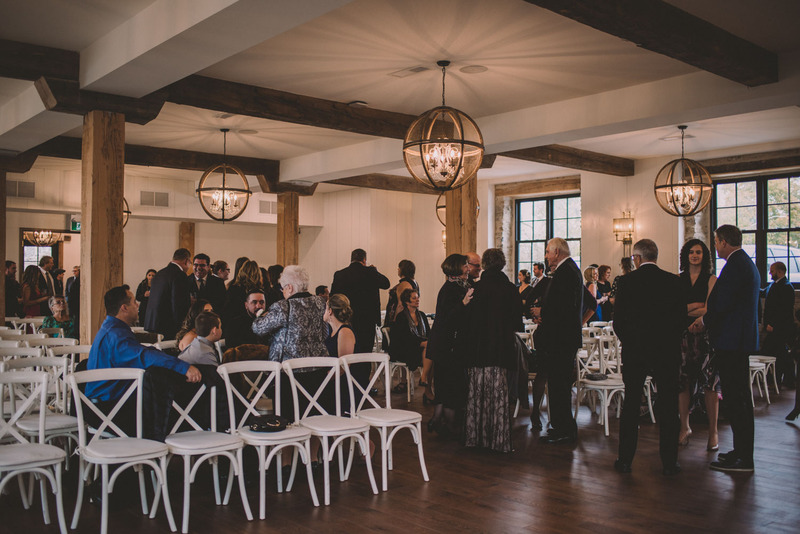 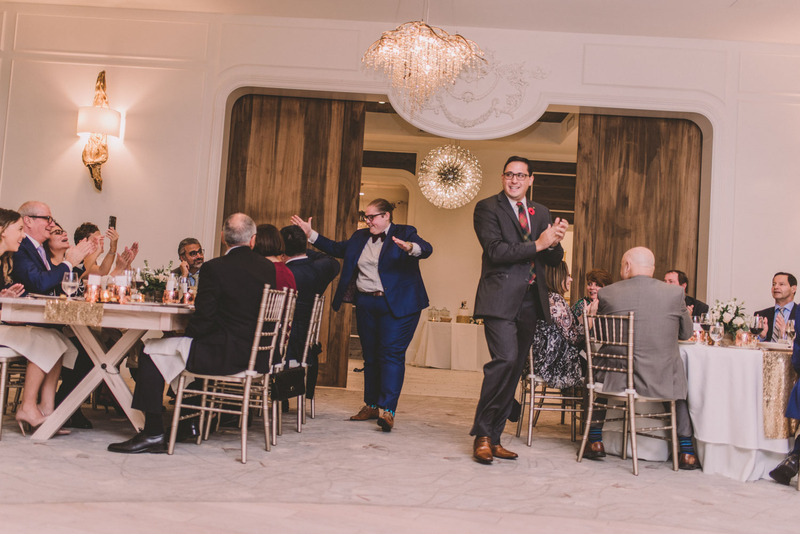 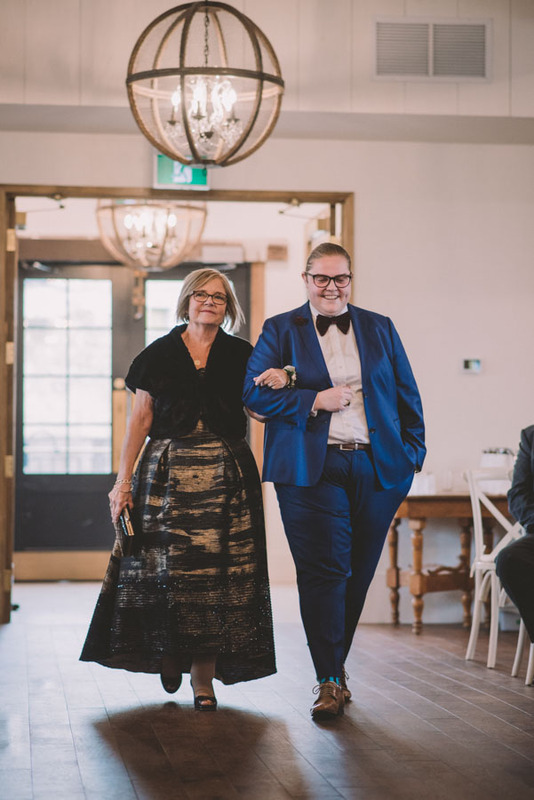 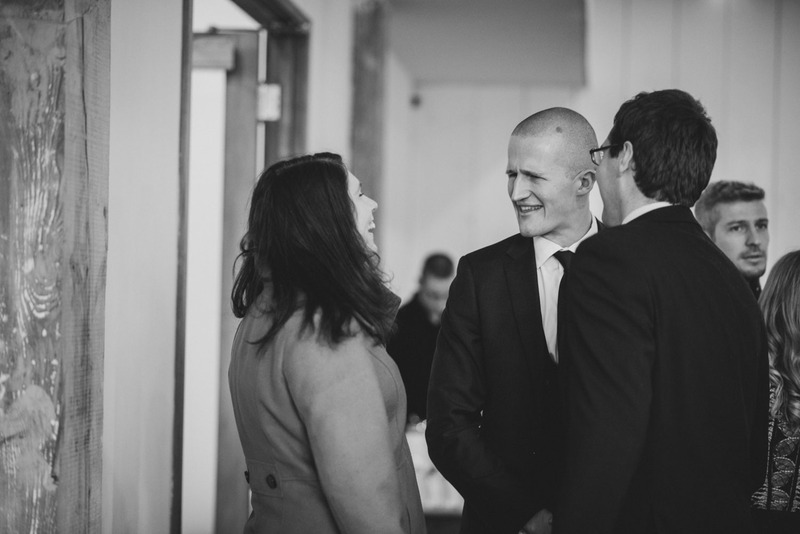 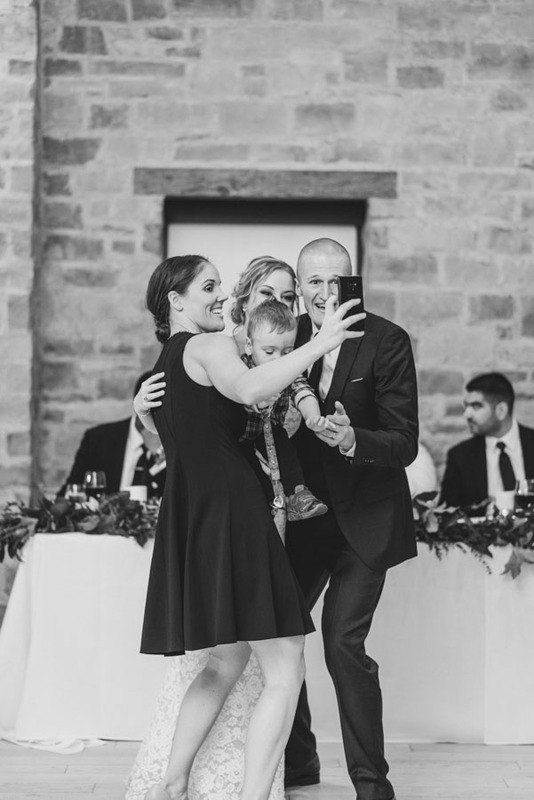 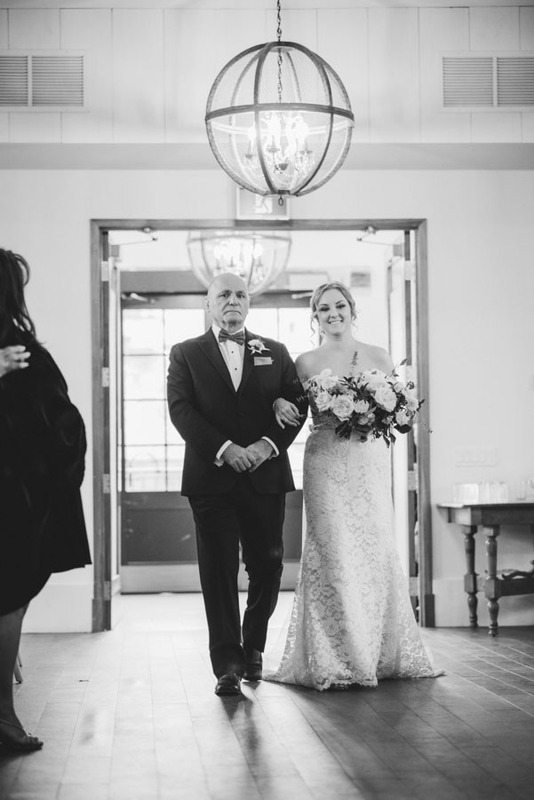 Following the photo shoot was the ceremony, family photos, and reception – so much fun!! It was truly a great day and I cannot wait to work with these two love birds again.